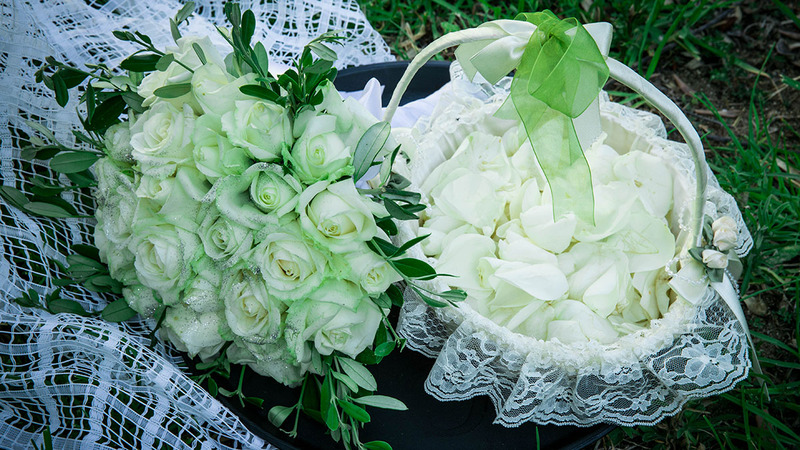 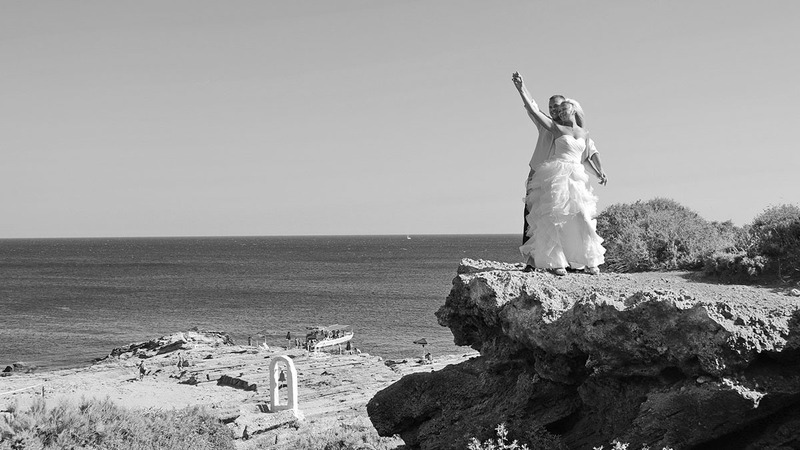 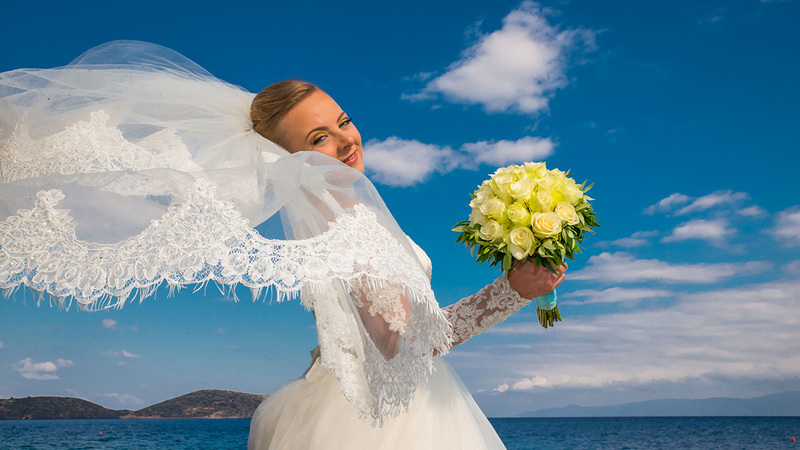 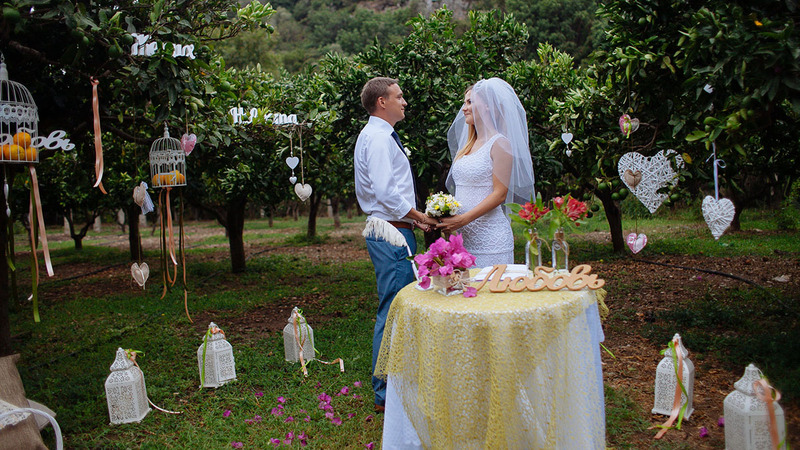 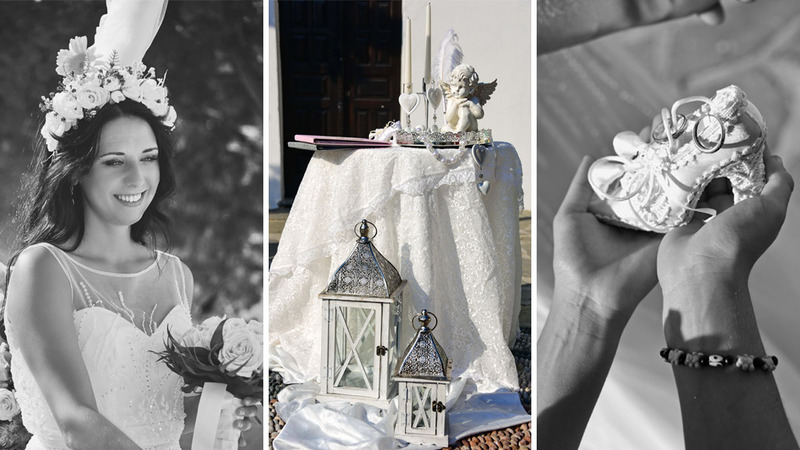 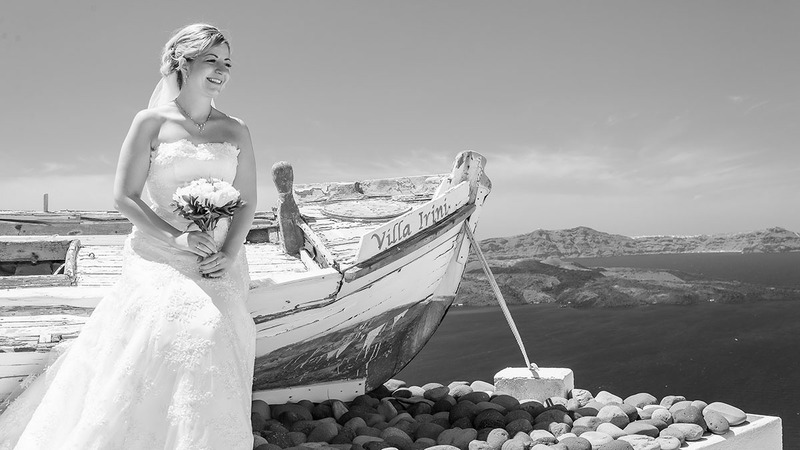 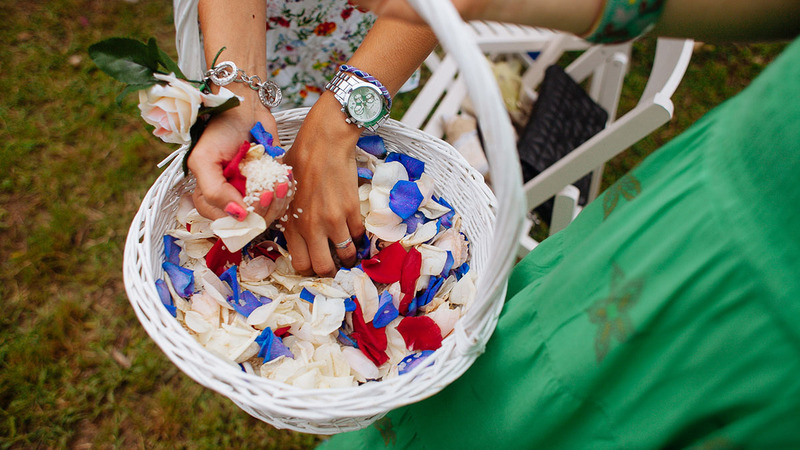 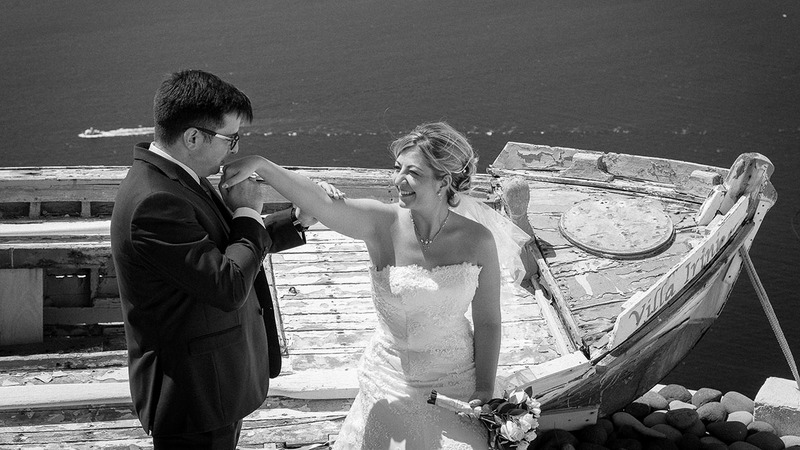 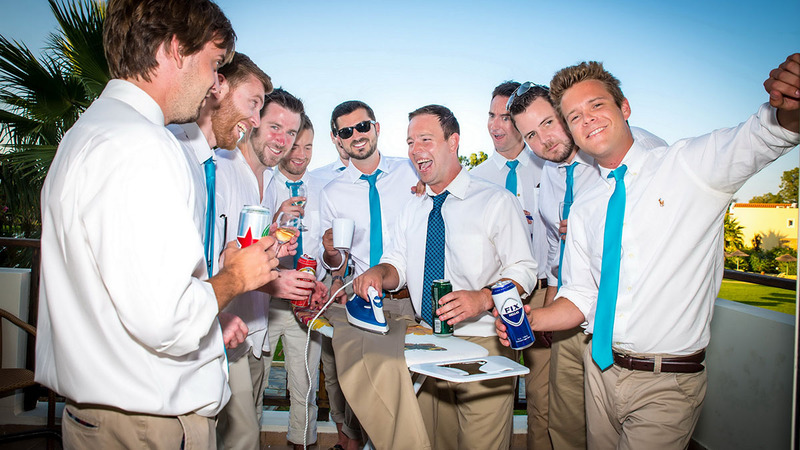 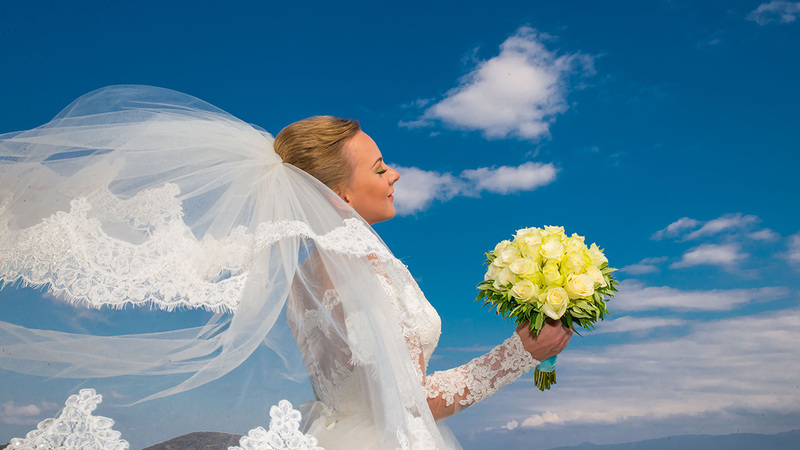 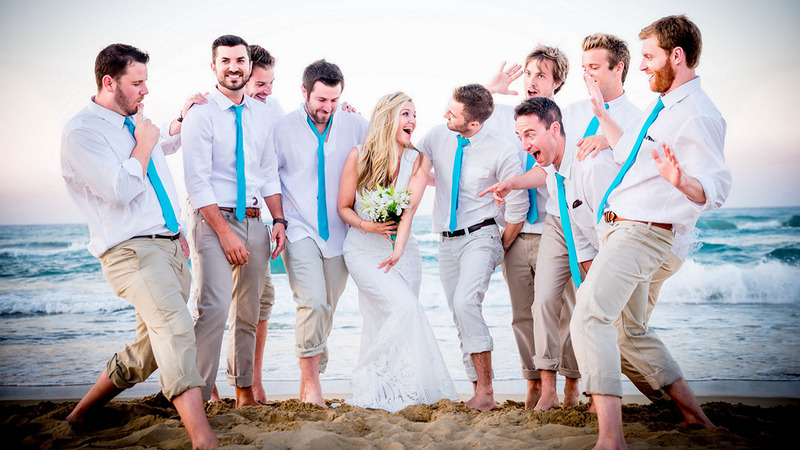 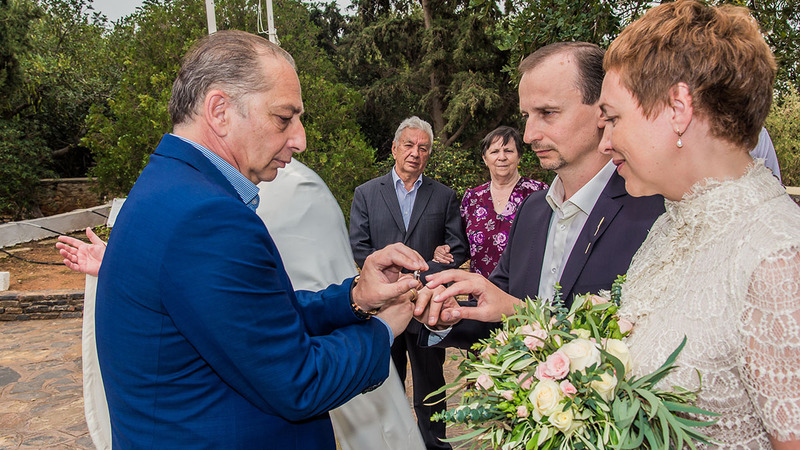 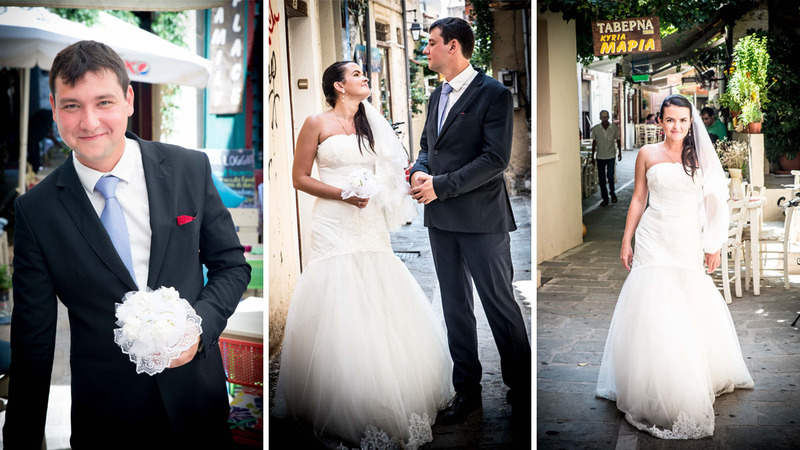 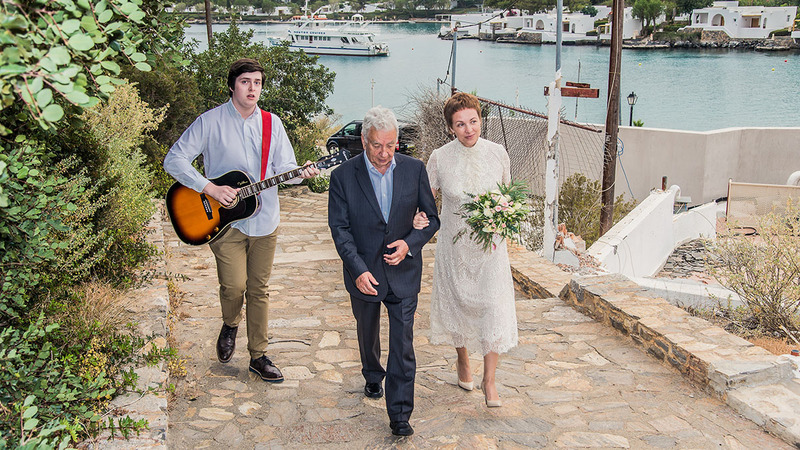 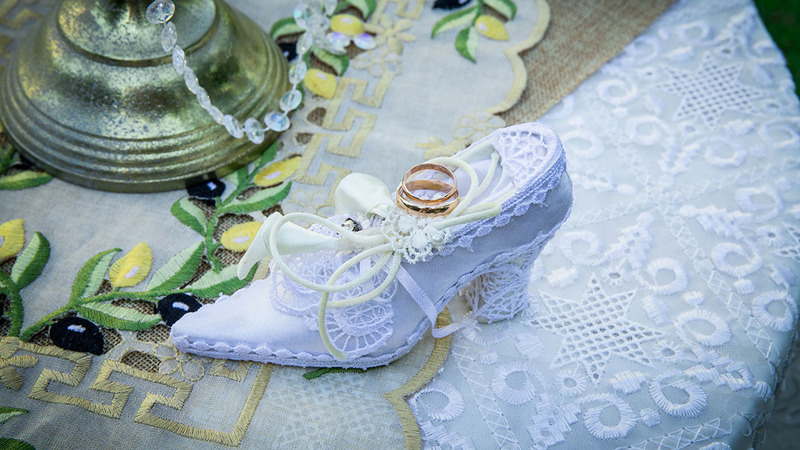 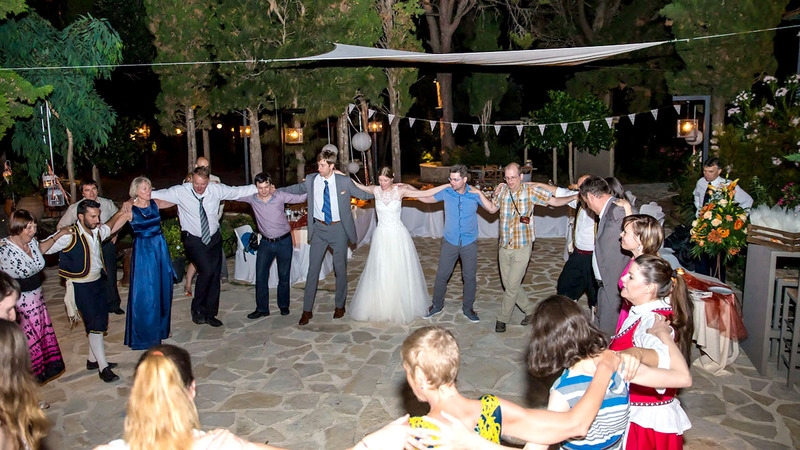 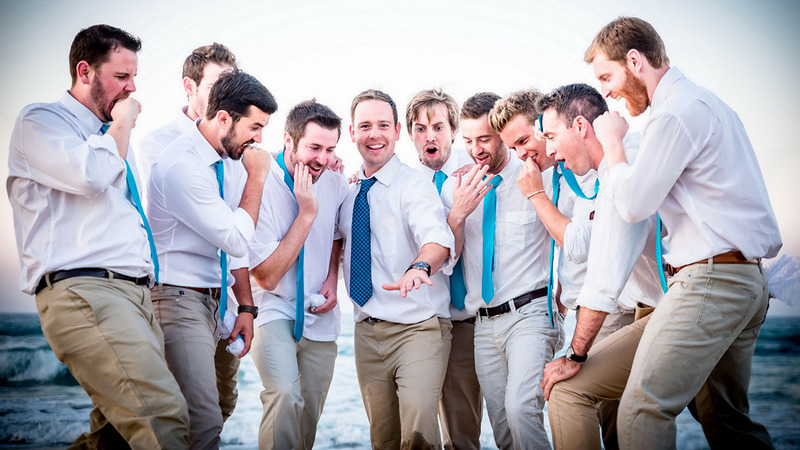 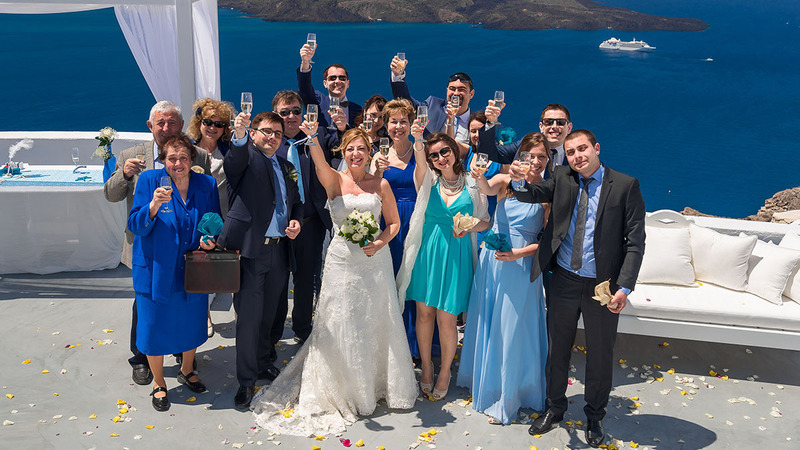 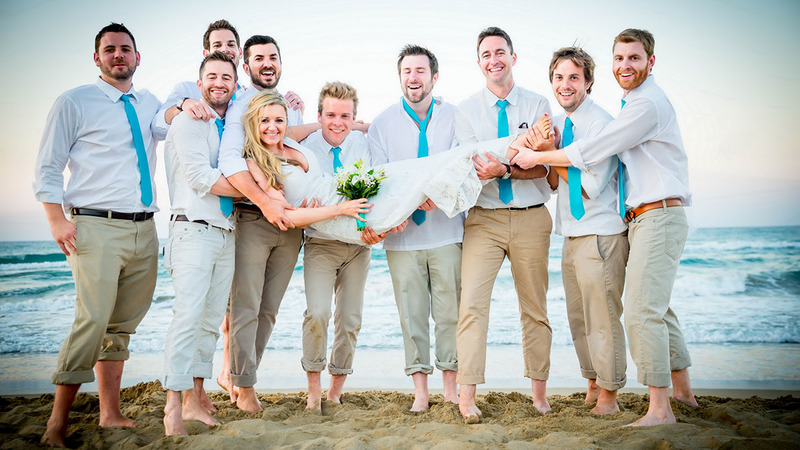 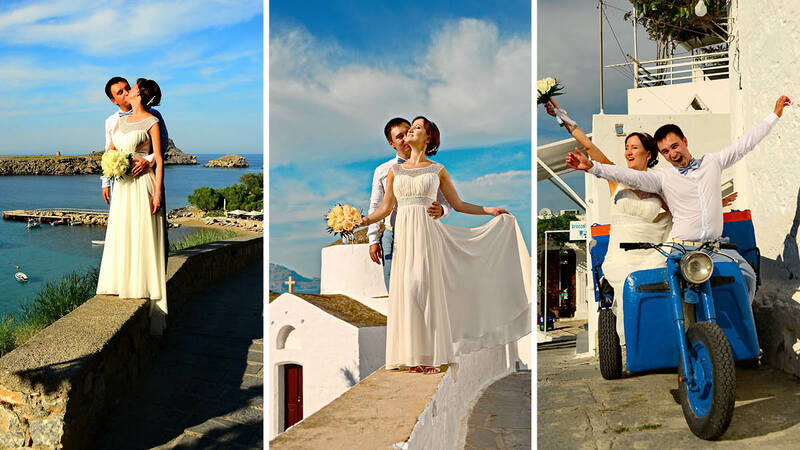 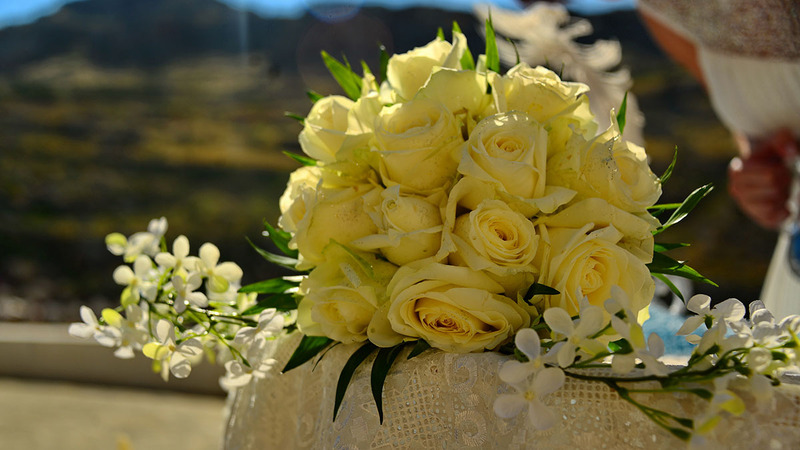 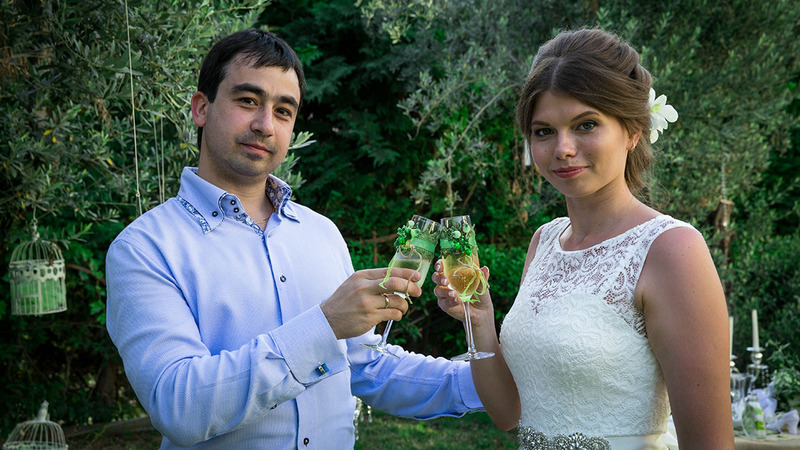 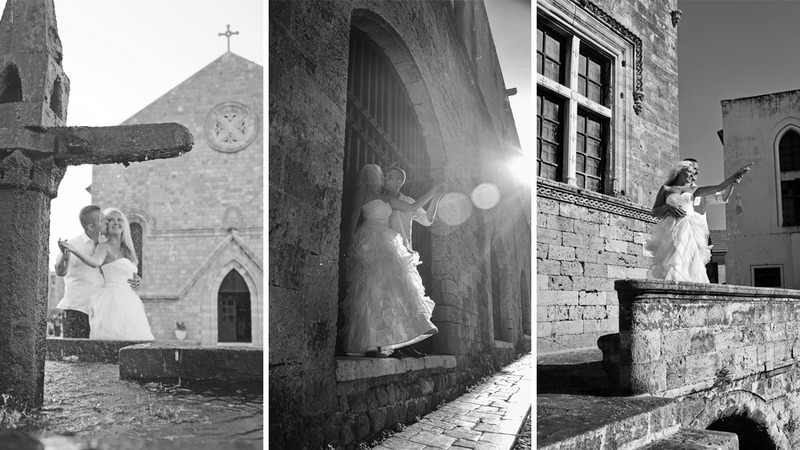 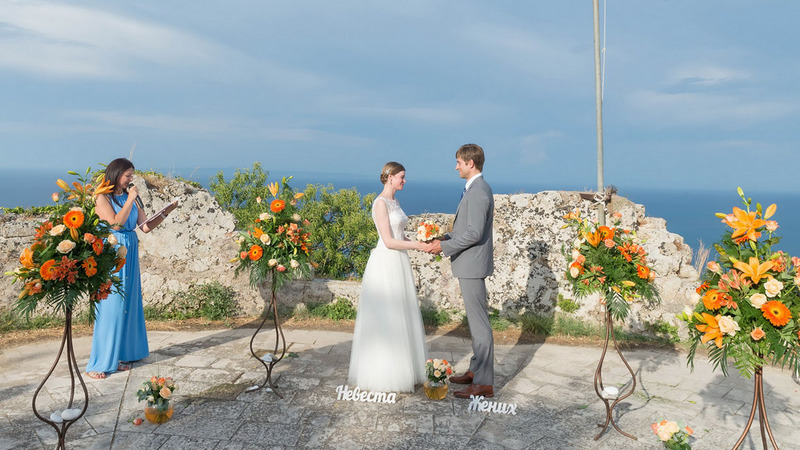 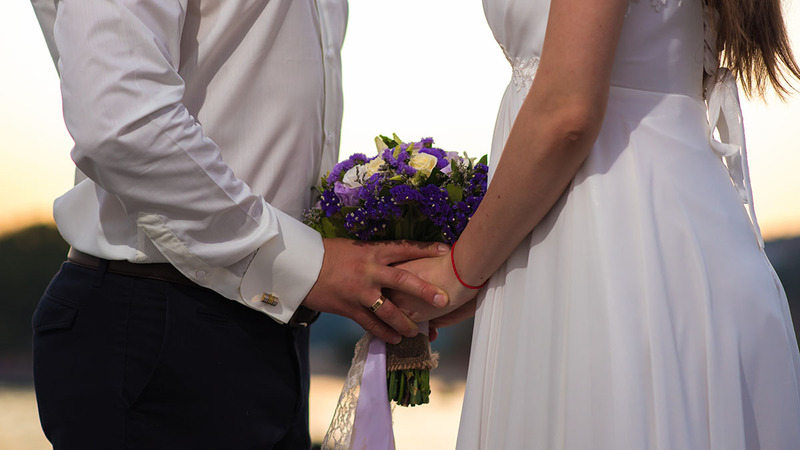 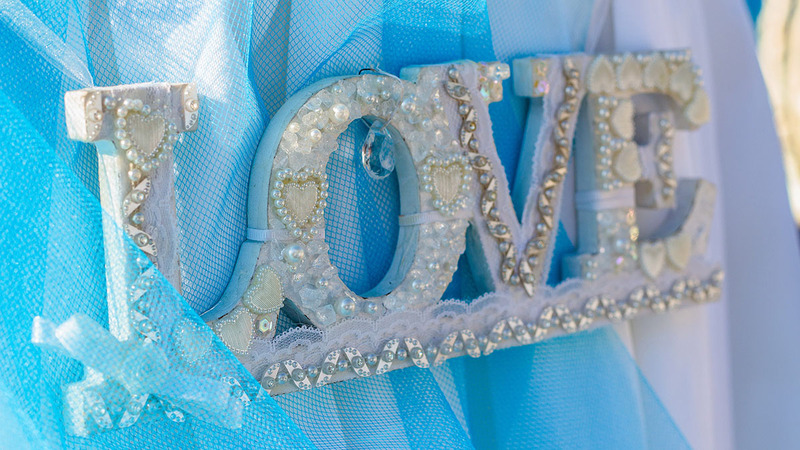 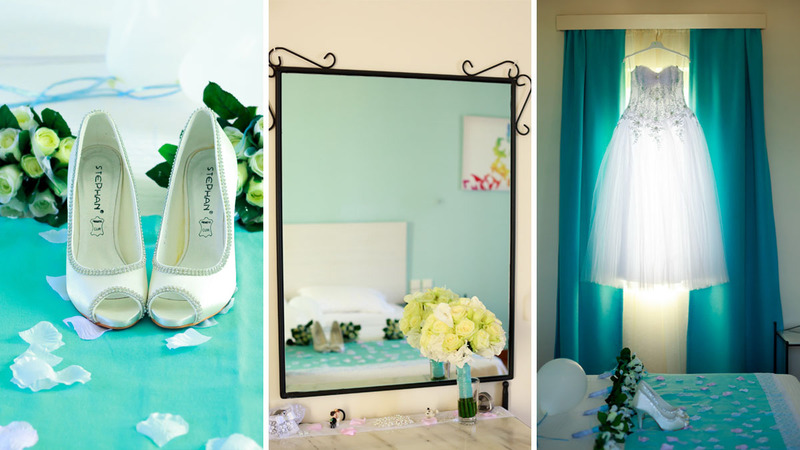 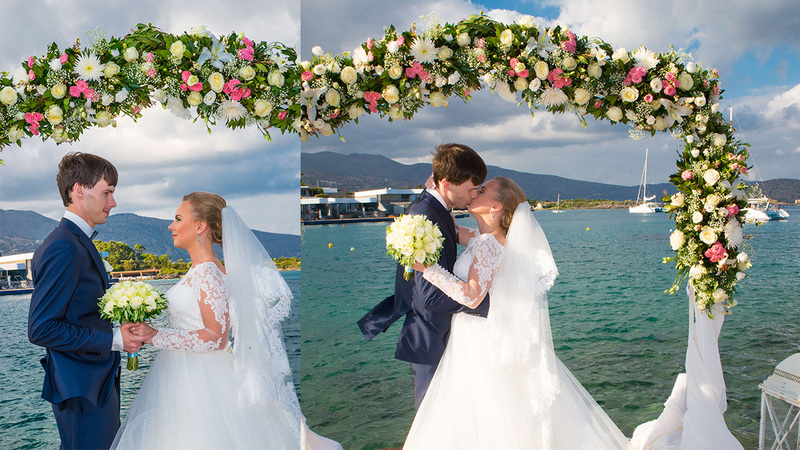 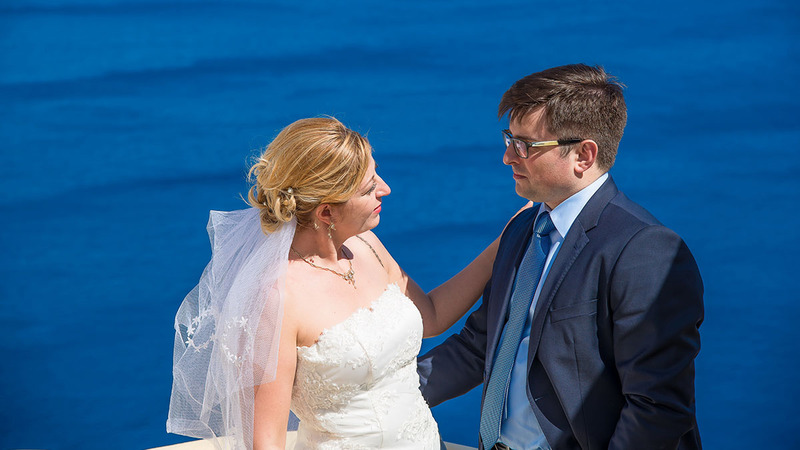 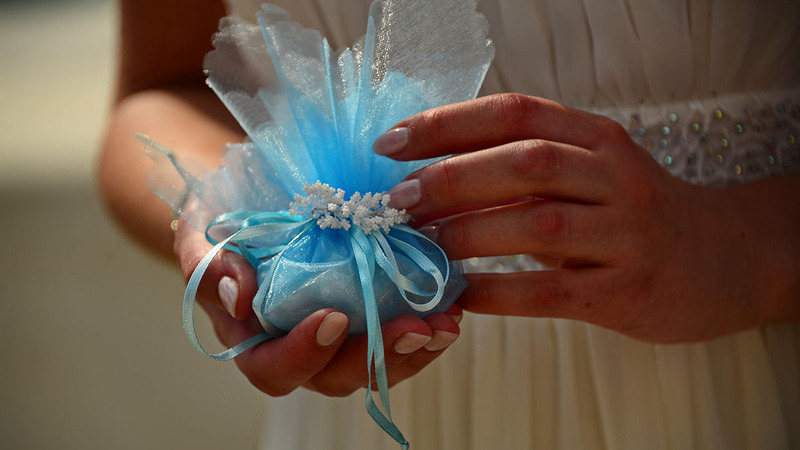 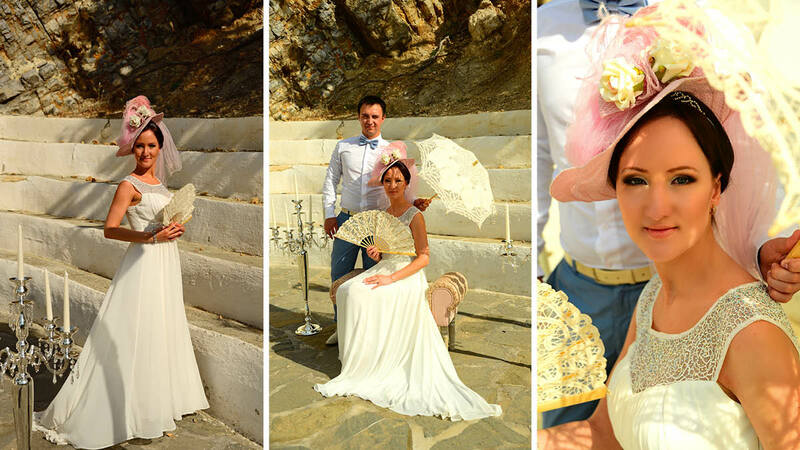 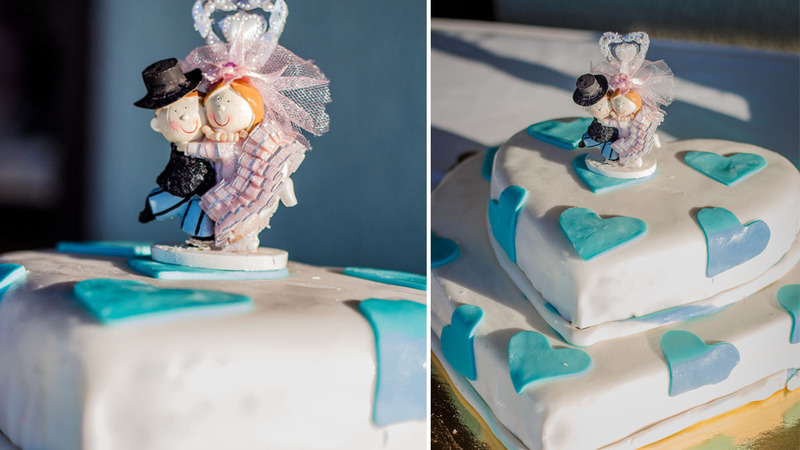 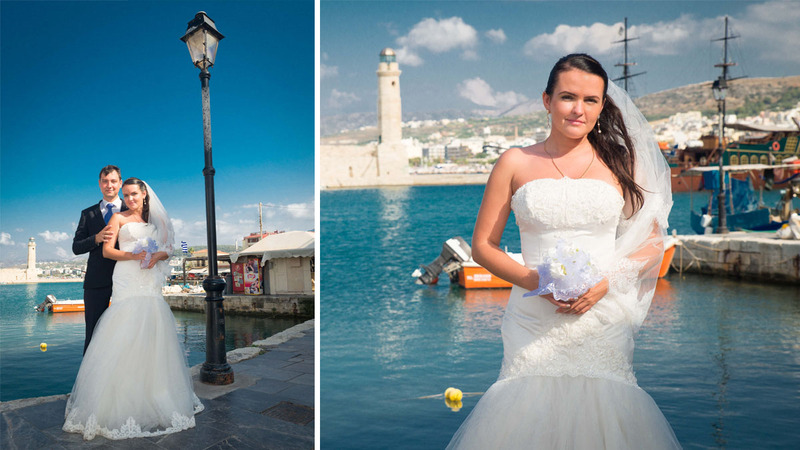 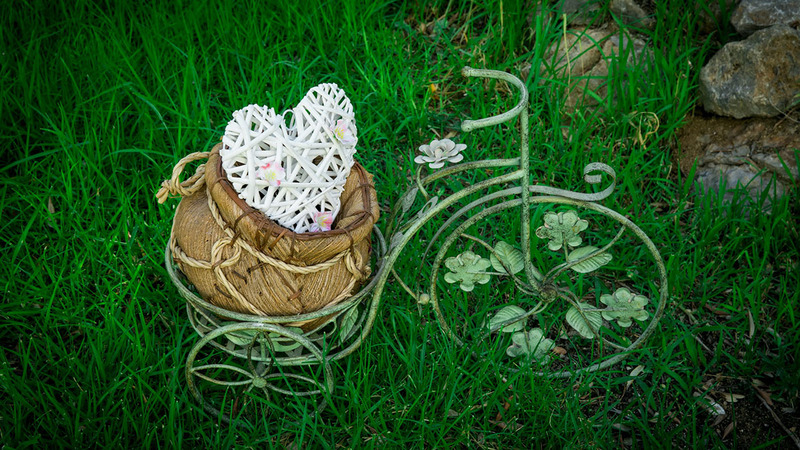 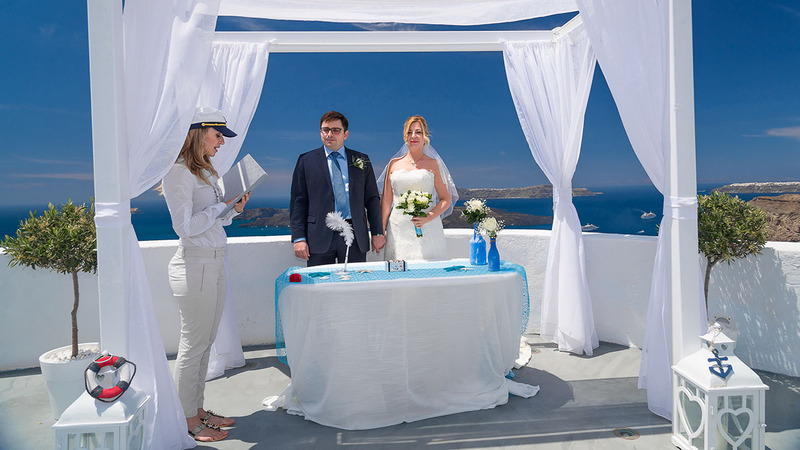 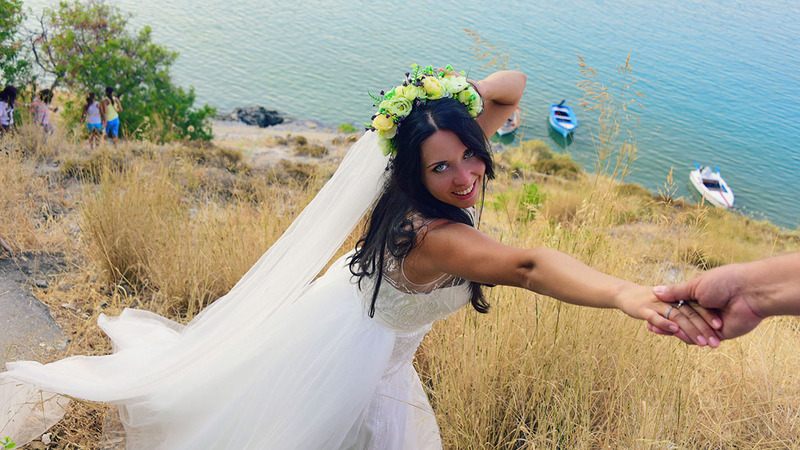 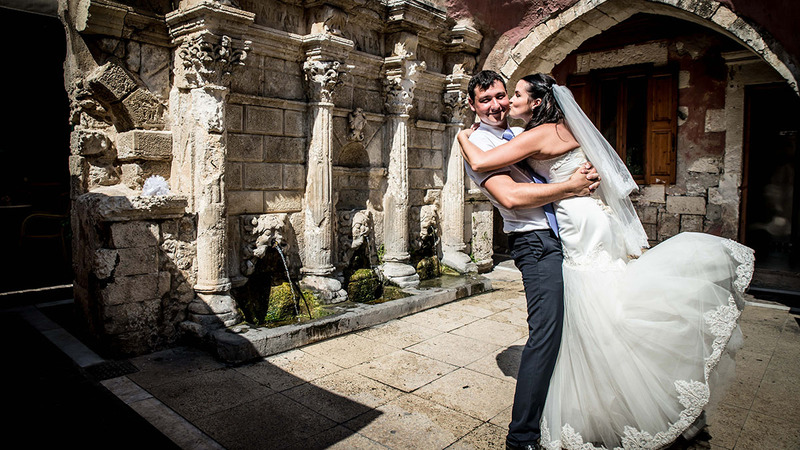 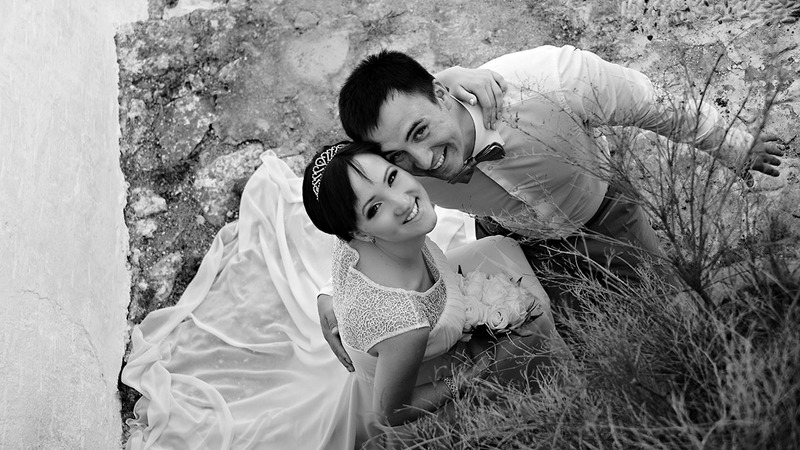 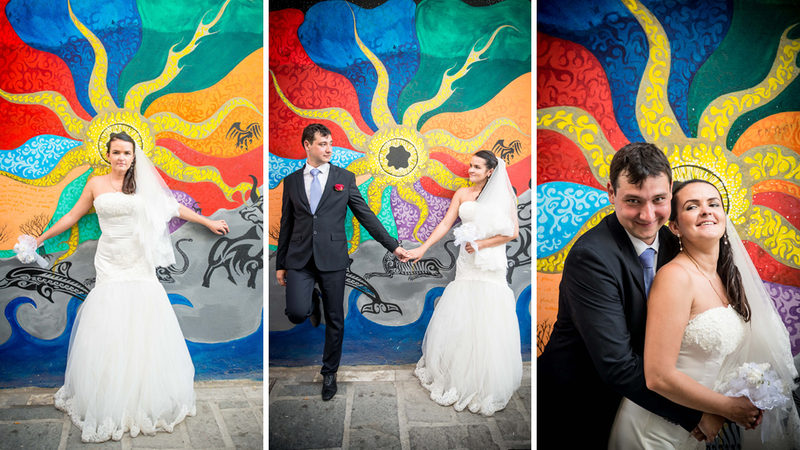 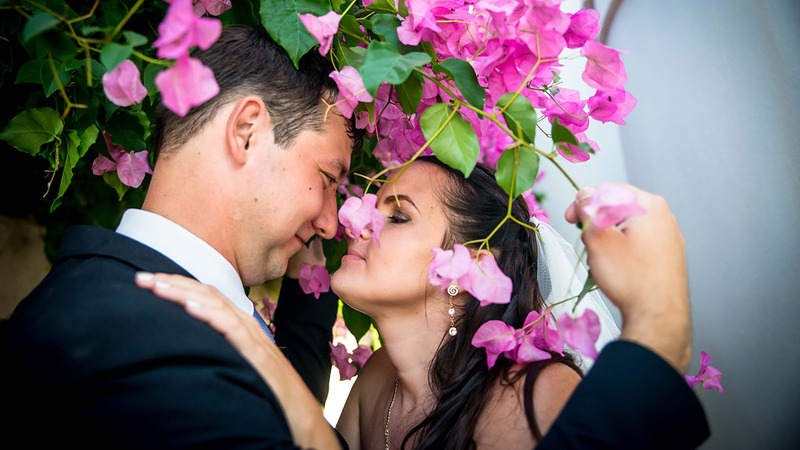 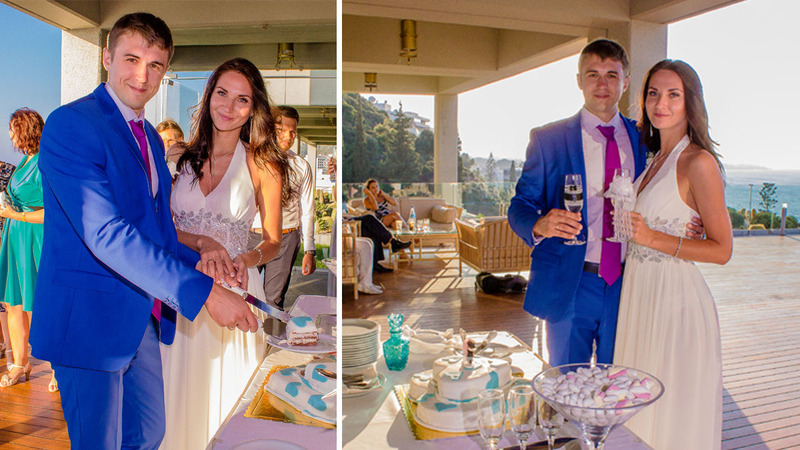 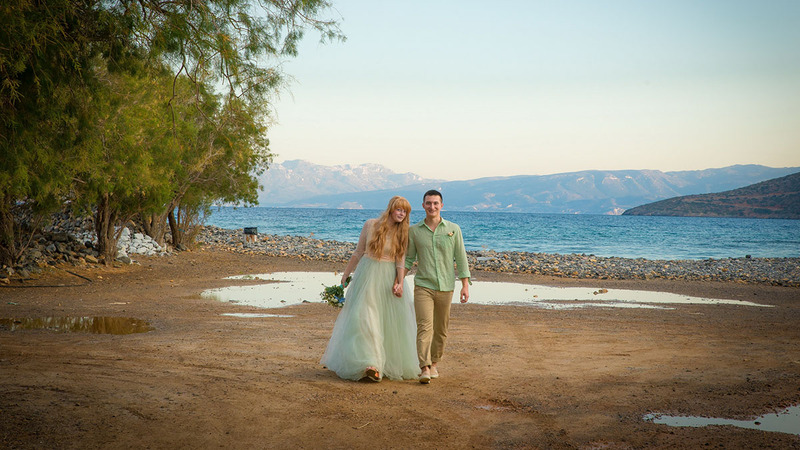 Symbolic wedding in Greece: photo, reviews, prices, wedding offers. 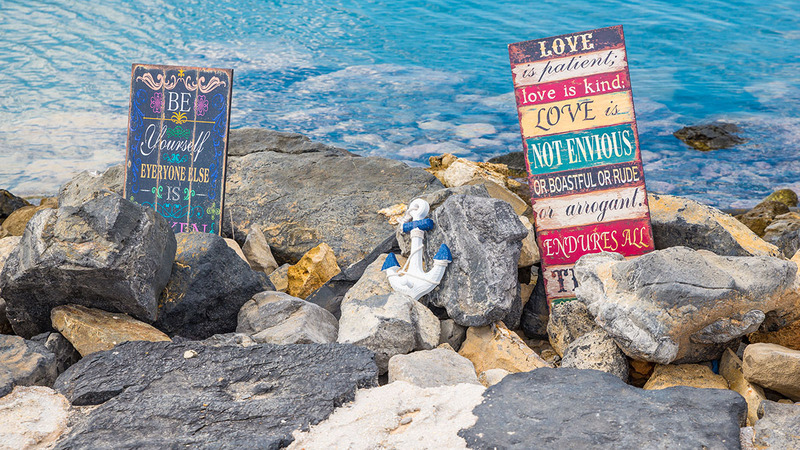 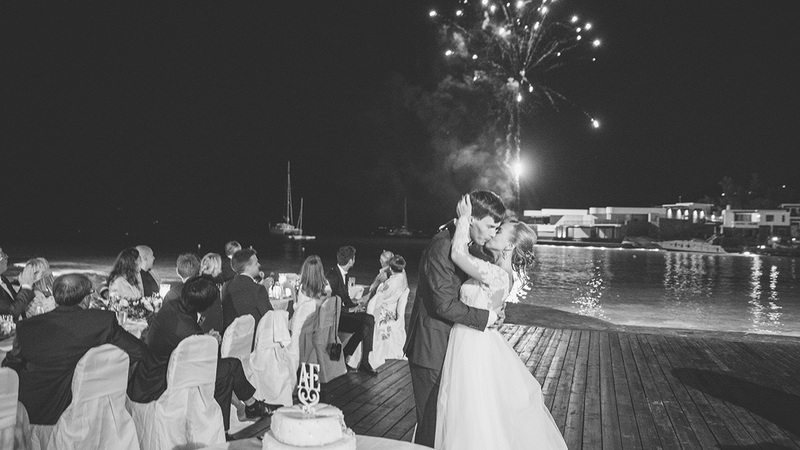 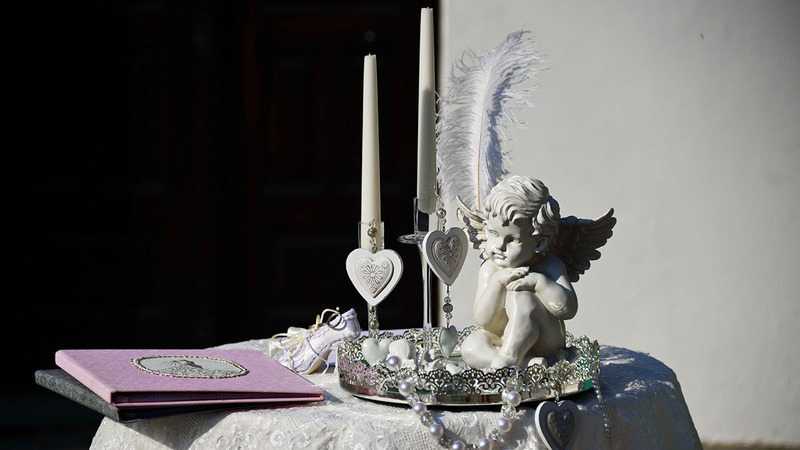 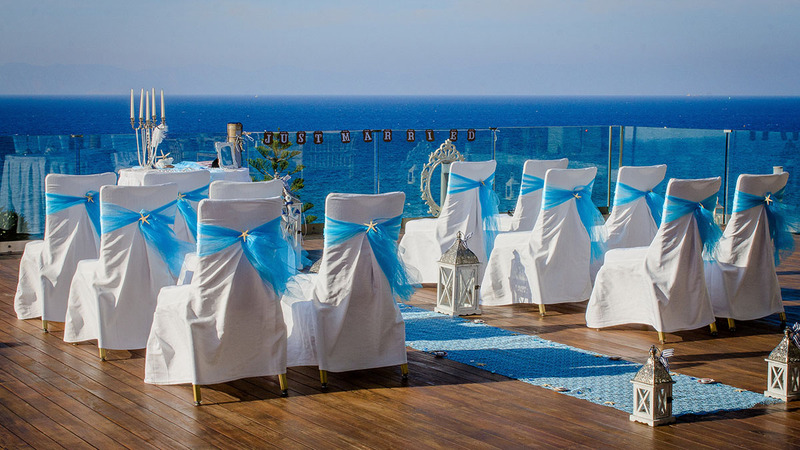 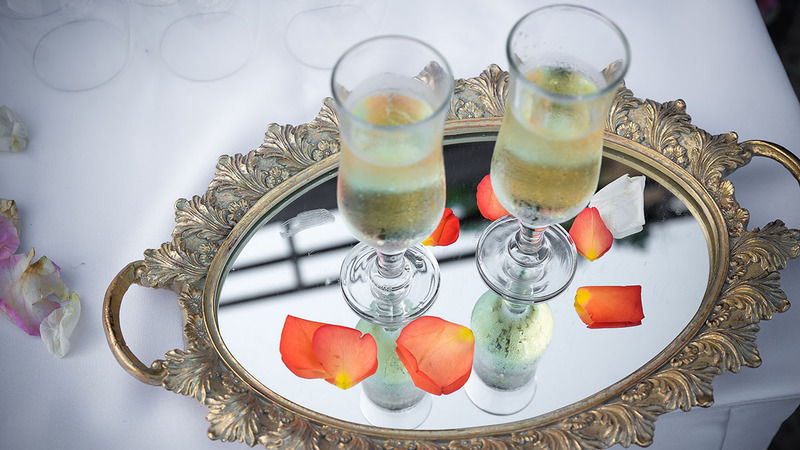 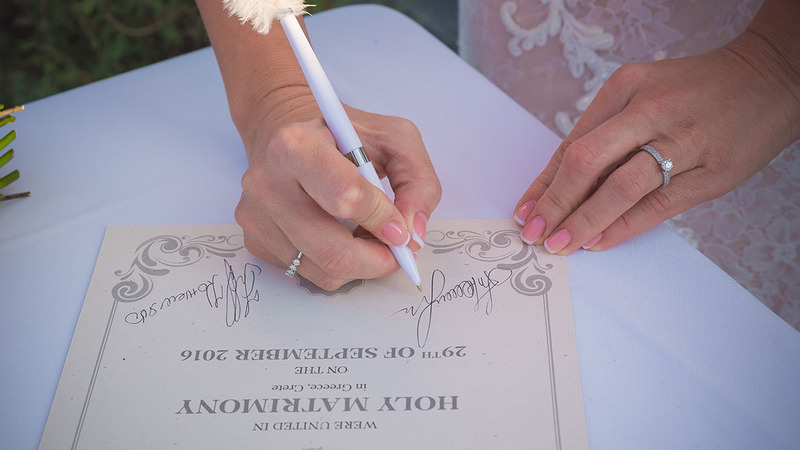 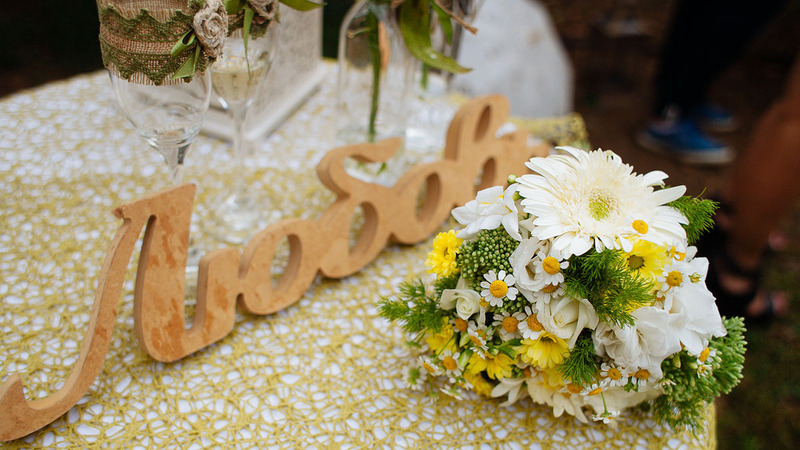 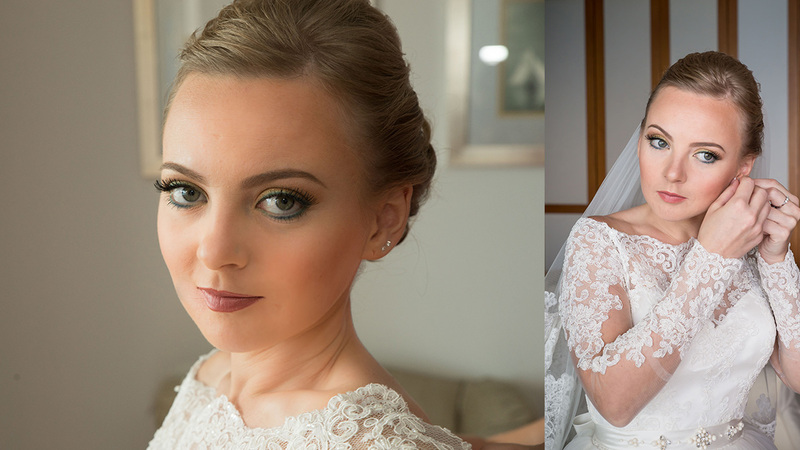 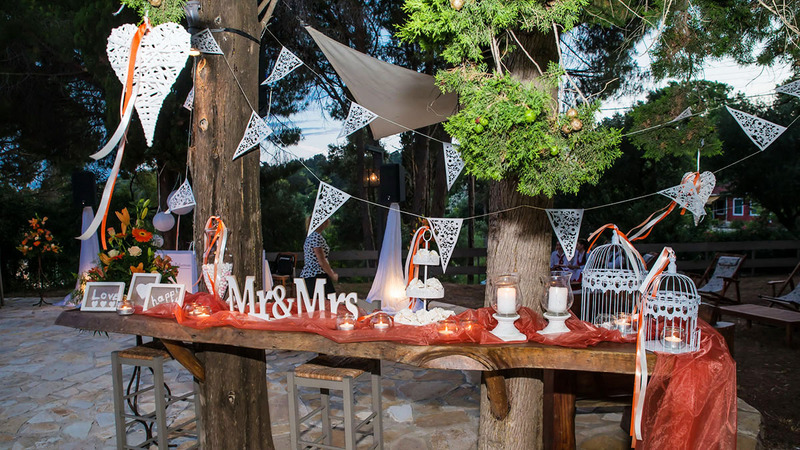 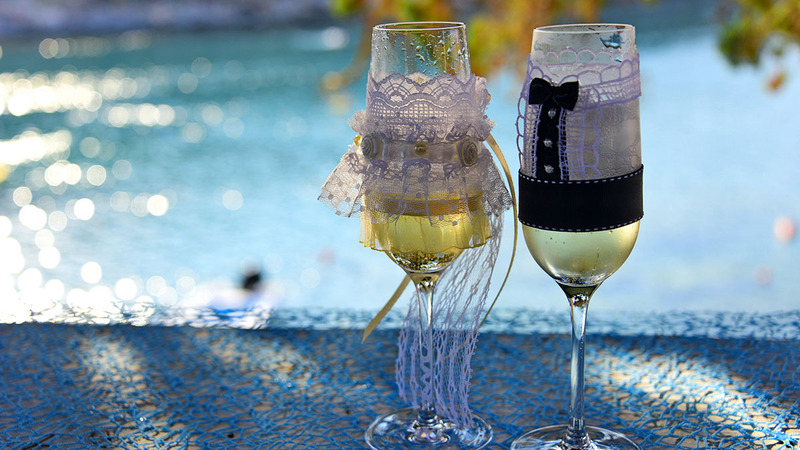 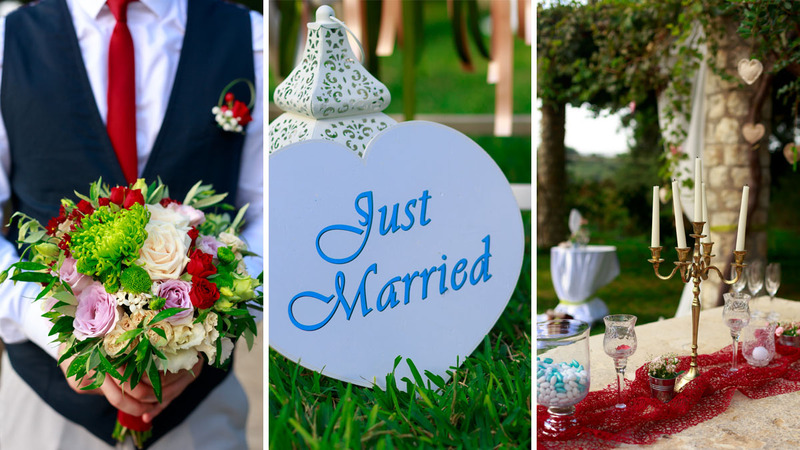 Dreaming about marking an important milestone or celebrating your wedding or anniversary in a romantic setting? 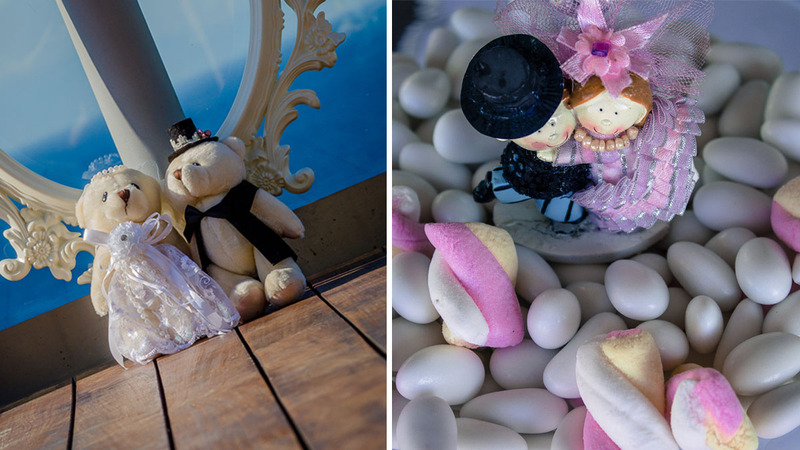 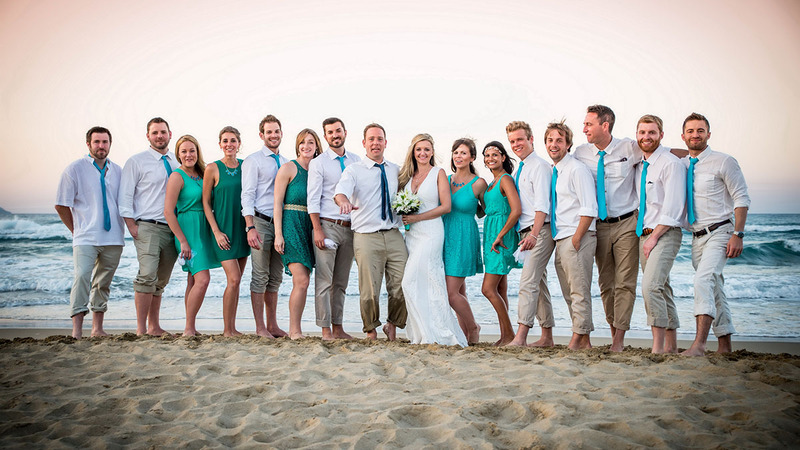 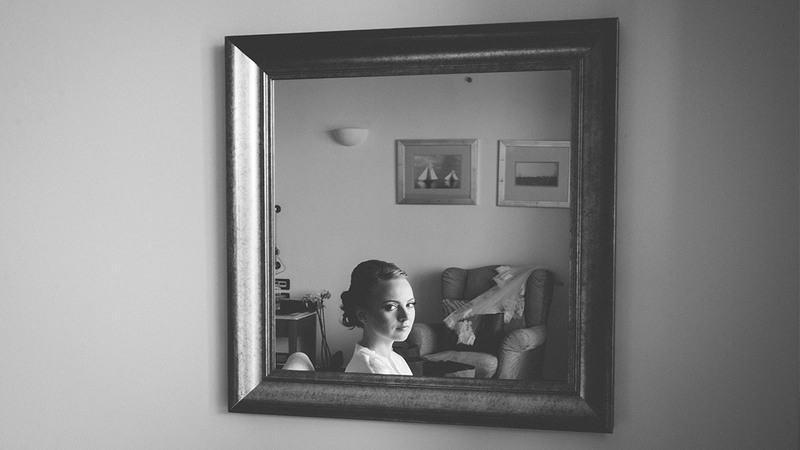 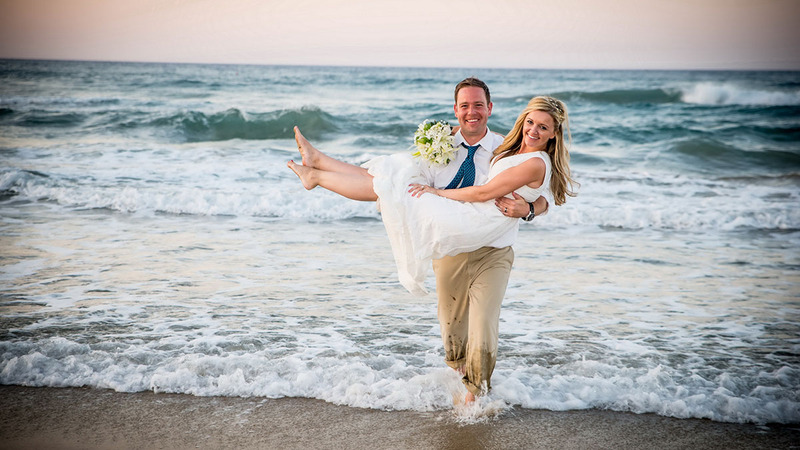 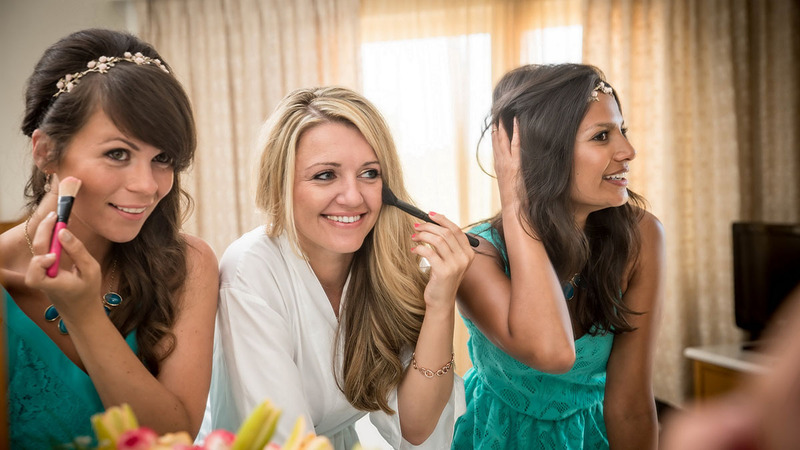 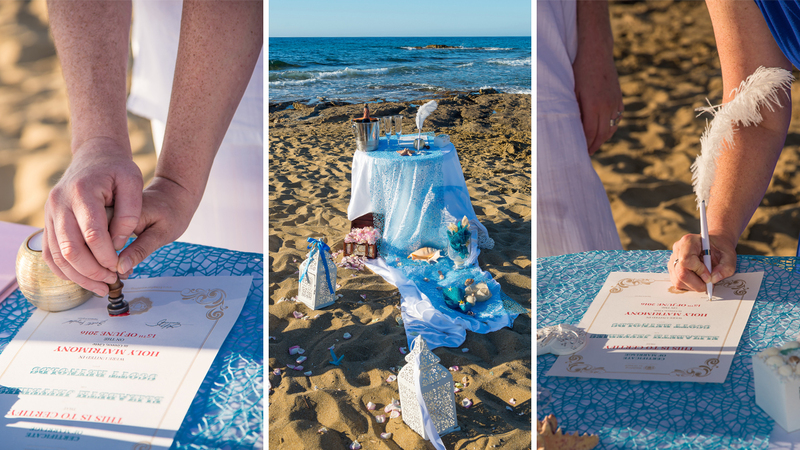 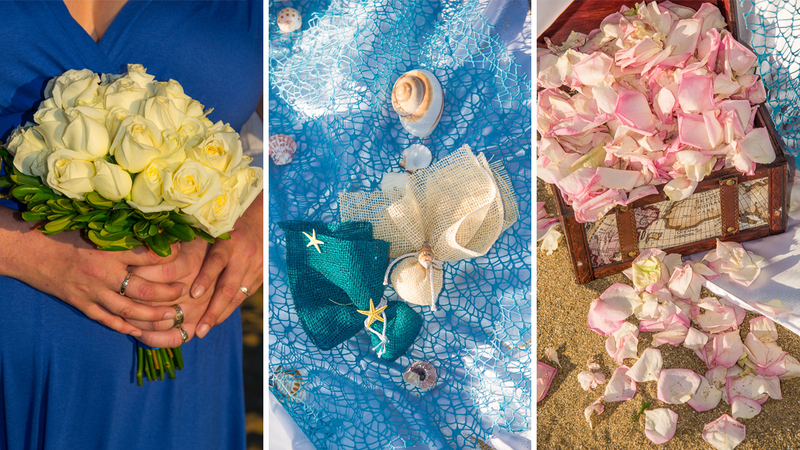 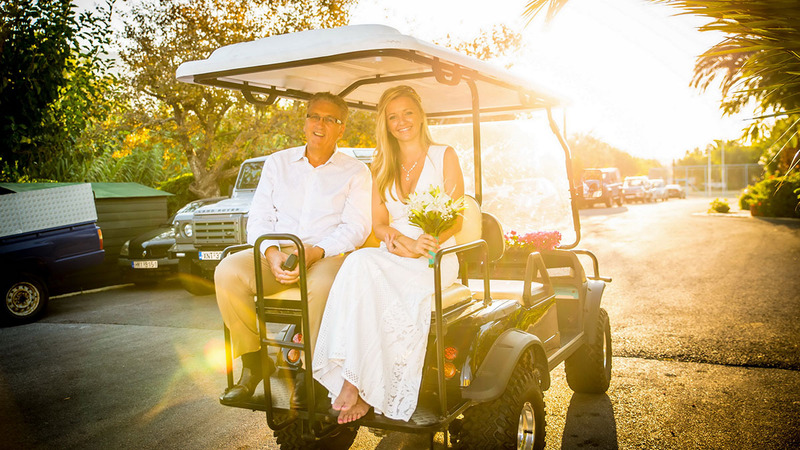 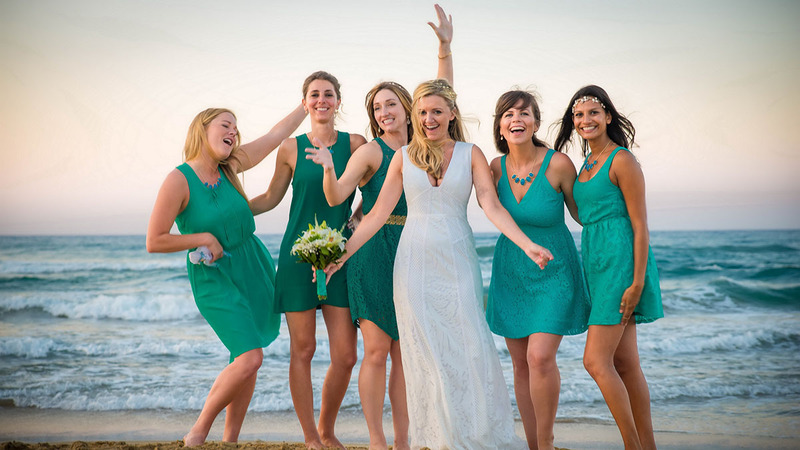 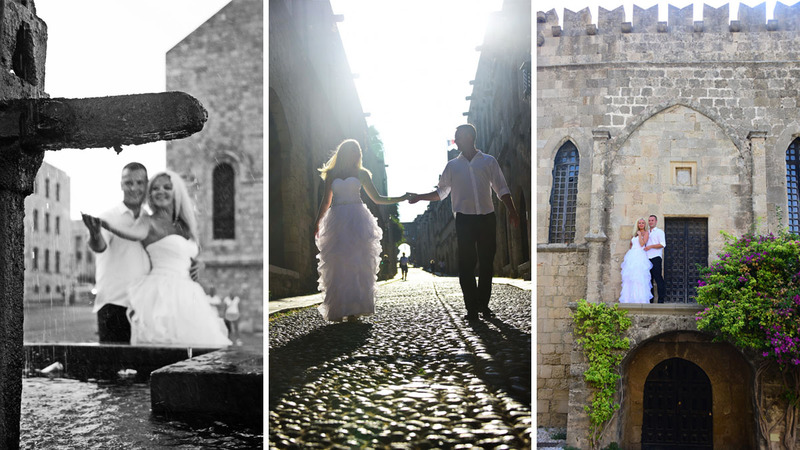 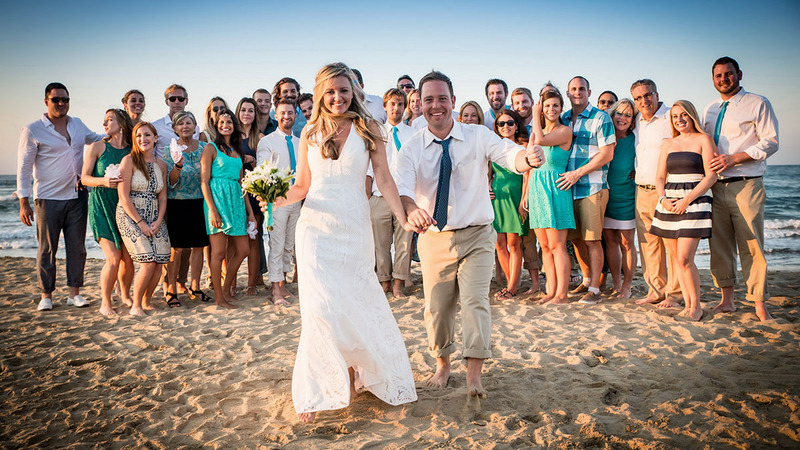 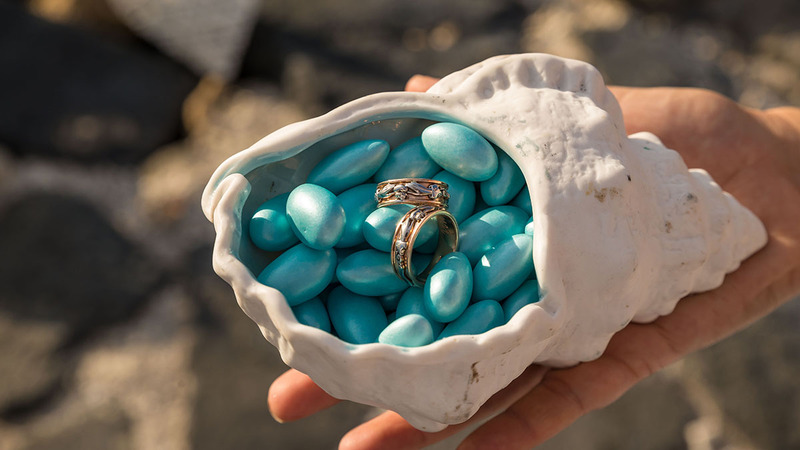 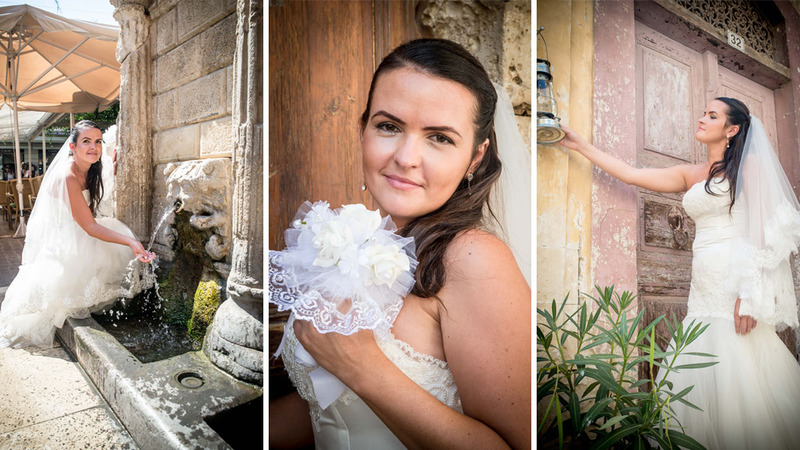 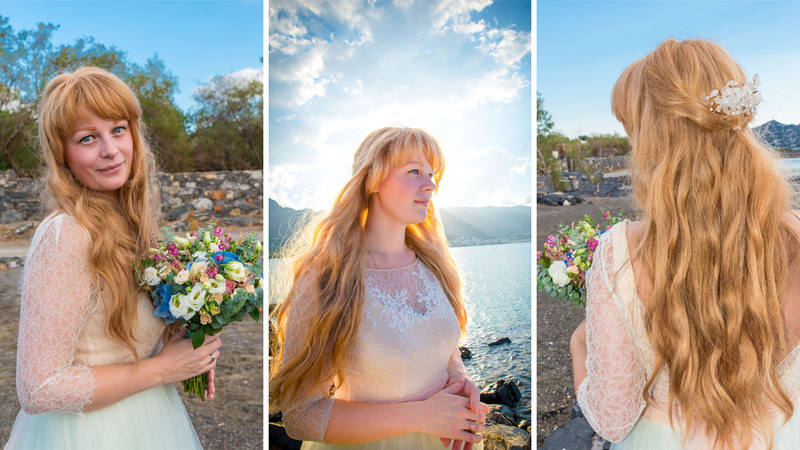 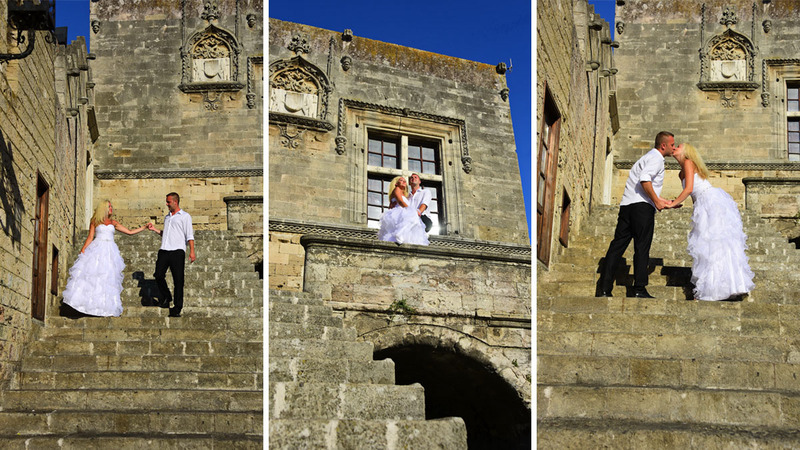 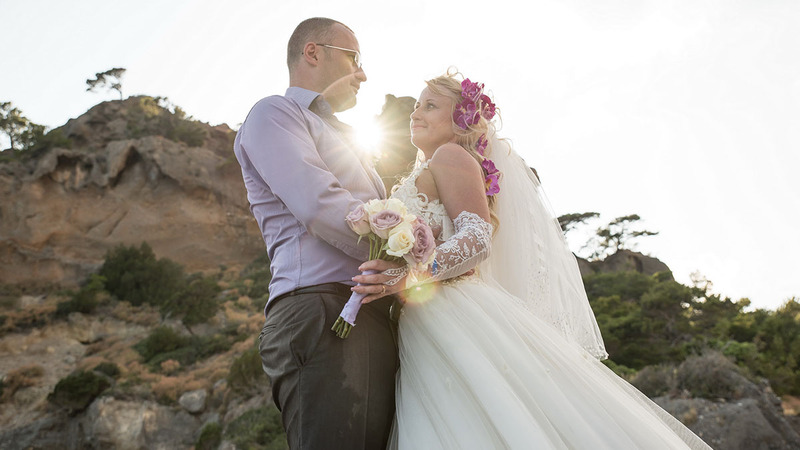 Turn your wedding day into something special by taking an extraordinary journey to a secret location! 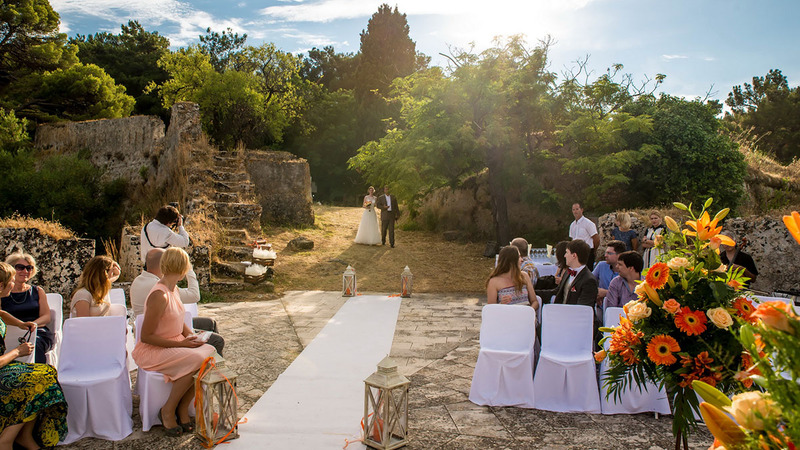 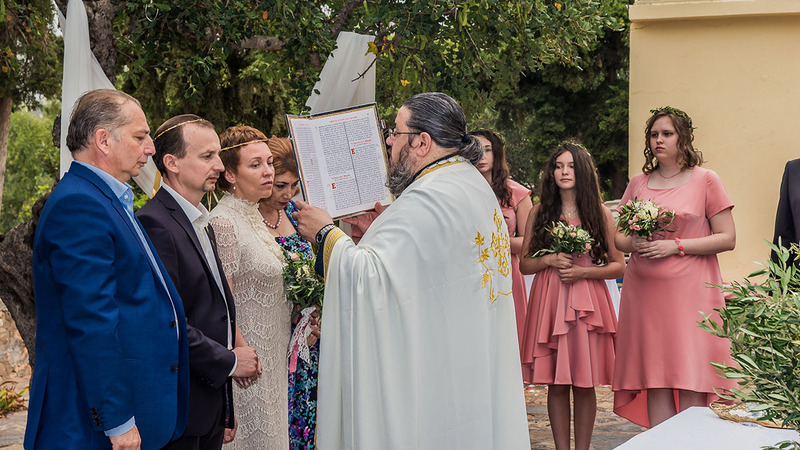 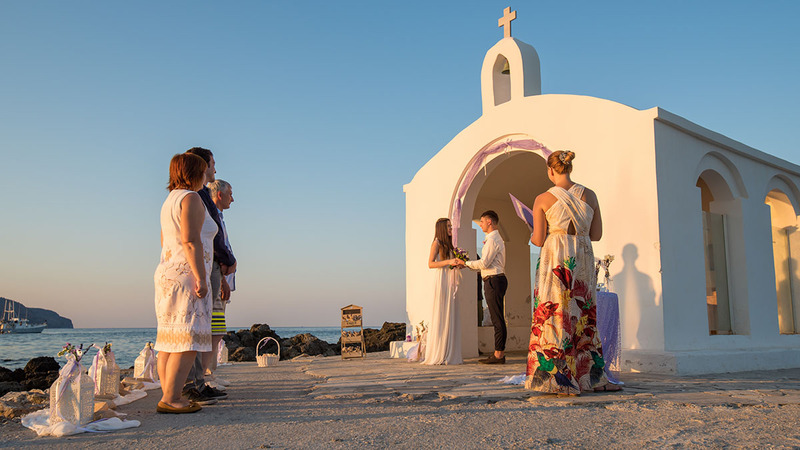 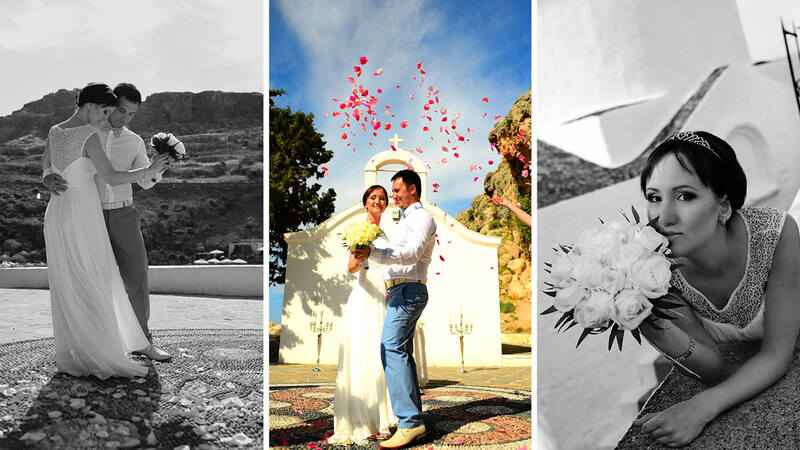 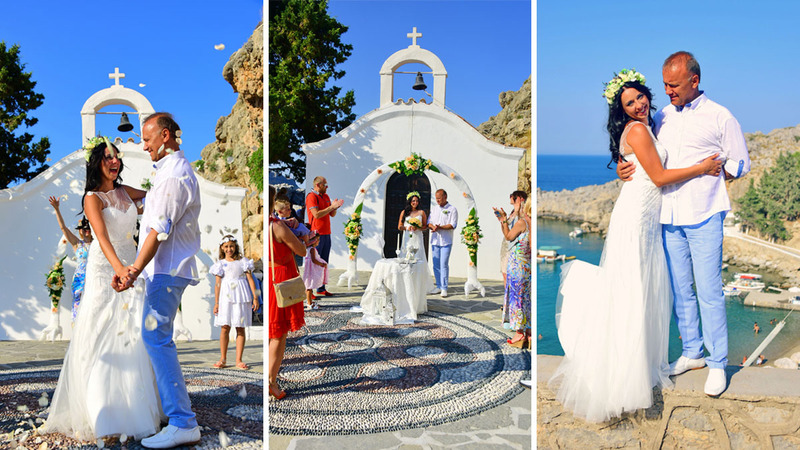 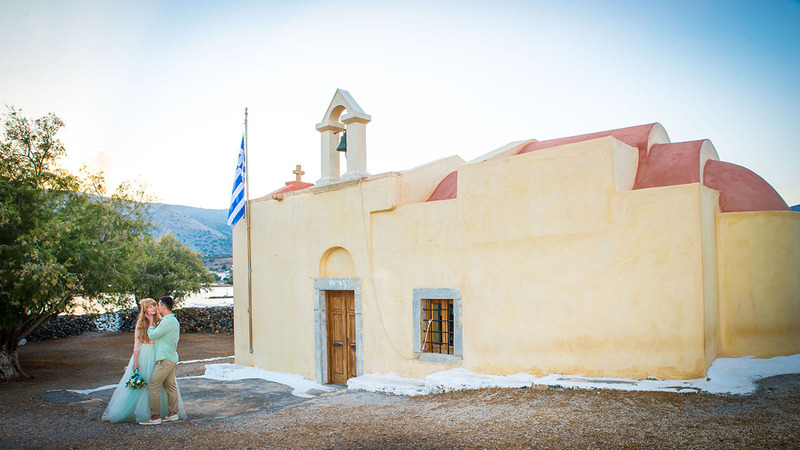 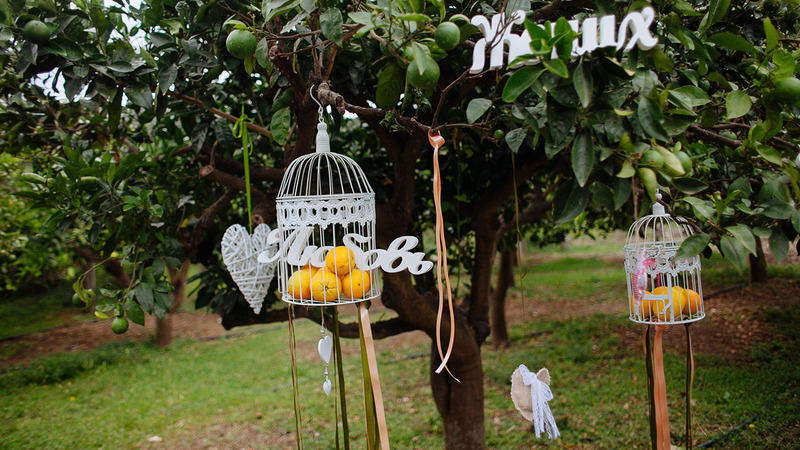 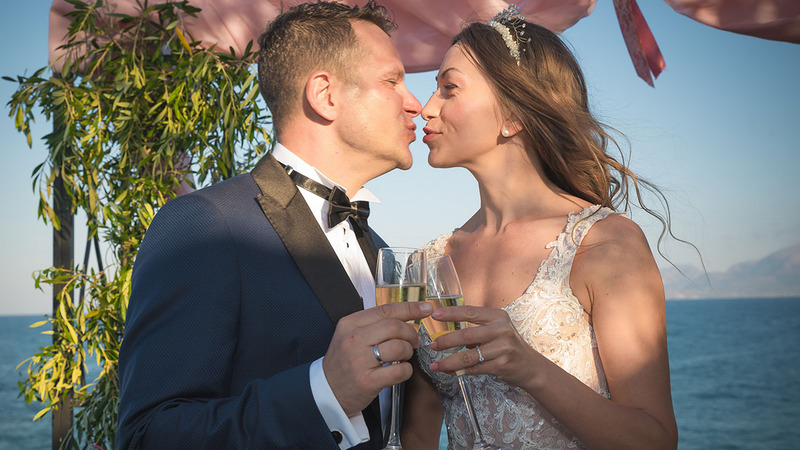 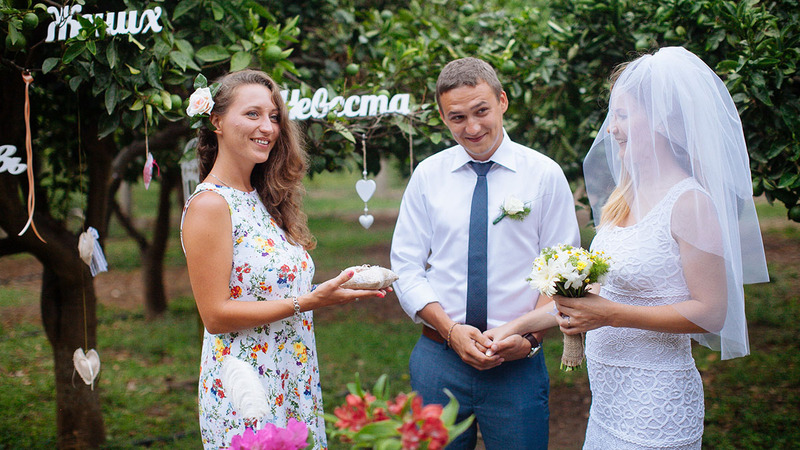 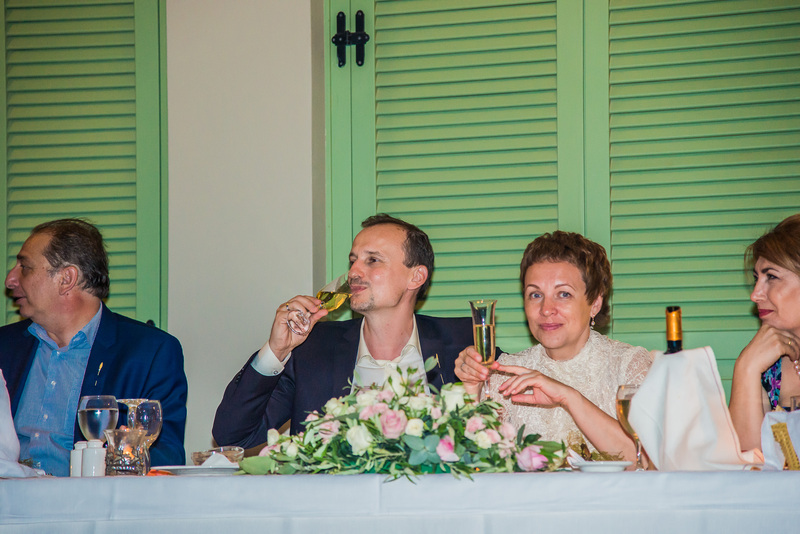 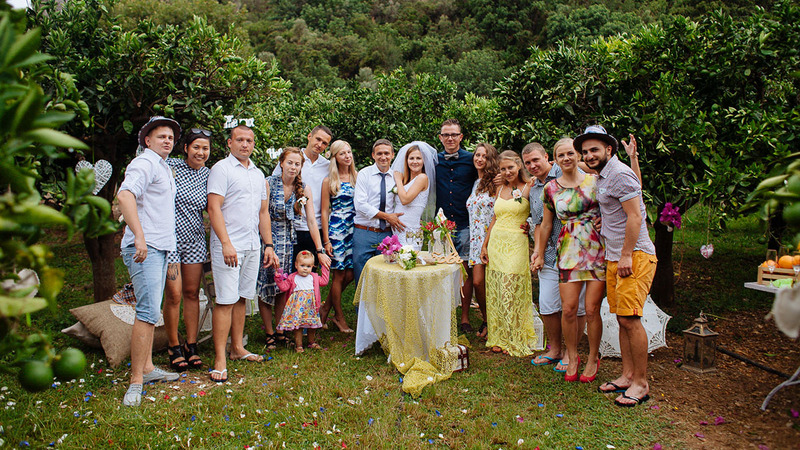 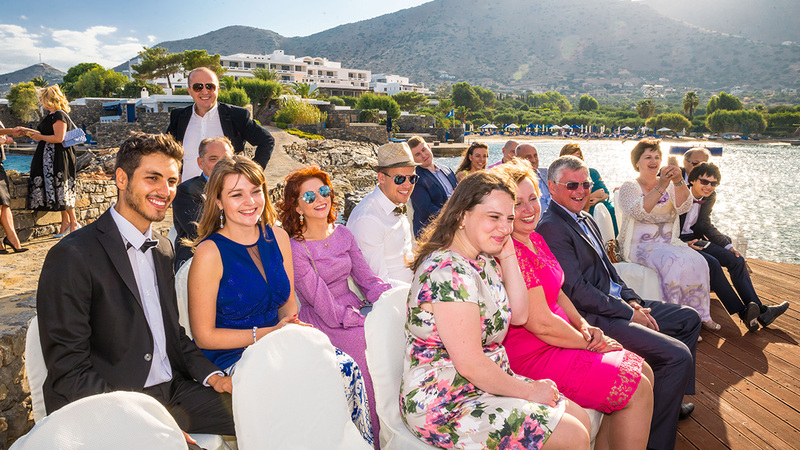 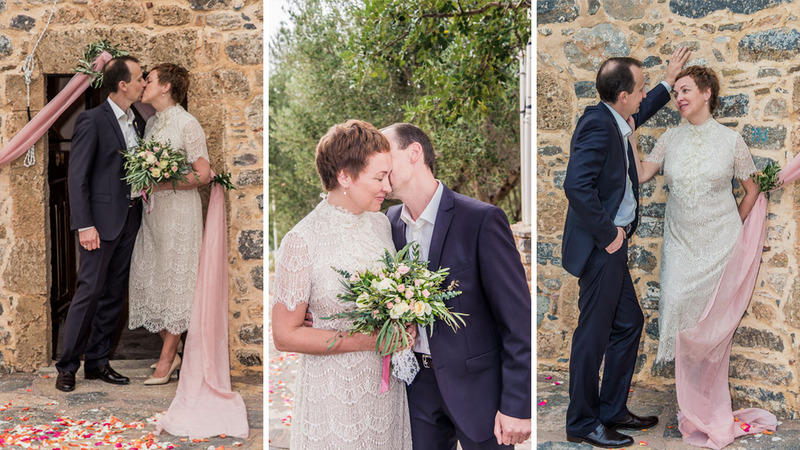 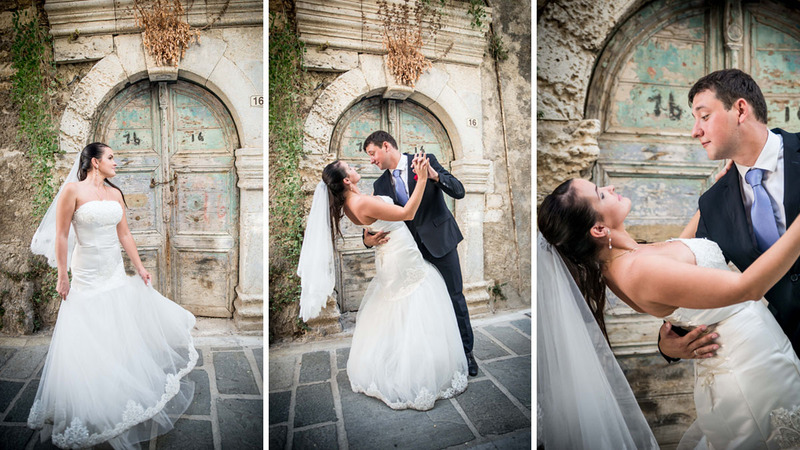 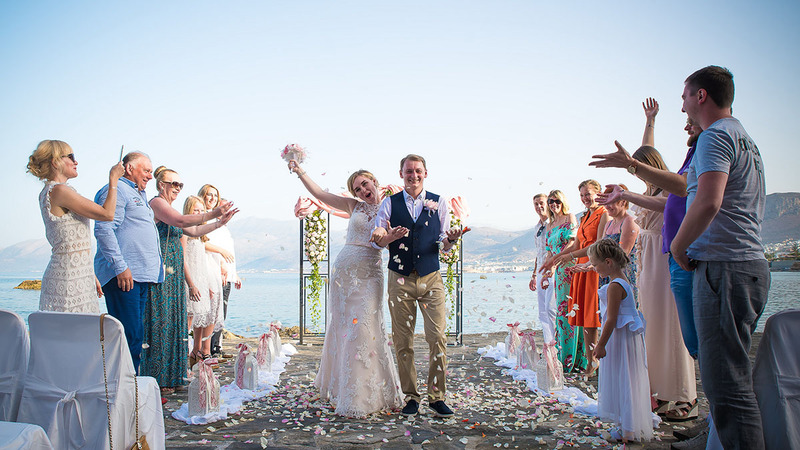 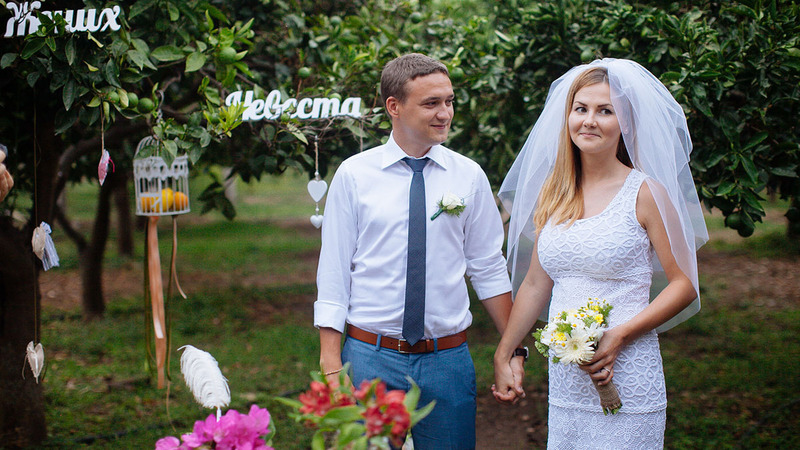 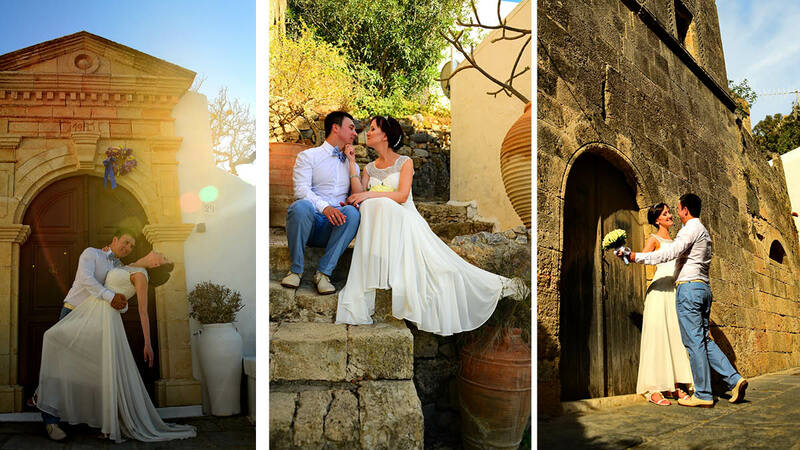 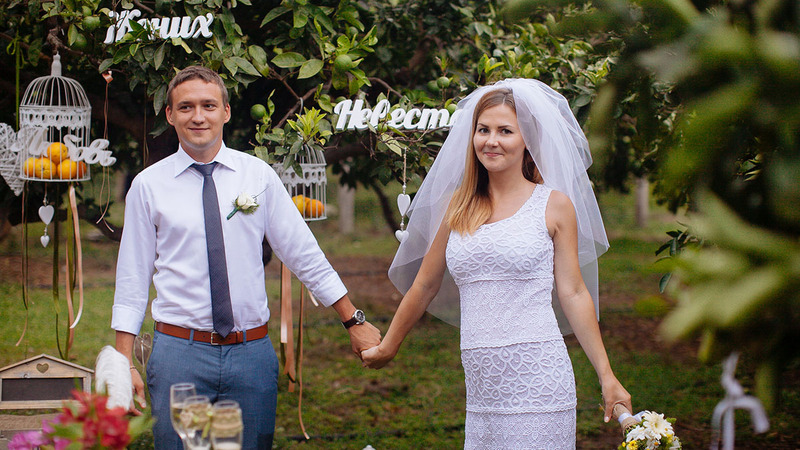 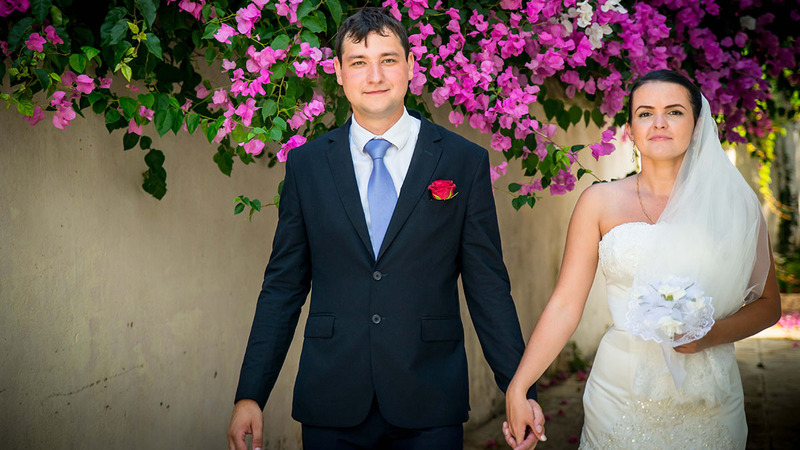 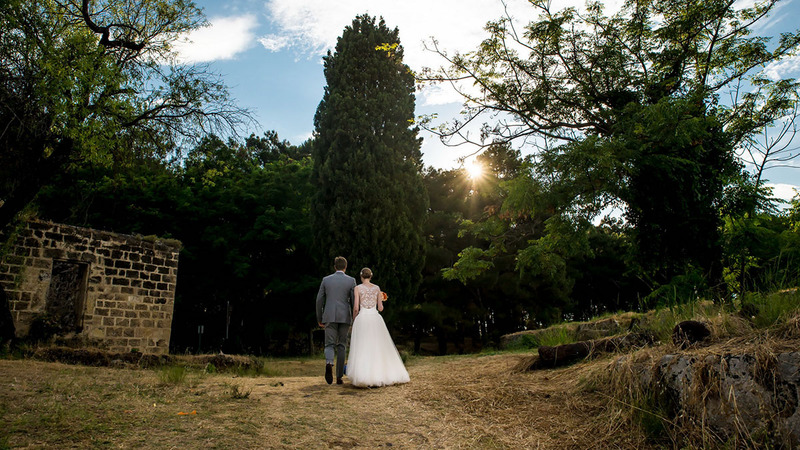 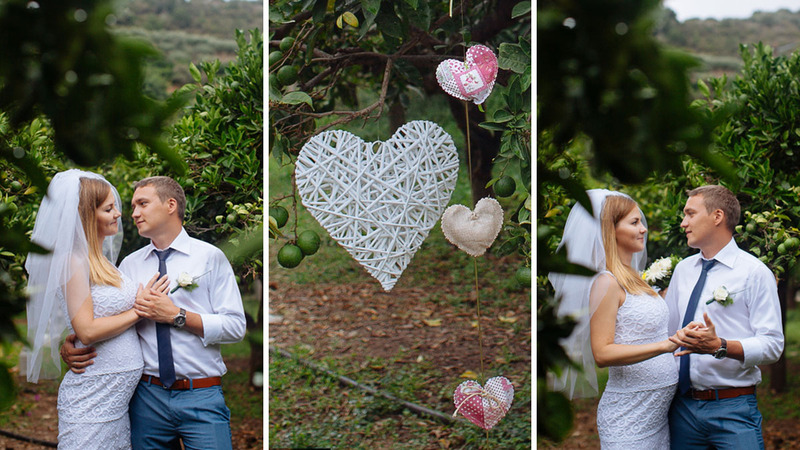 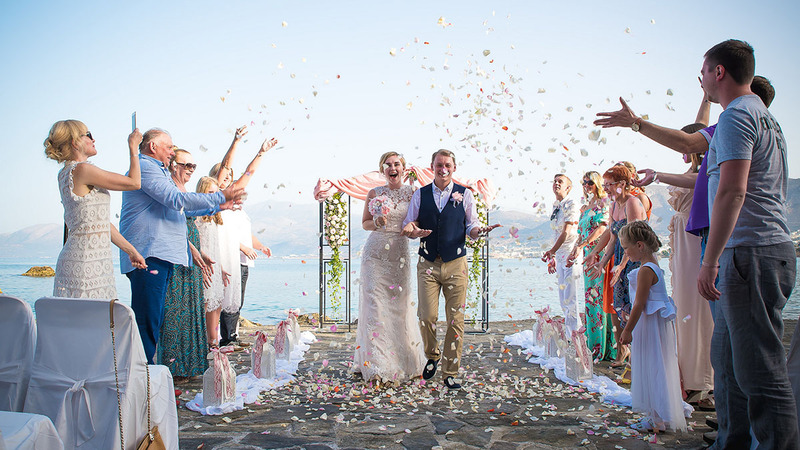 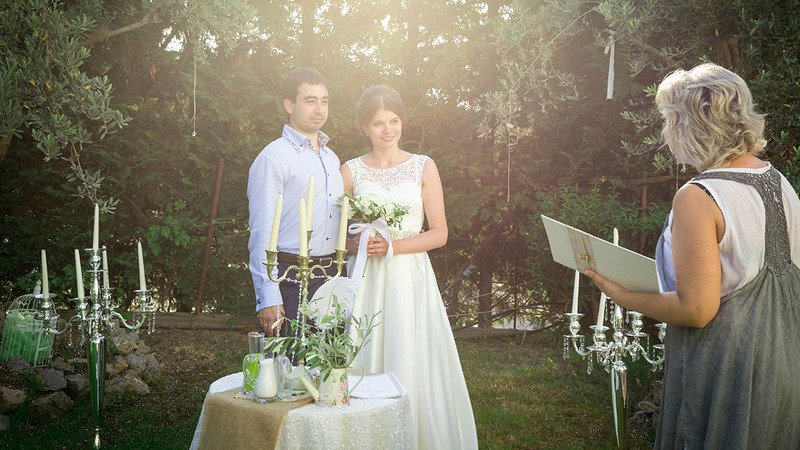 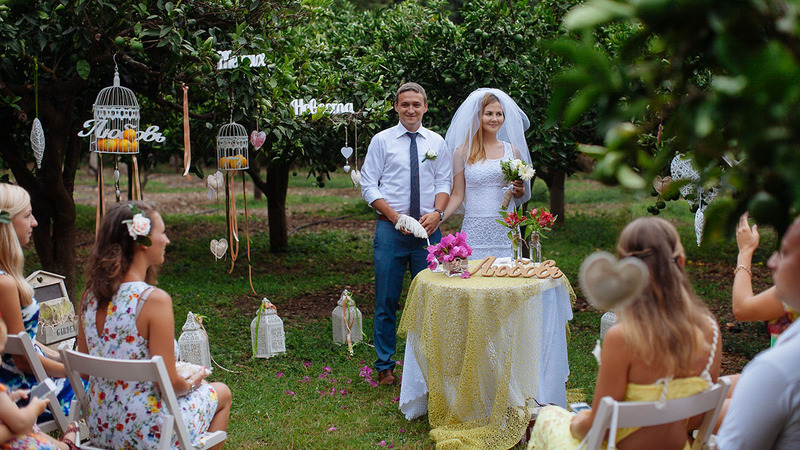 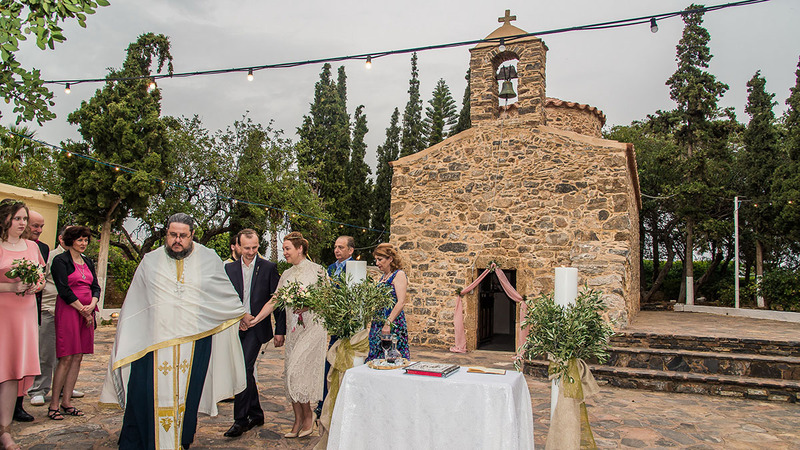 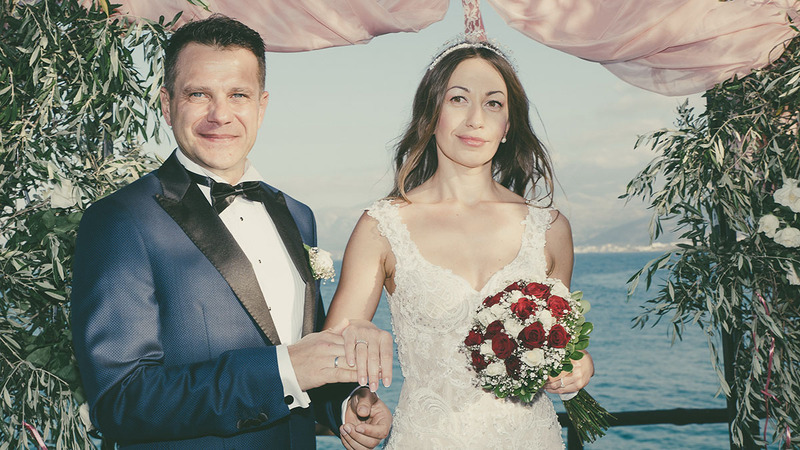 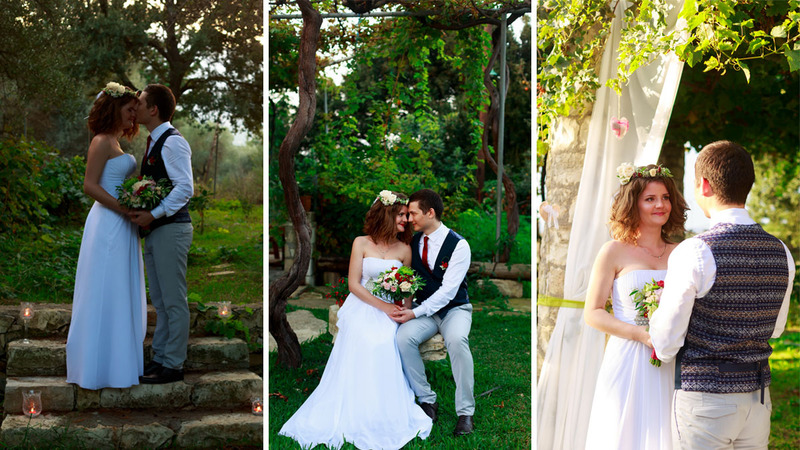 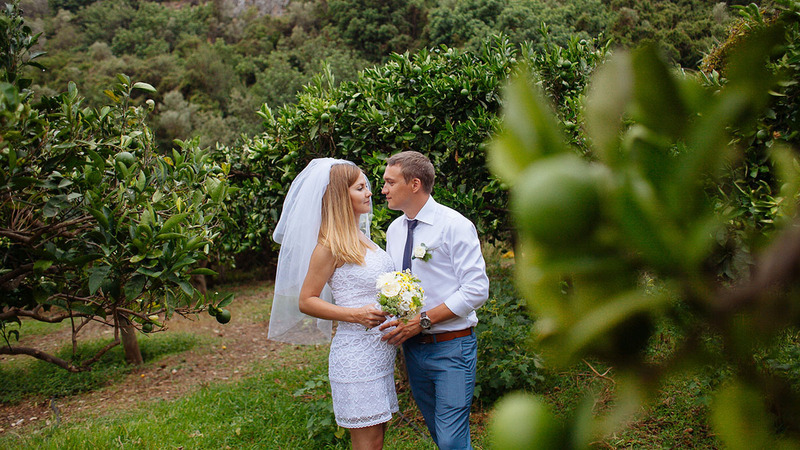 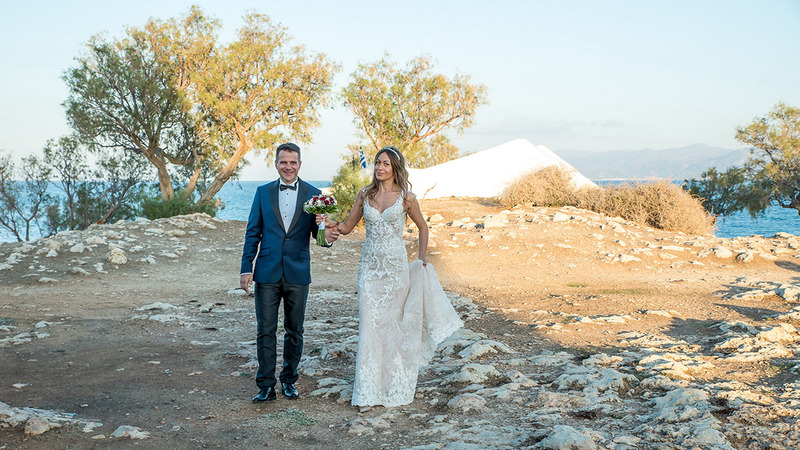 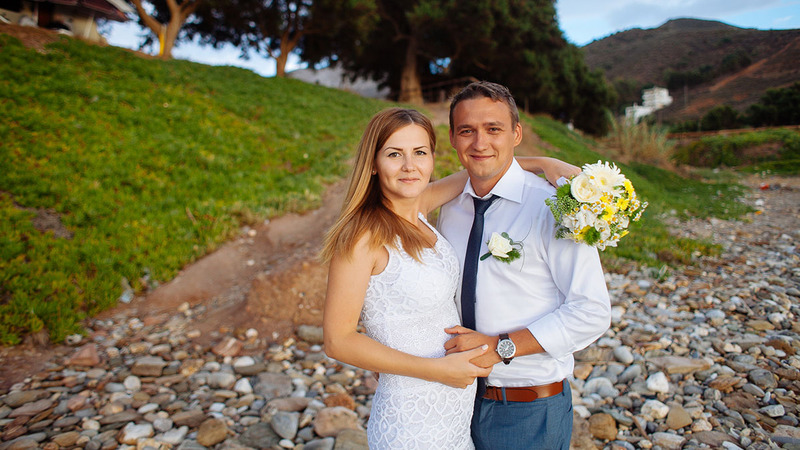 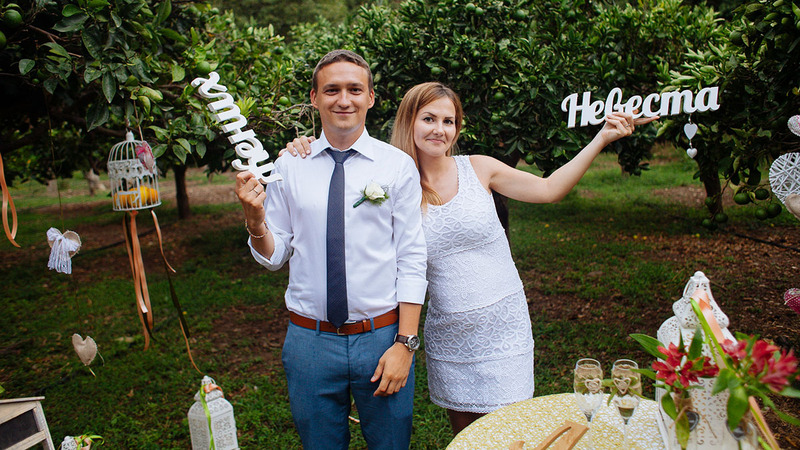 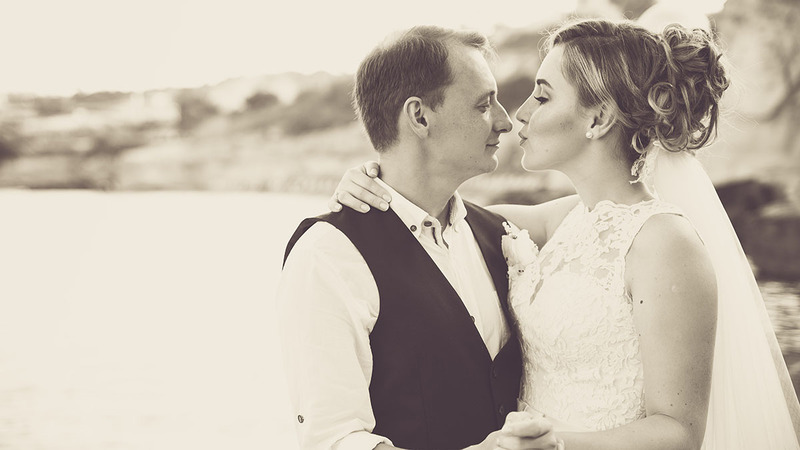 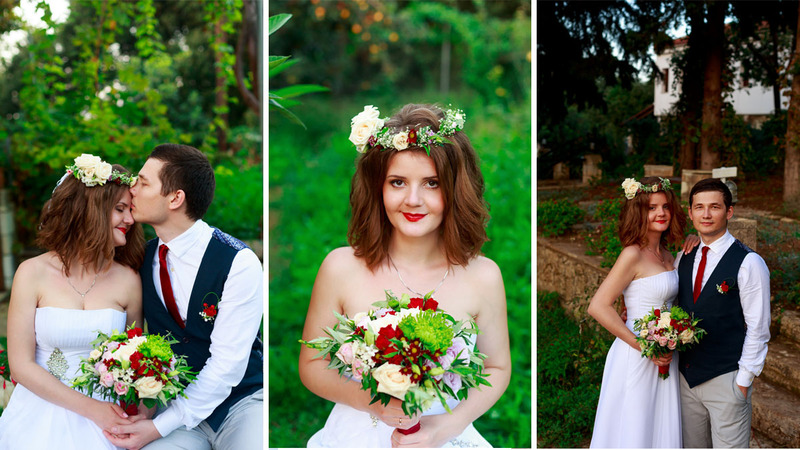 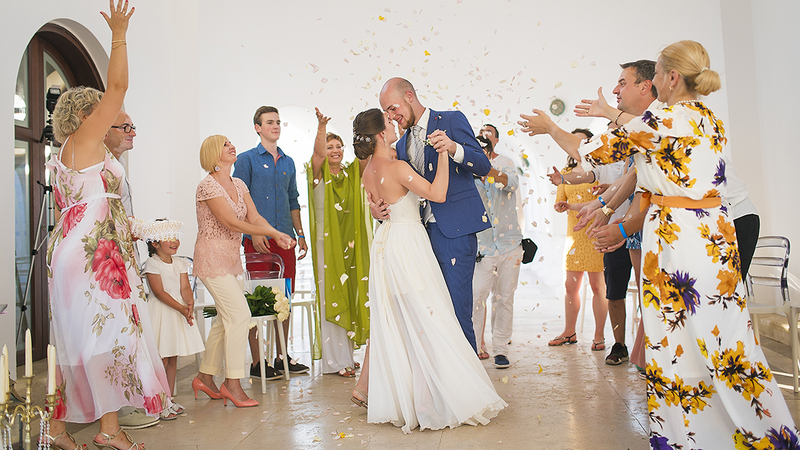 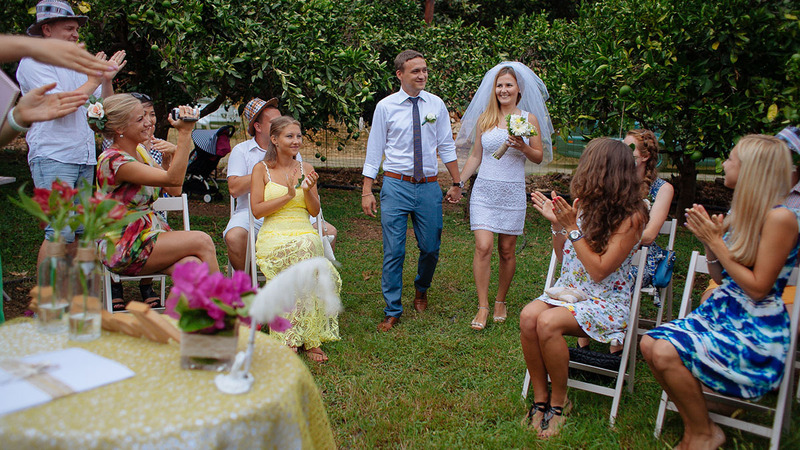 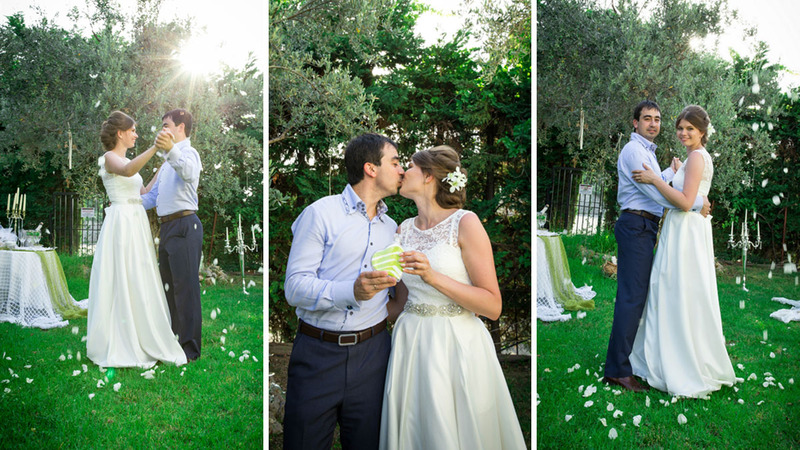 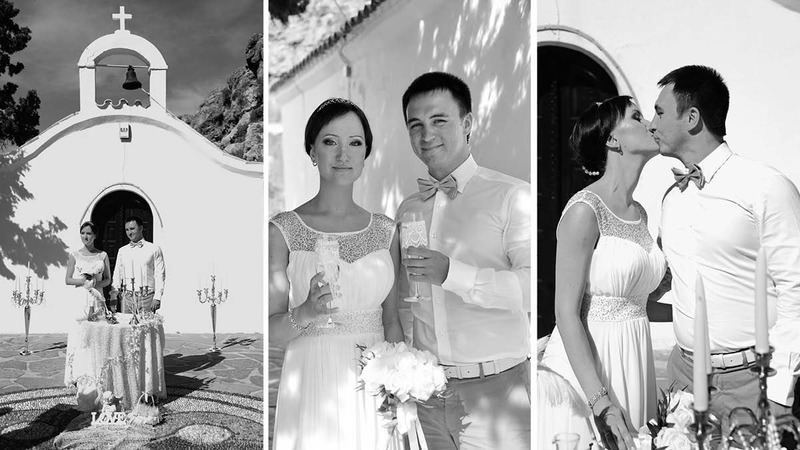 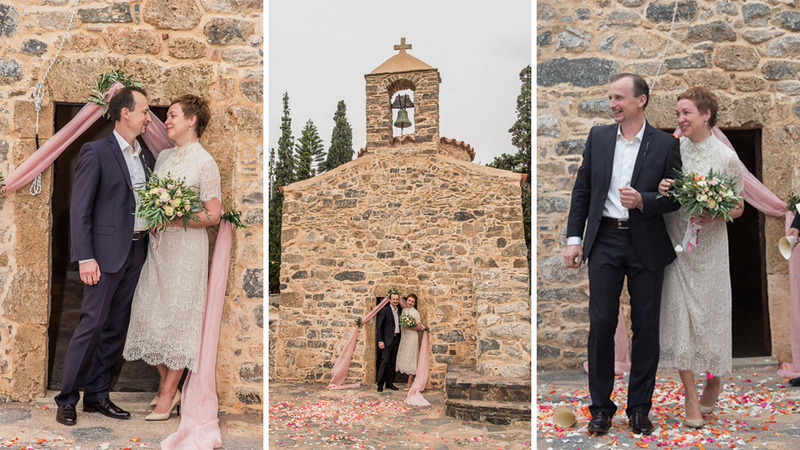 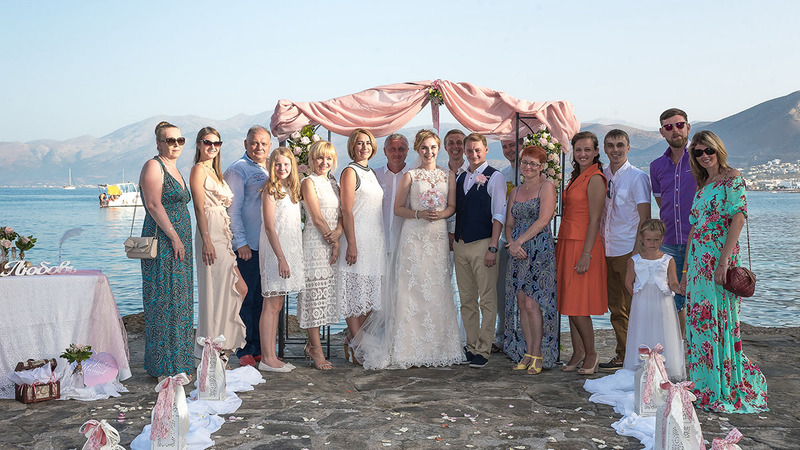 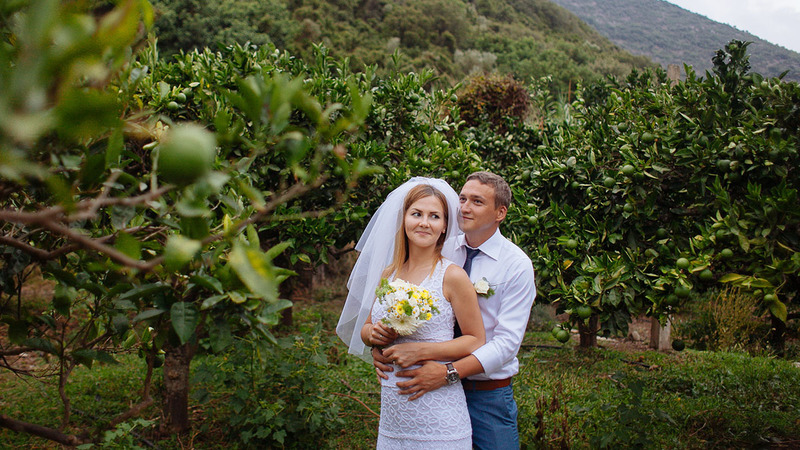 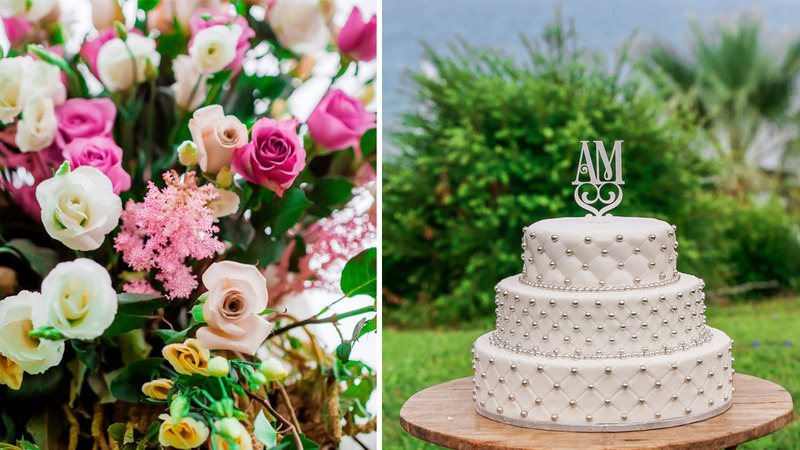 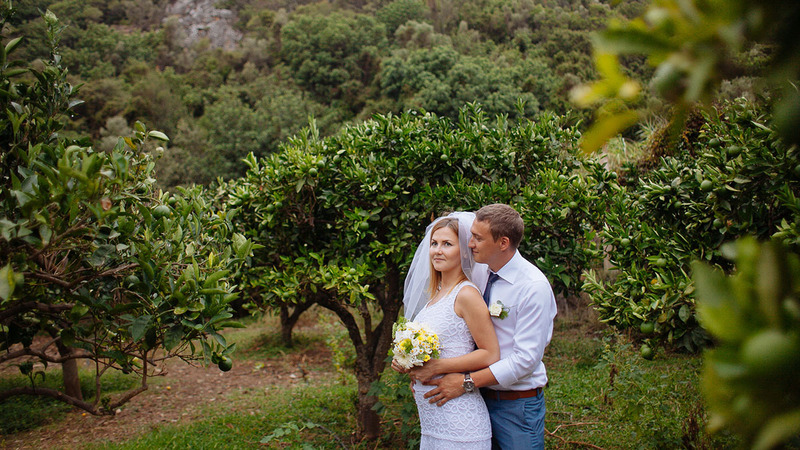 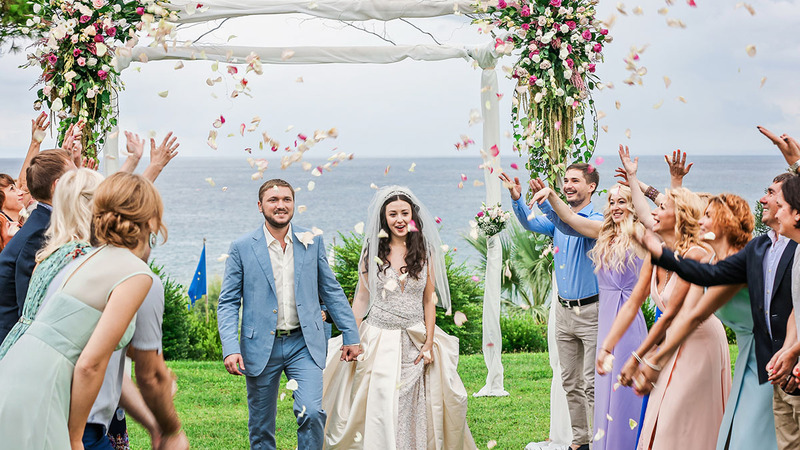 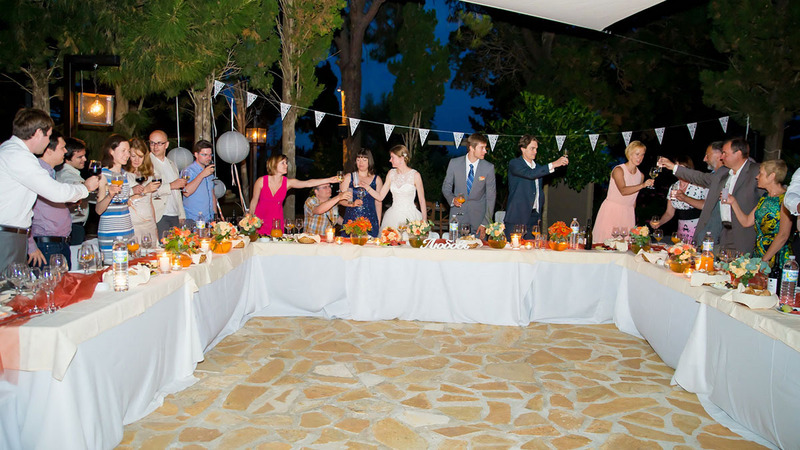 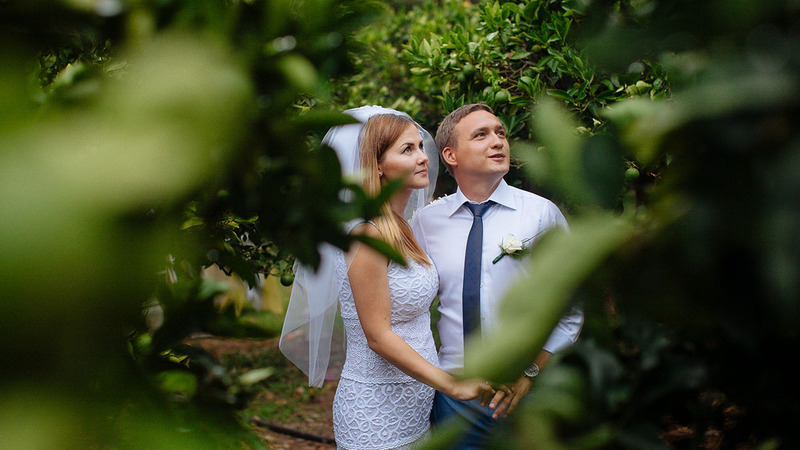 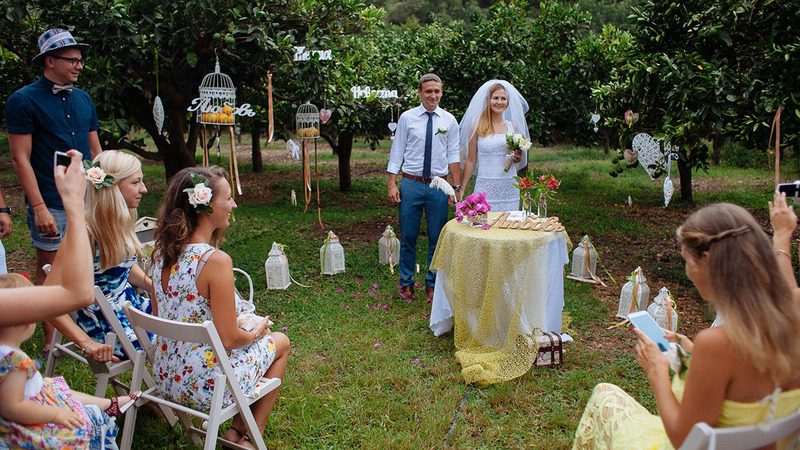 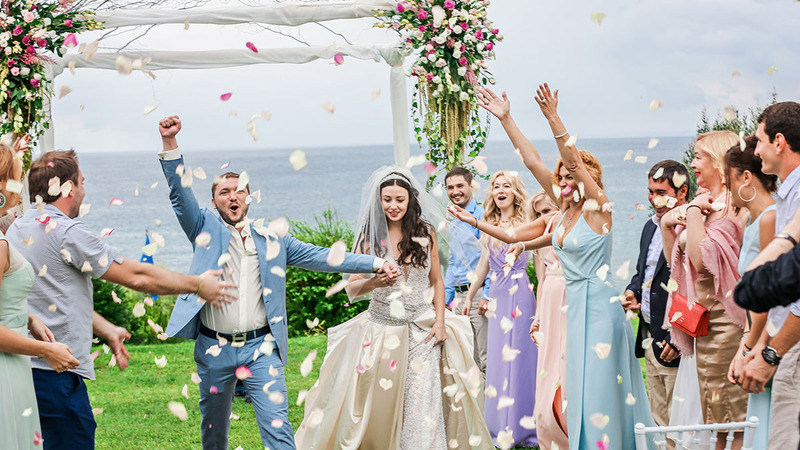 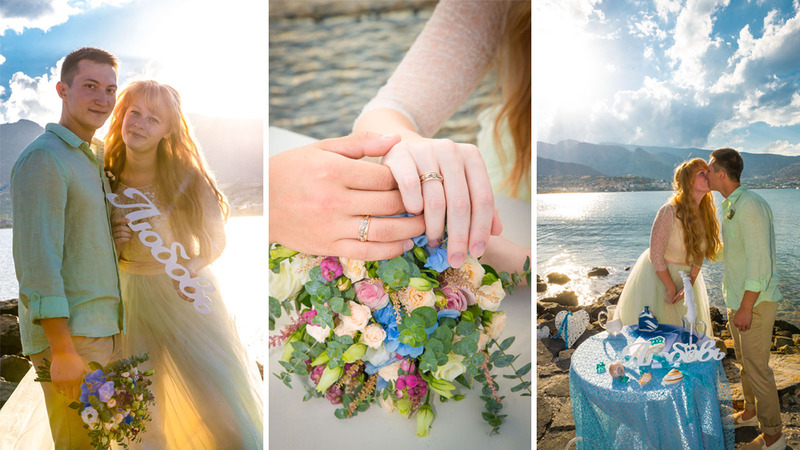 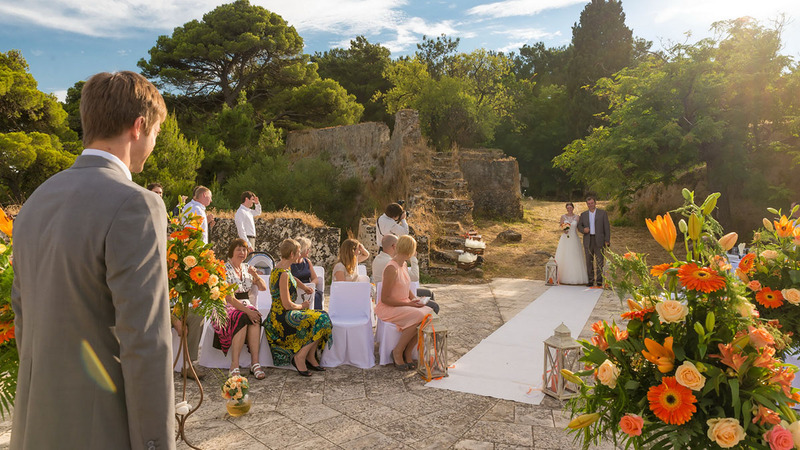 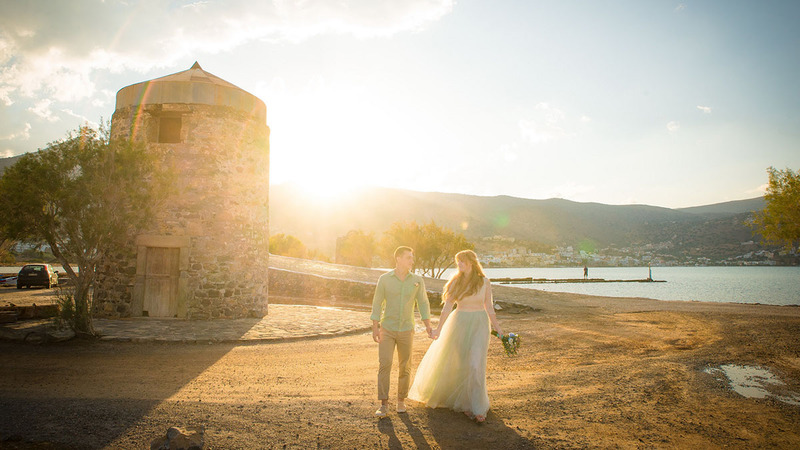 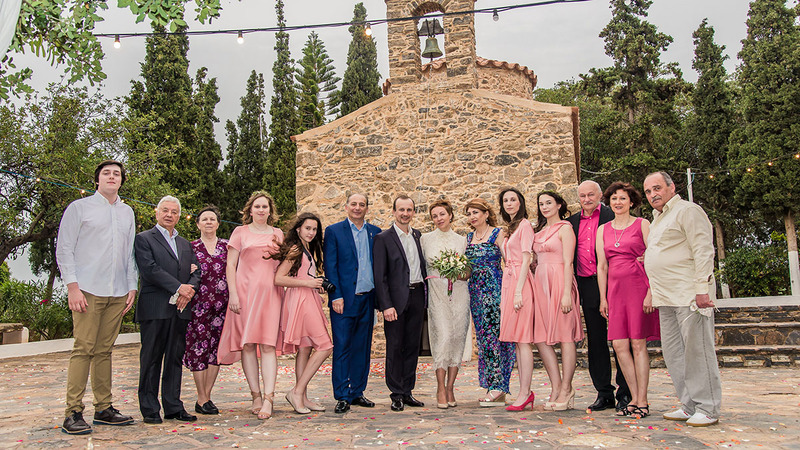 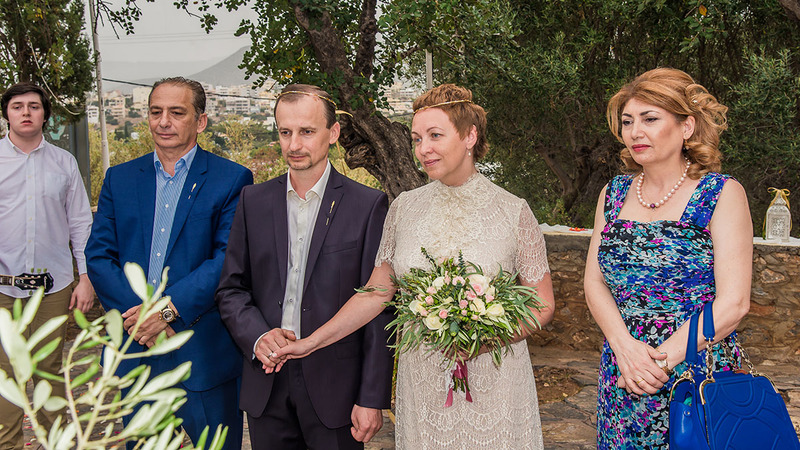 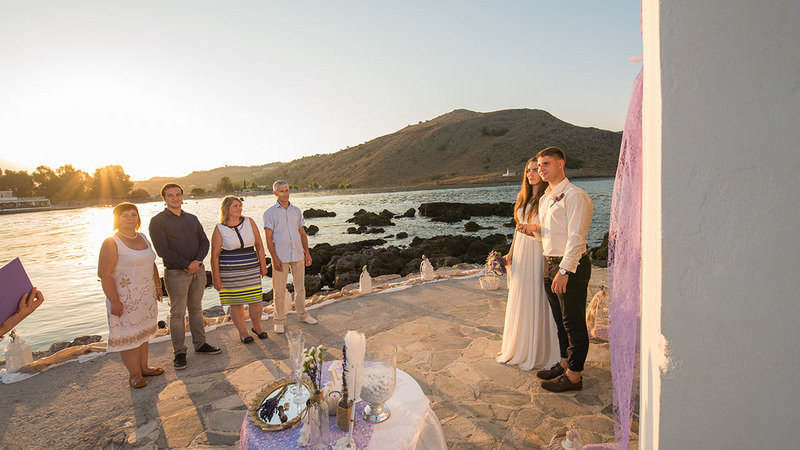 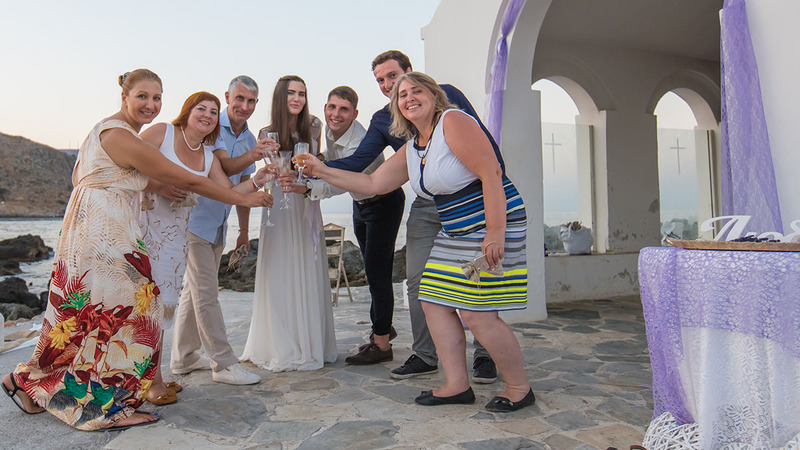 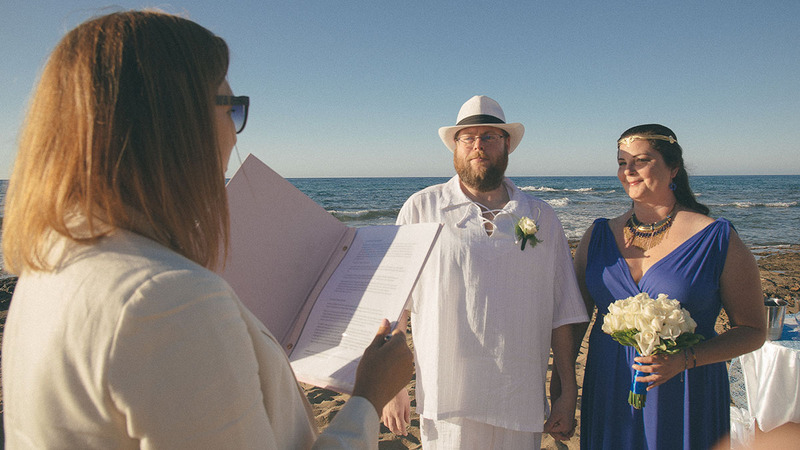 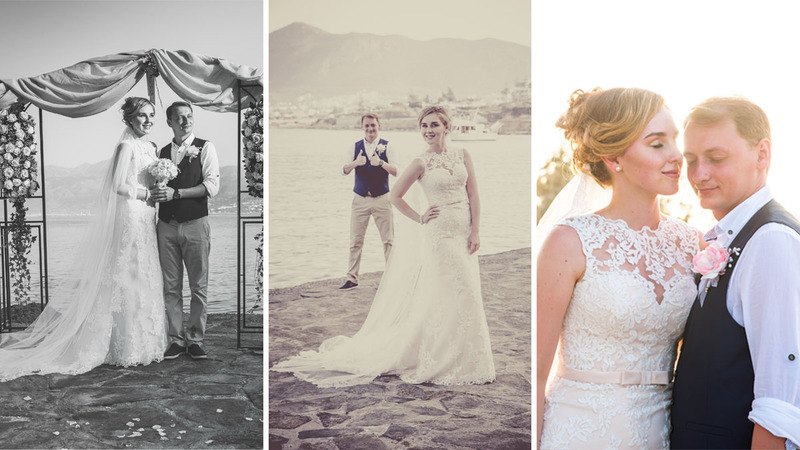 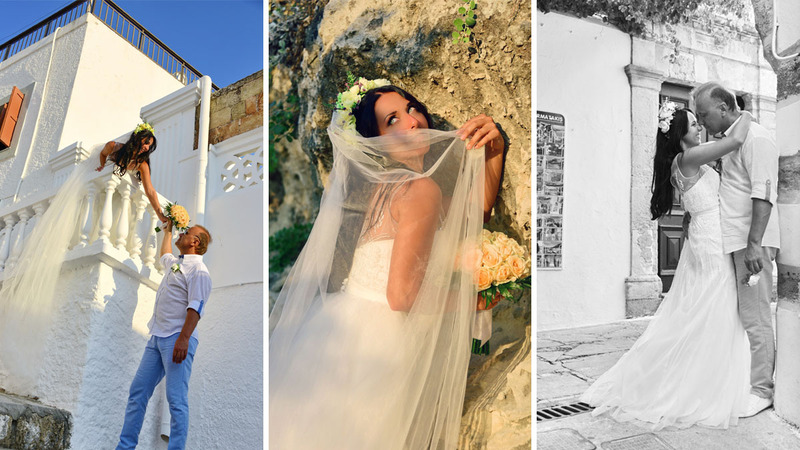 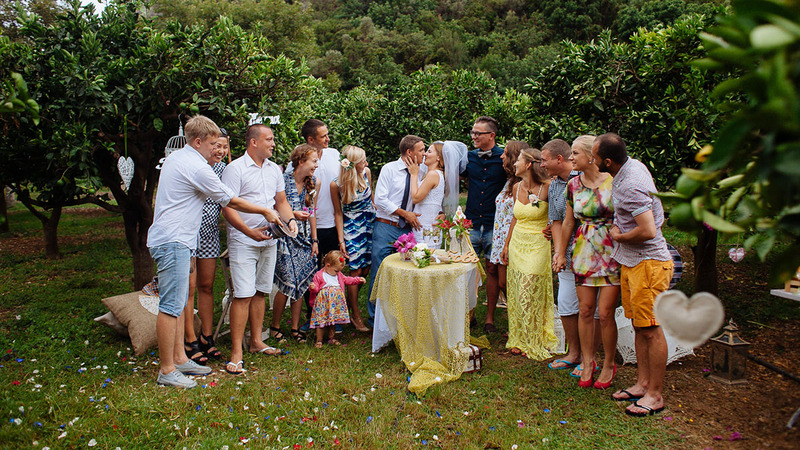 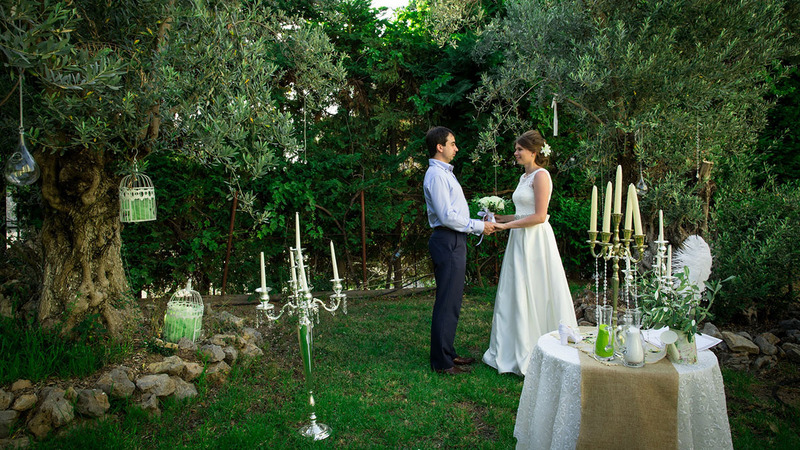 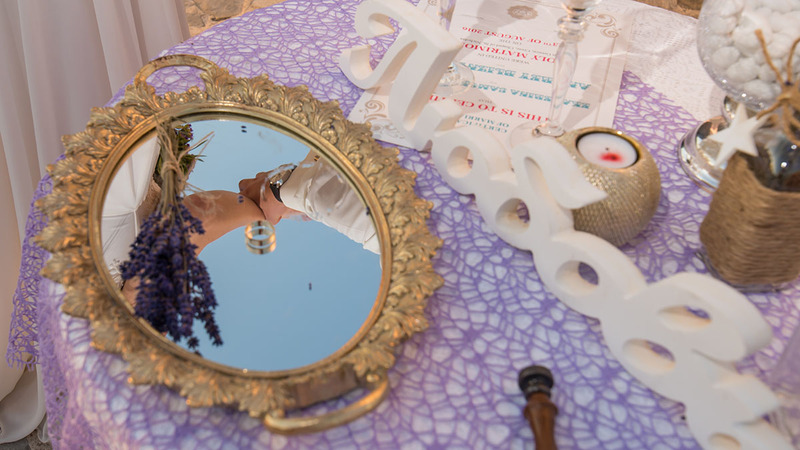 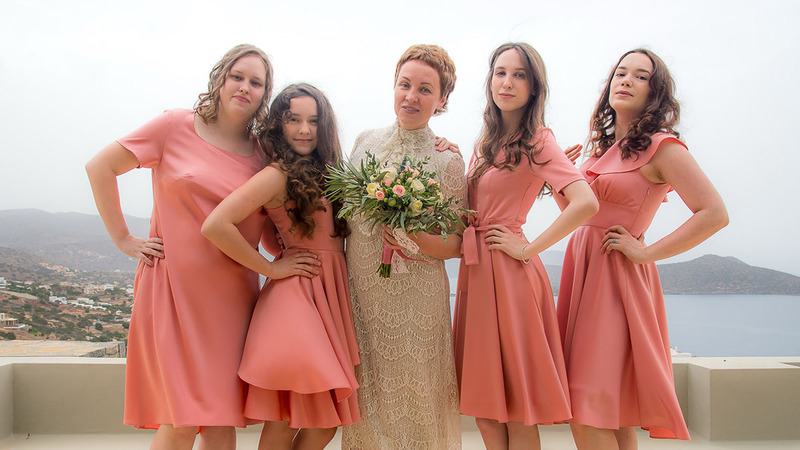 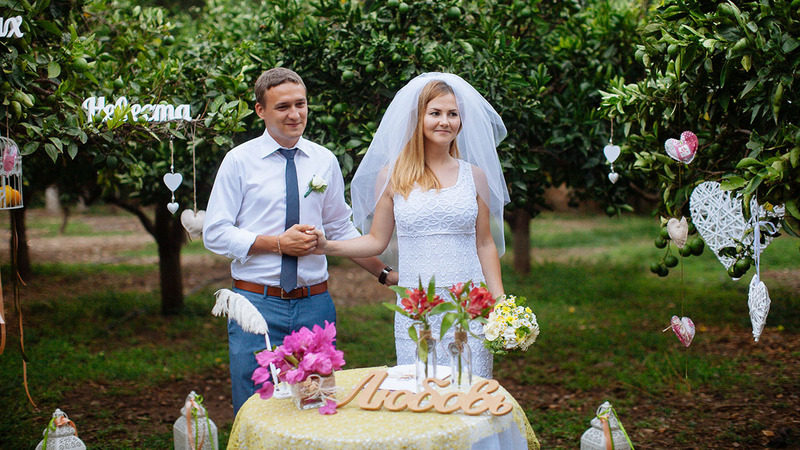 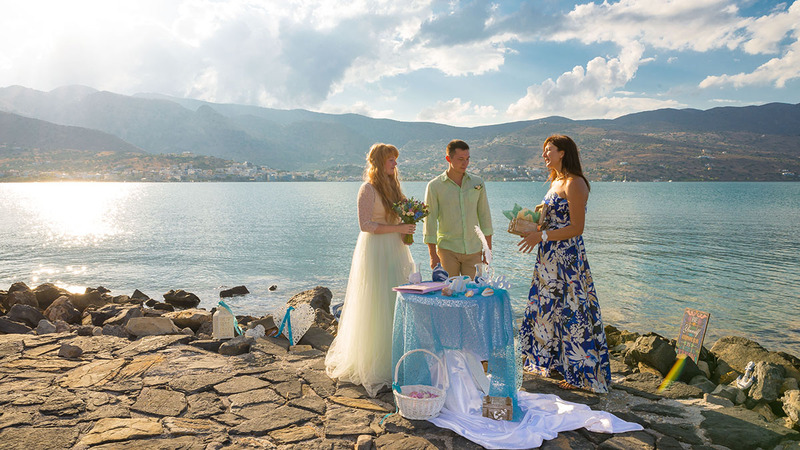 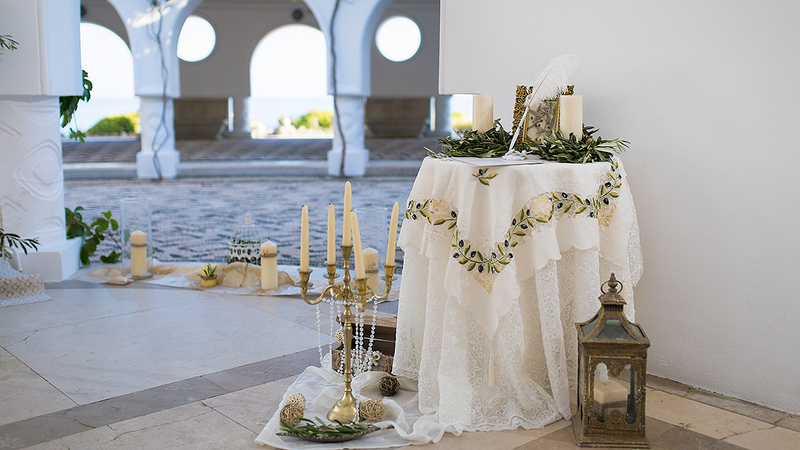 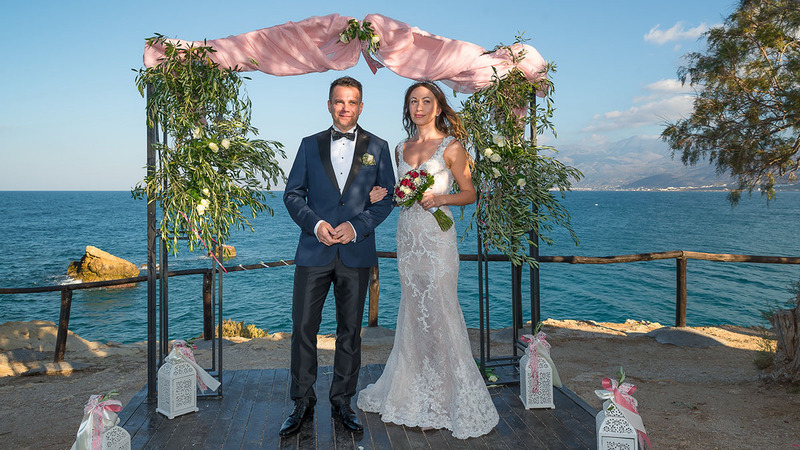 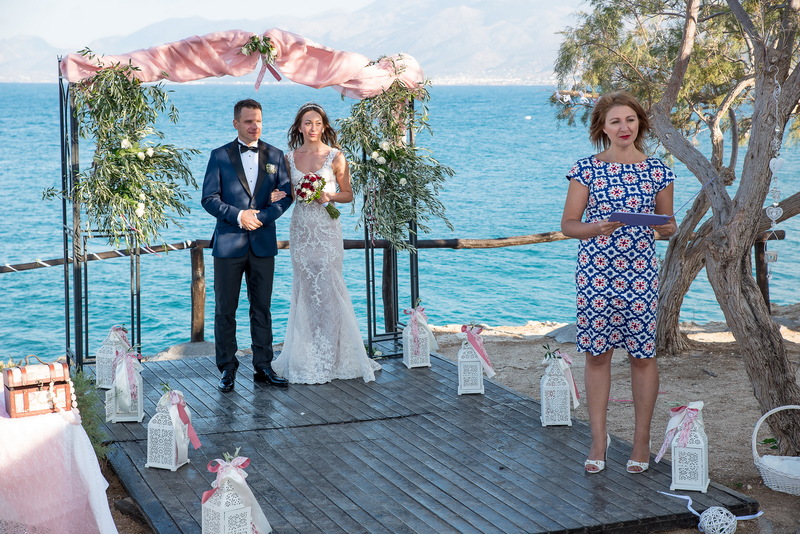 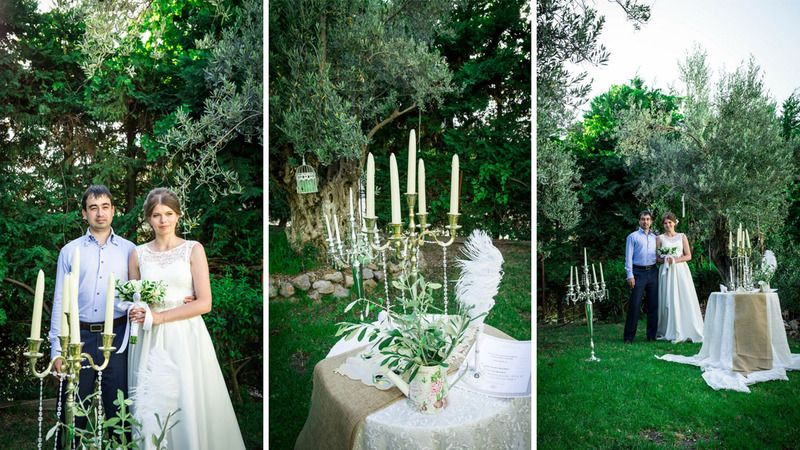 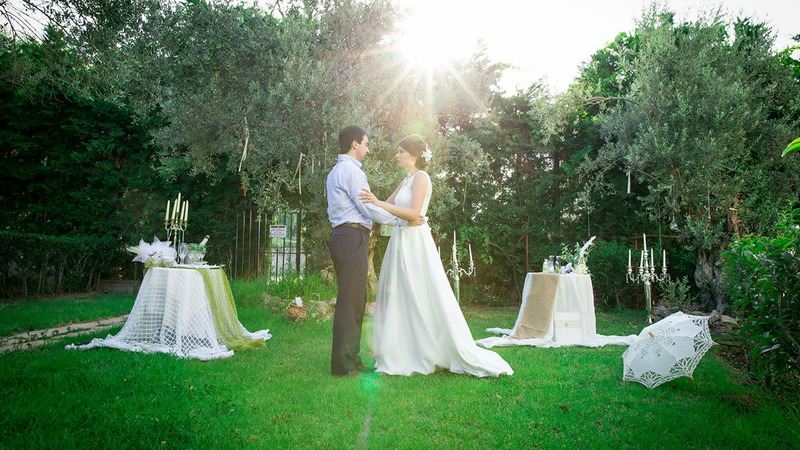 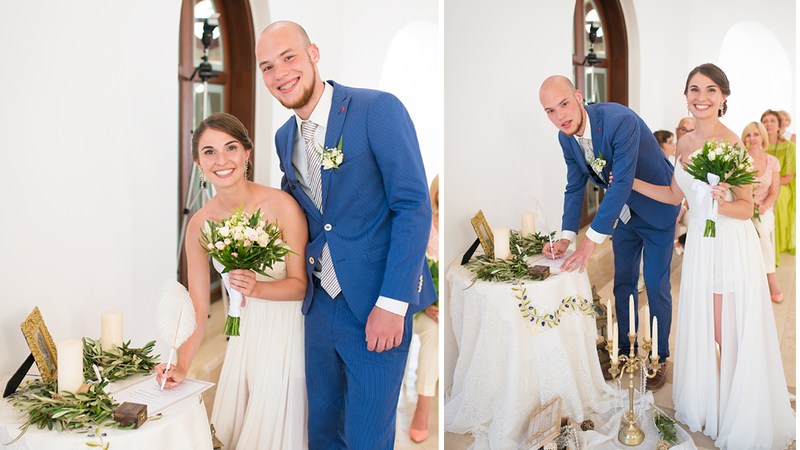 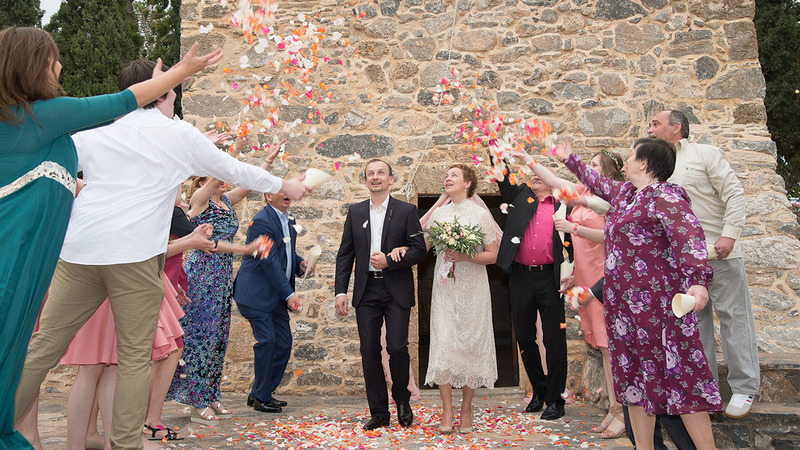 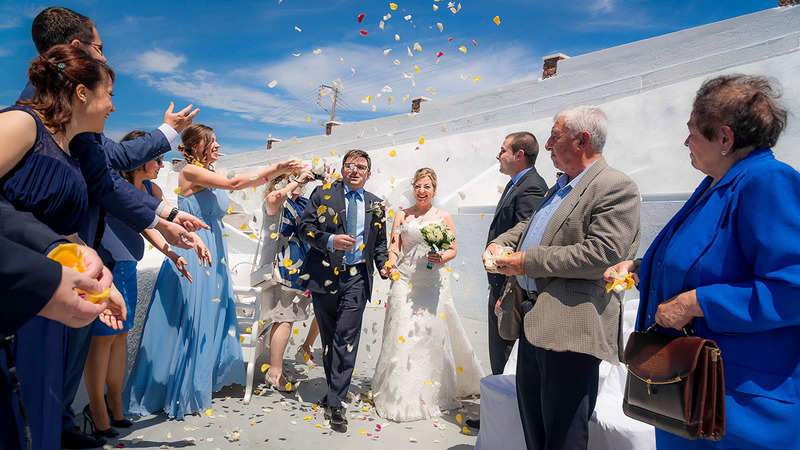 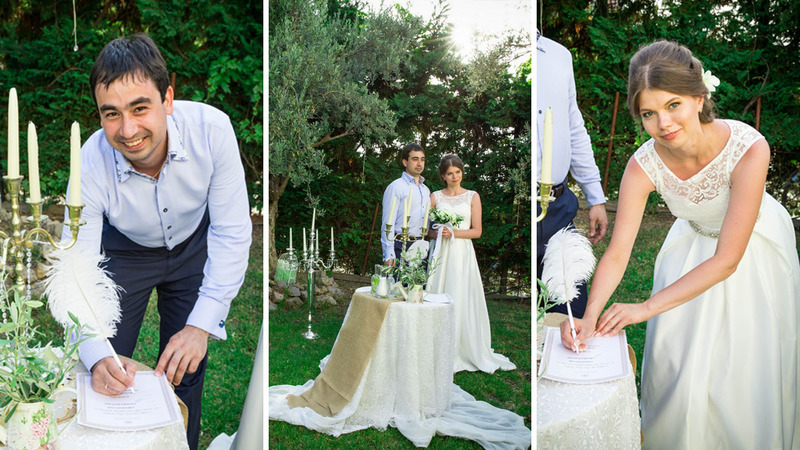 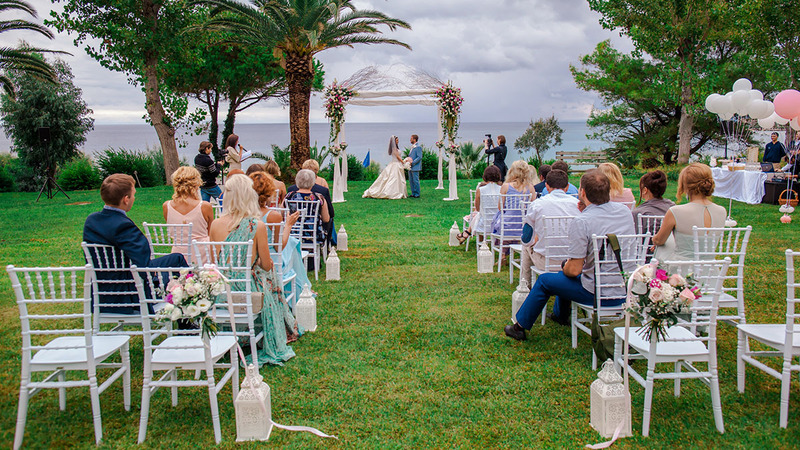 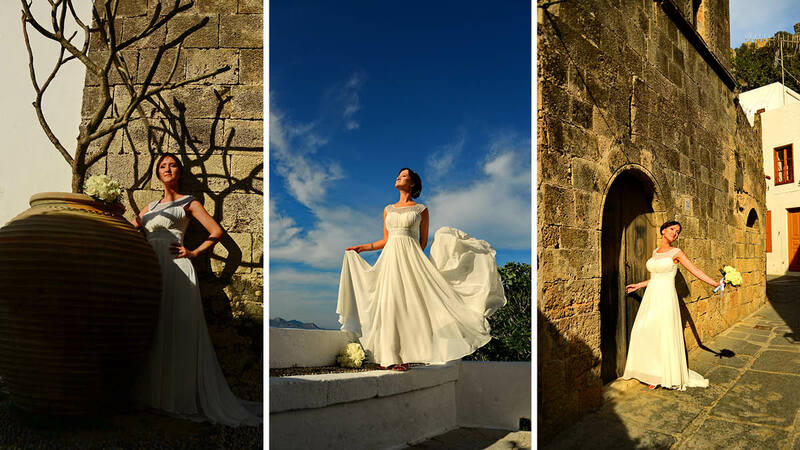 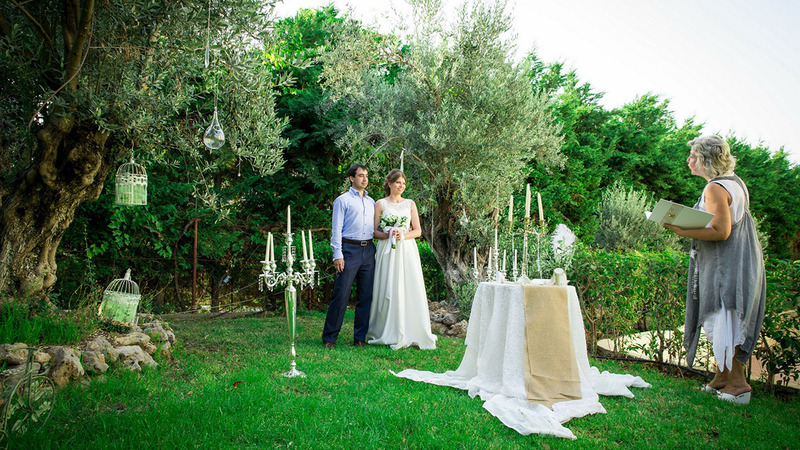 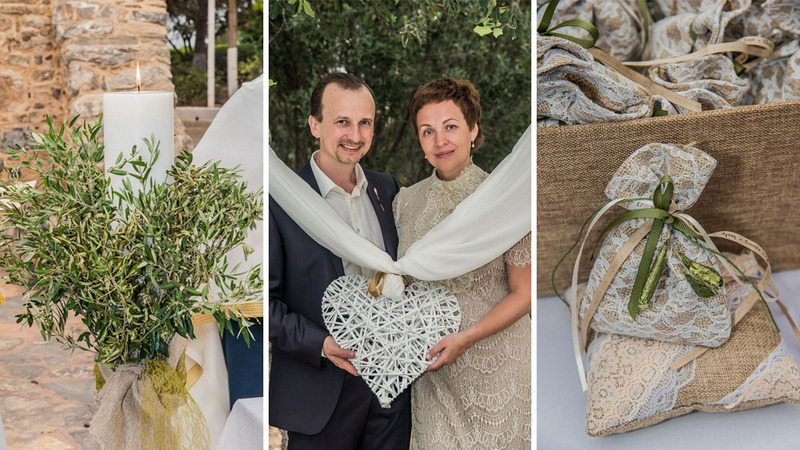 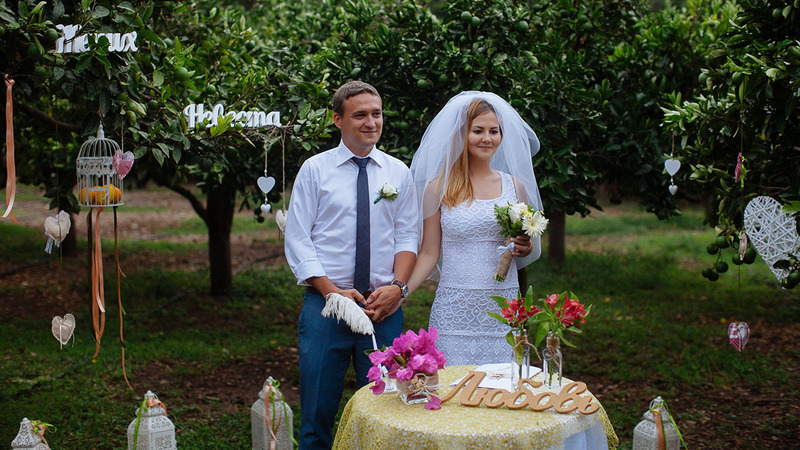 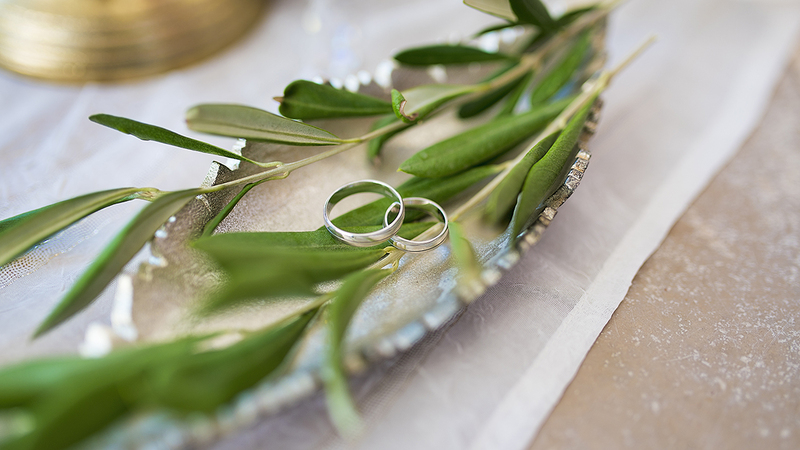 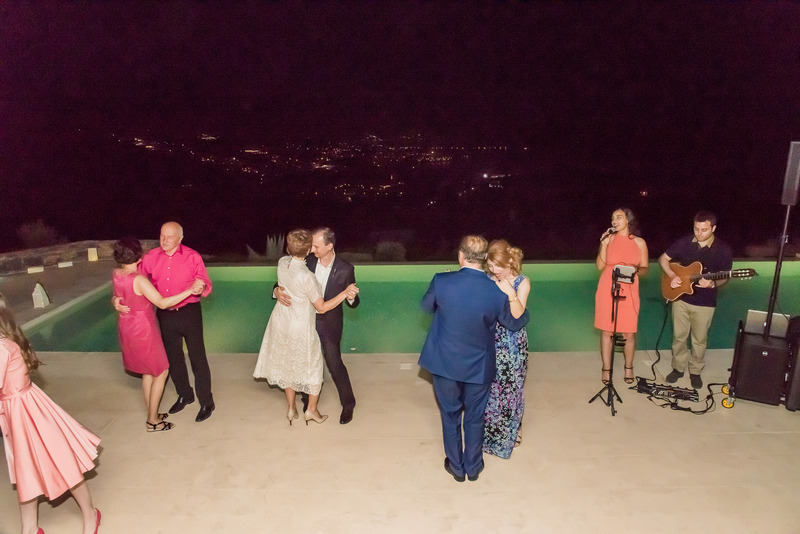 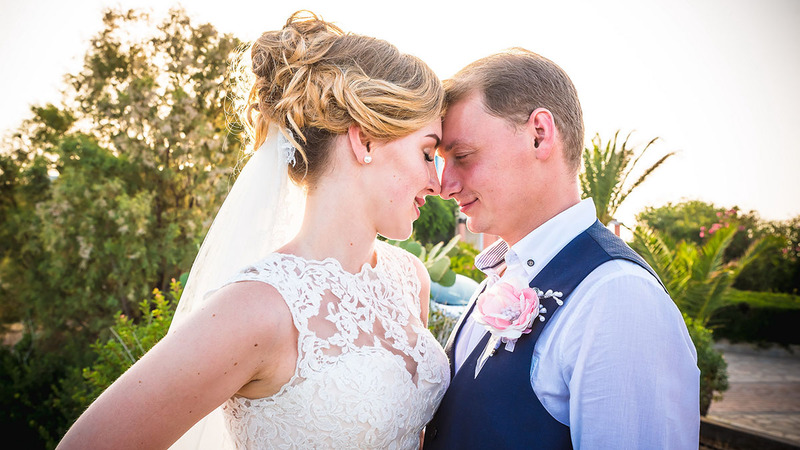 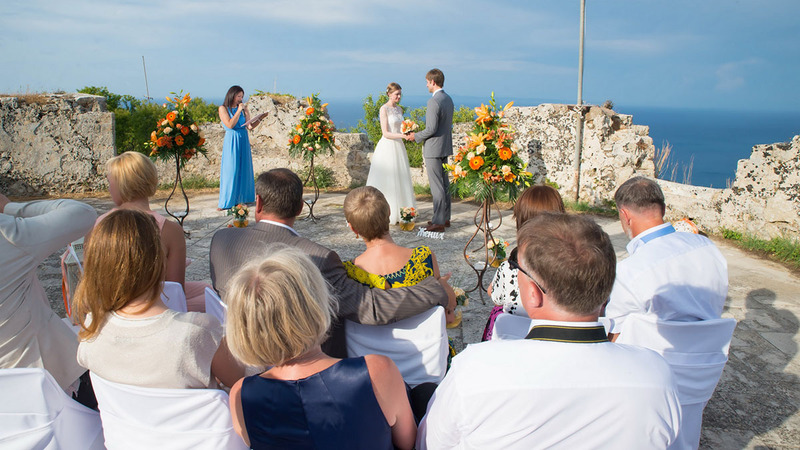 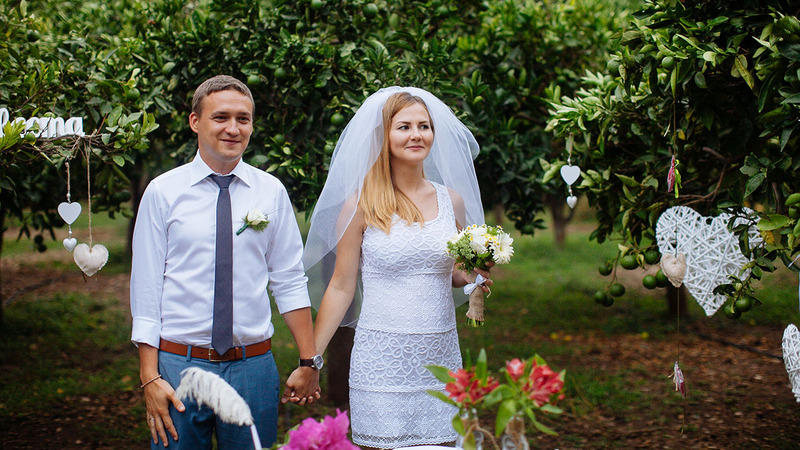 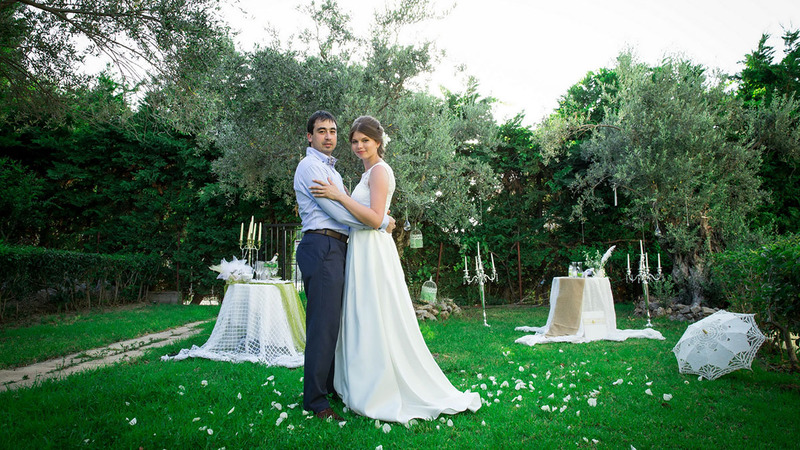 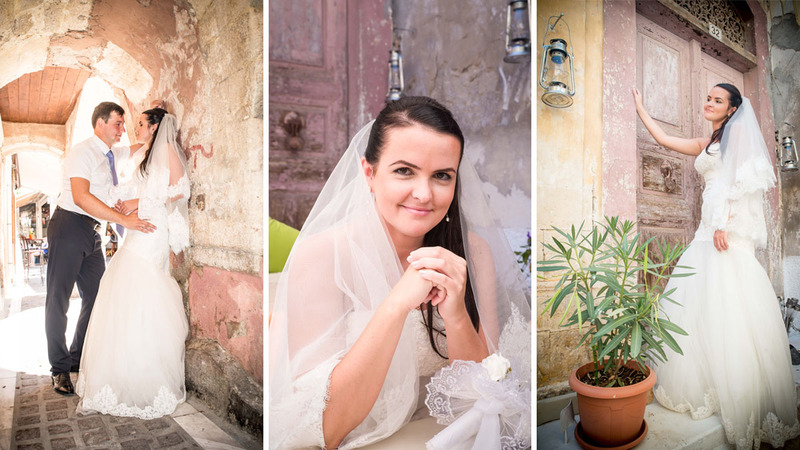 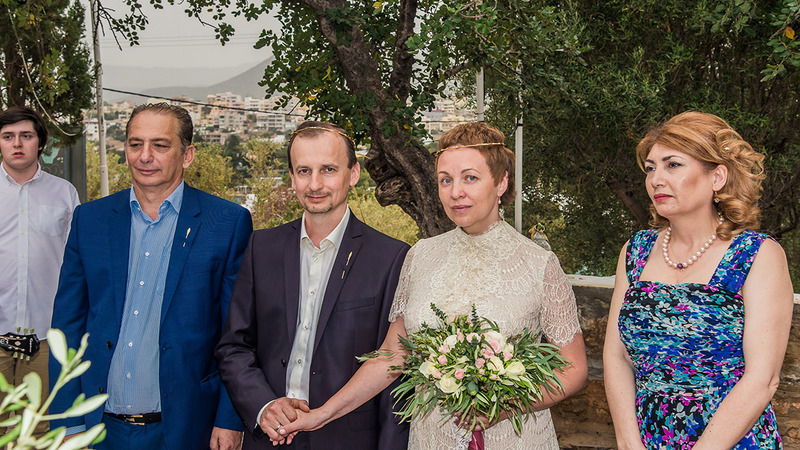 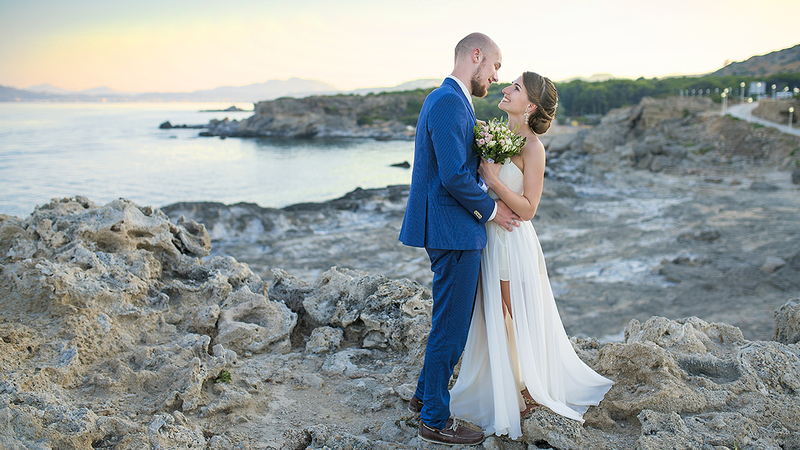 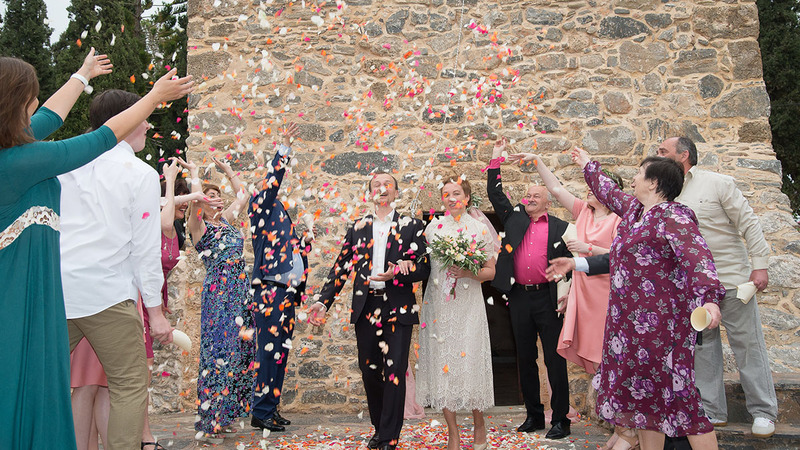 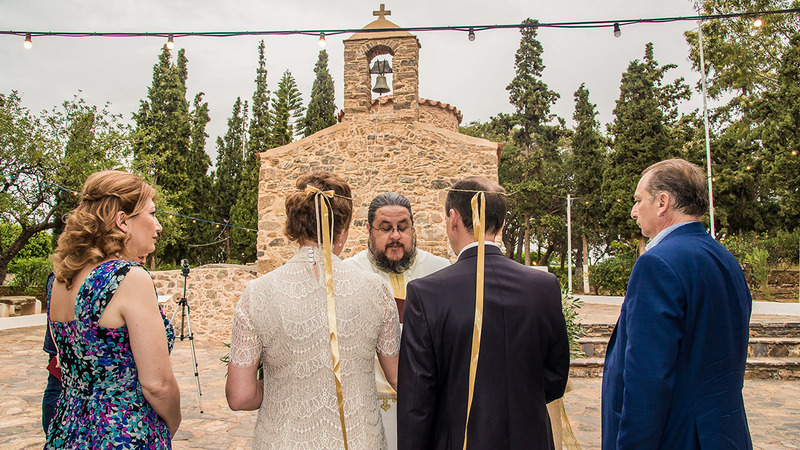 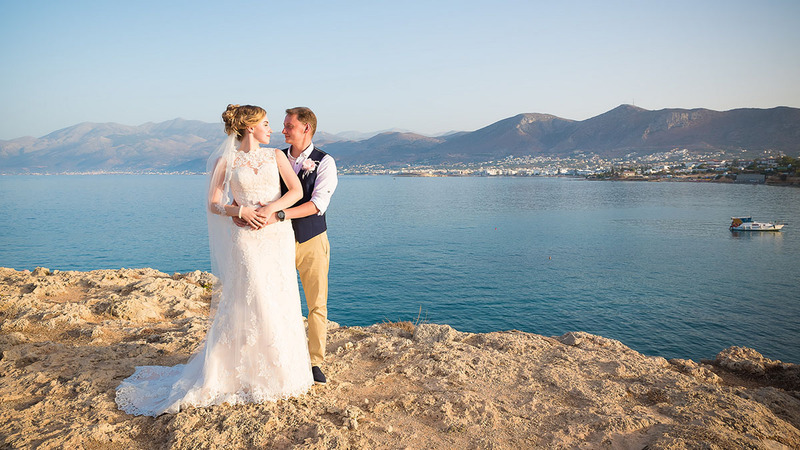 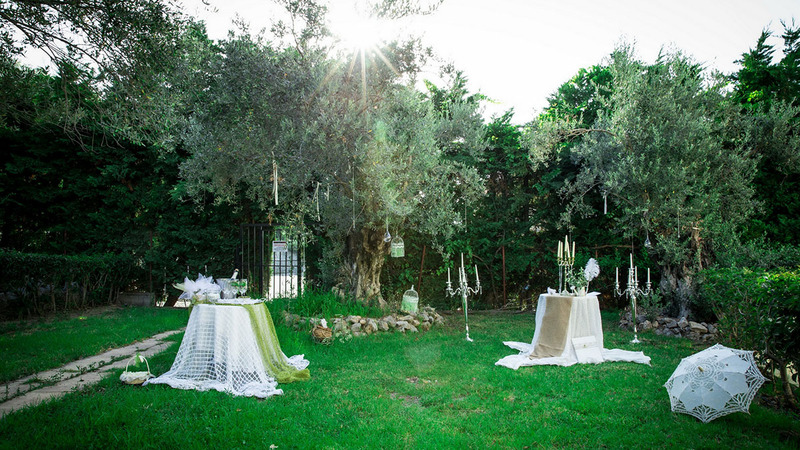 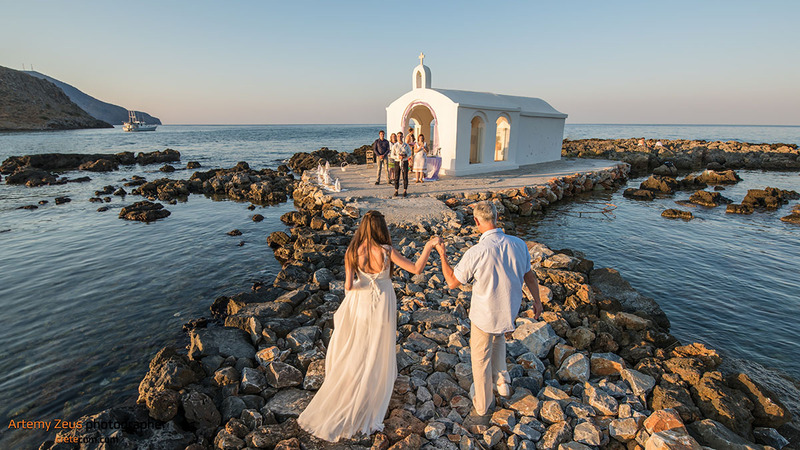 A romantic and meaningful wedding ceremony in a picturesque corner of Greece at any time of year is a dream shared by many lovebirds; all we need from you is the desire and willingness to play your part in creating a small miracle. 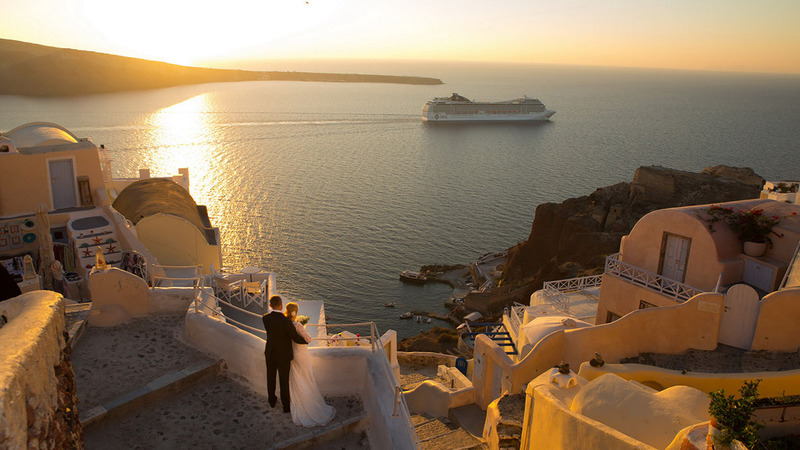 Leave everything else to us! 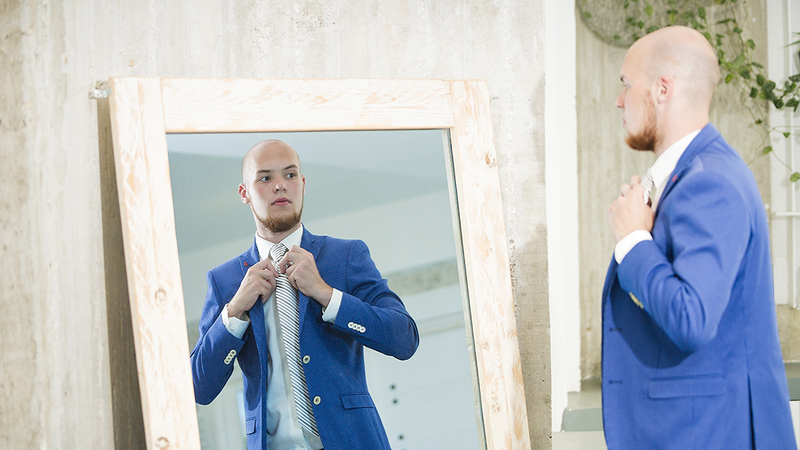 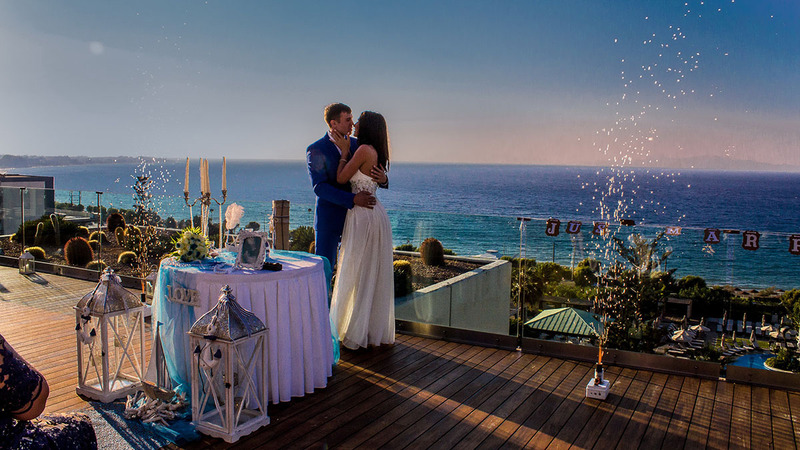 We will turn your dreams into a reality. 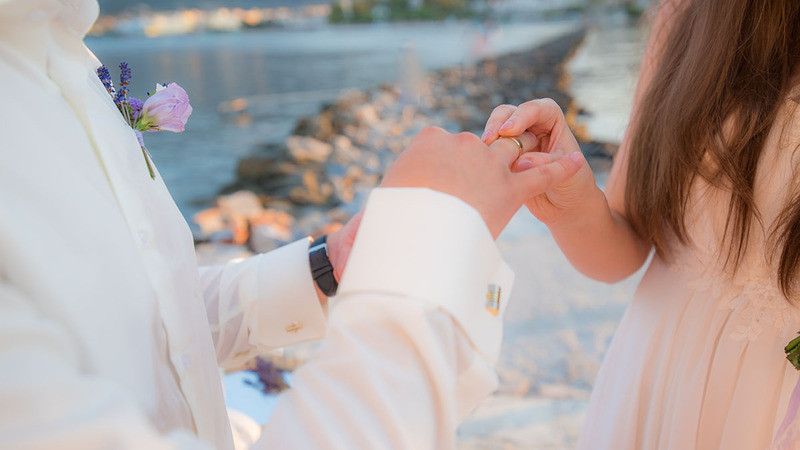 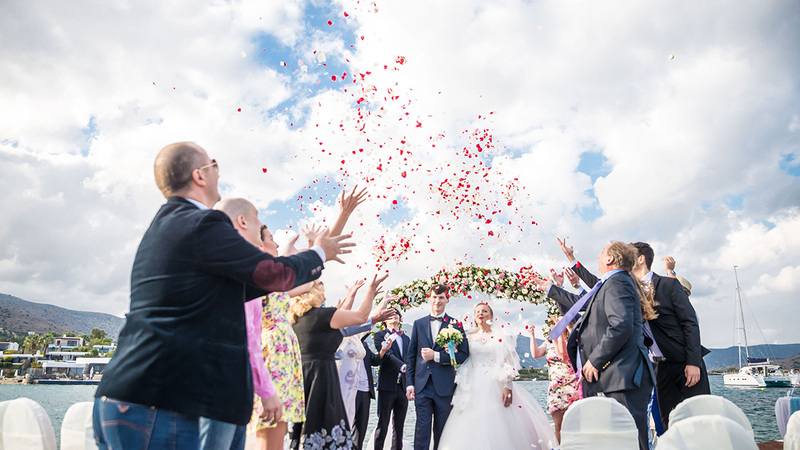 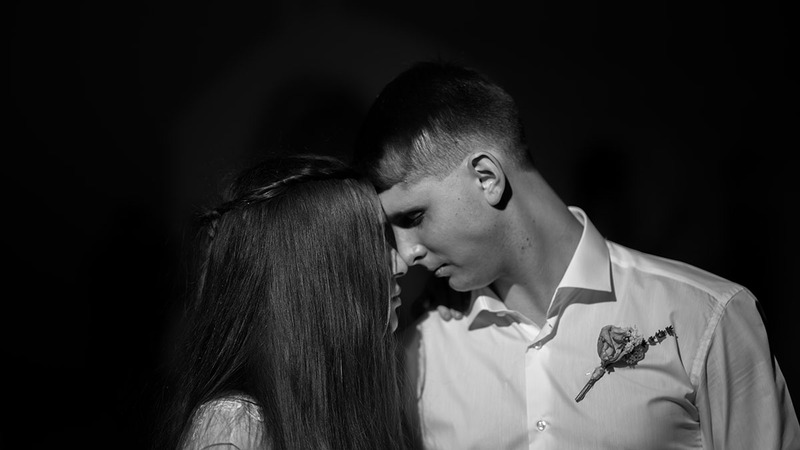 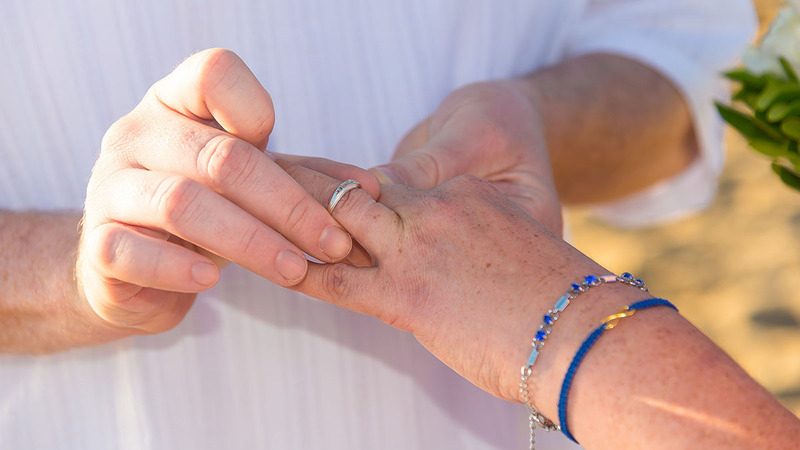 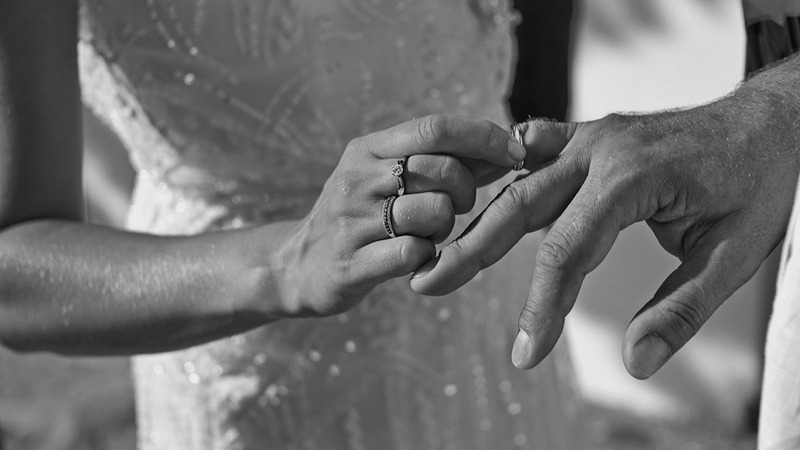 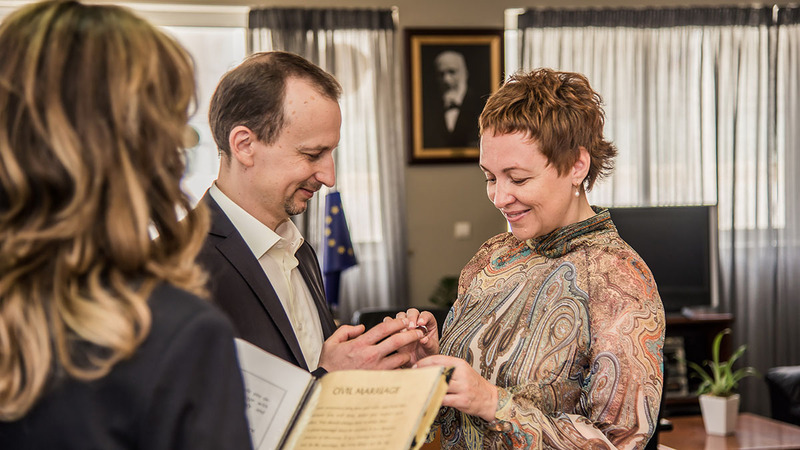 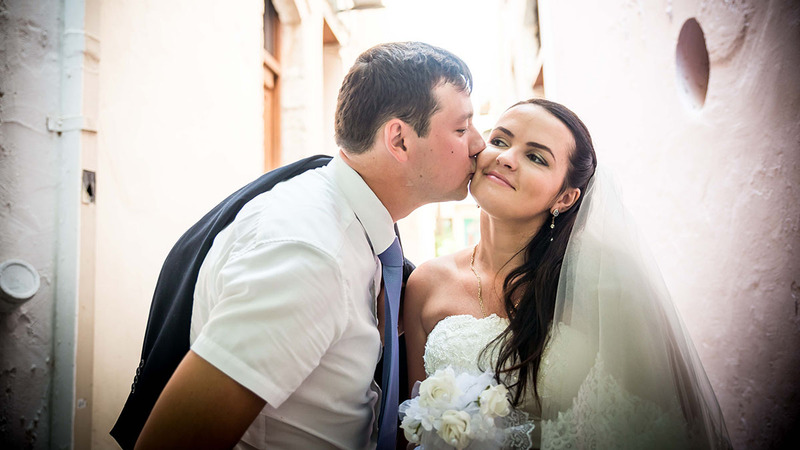 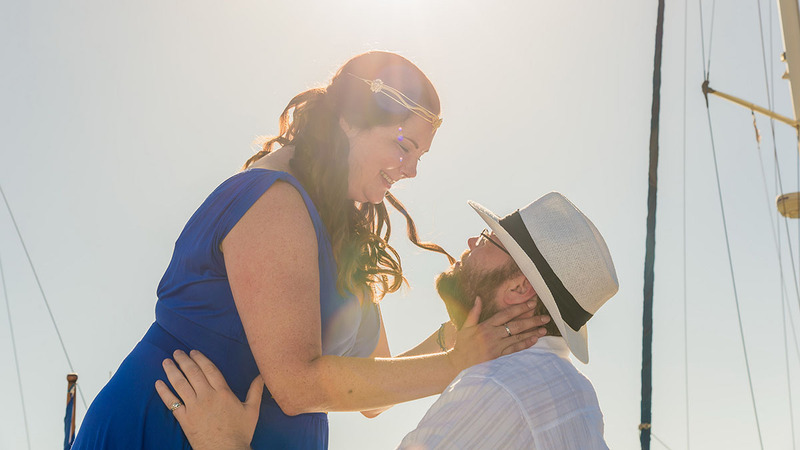 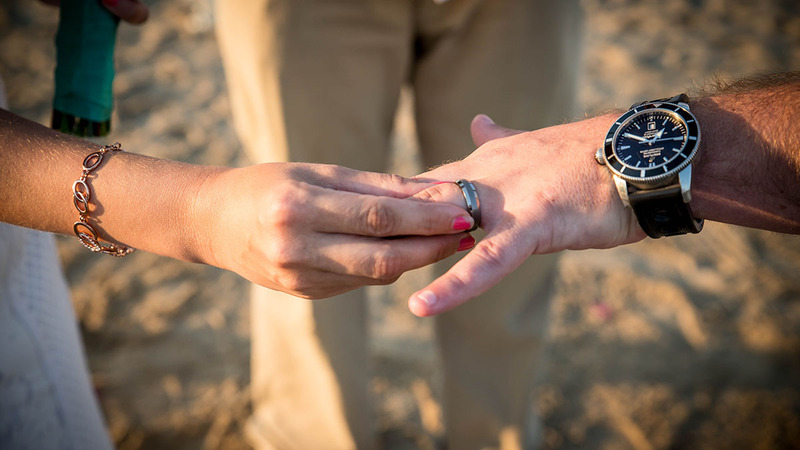 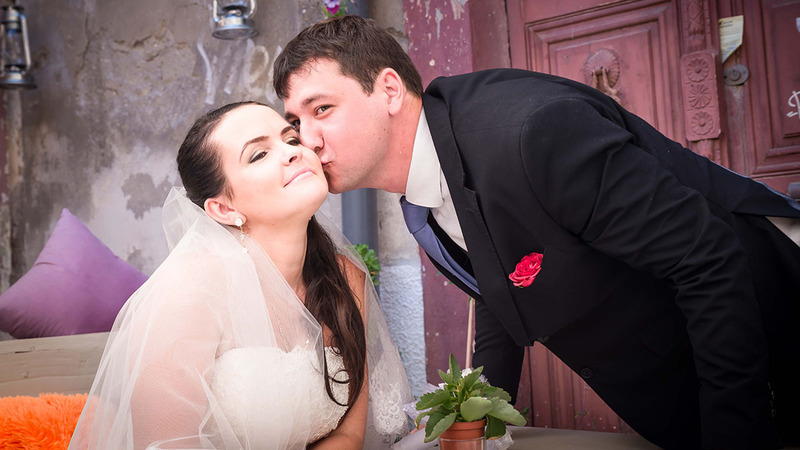 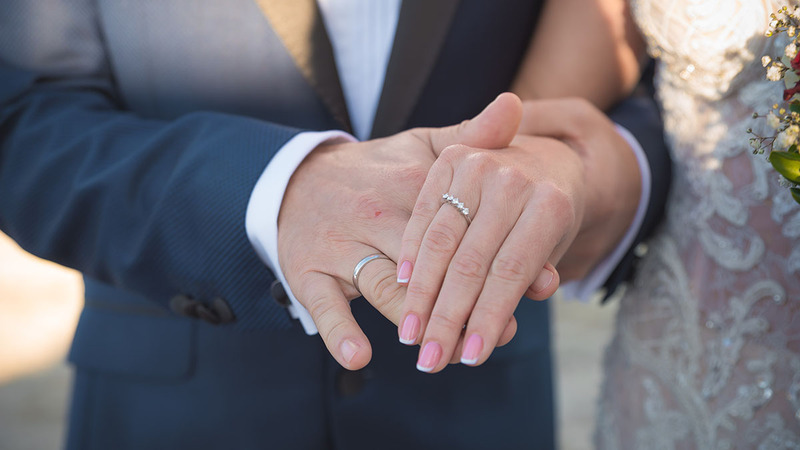 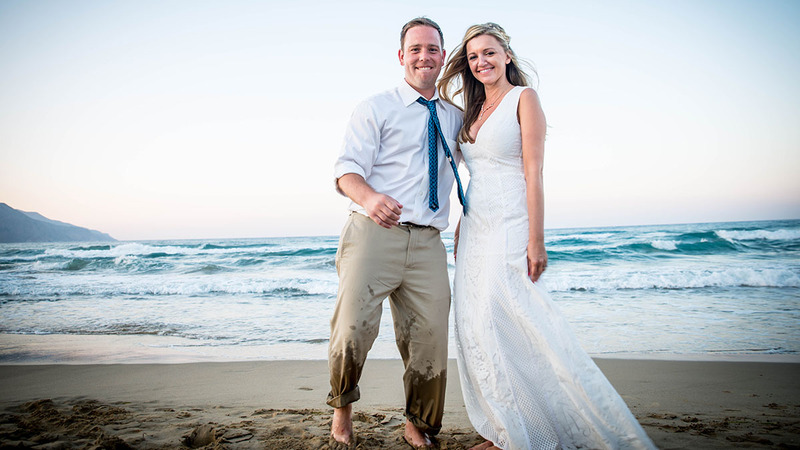 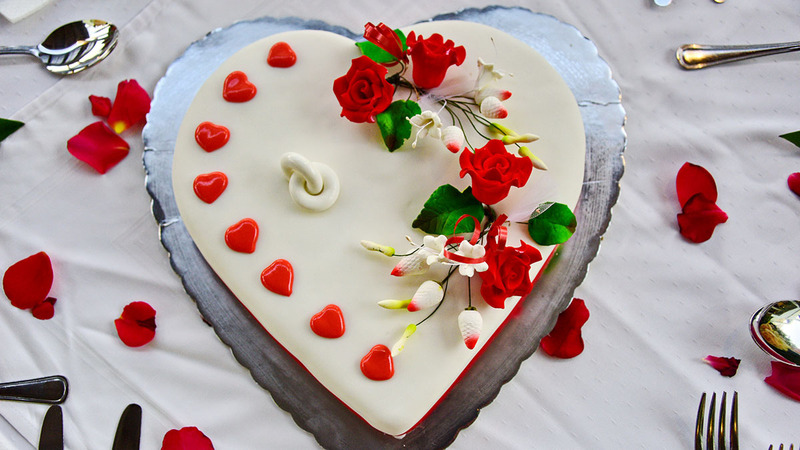 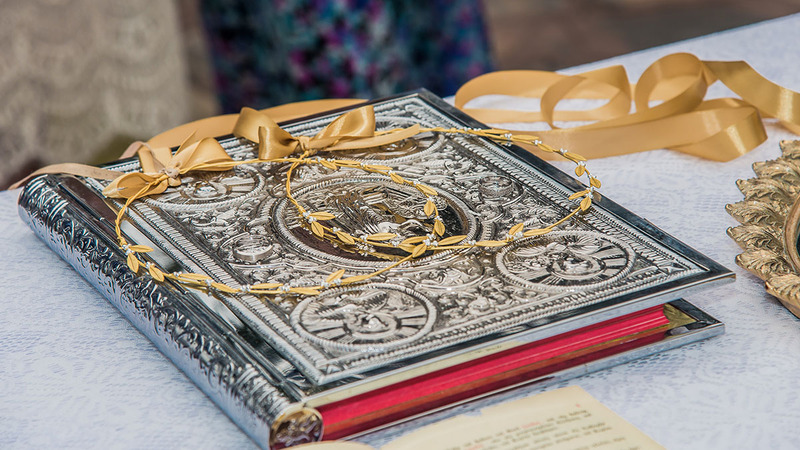 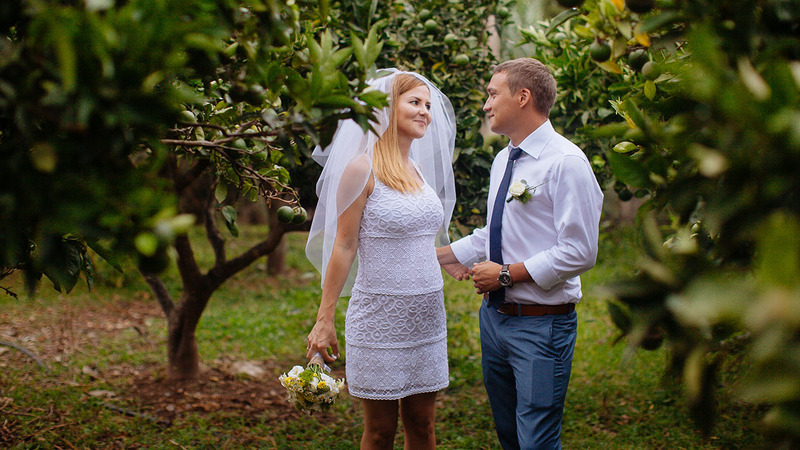 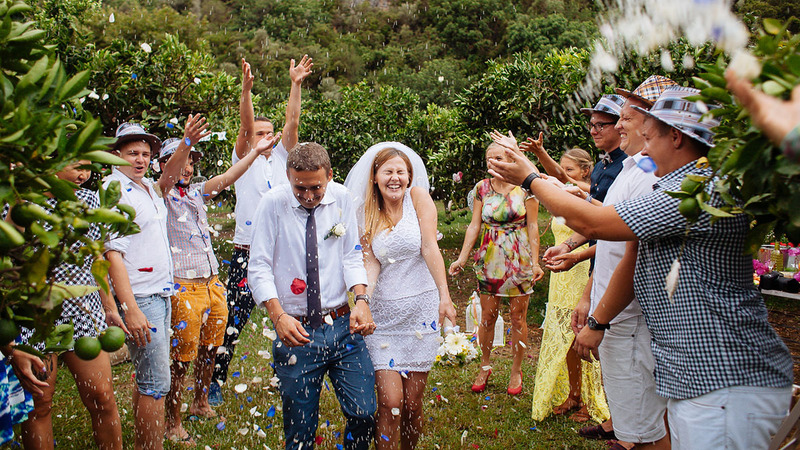 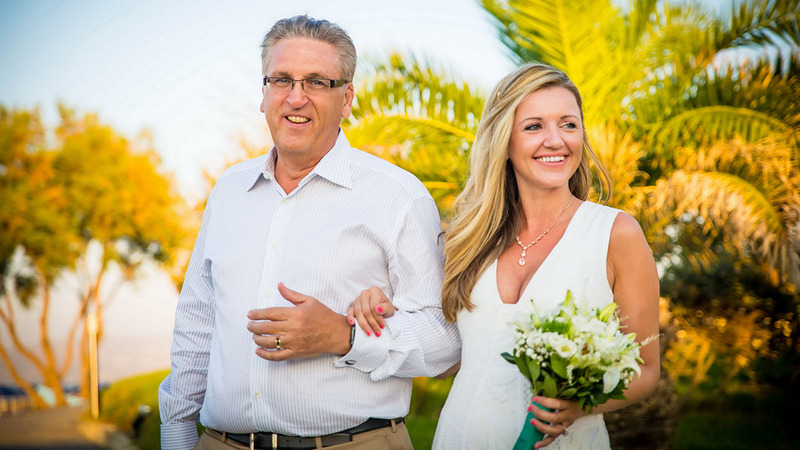 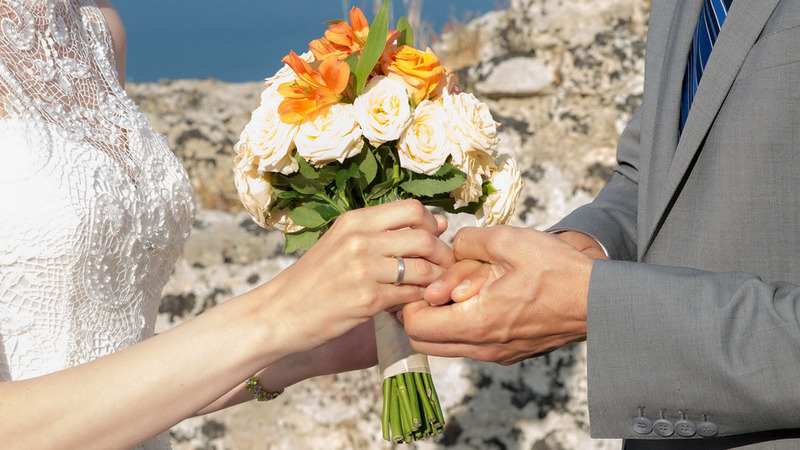 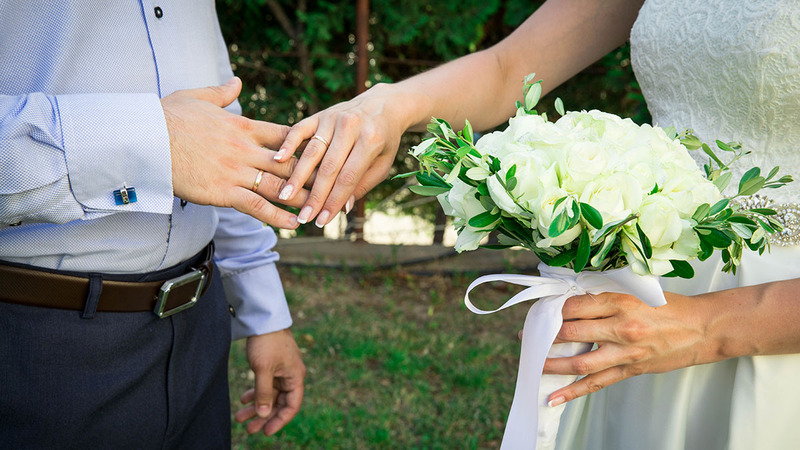 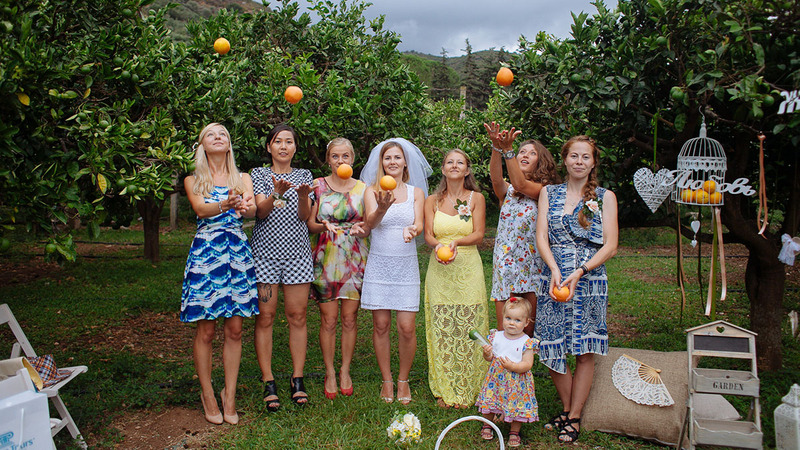 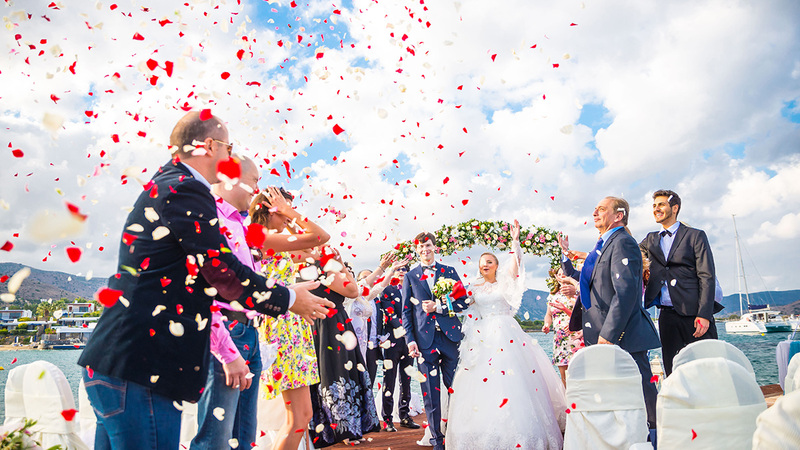 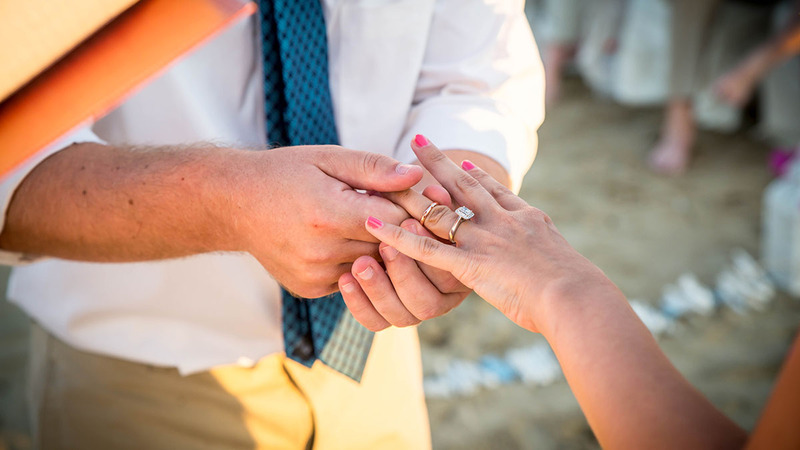 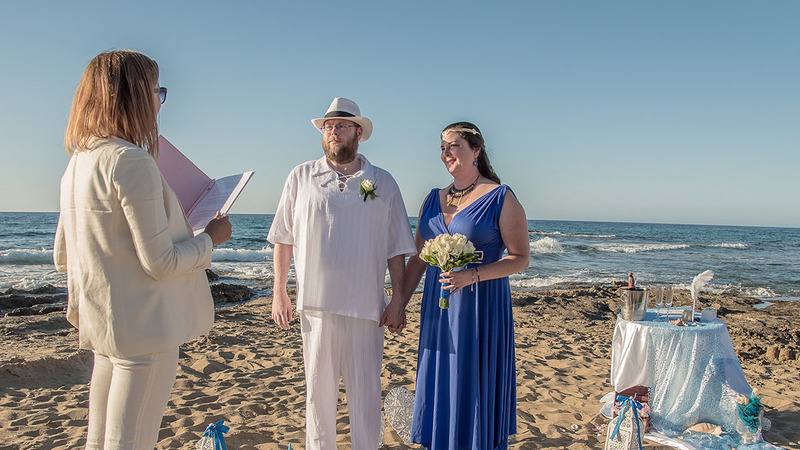 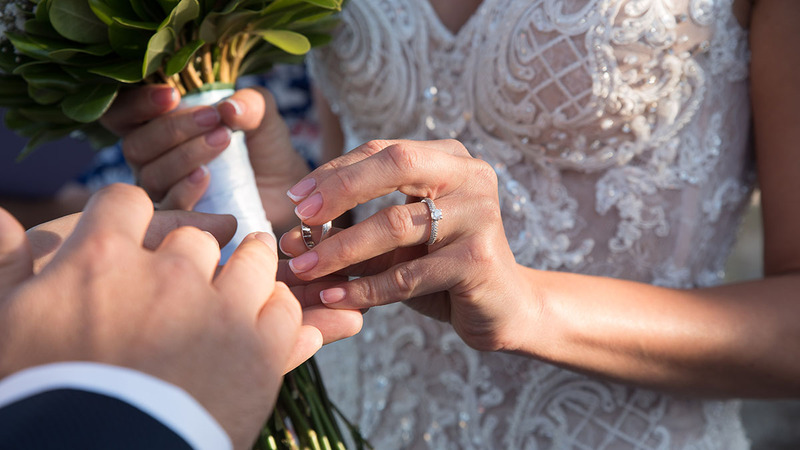 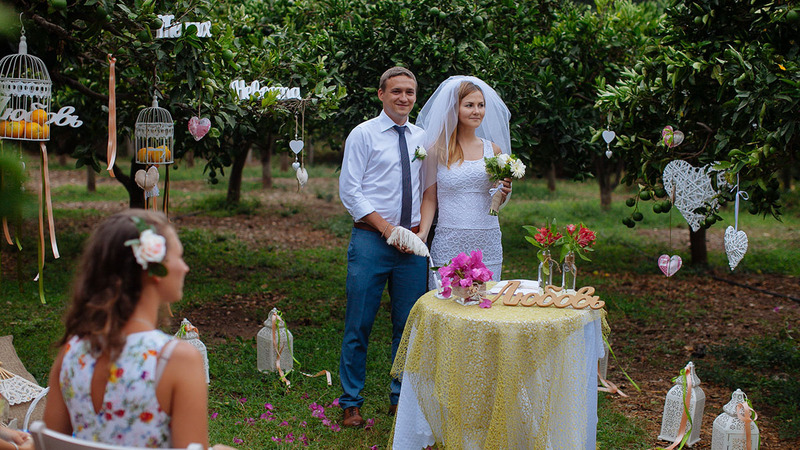 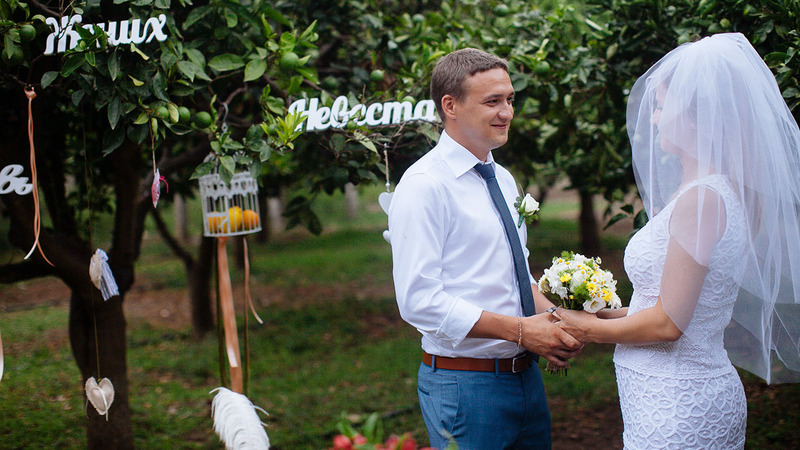 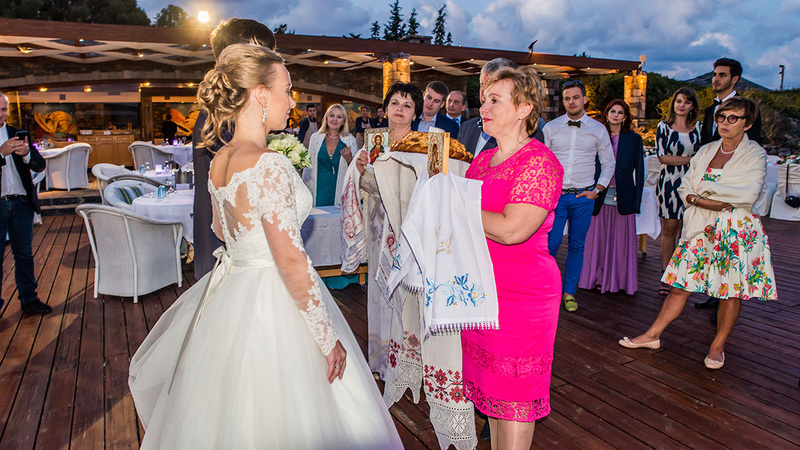 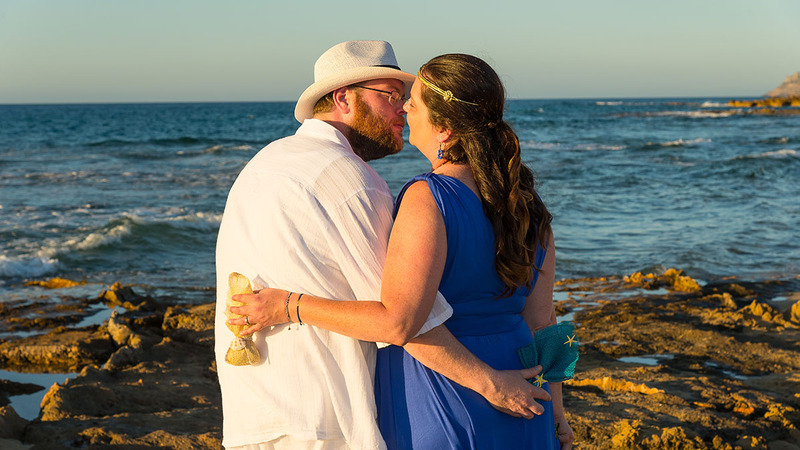 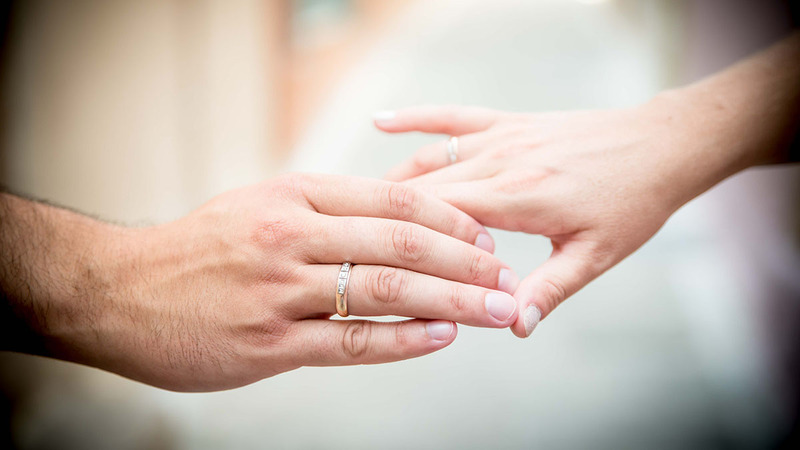 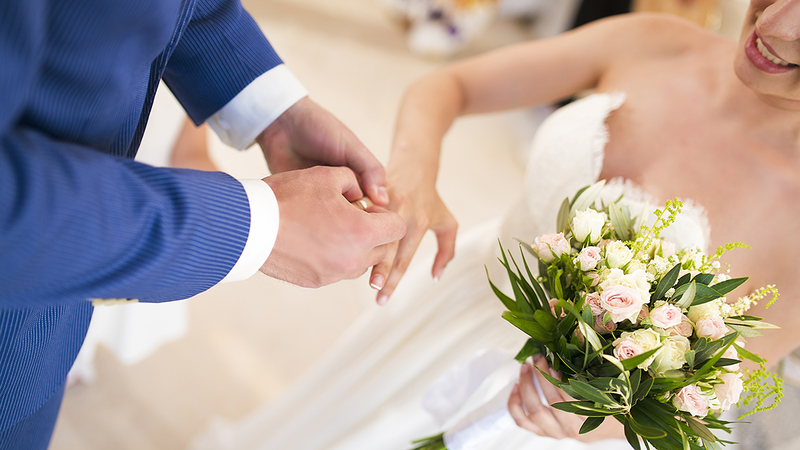 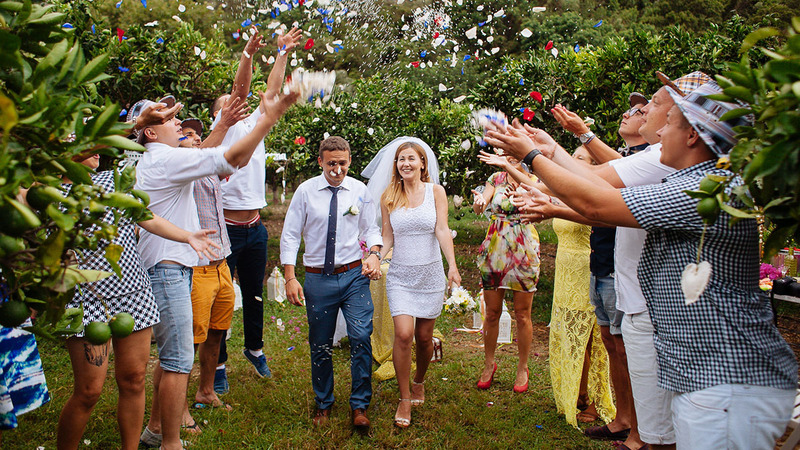 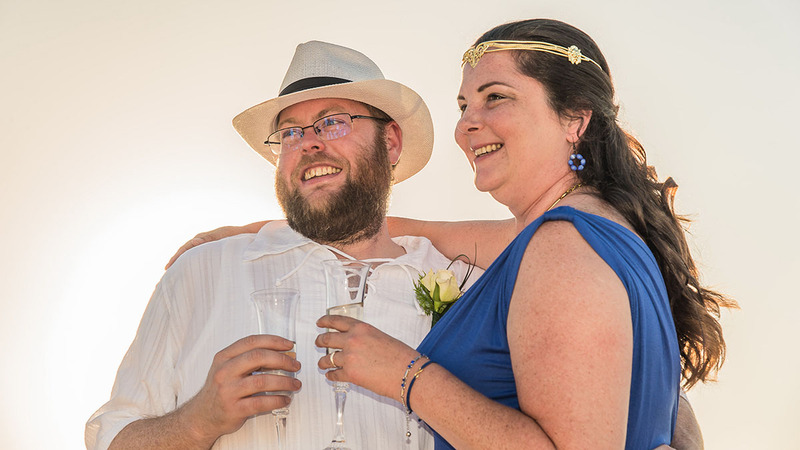 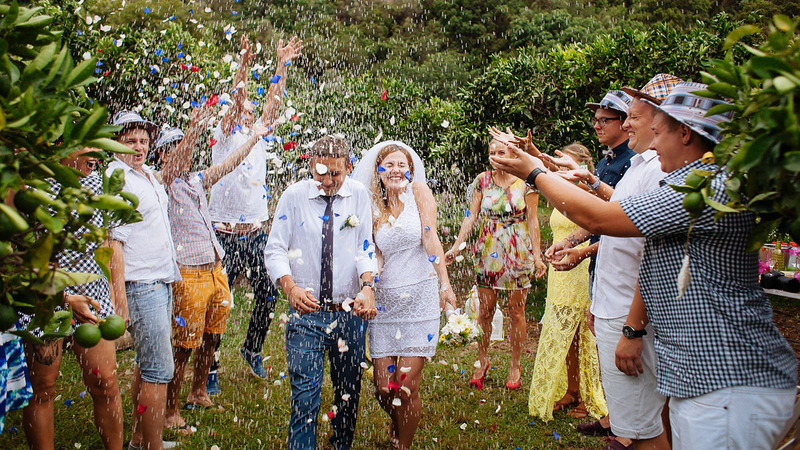 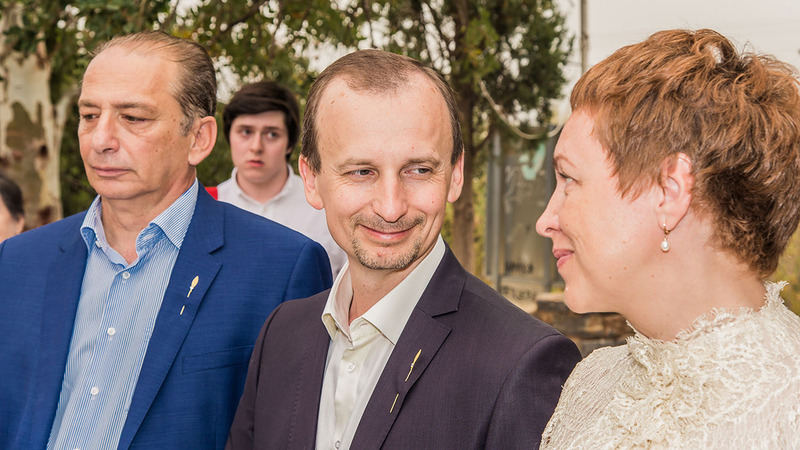 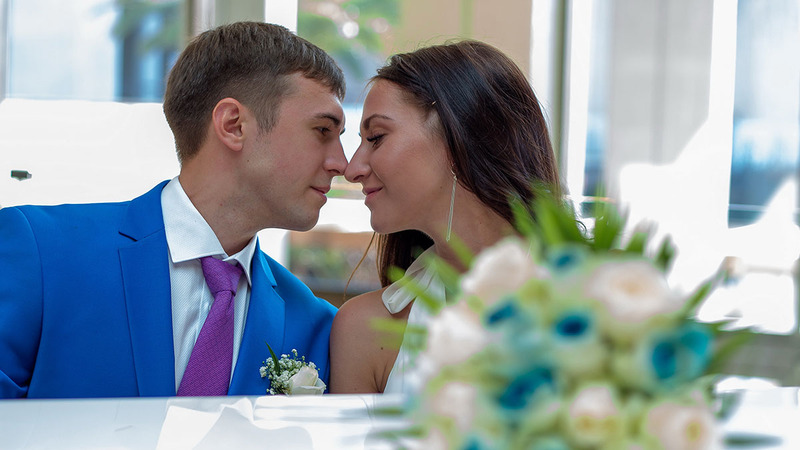 And if you already have that marriage certificate and years of blissful married life under your belt, that is no reason to deny yourself the pleasure of once more reliving that solemn moment when you exchanged those precious vows. 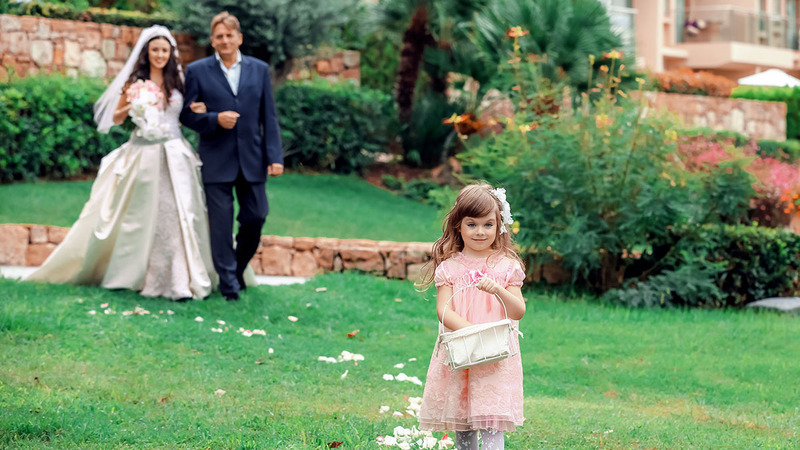 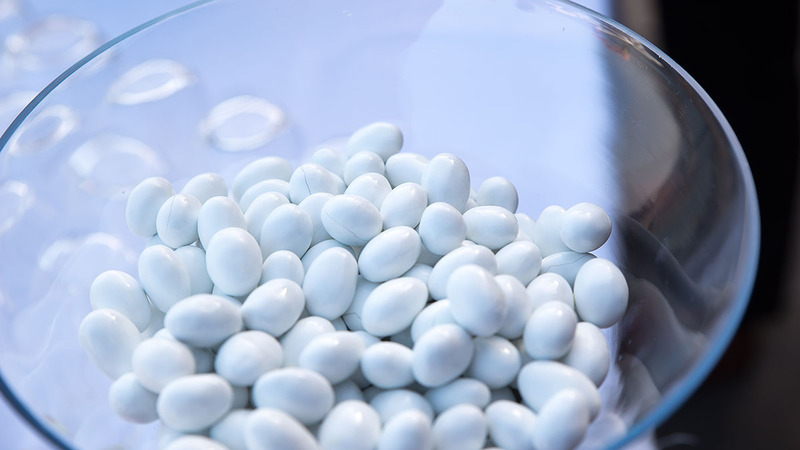 The feeling of butterflies in your stomach, a unique, flawless celebration and your nearest and dearest beside you, including your children if you have any… what could be better? 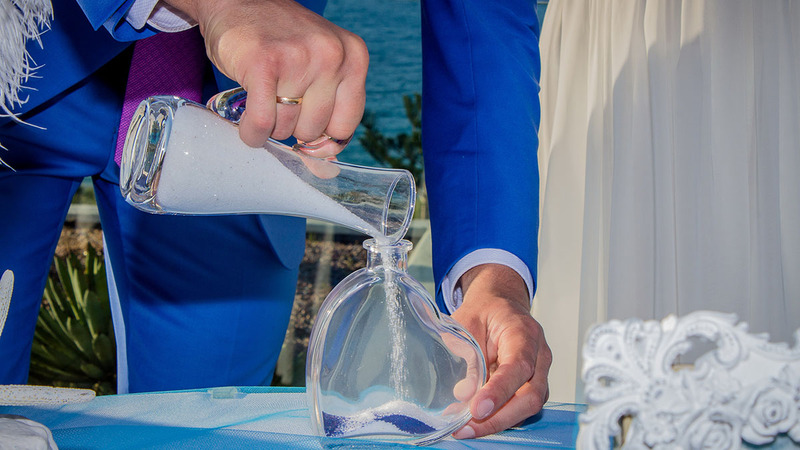 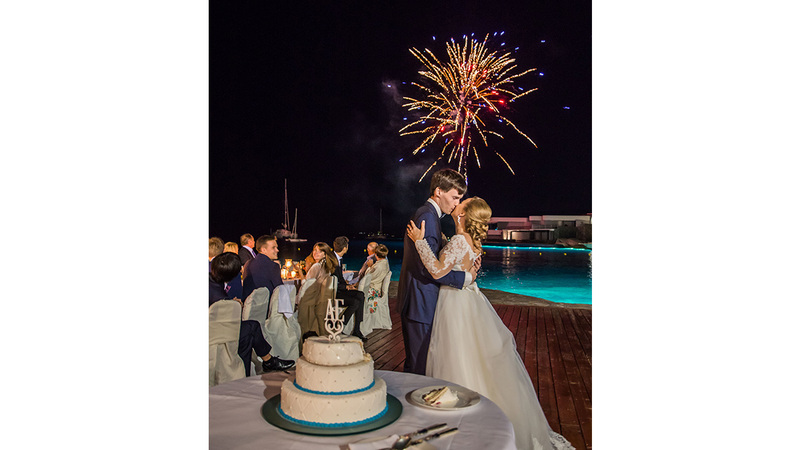 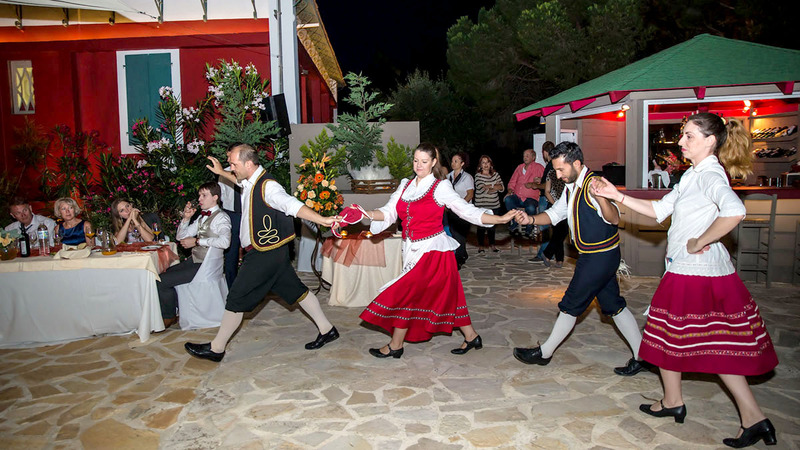 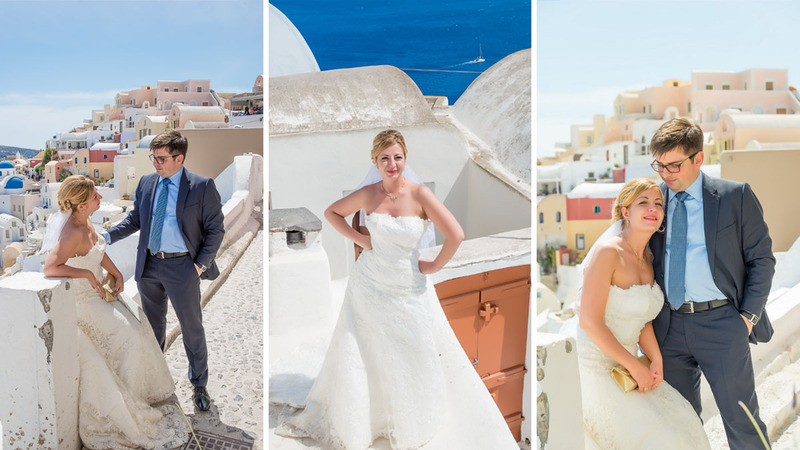 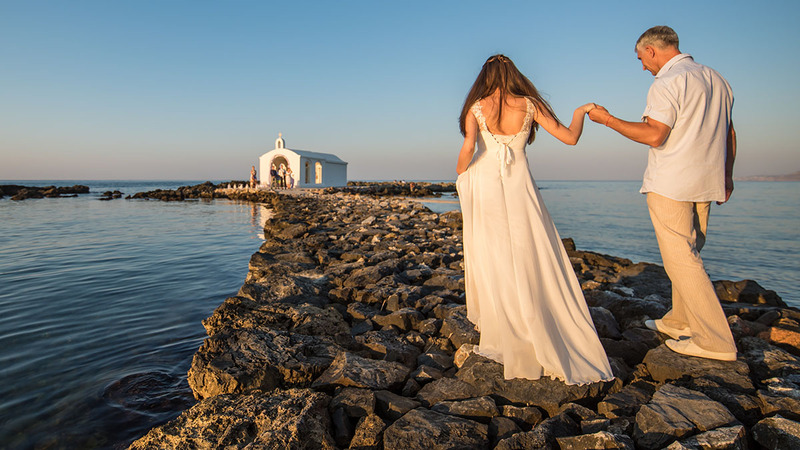 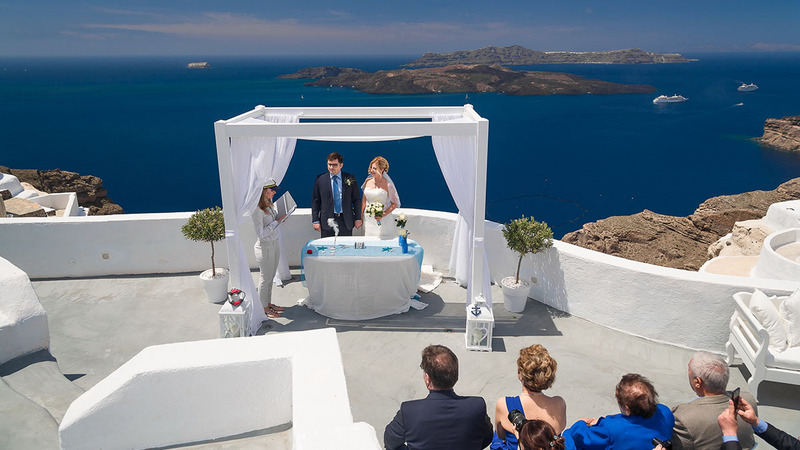 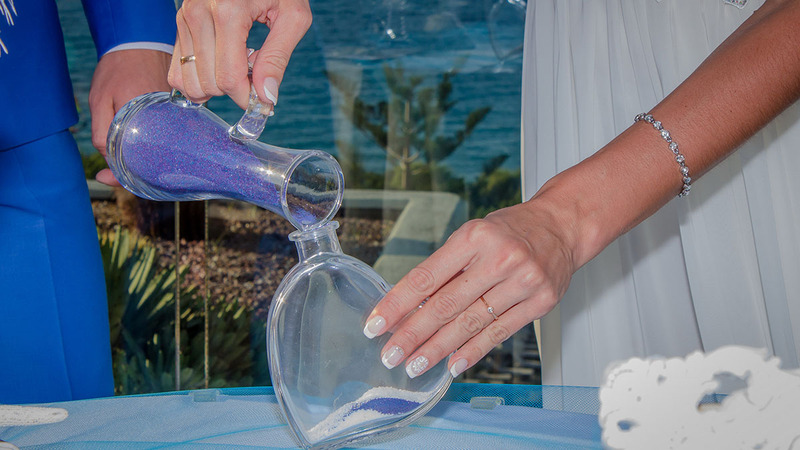 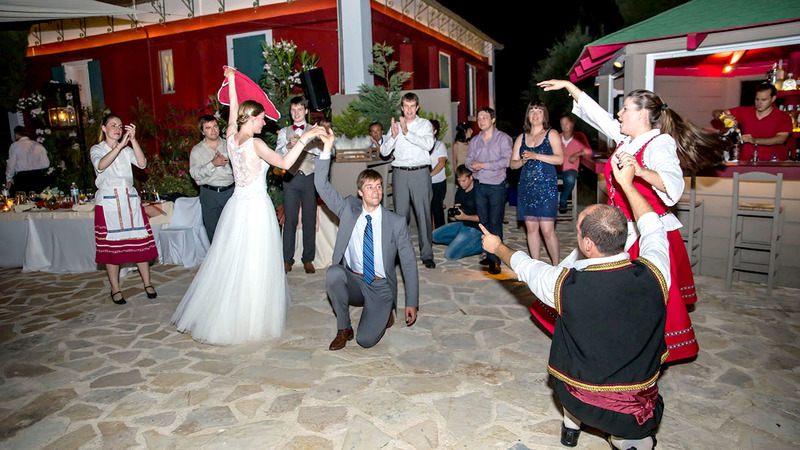 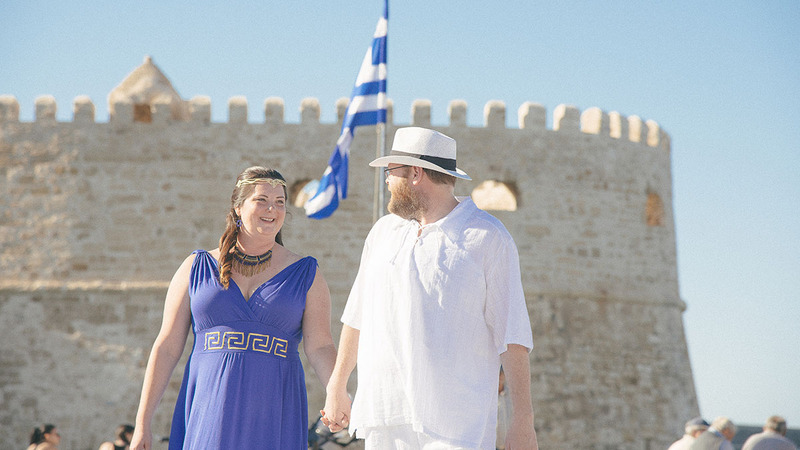 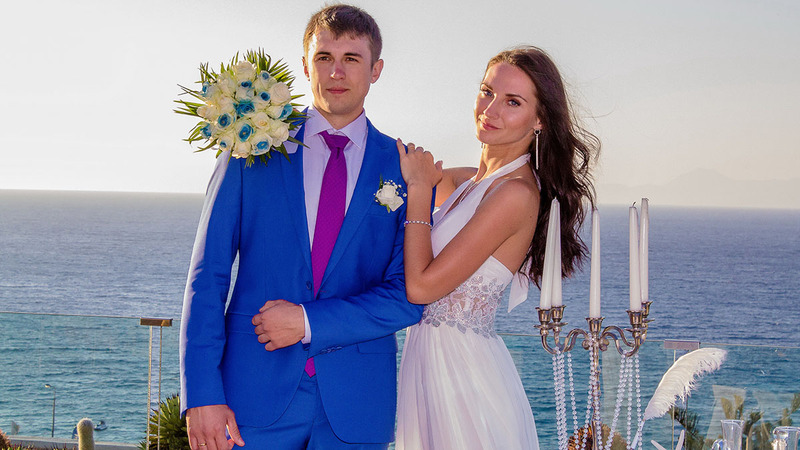 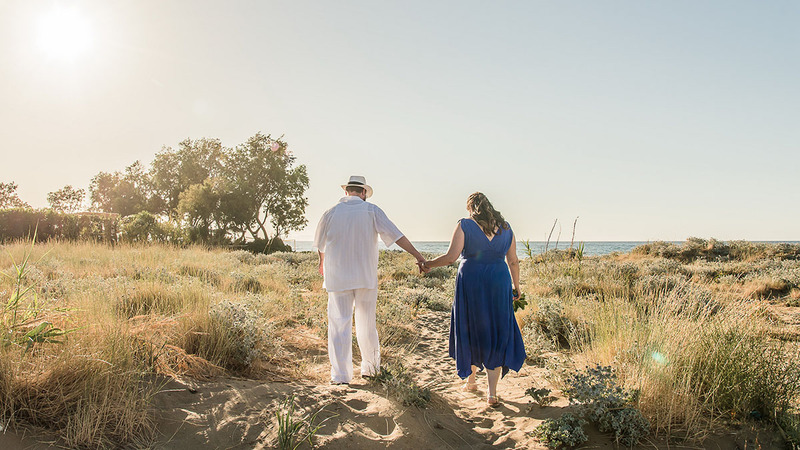 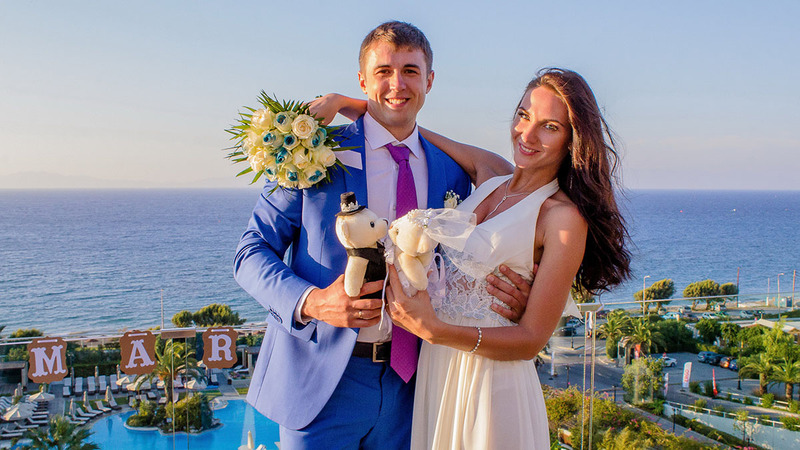 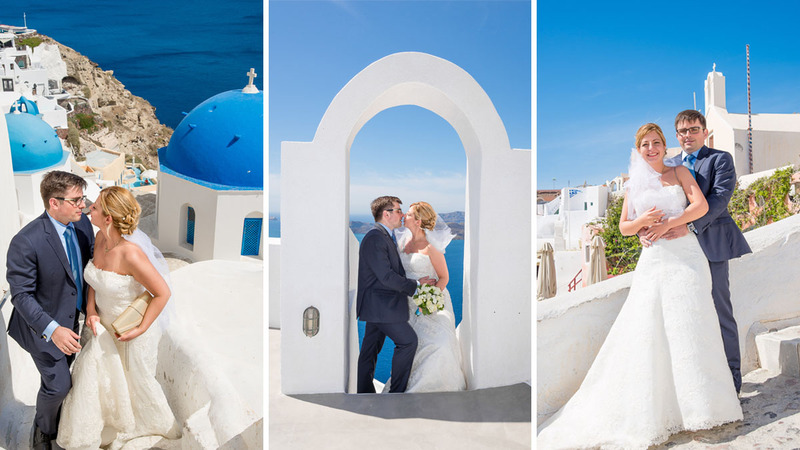 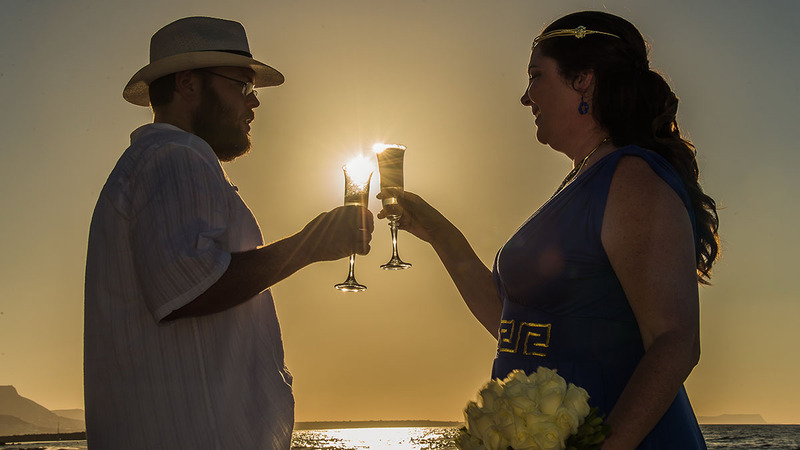 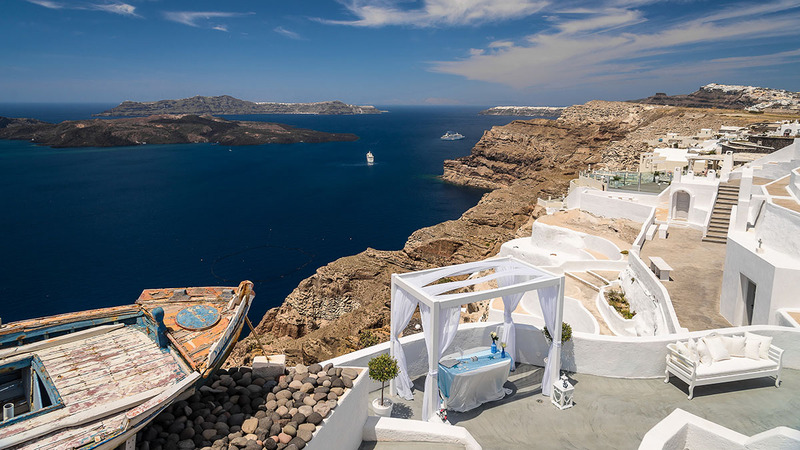 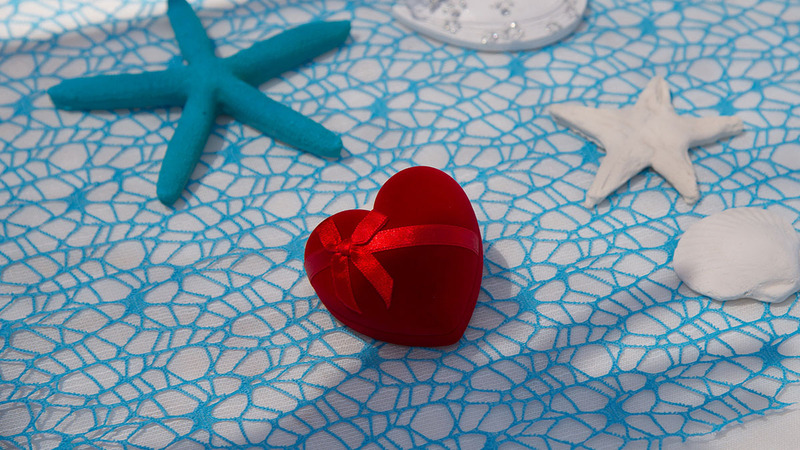 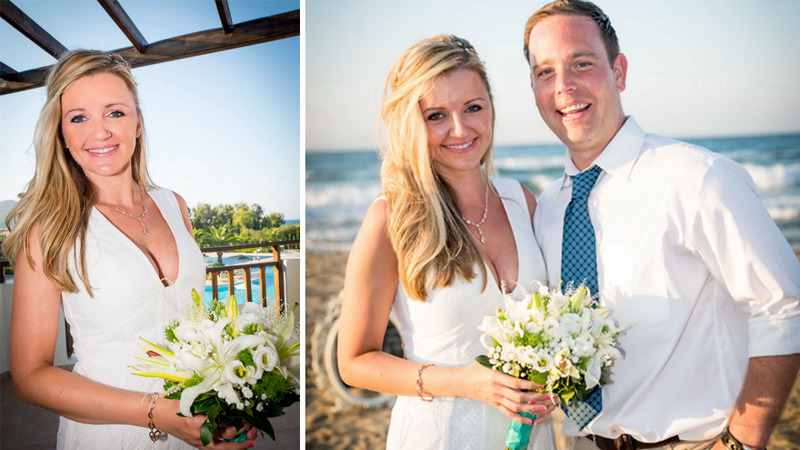 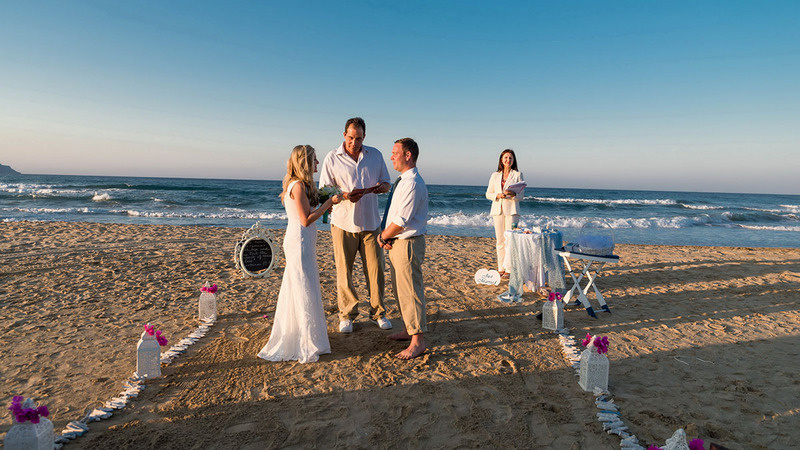 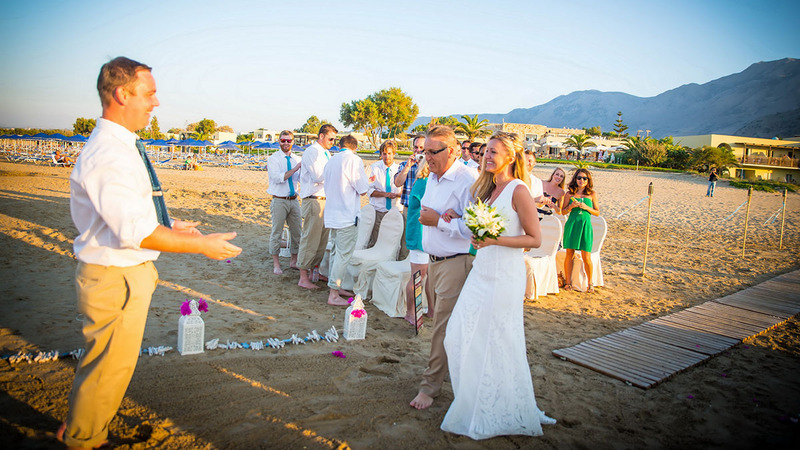 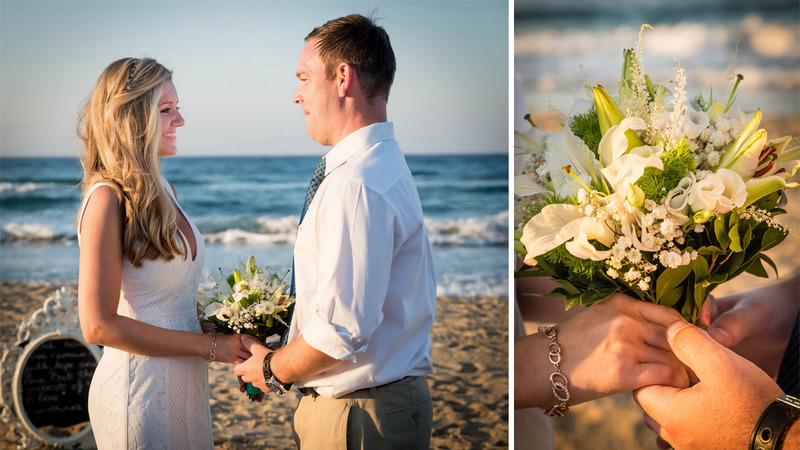 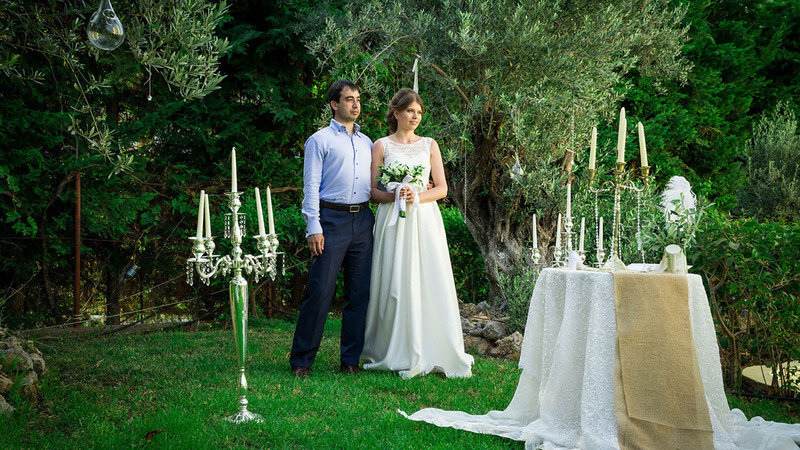 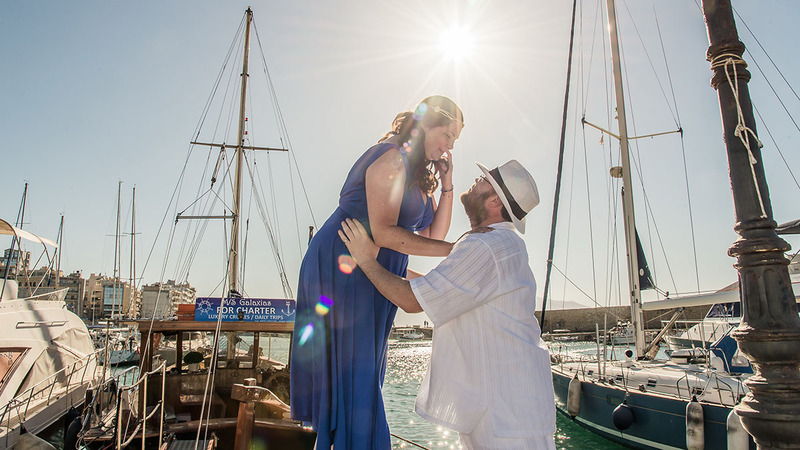 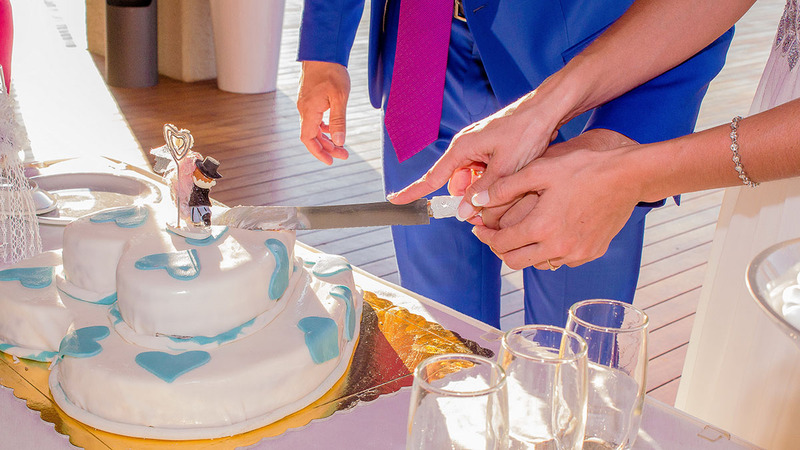 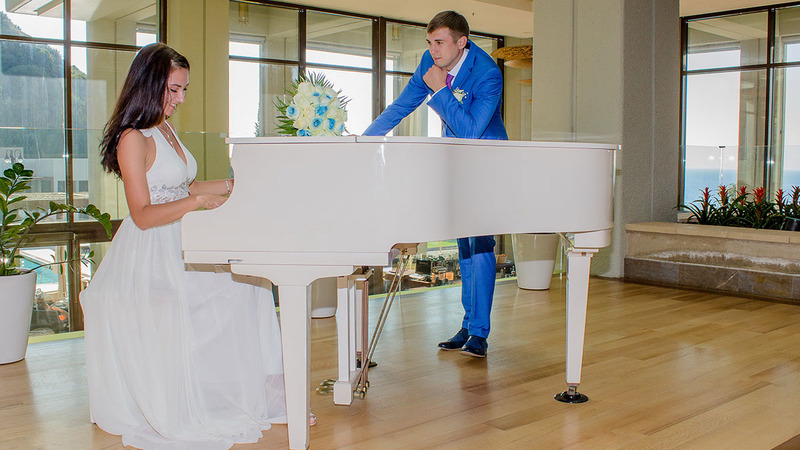 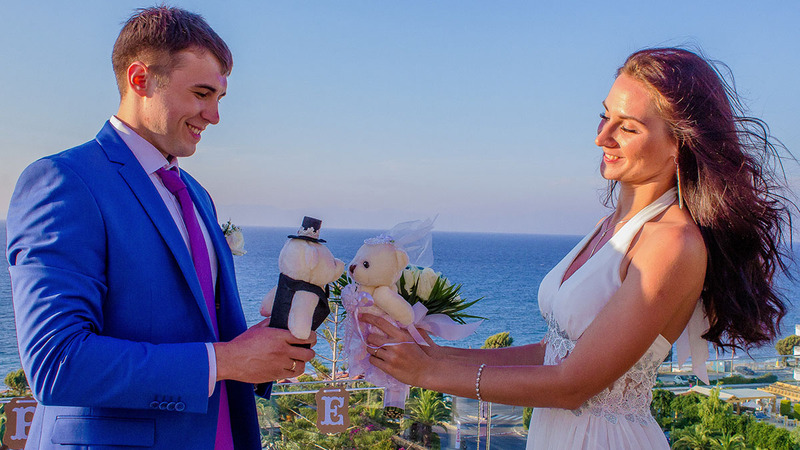 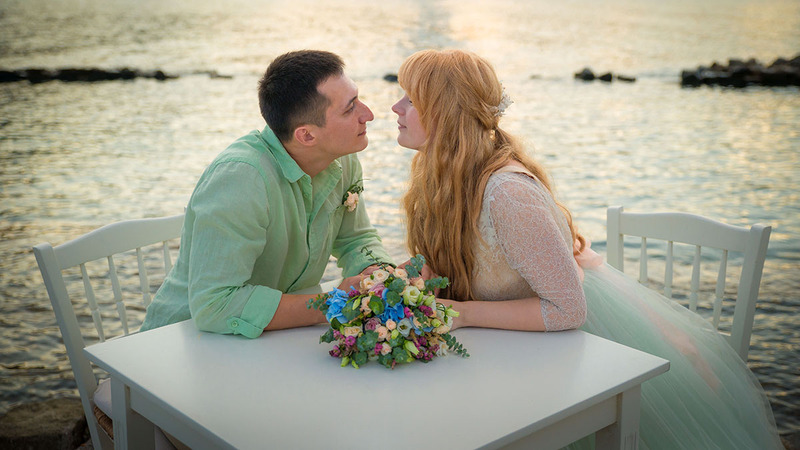 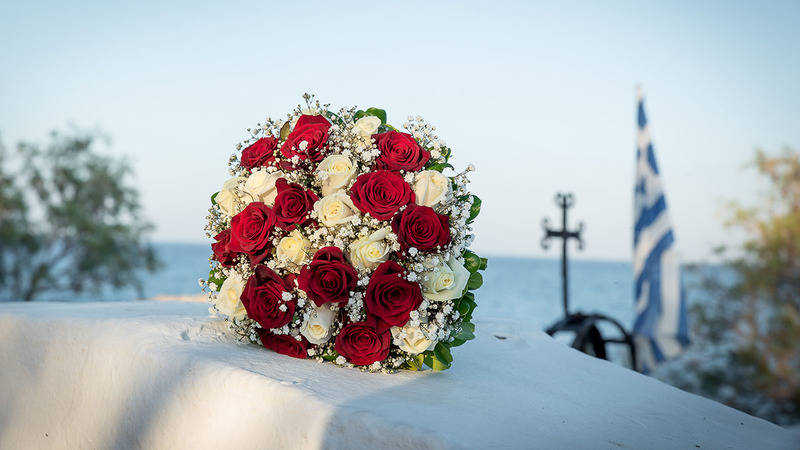 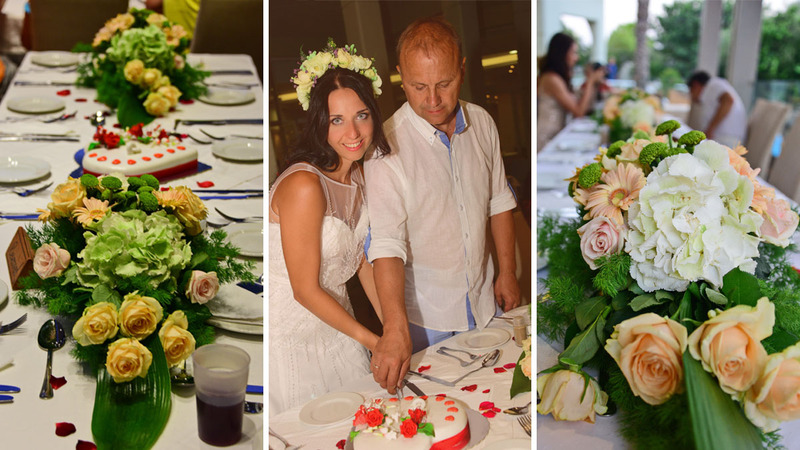 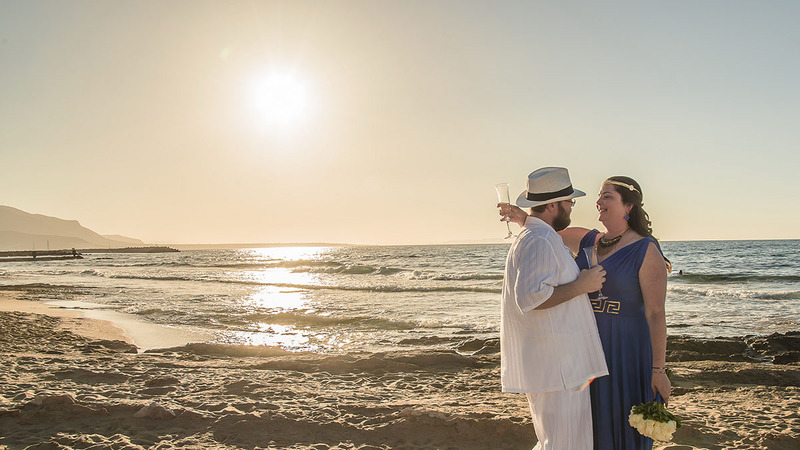 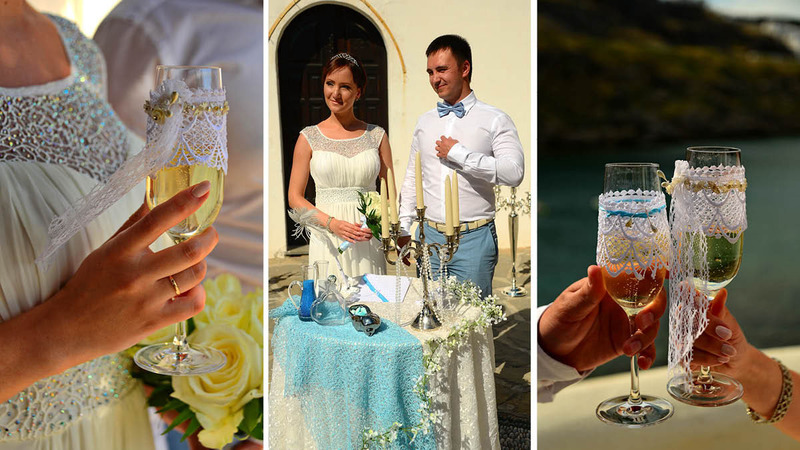 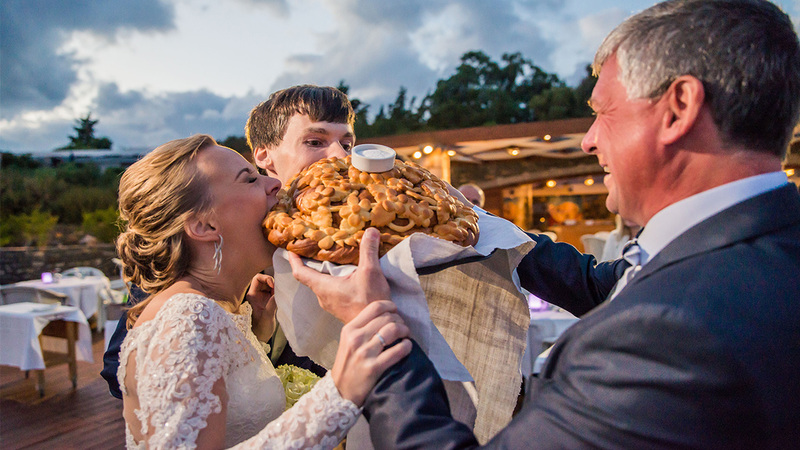 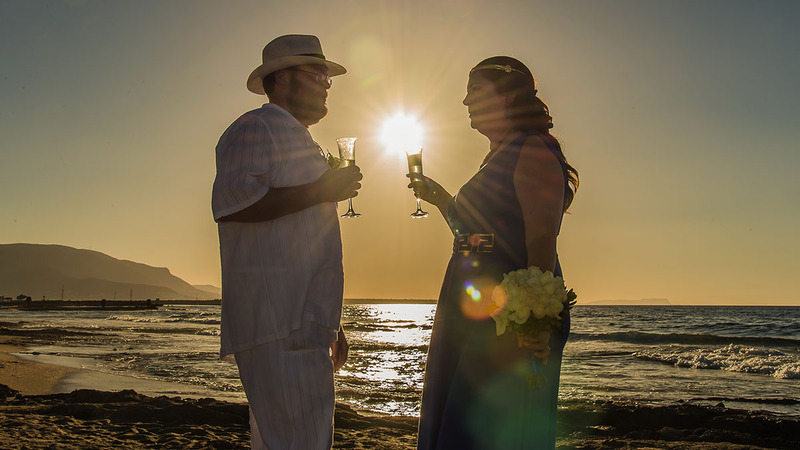 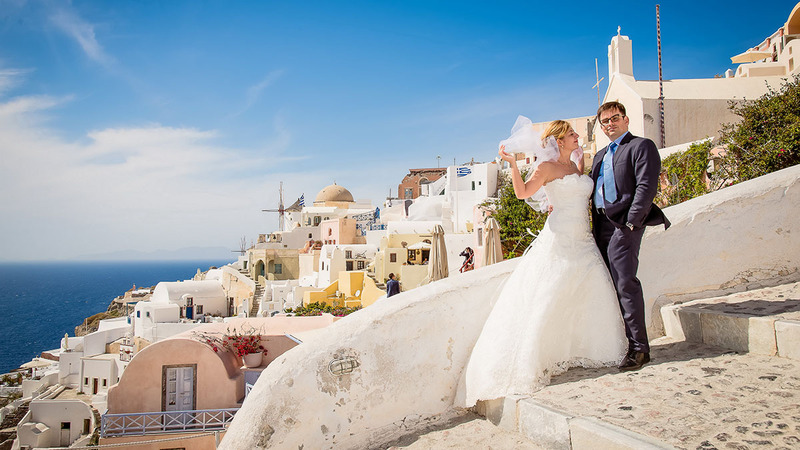 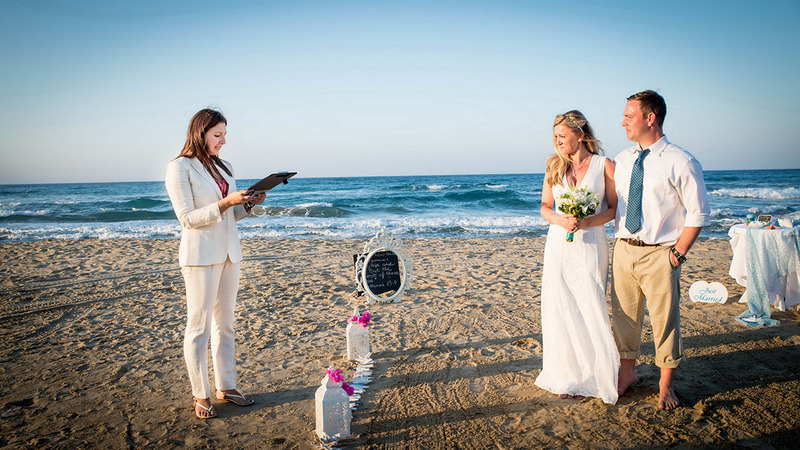 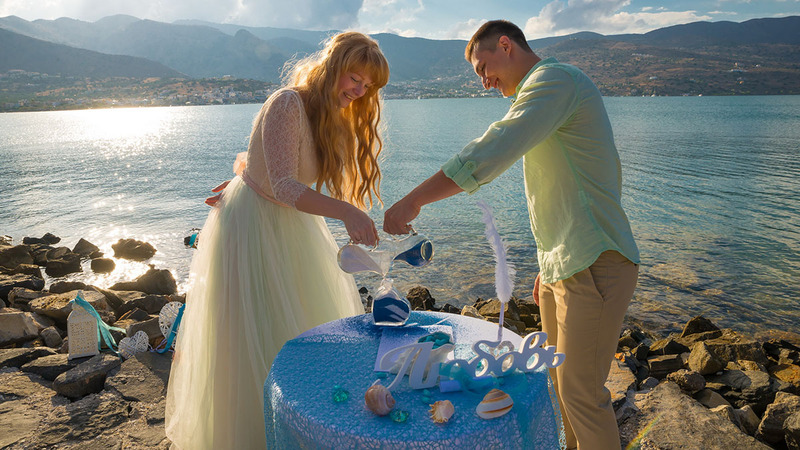 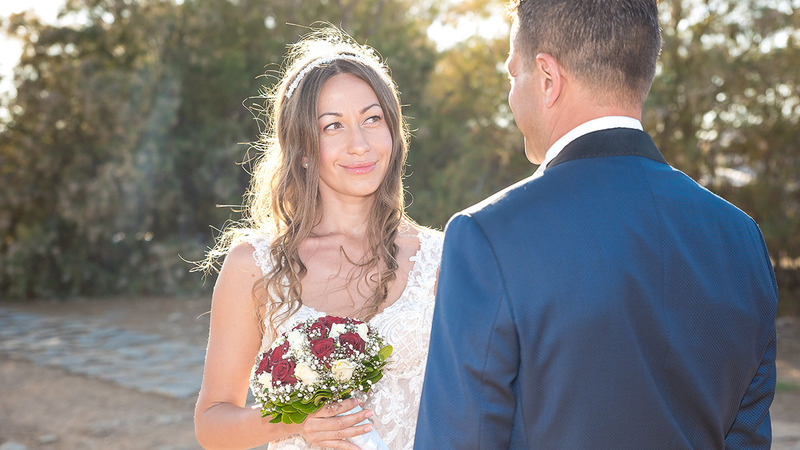 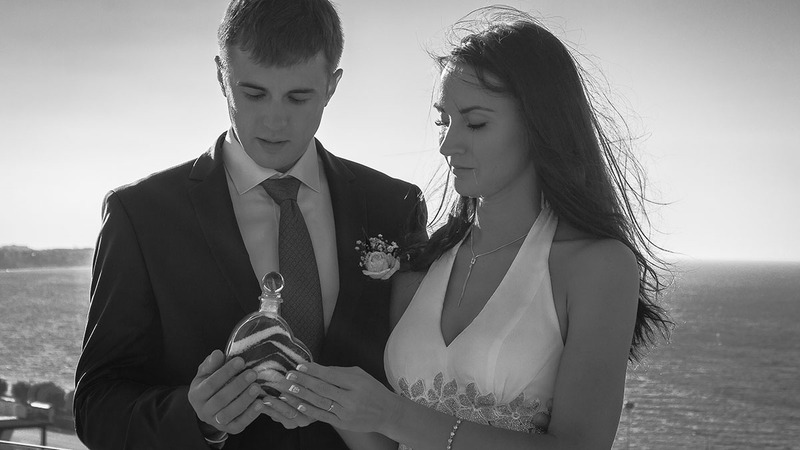 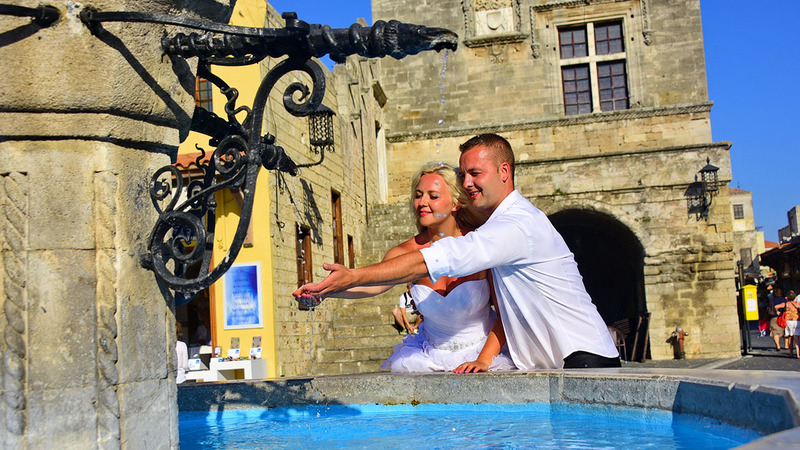 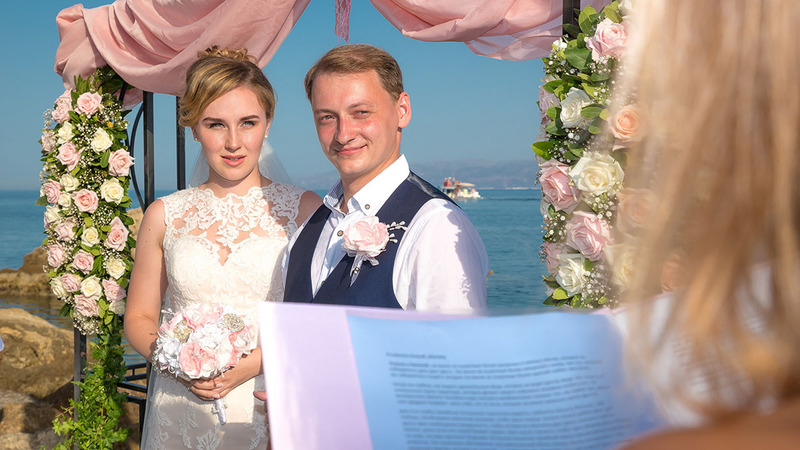 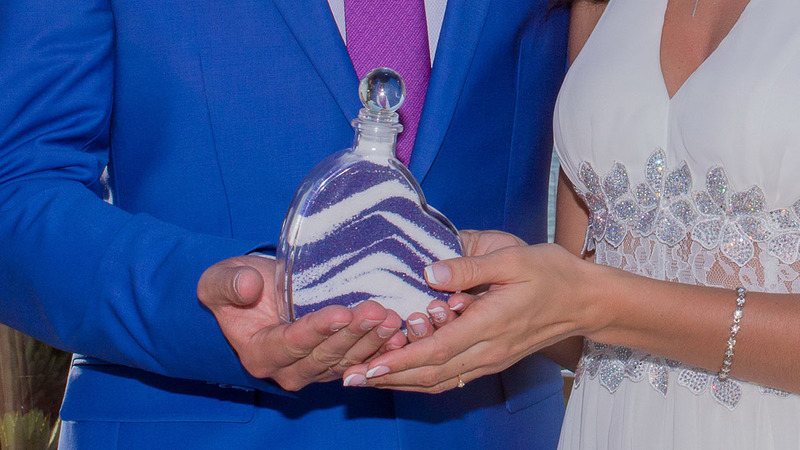 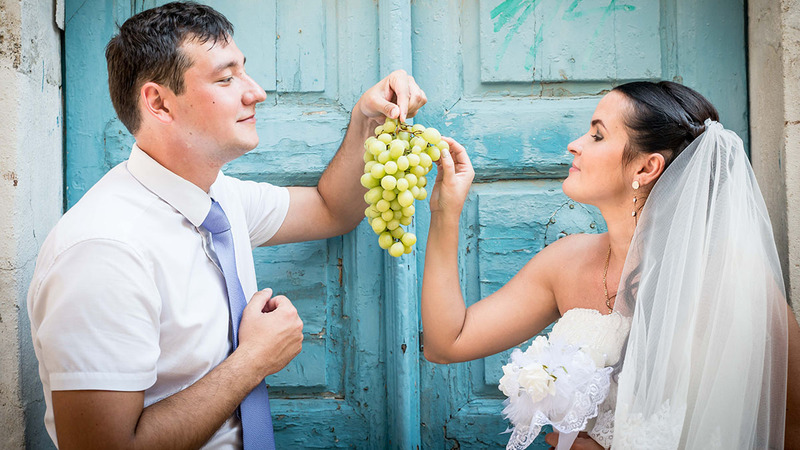 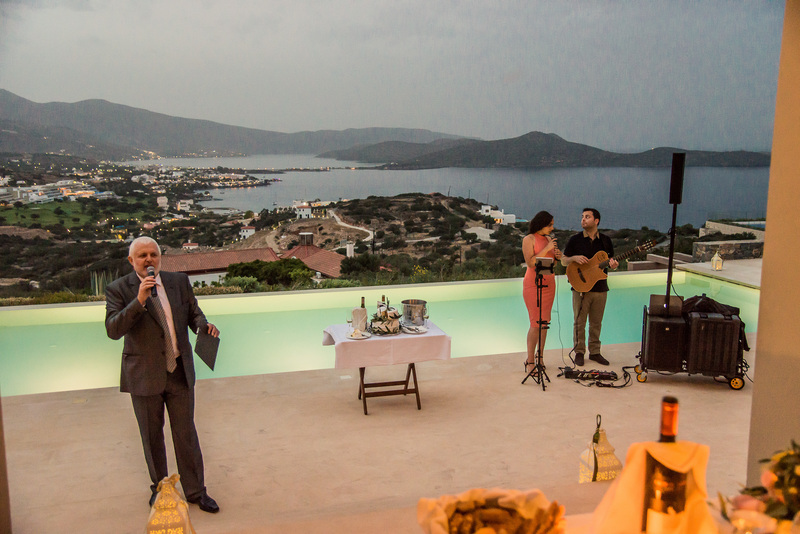 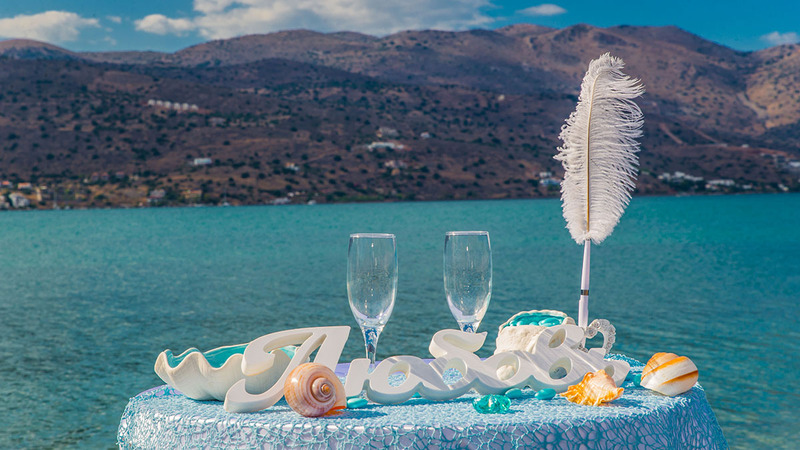 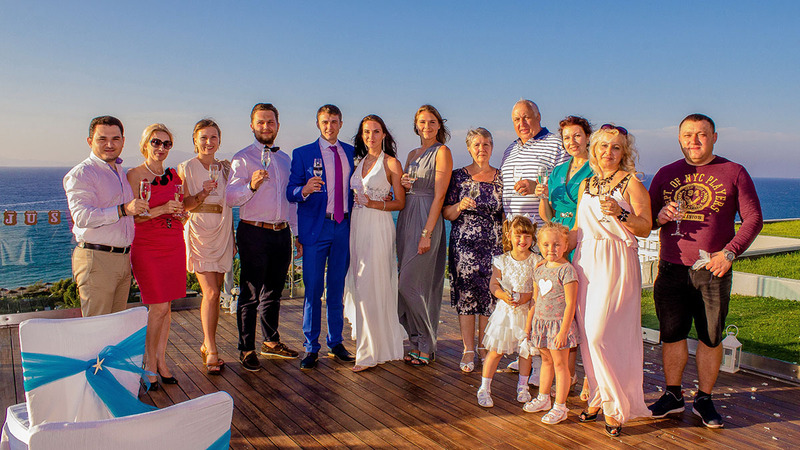 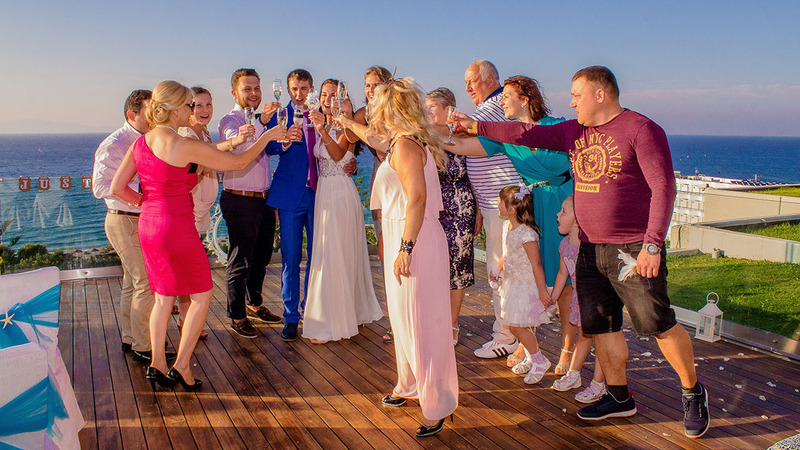 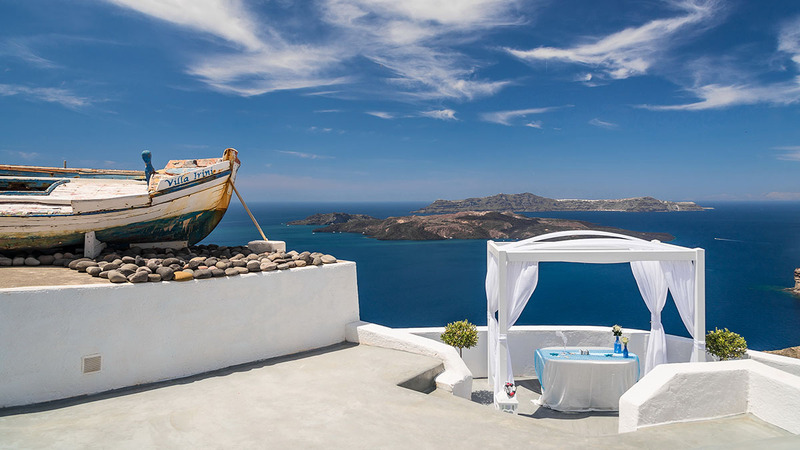 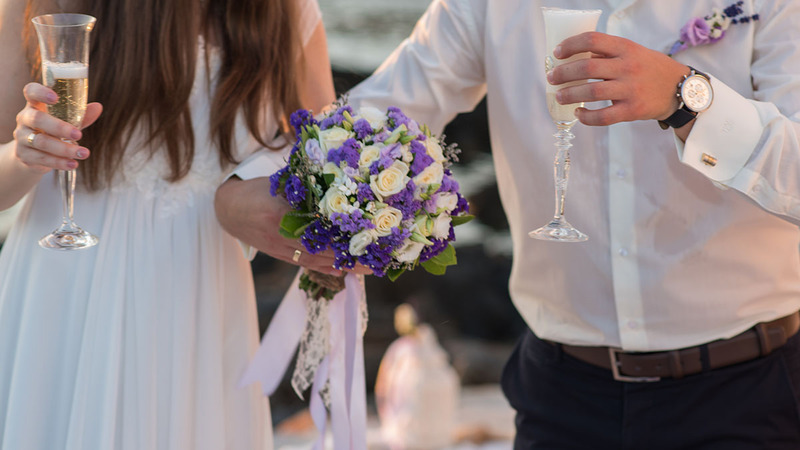 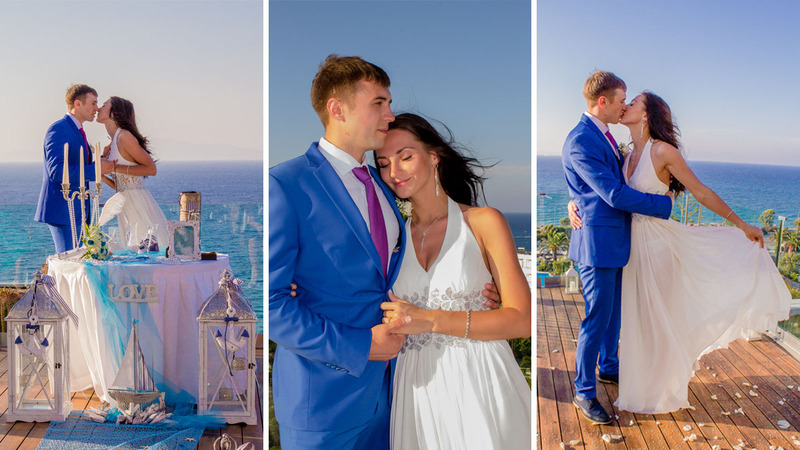 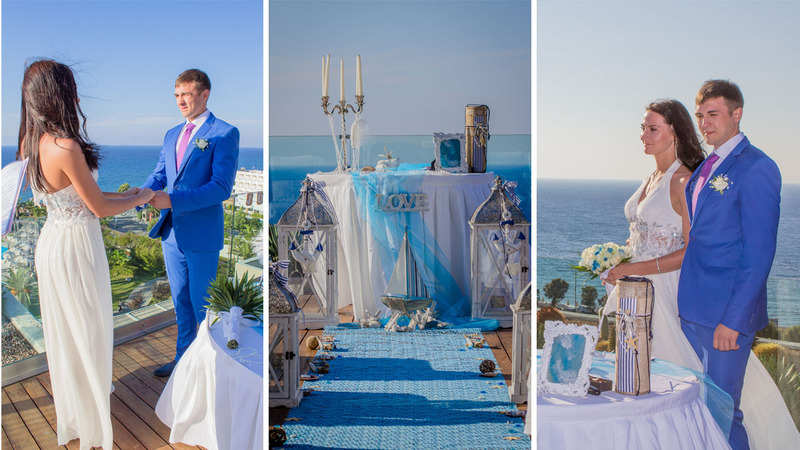 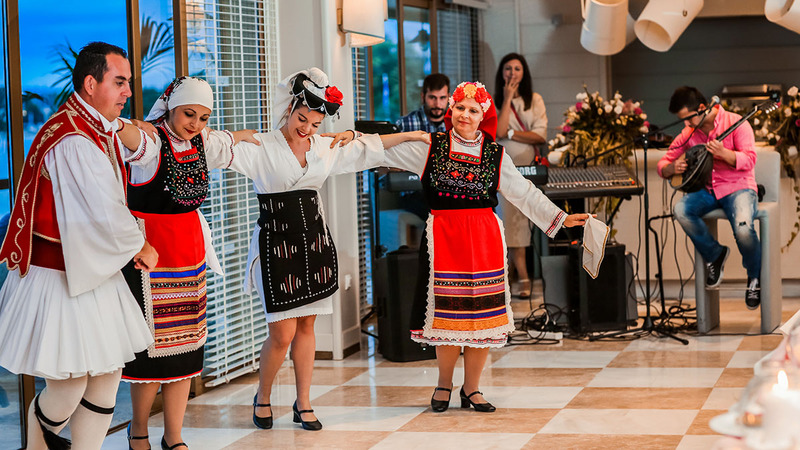 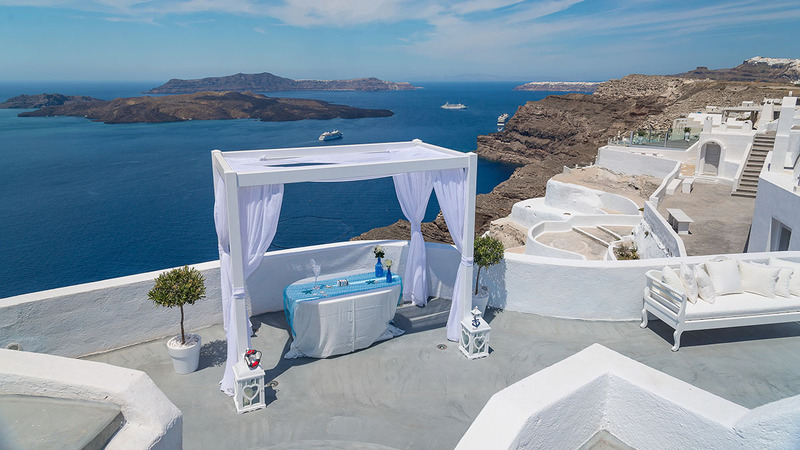 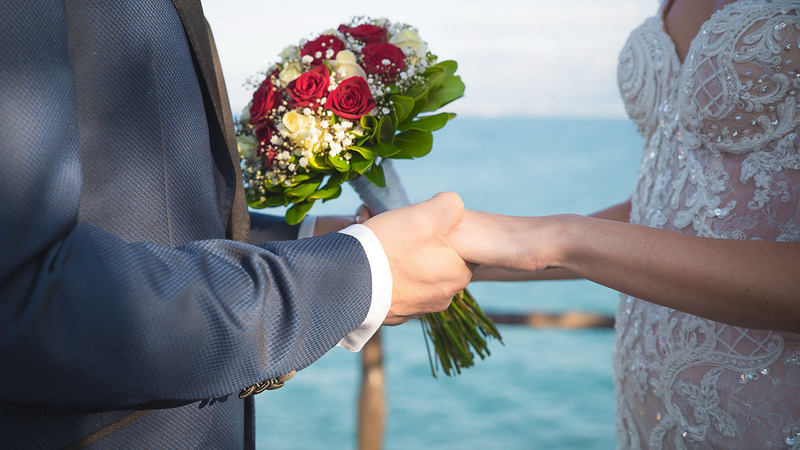 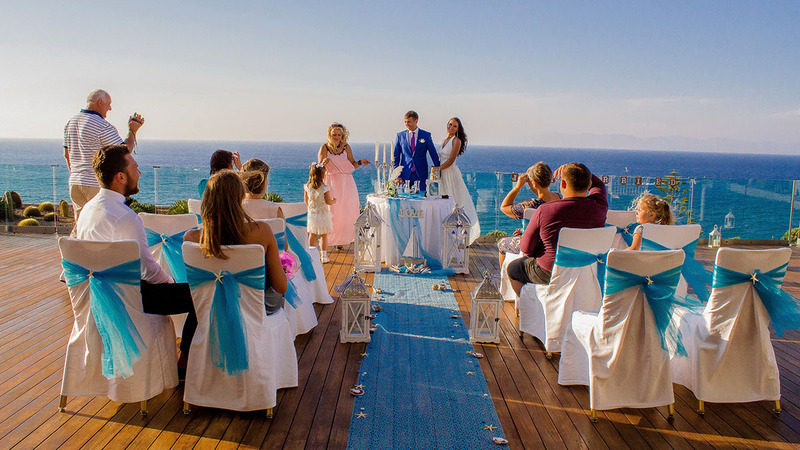 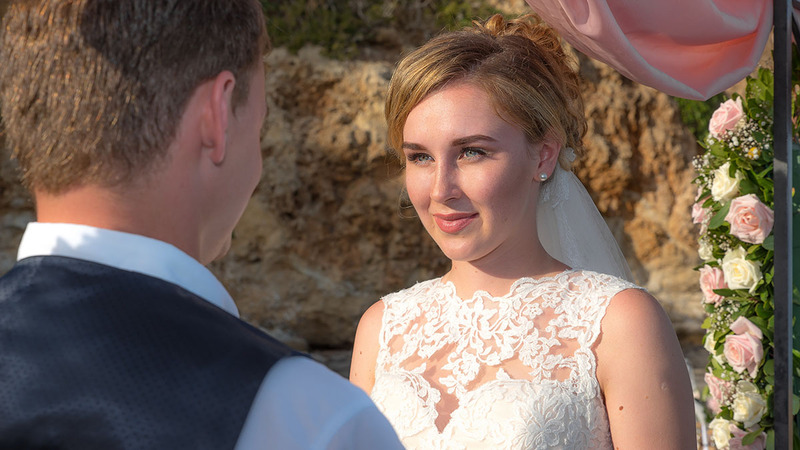 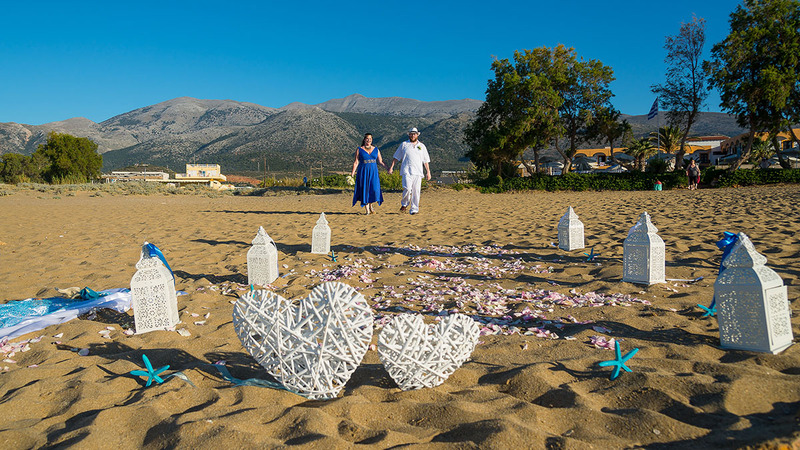 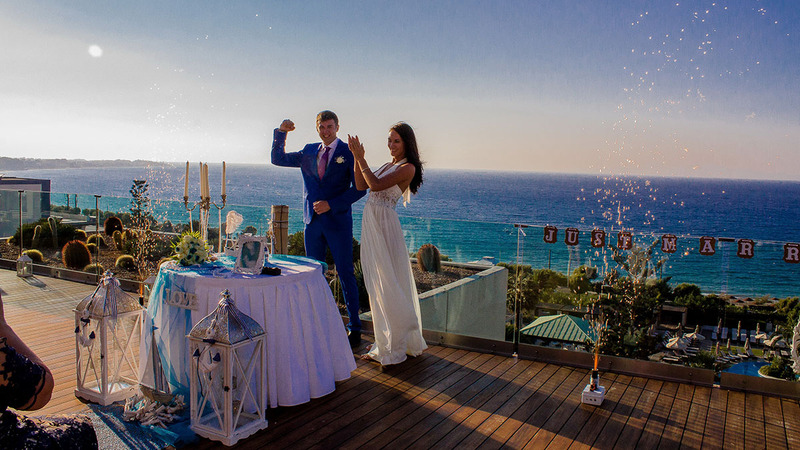 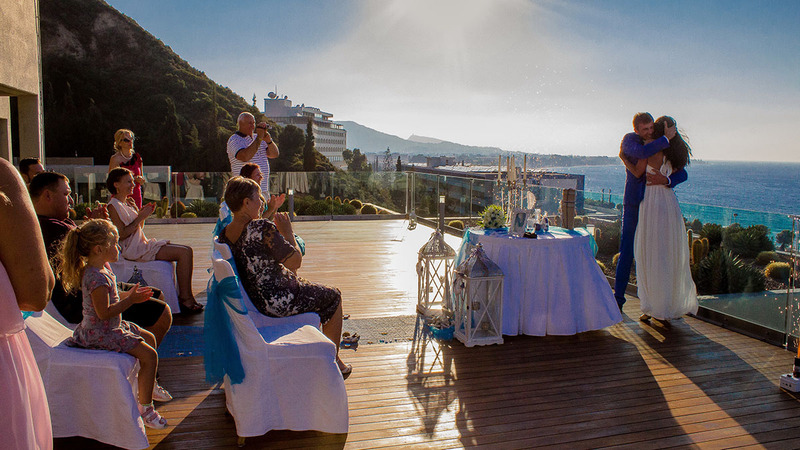 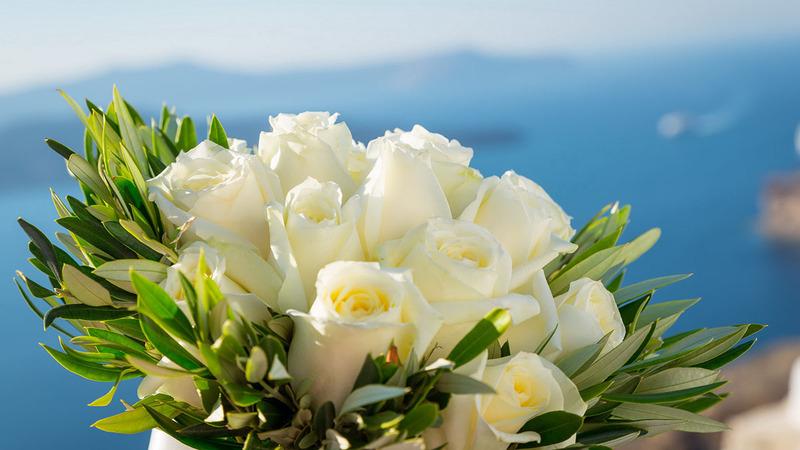 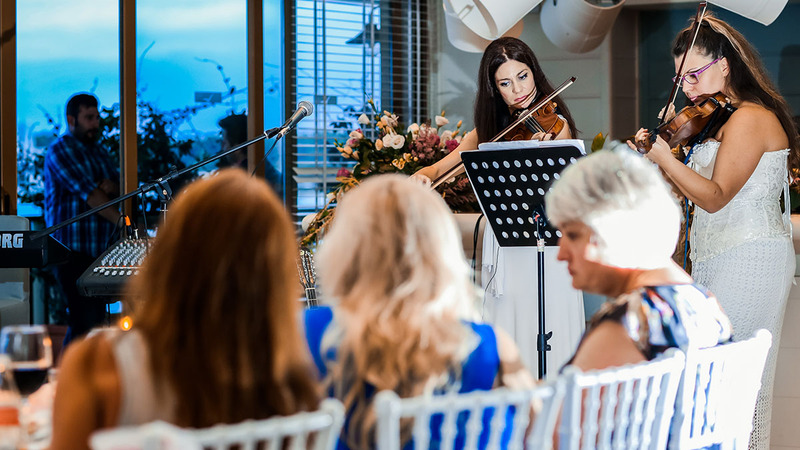 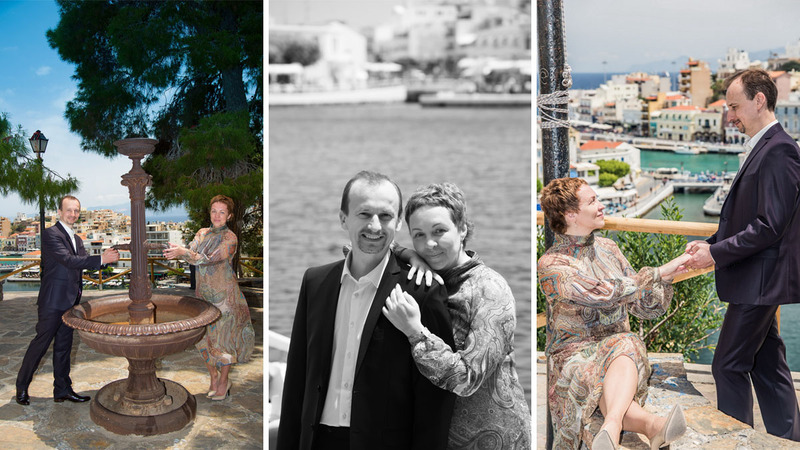 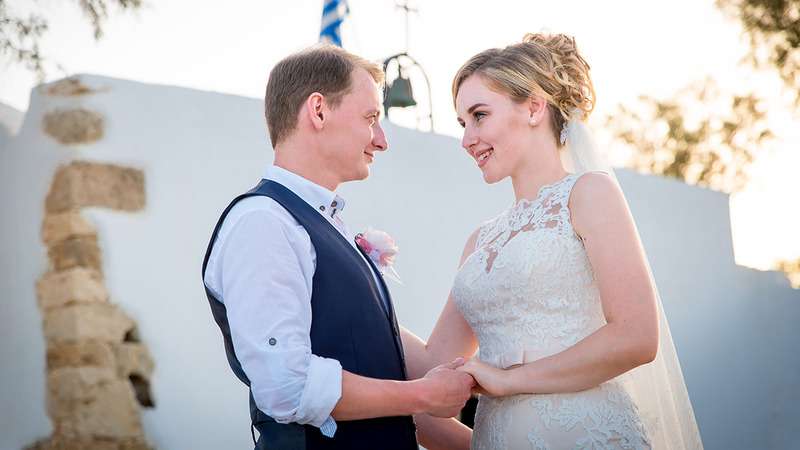 The sophisticated, romantic occasion that a symbolic ceremony in Greece provides would make an unforgettable gift for your soulmate on your wedding anniversary. 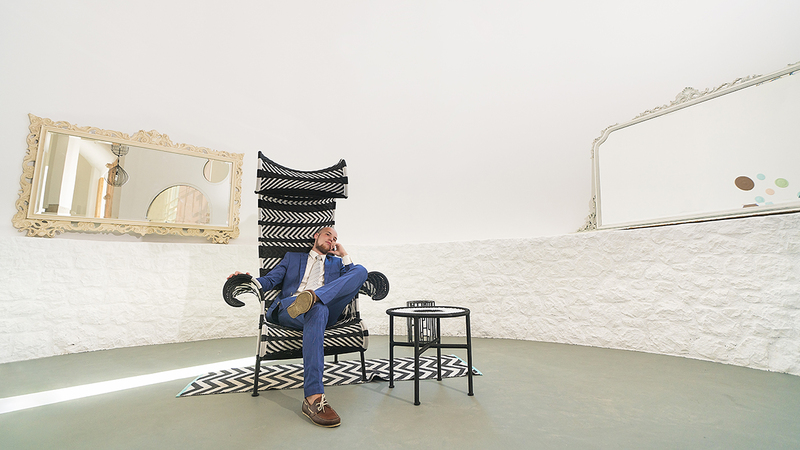 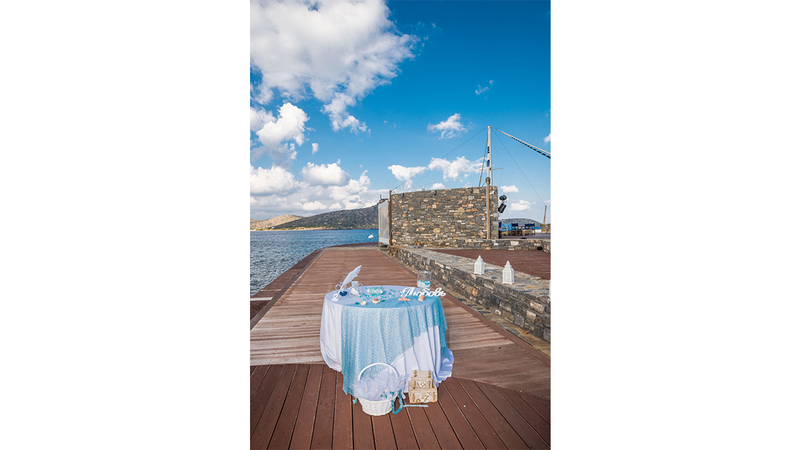 As a rule, the most difficult part of organising a special event is choosing the location. 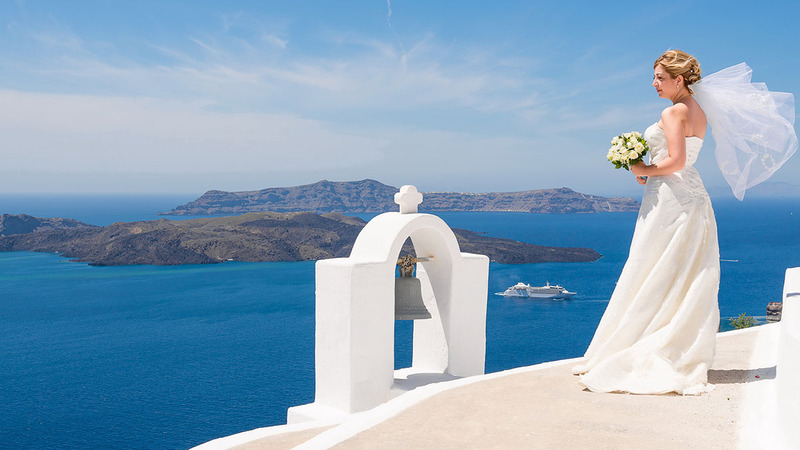 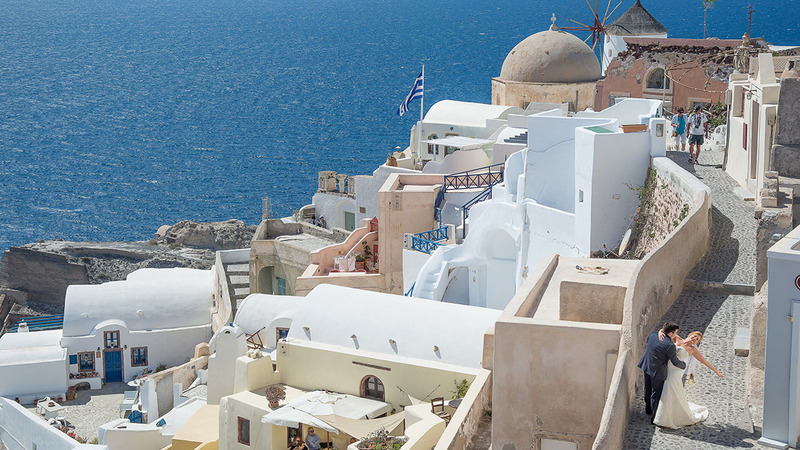 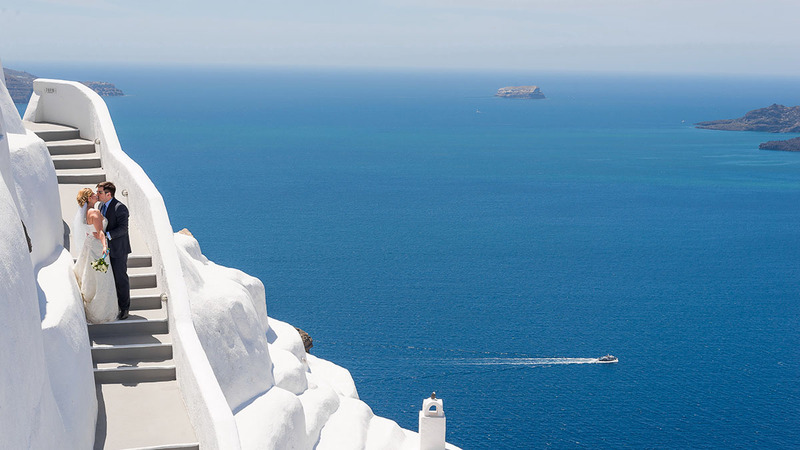 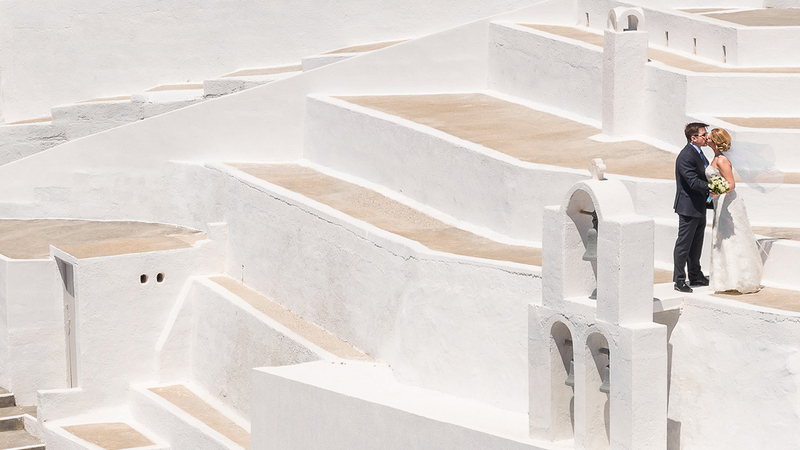 Greece is the perfect choice, a country with luxurious landscapes, golden sandy beaches, secluded bays and magnificent, historic castles. 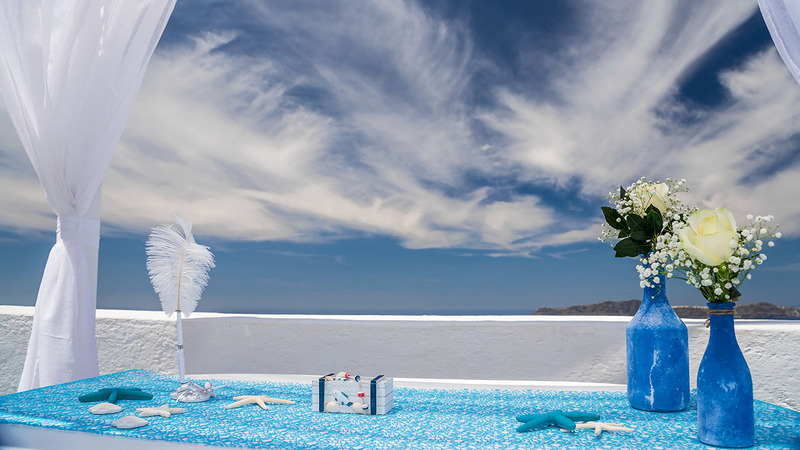 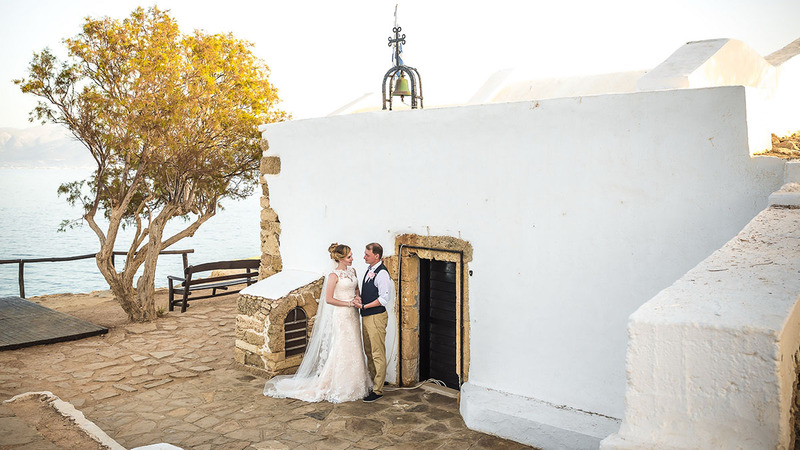 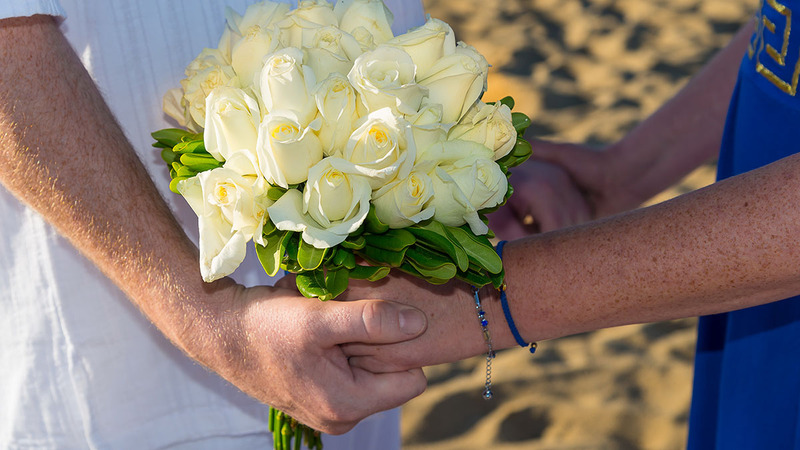 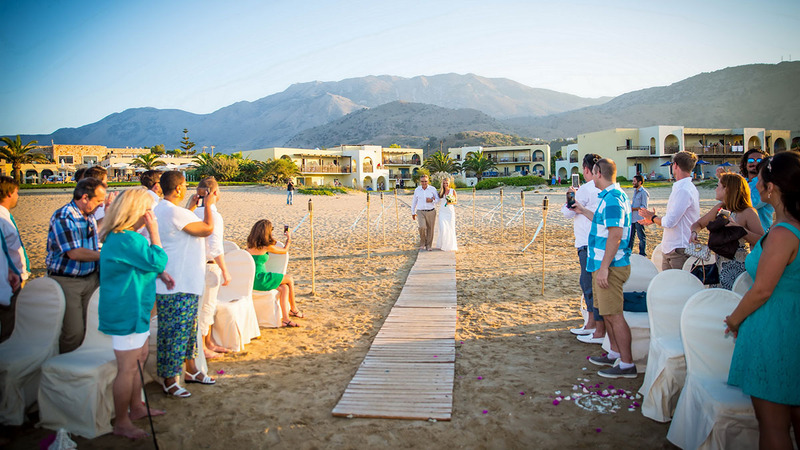 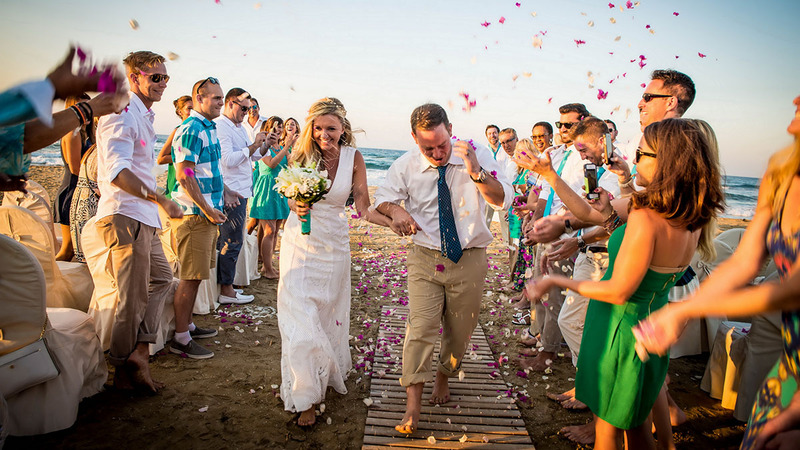 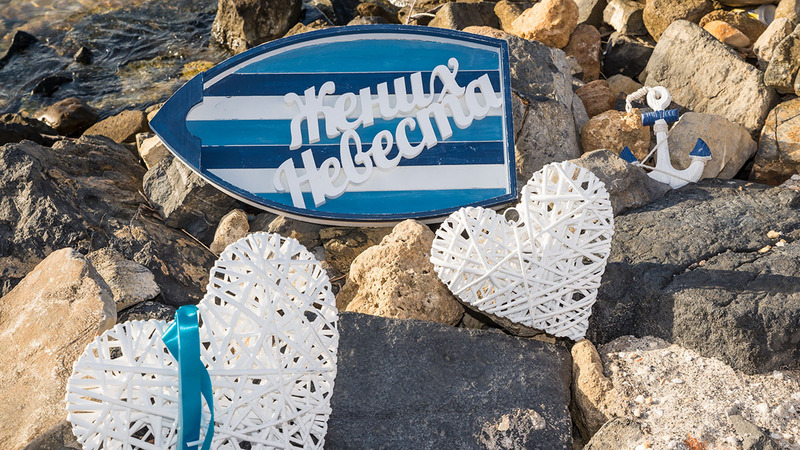 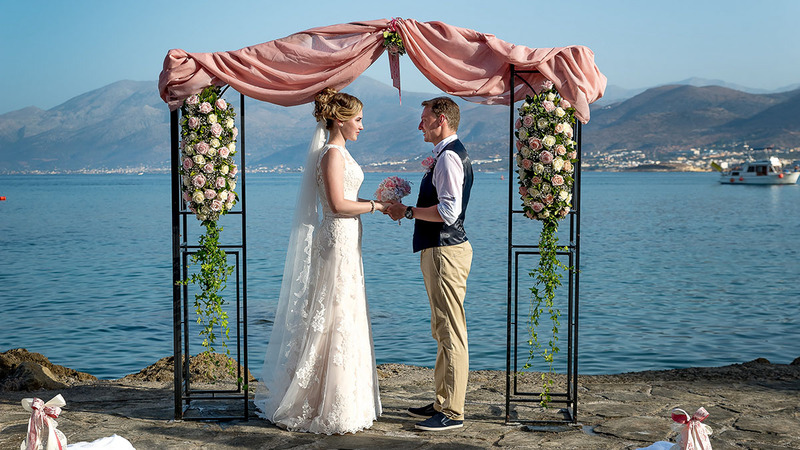 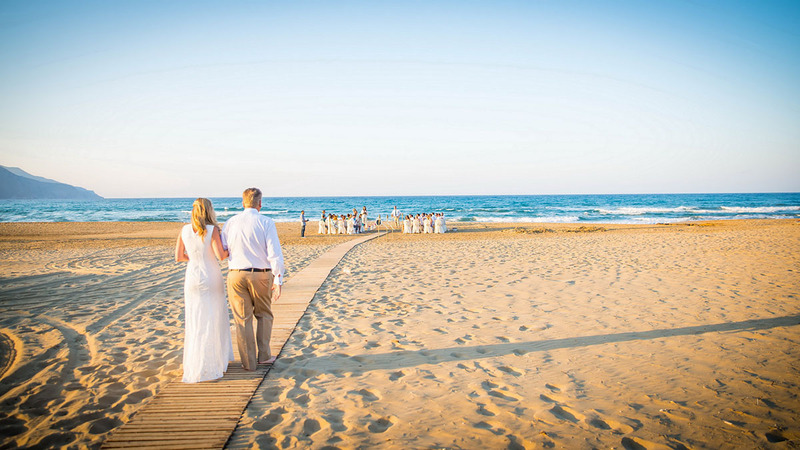 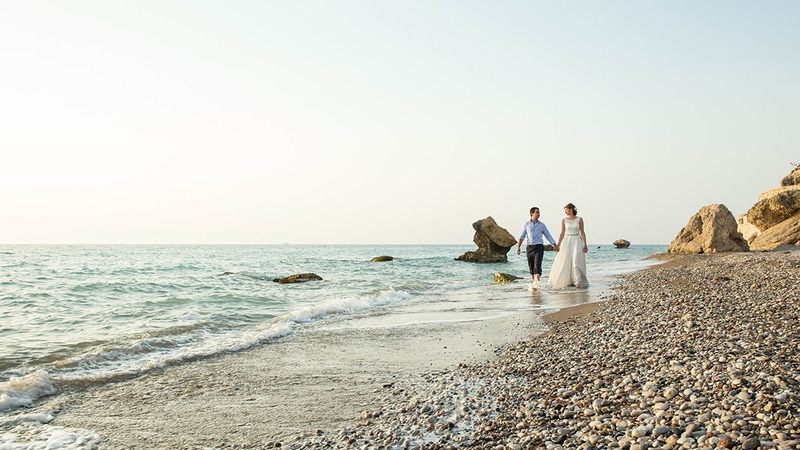 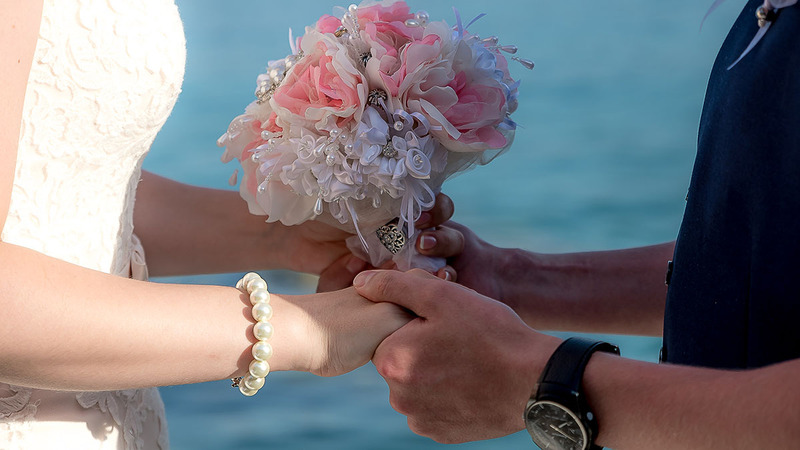 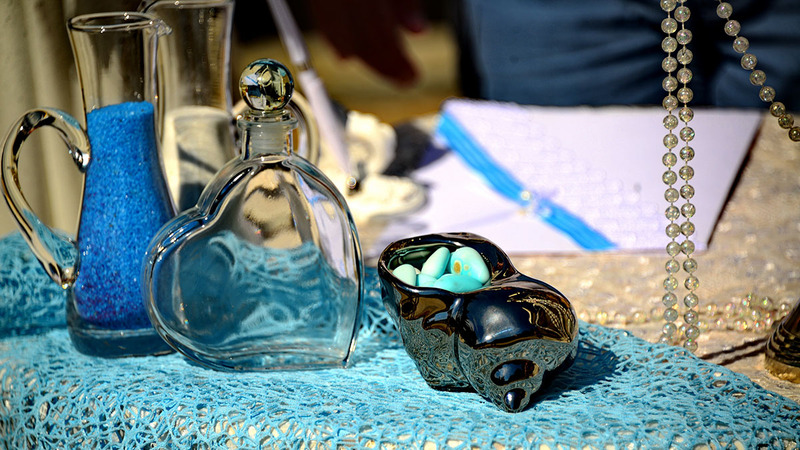 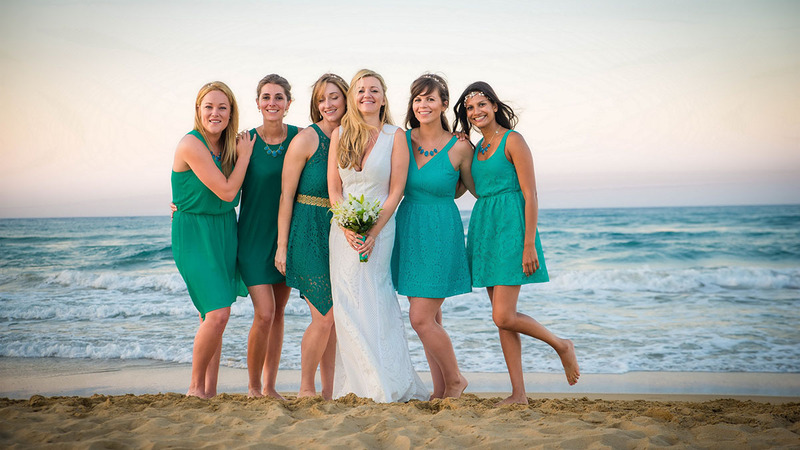 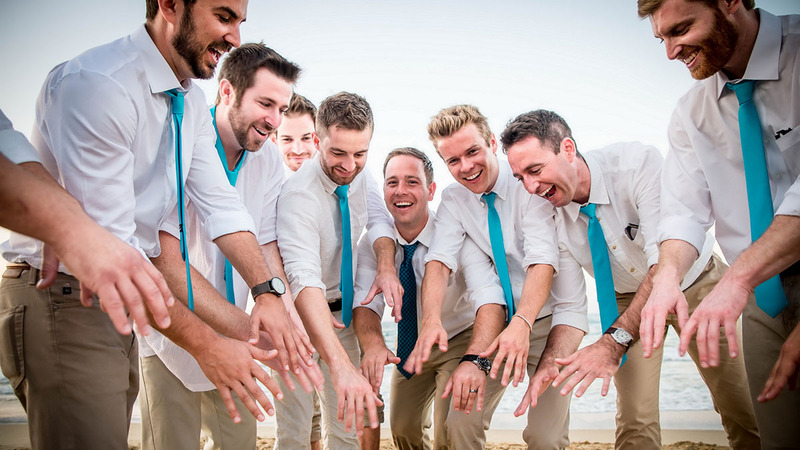 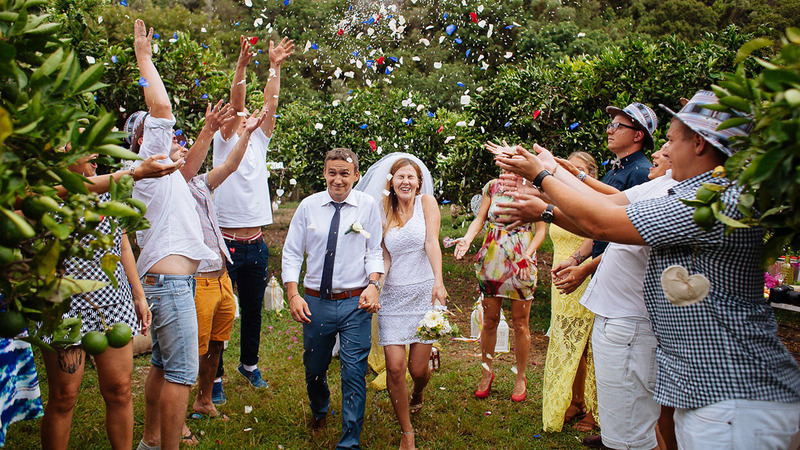 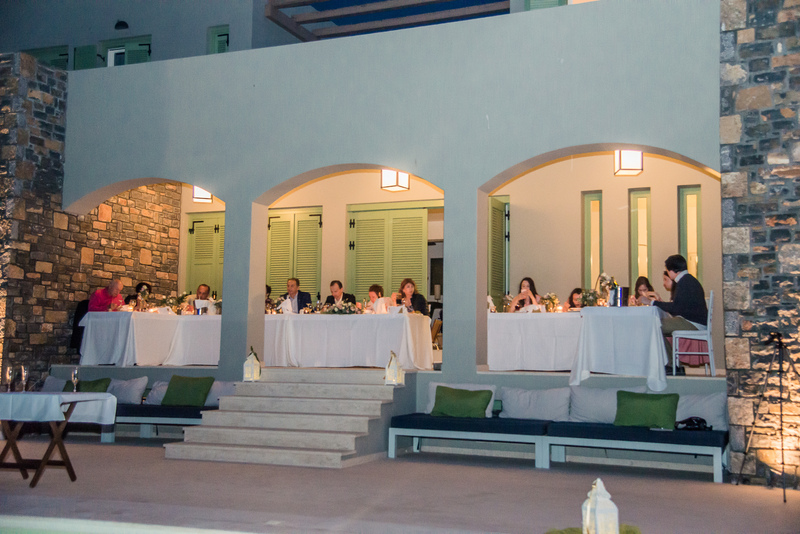 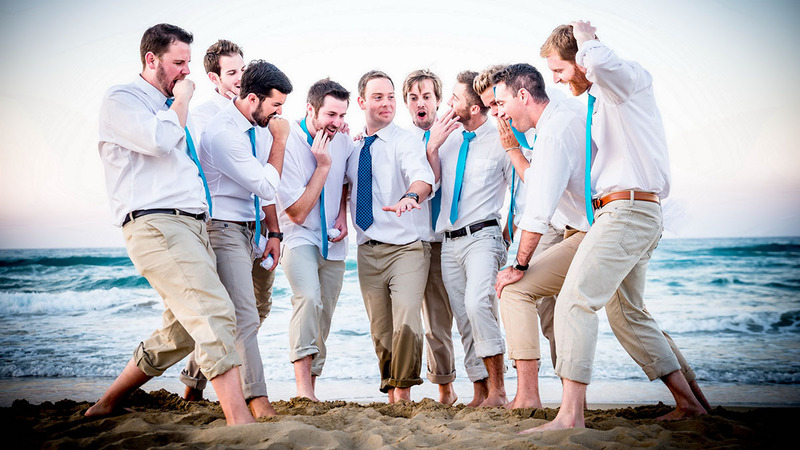 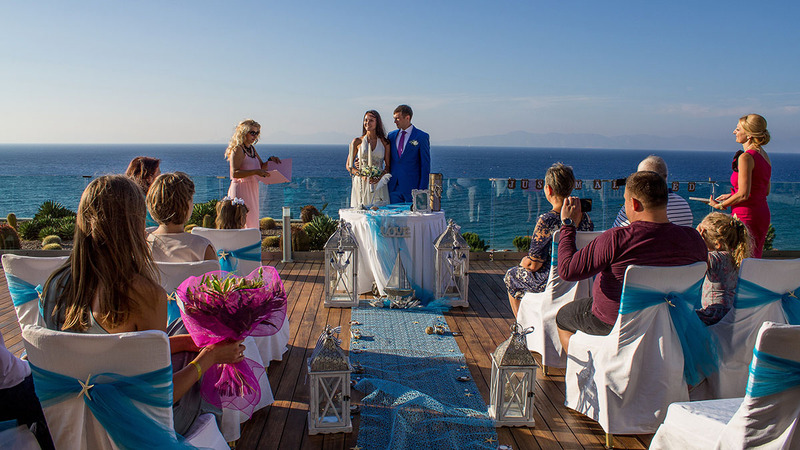 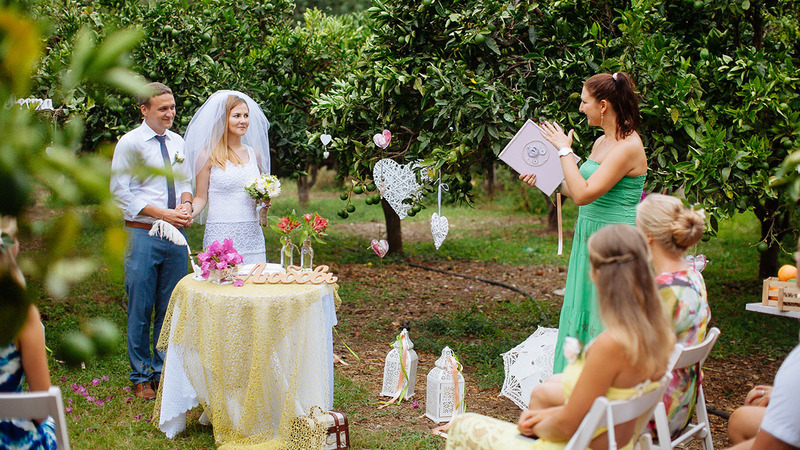 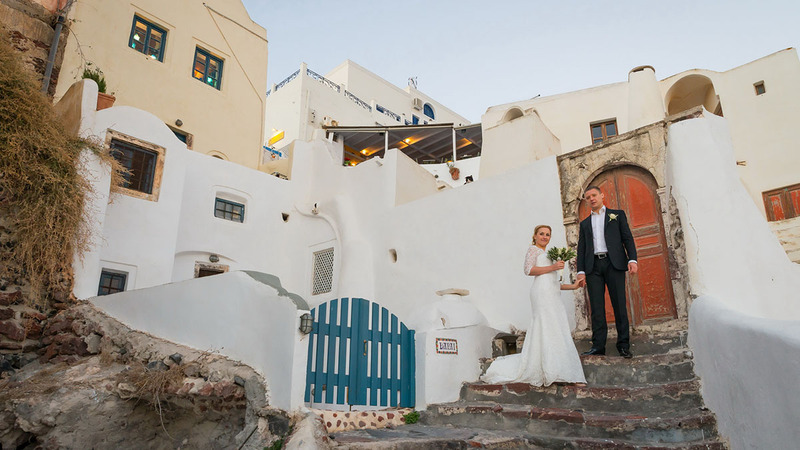 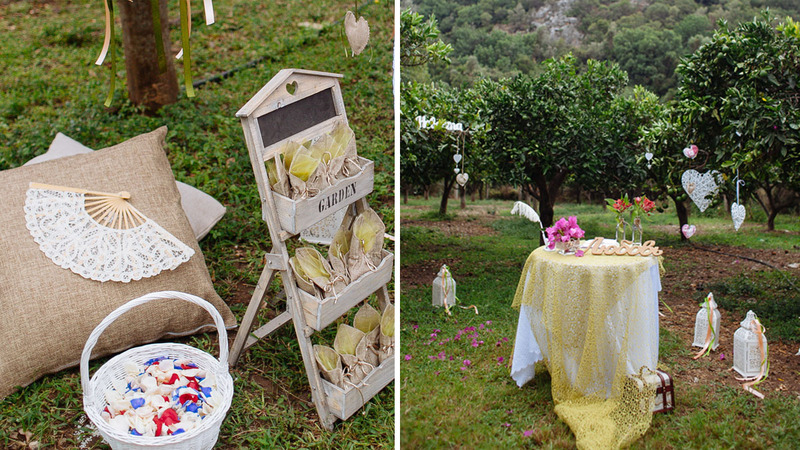 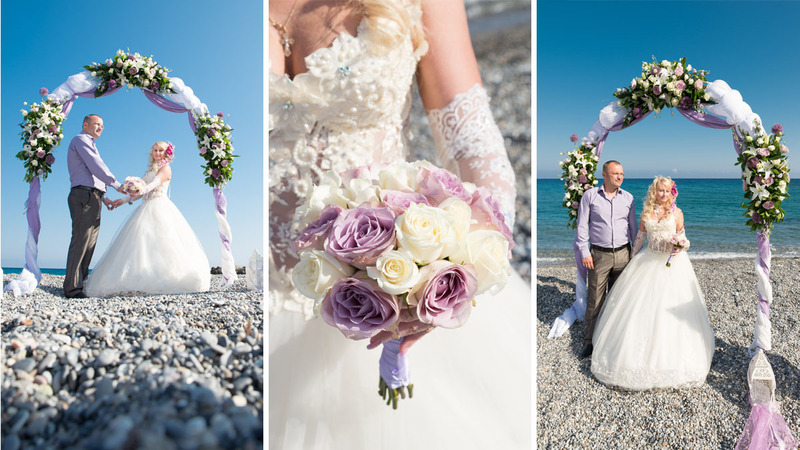 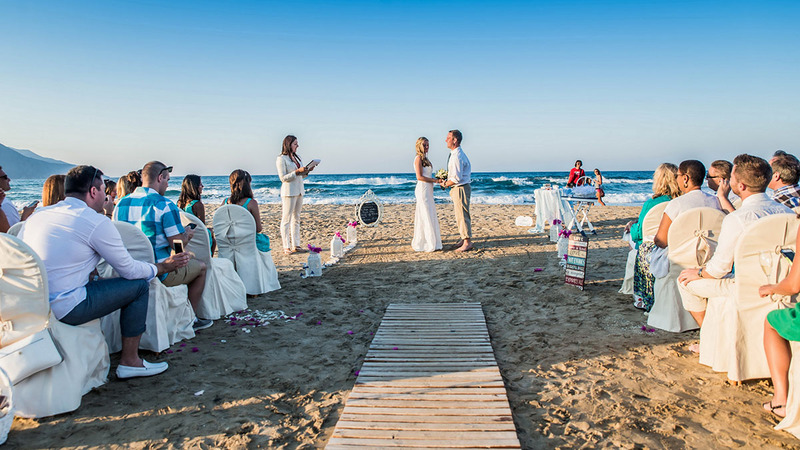 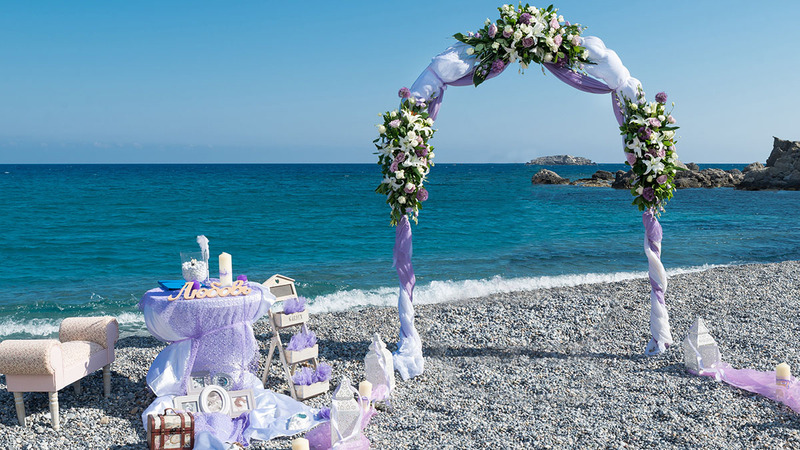 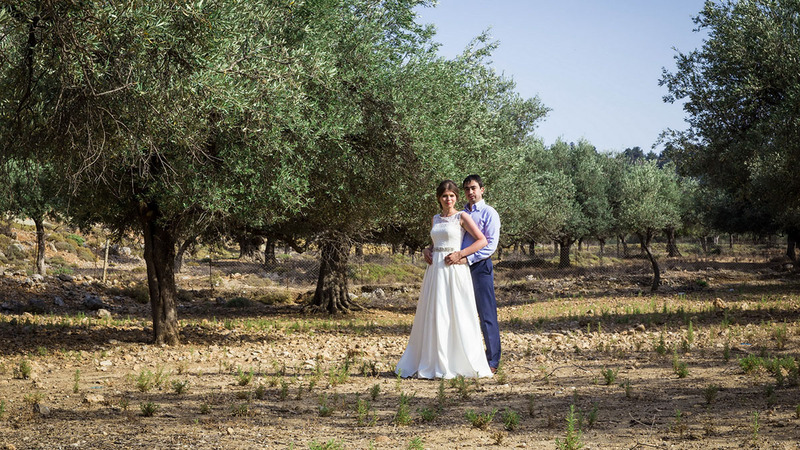 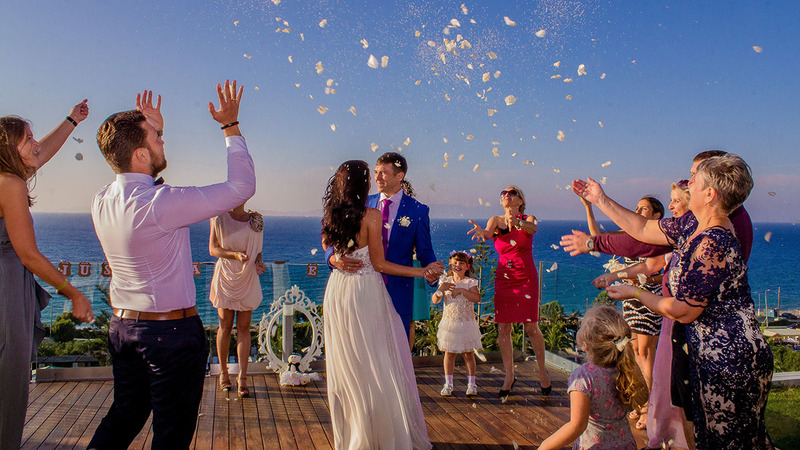 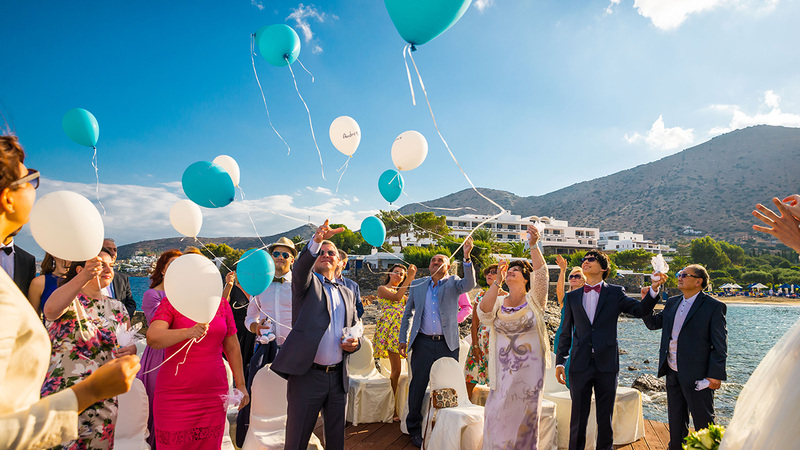 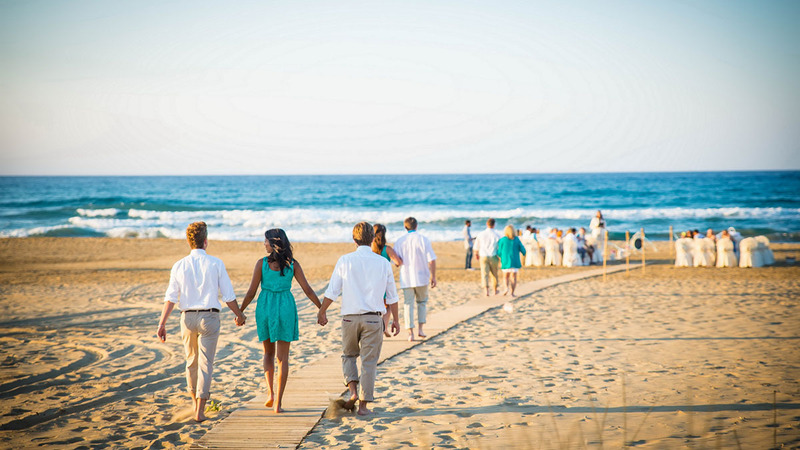 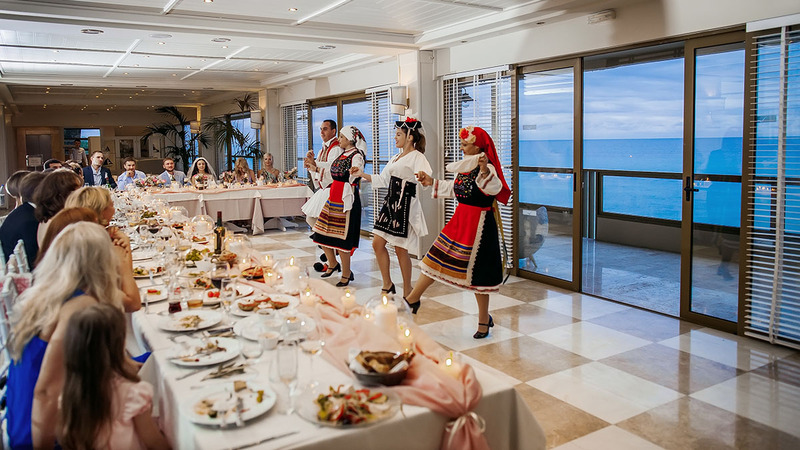 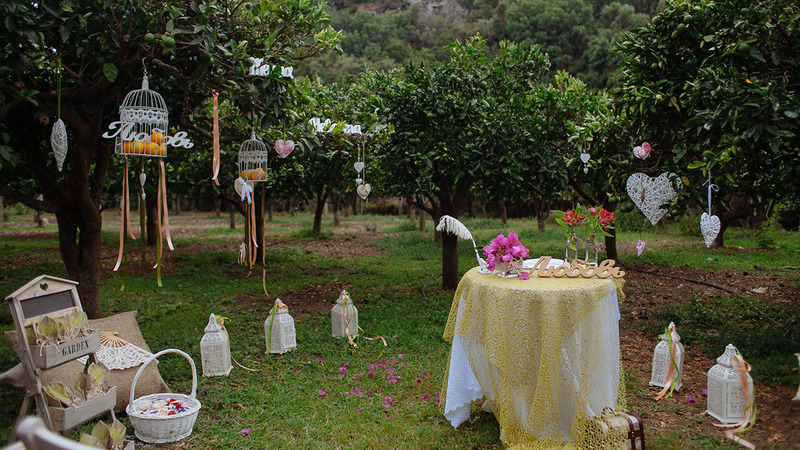 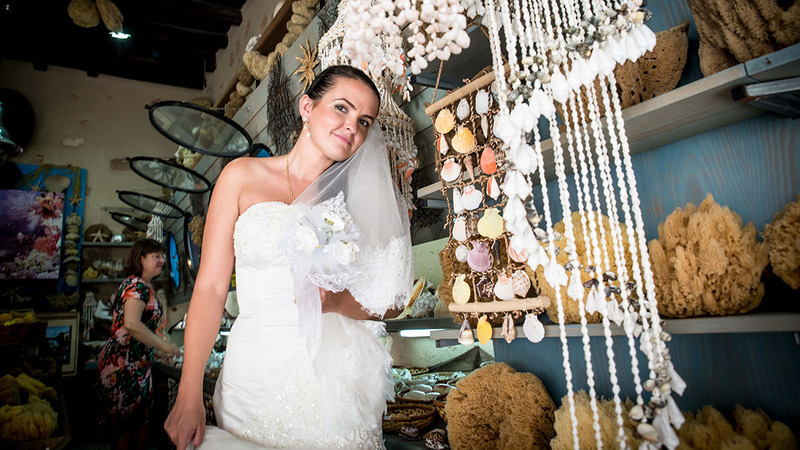 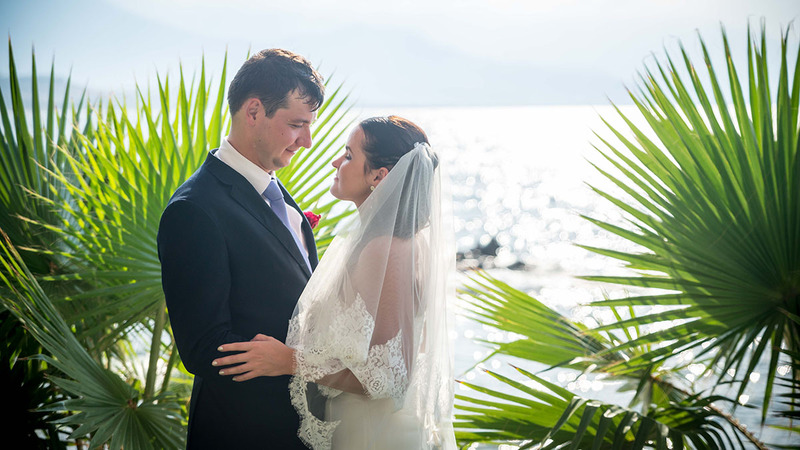 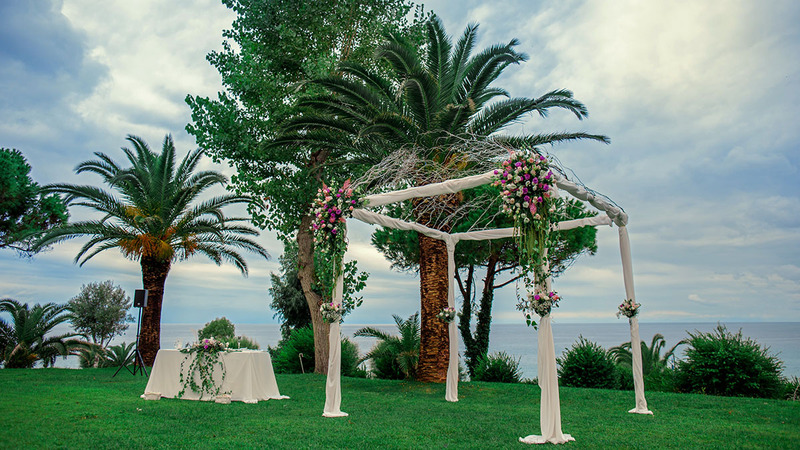 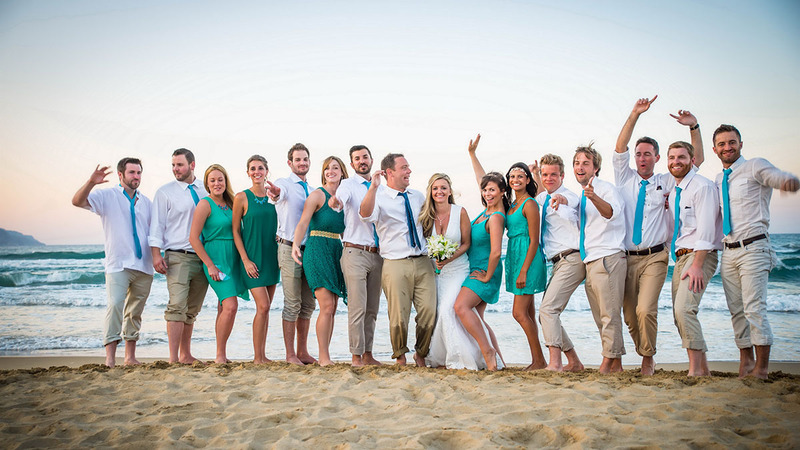 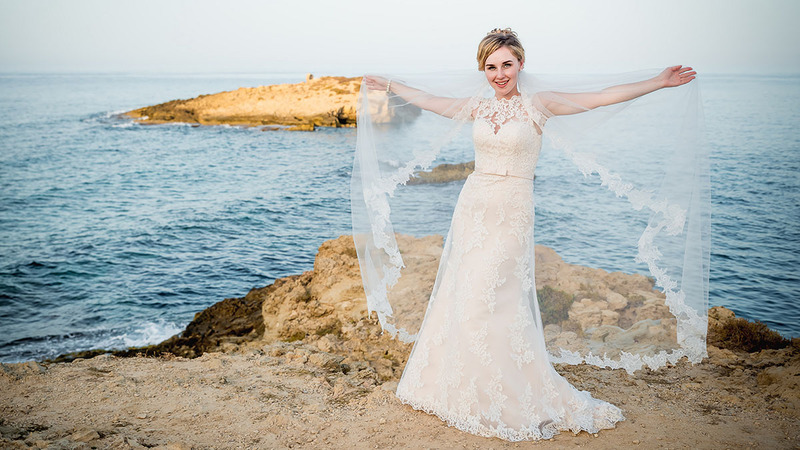 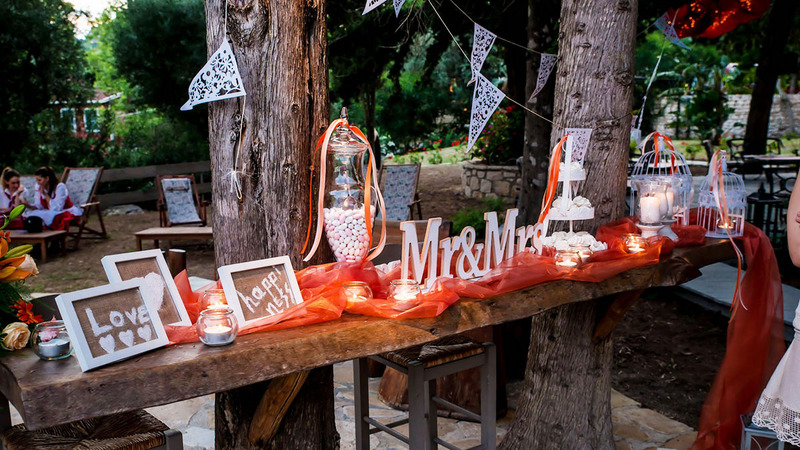 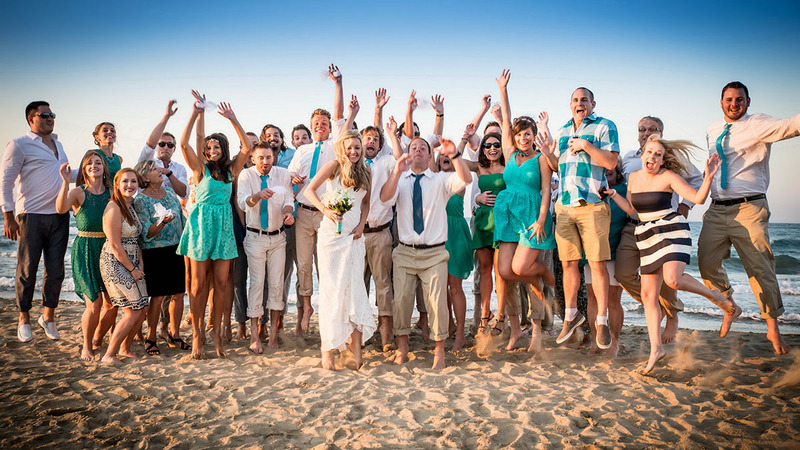 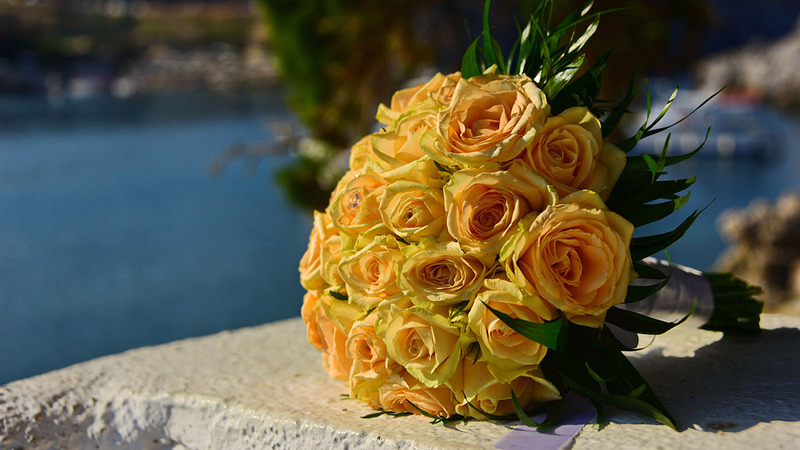 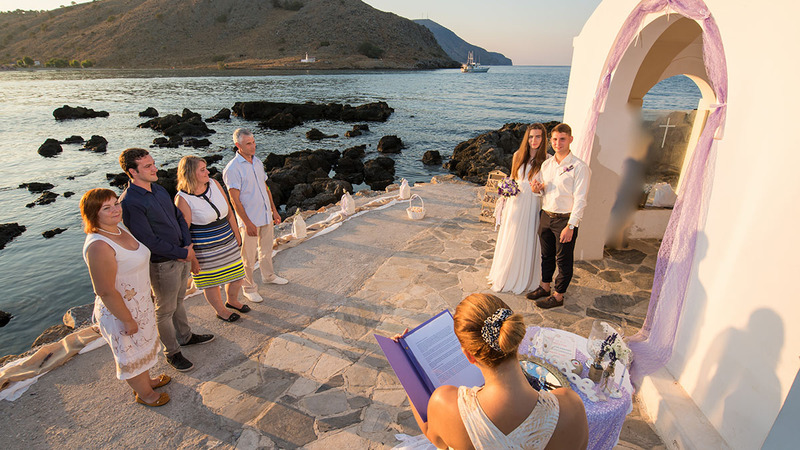 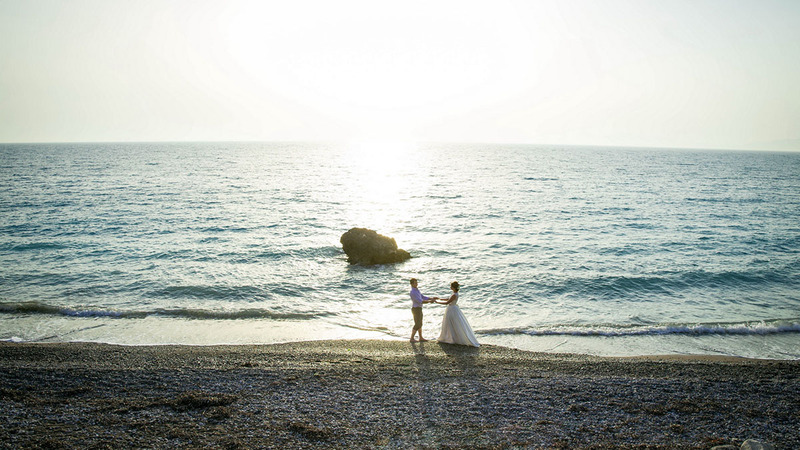 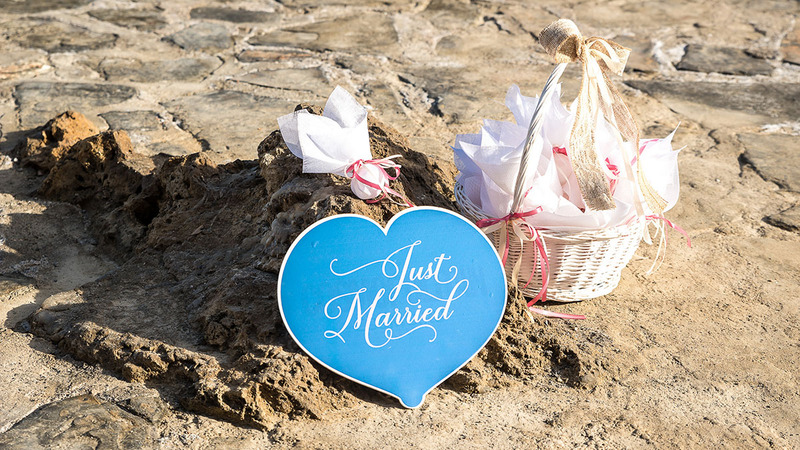 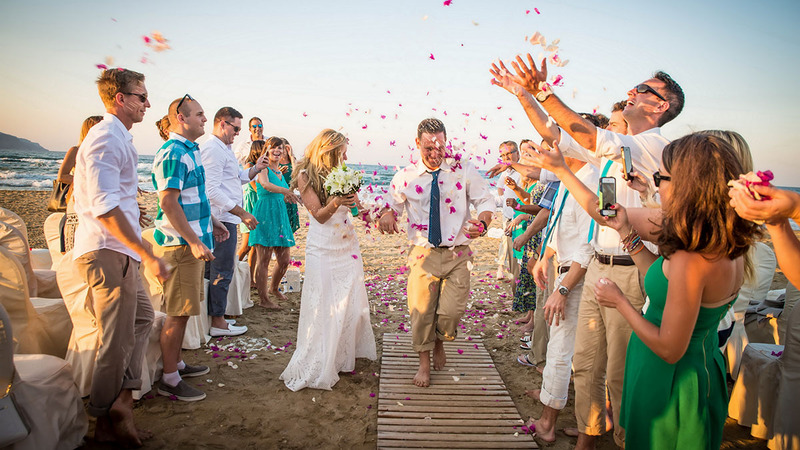 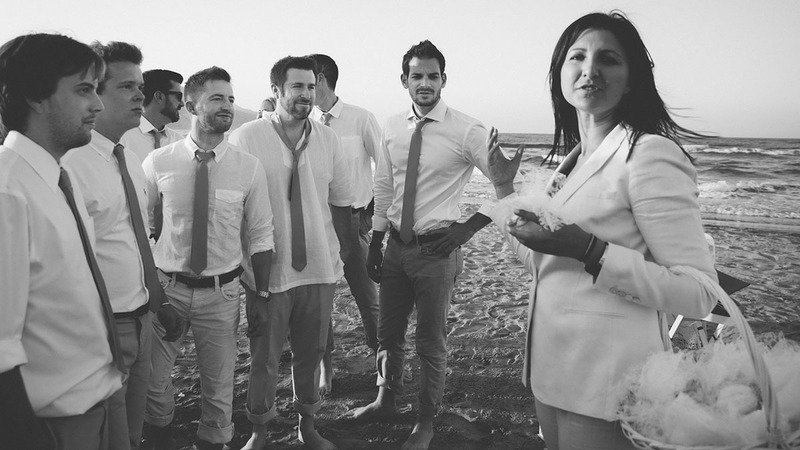 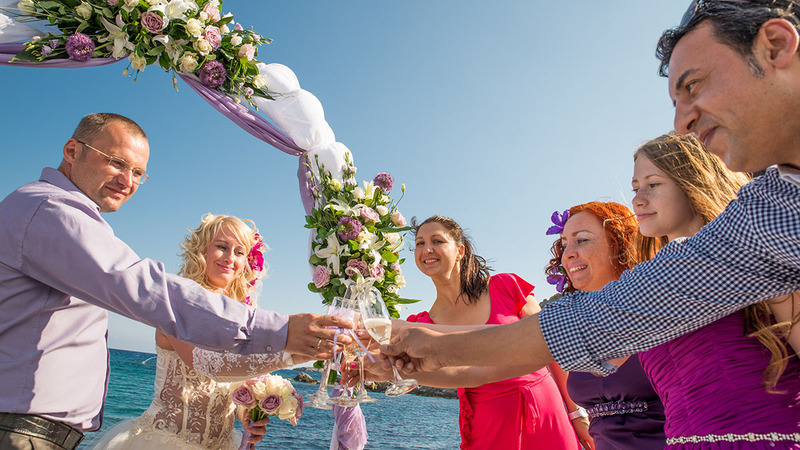 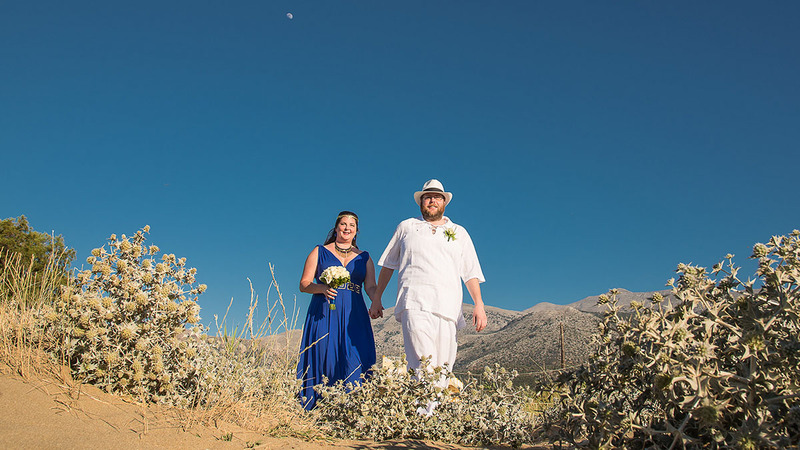 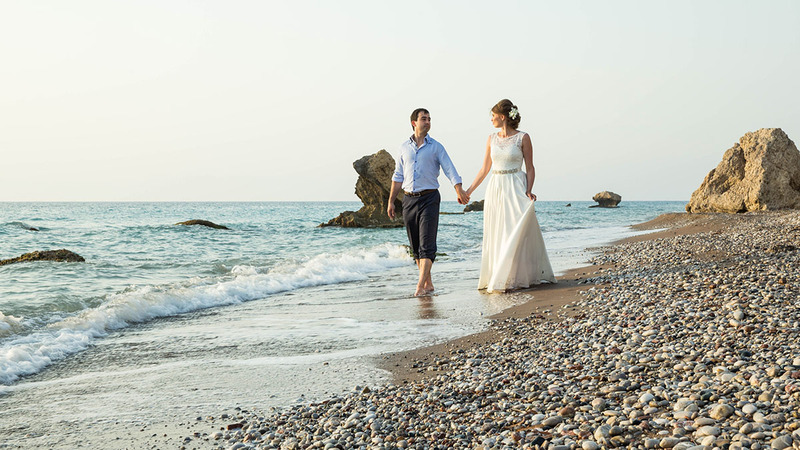 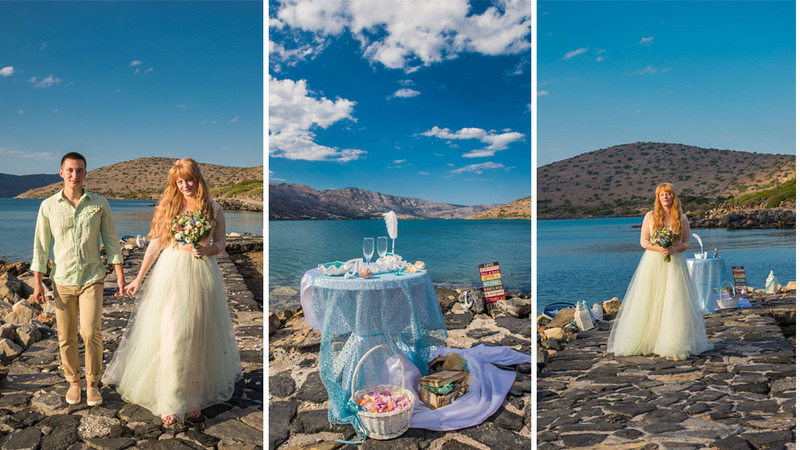 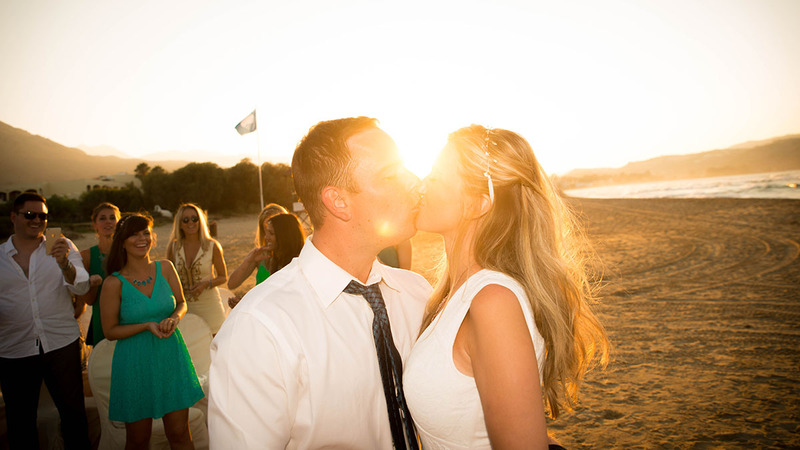 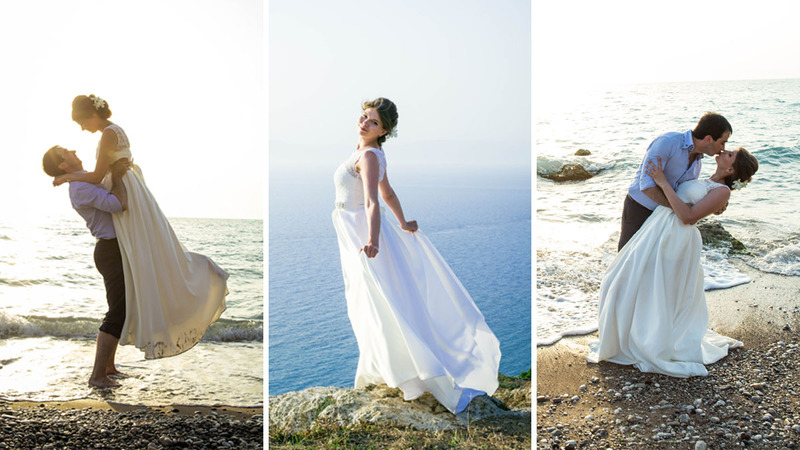 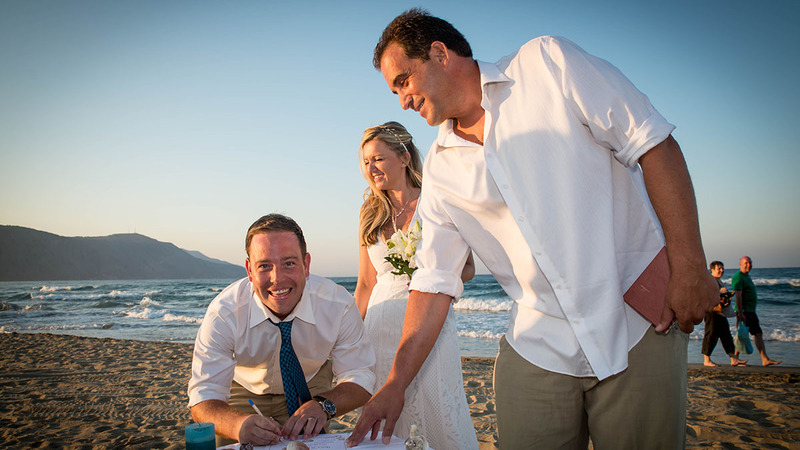 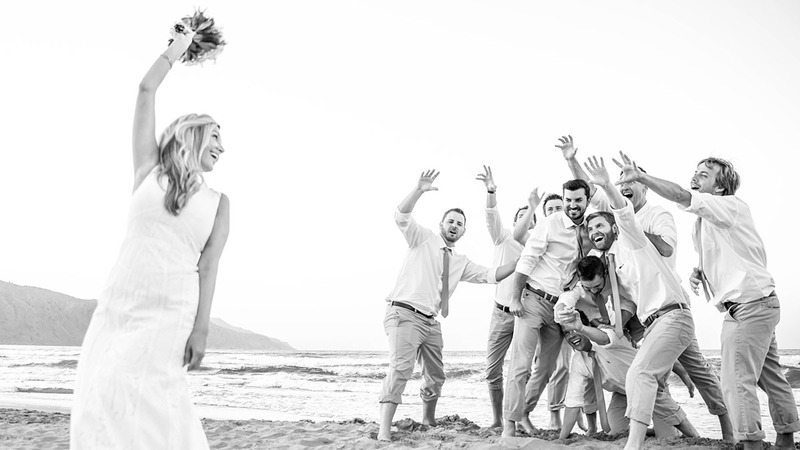 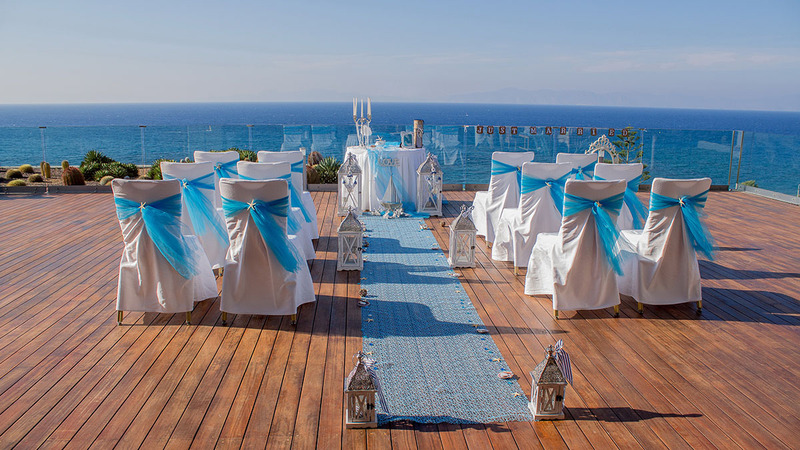 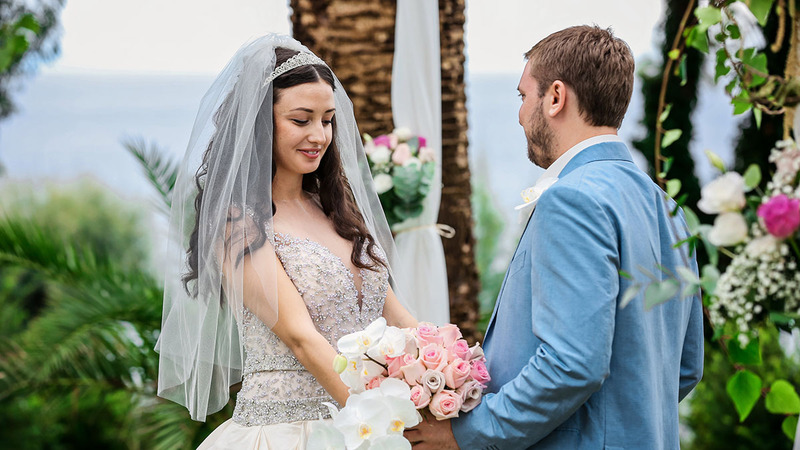 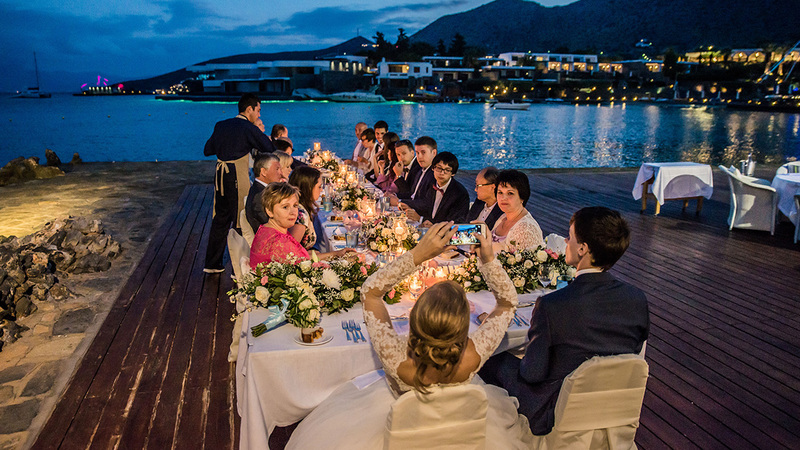 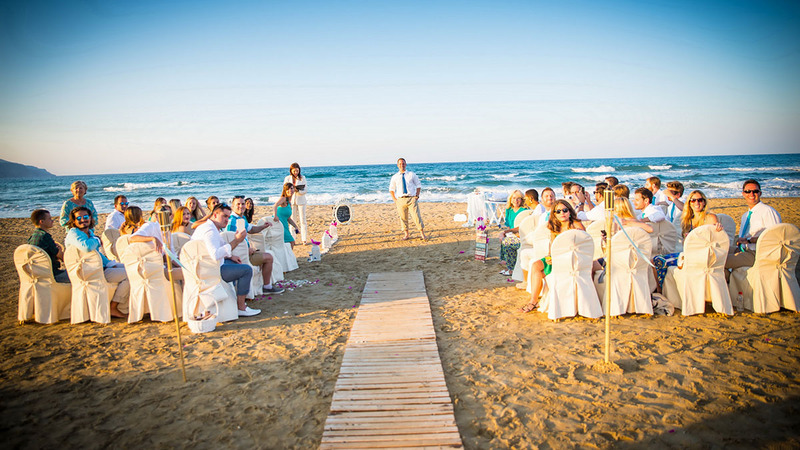 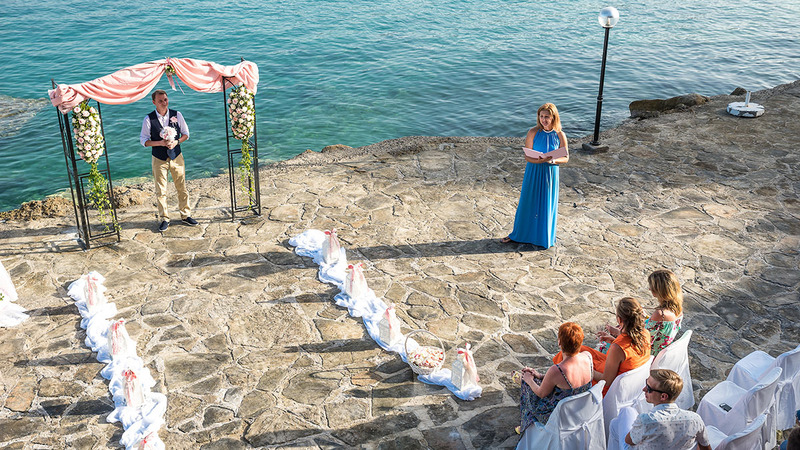 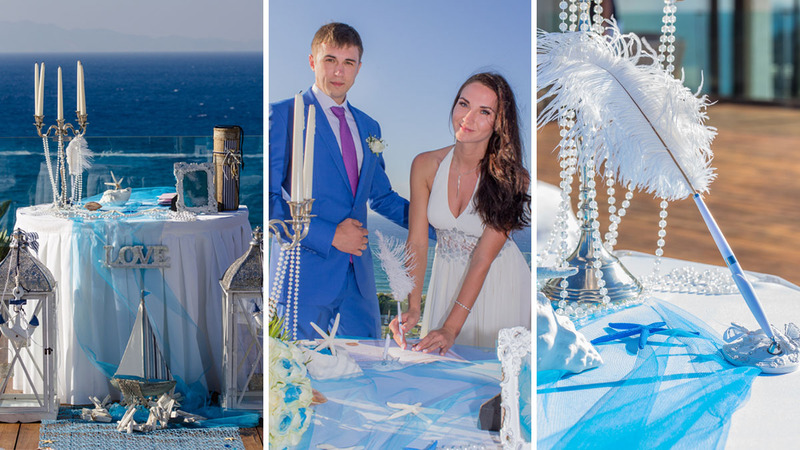 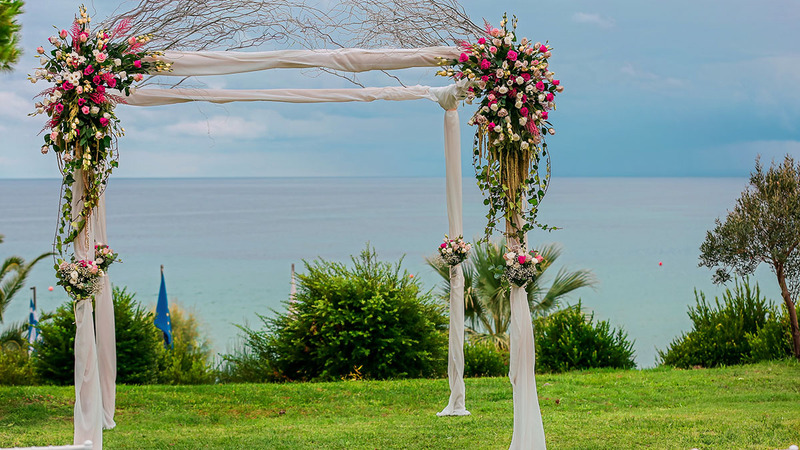 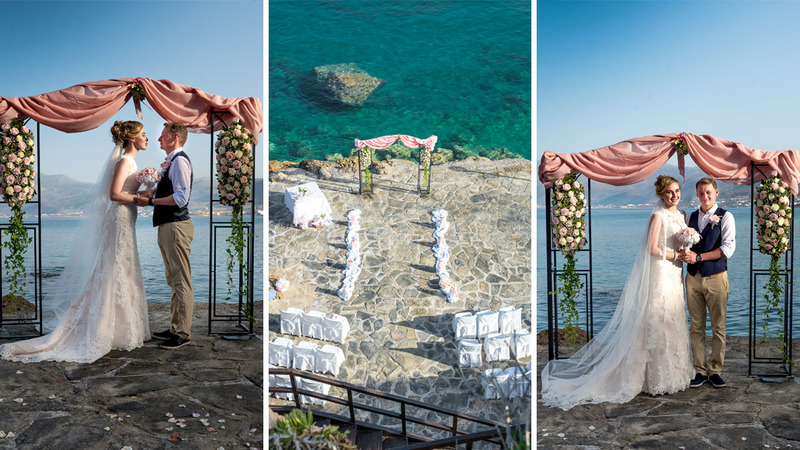 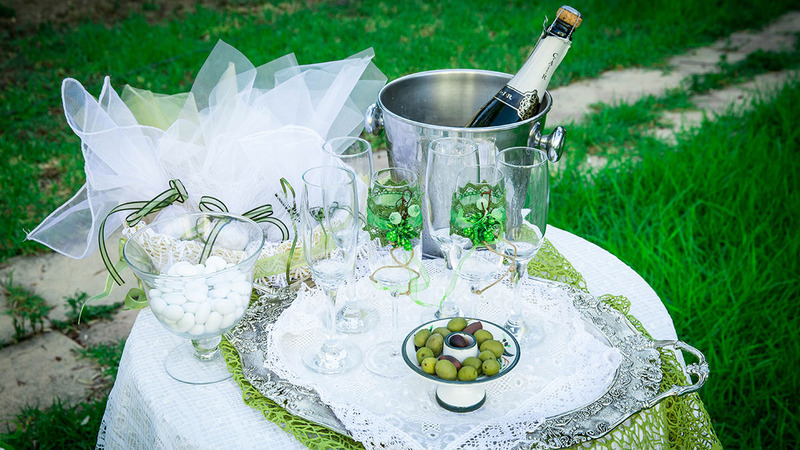 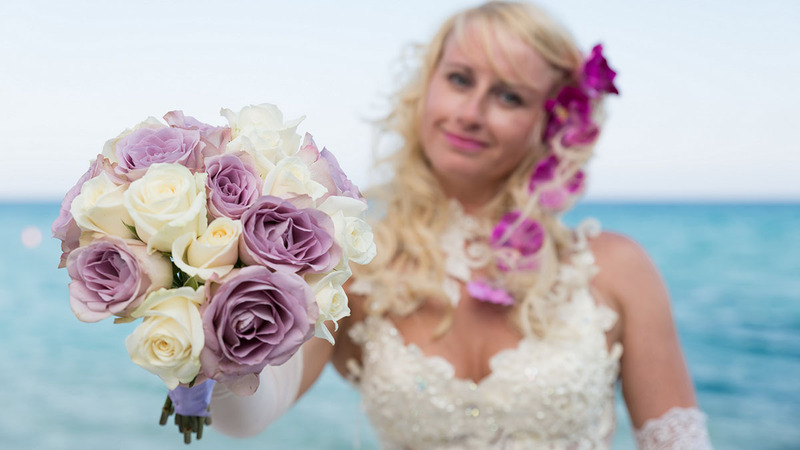 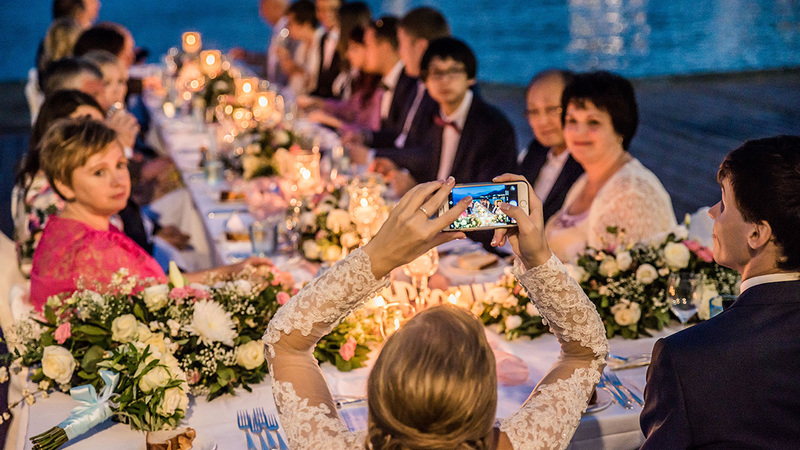 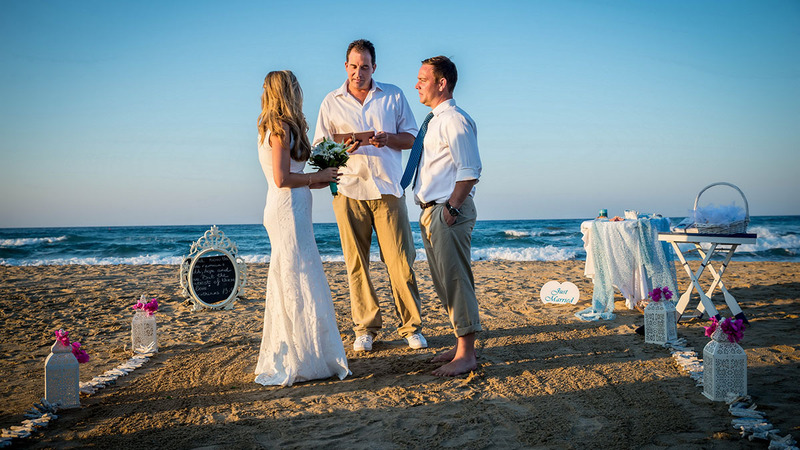 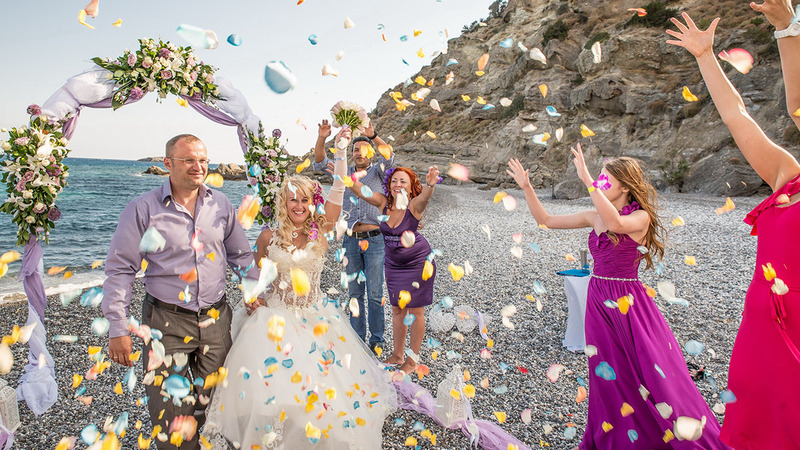 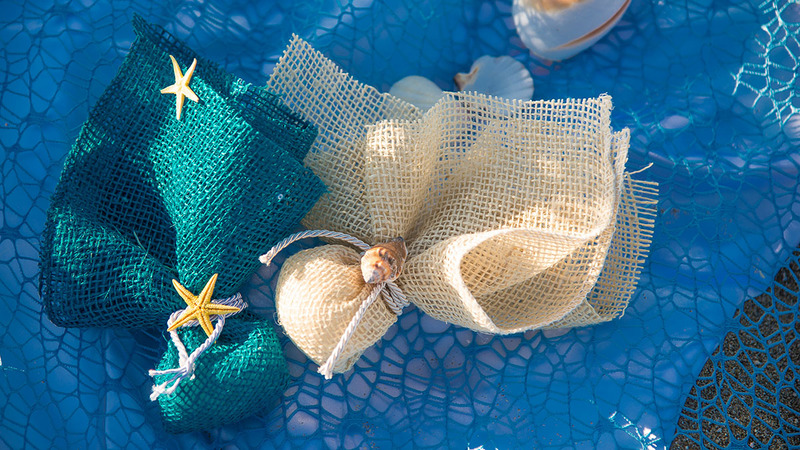 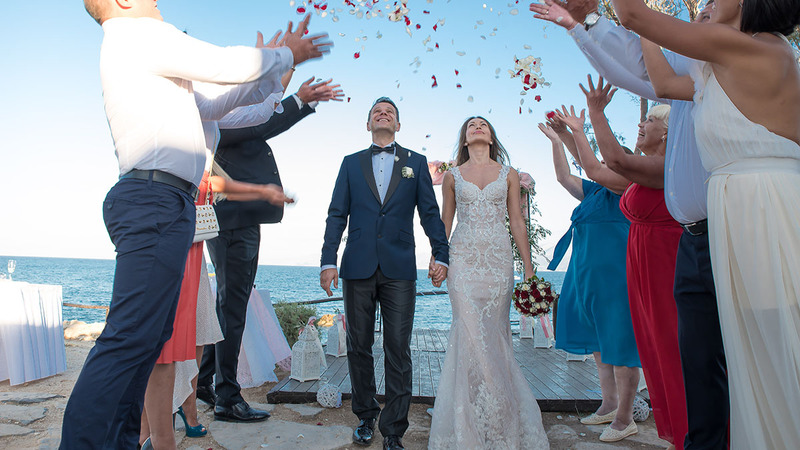 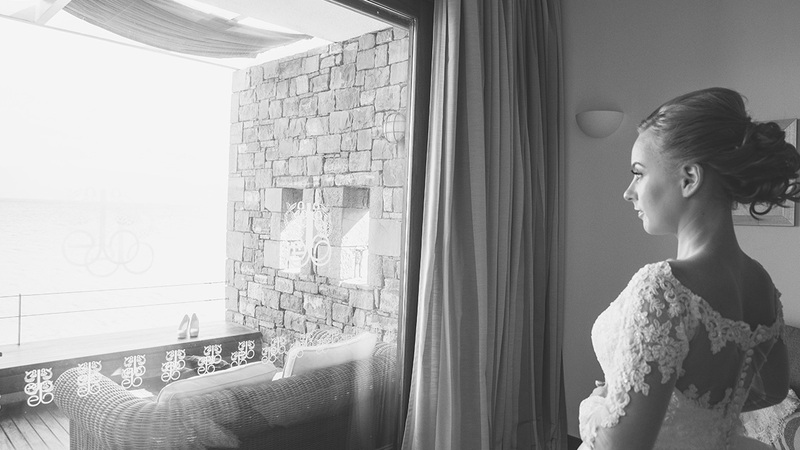 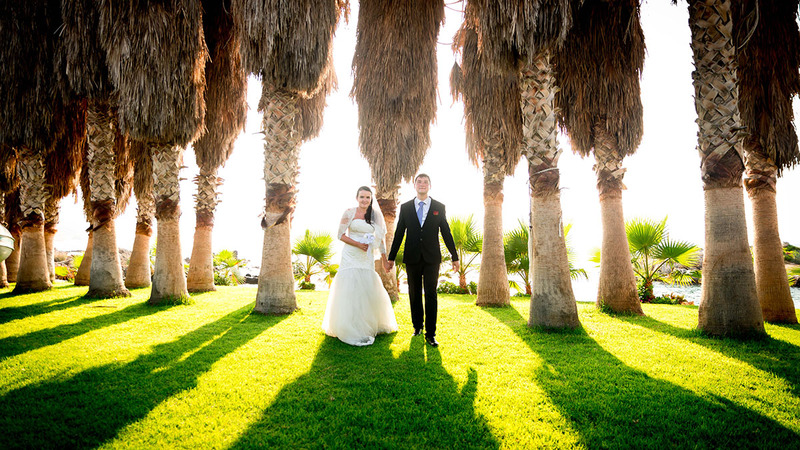 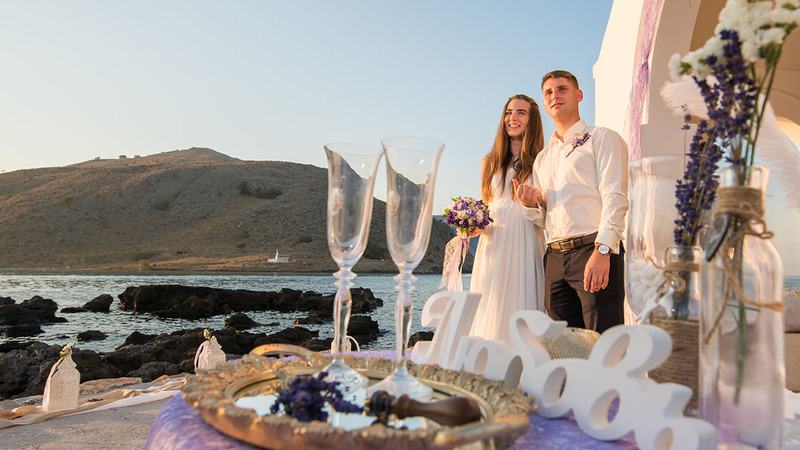 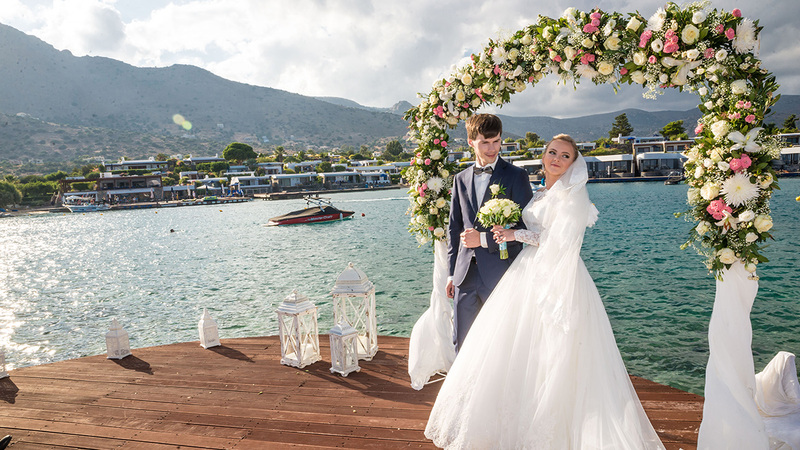 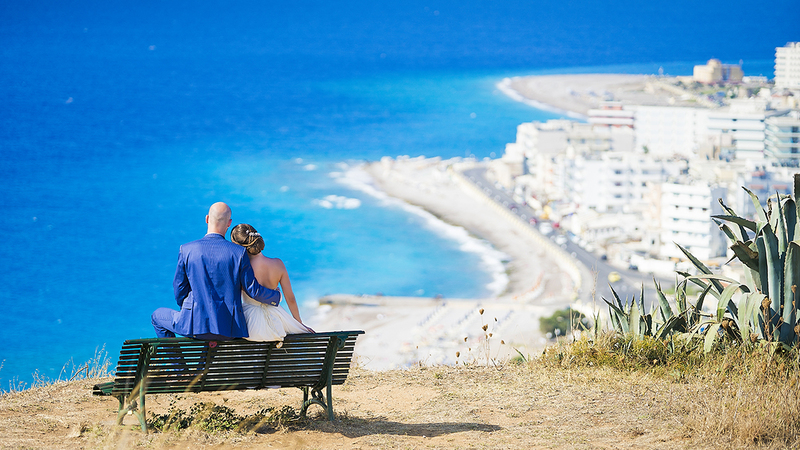 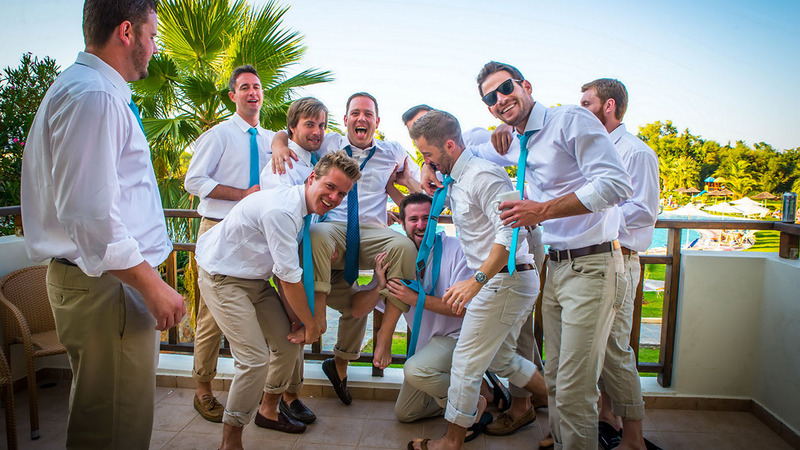 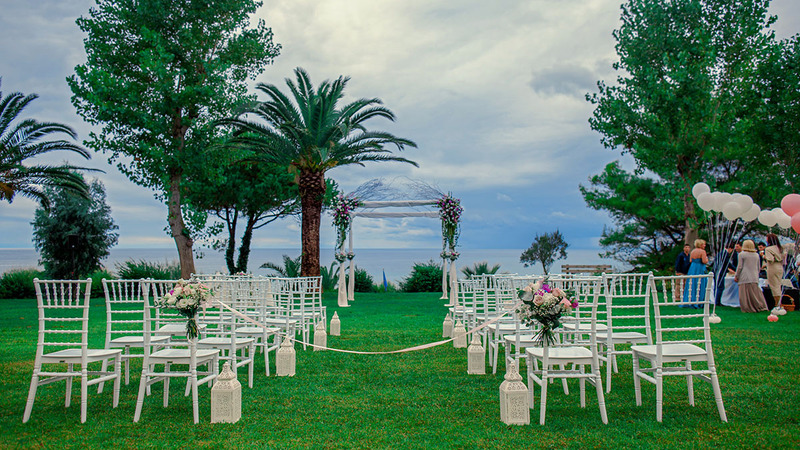 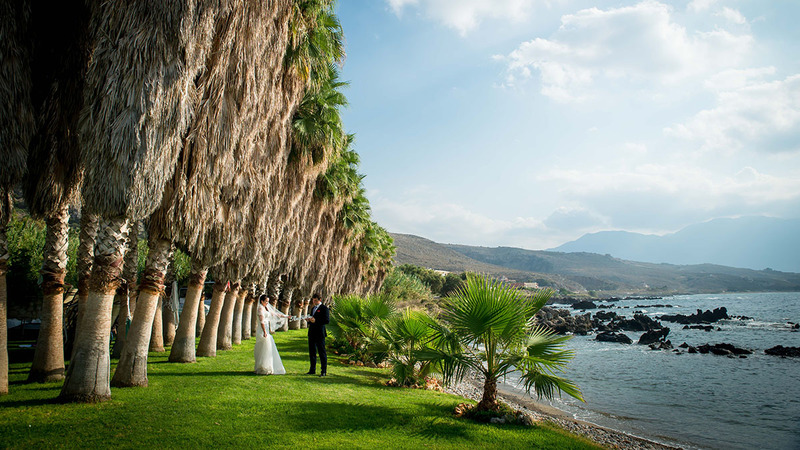 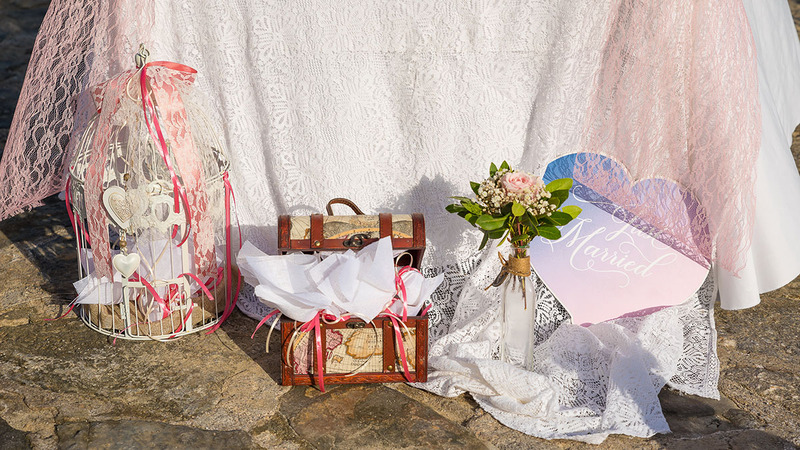 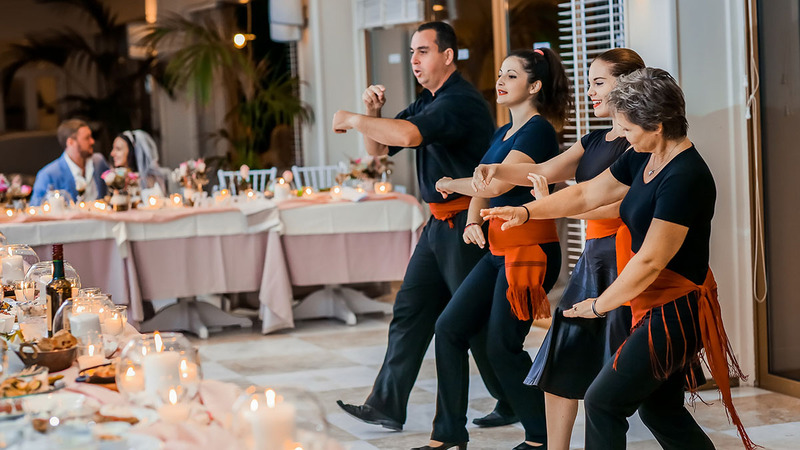 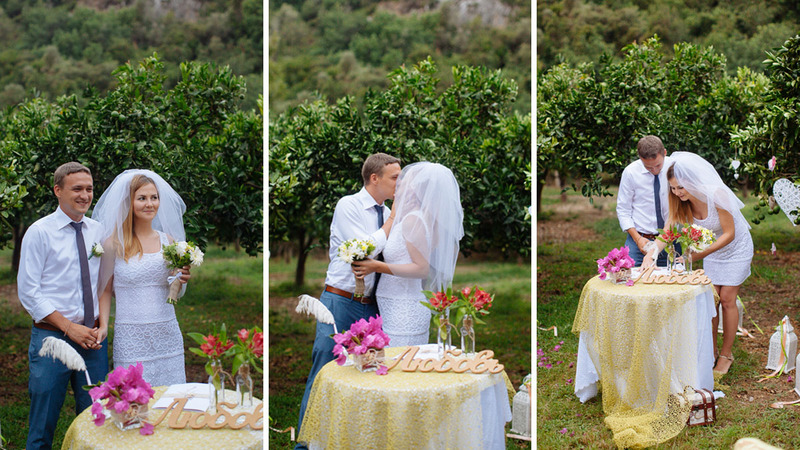 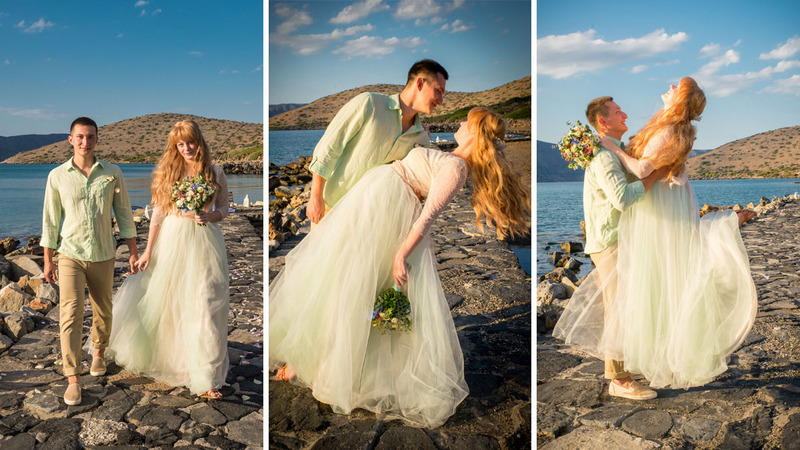 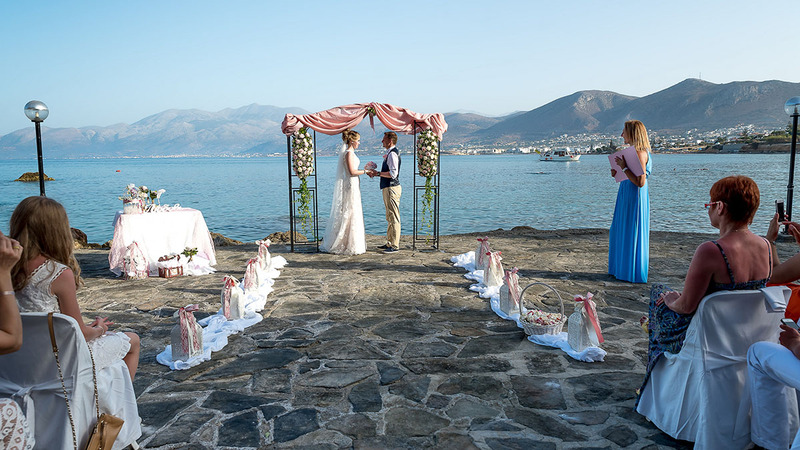 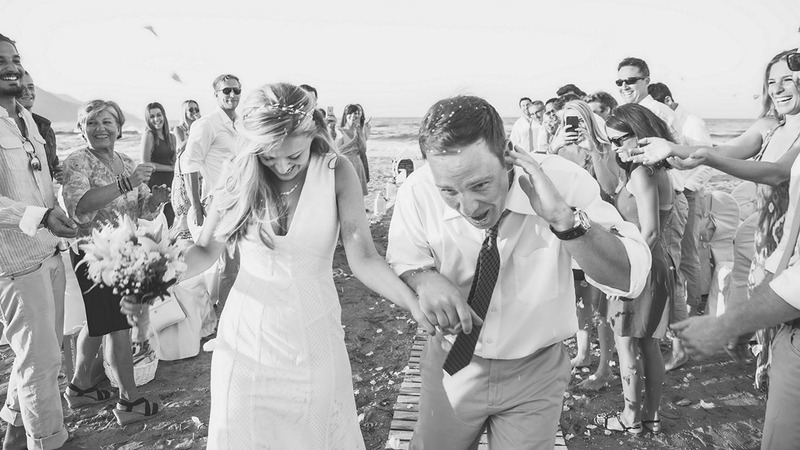 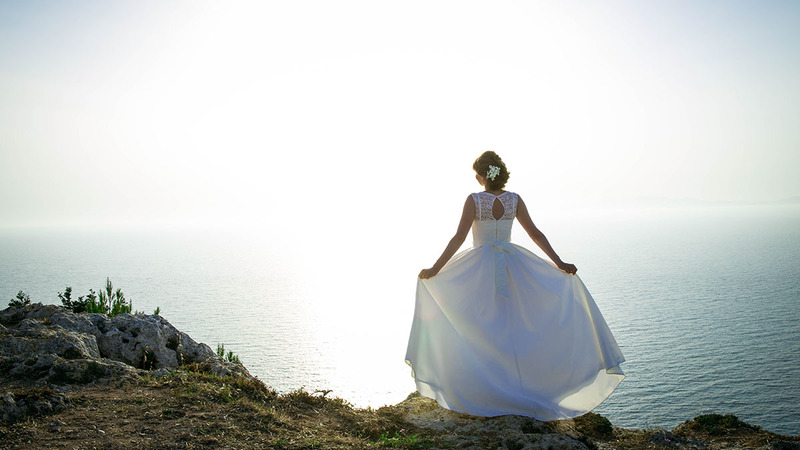 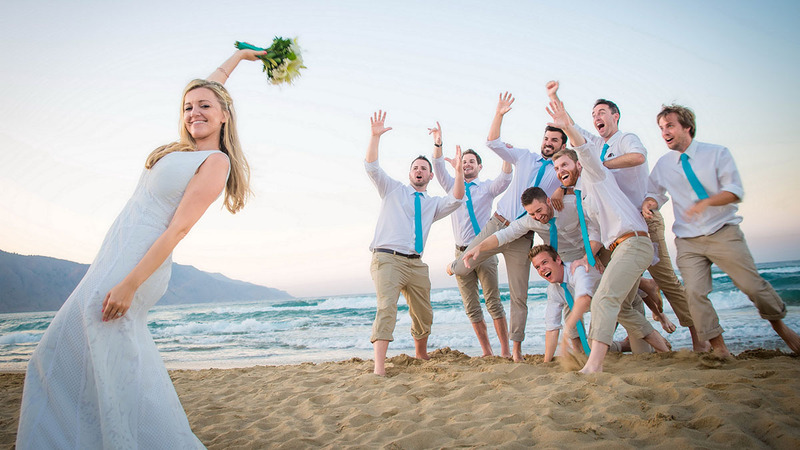 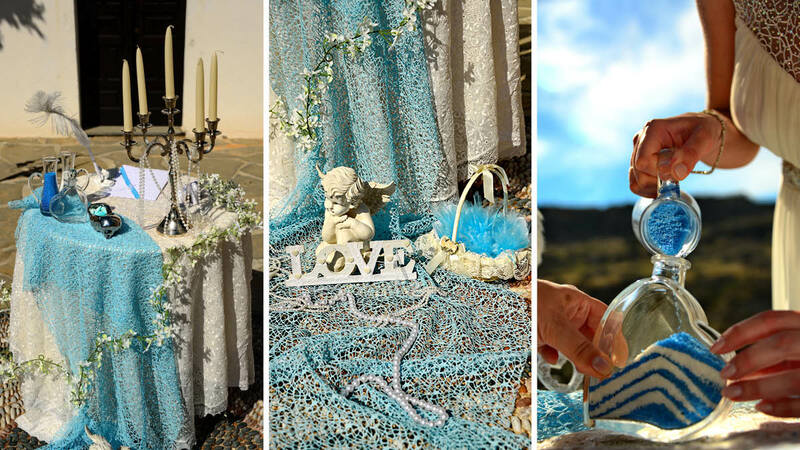 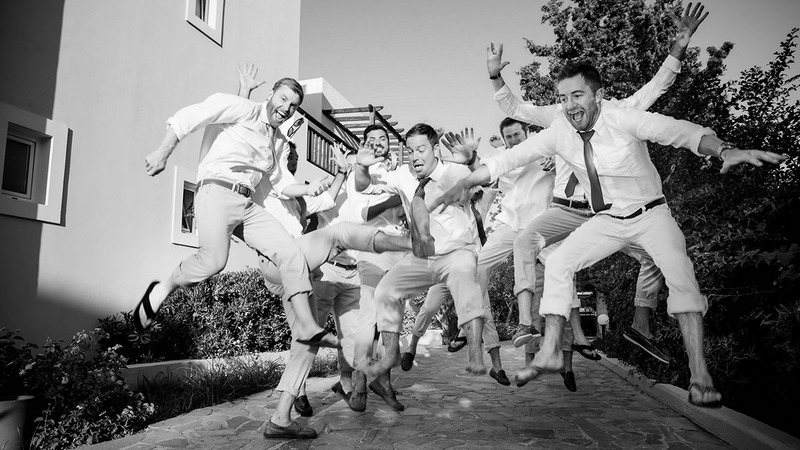 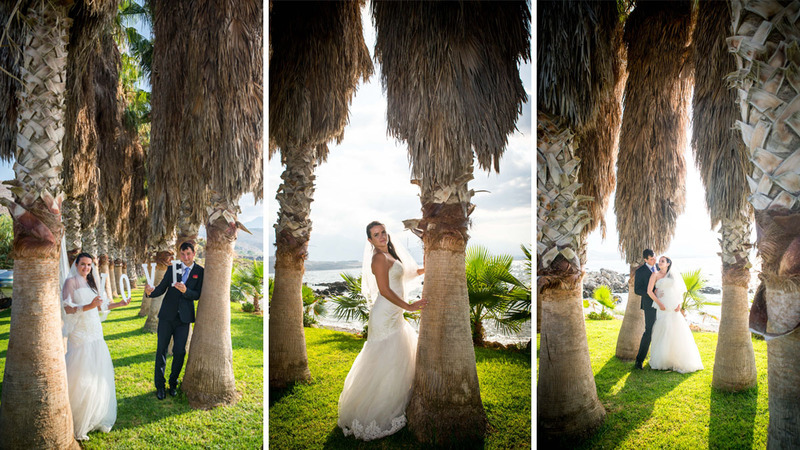 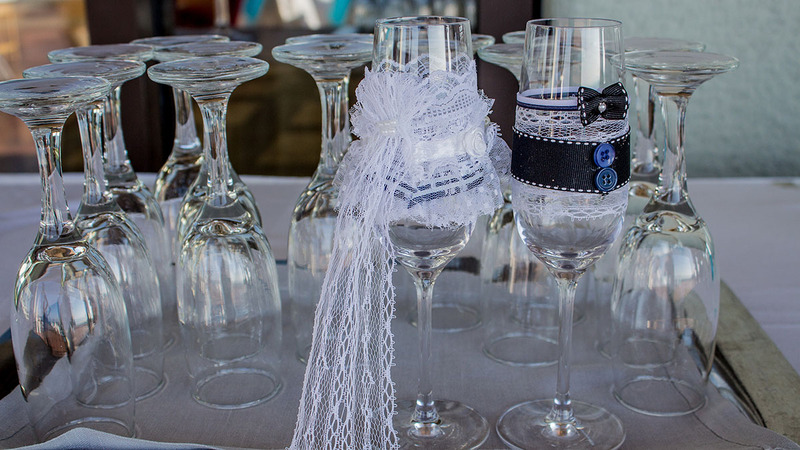 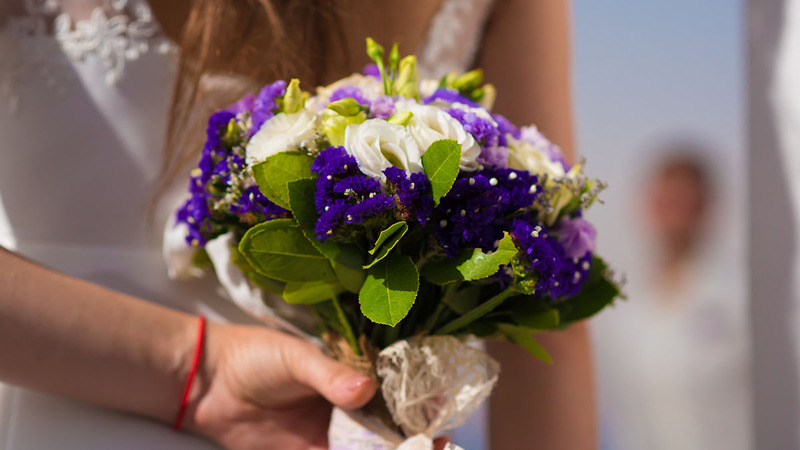 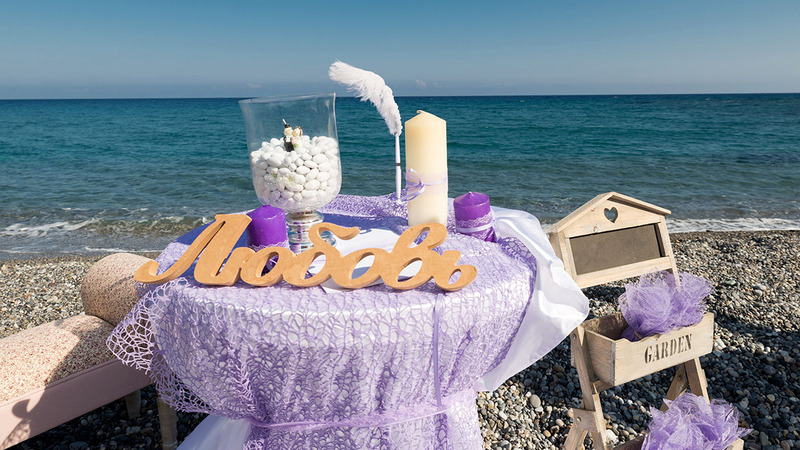 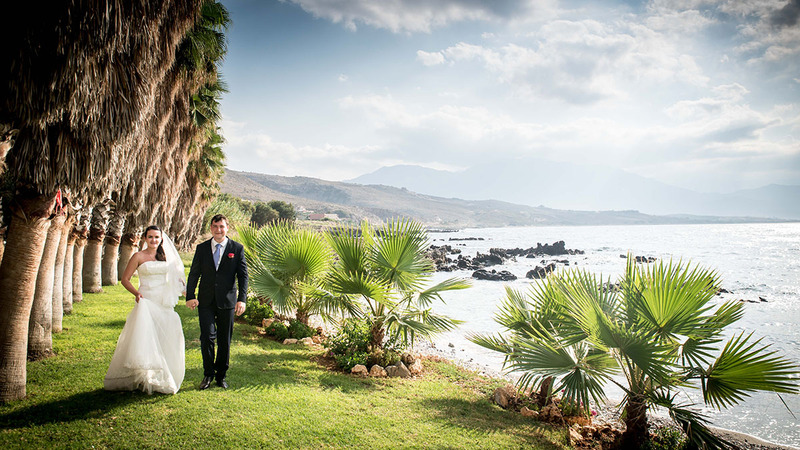 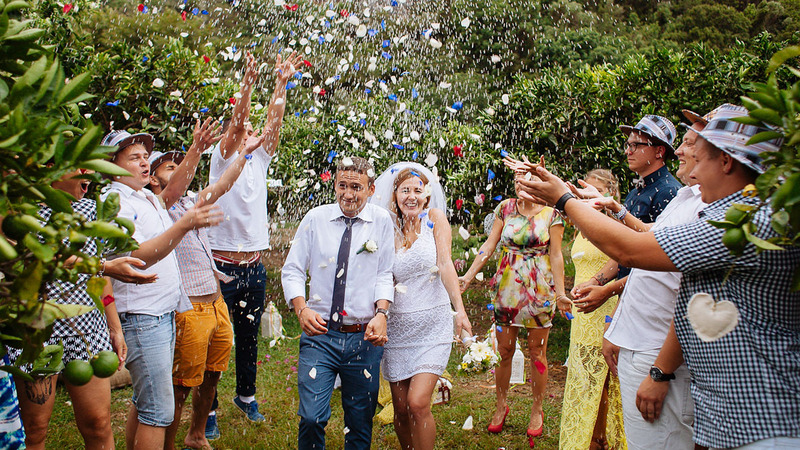 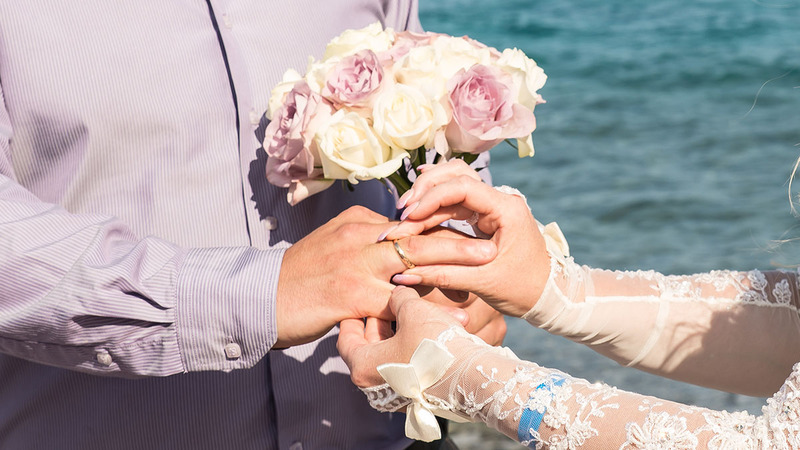 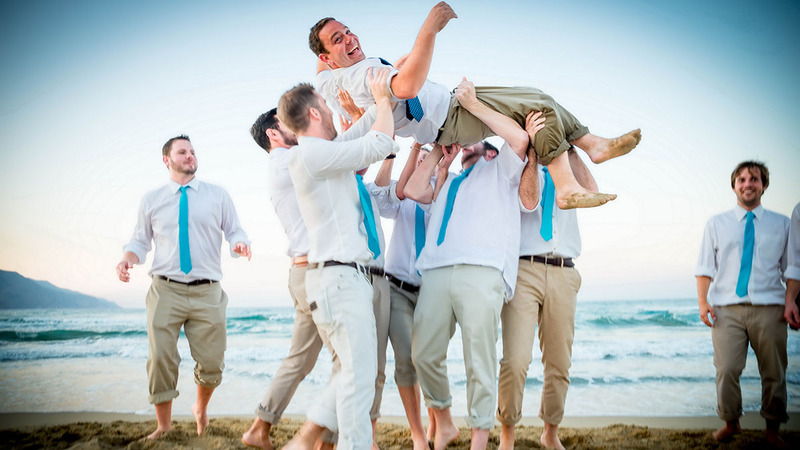 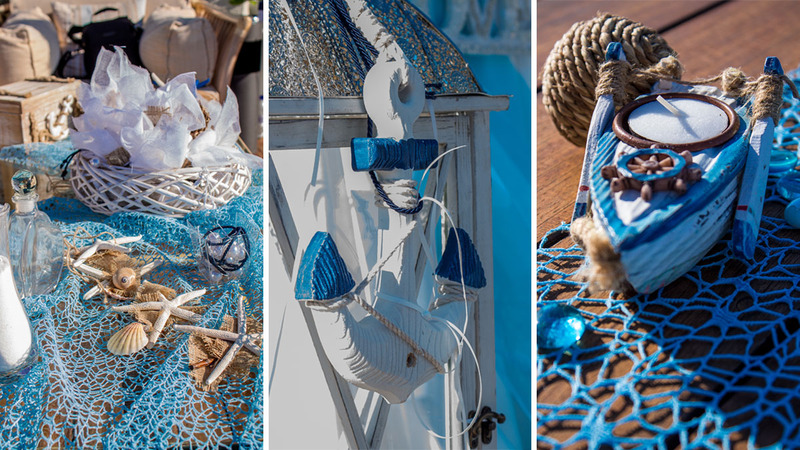 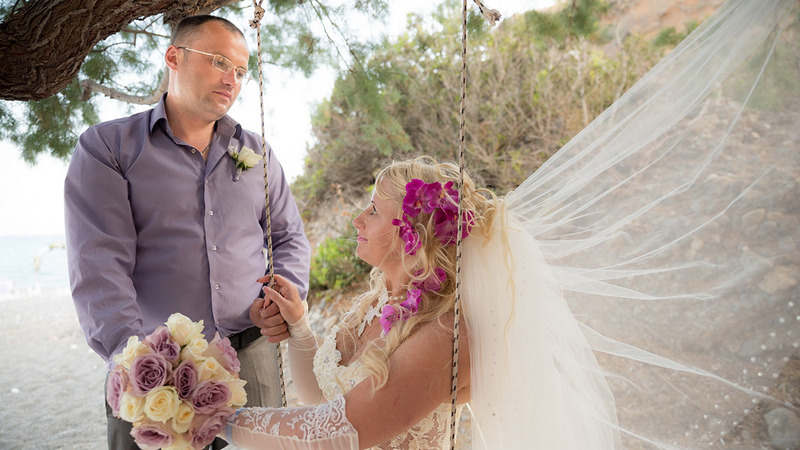 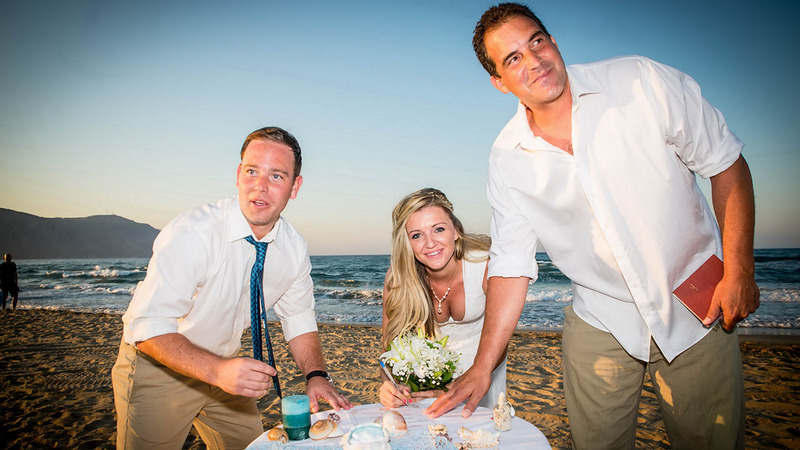 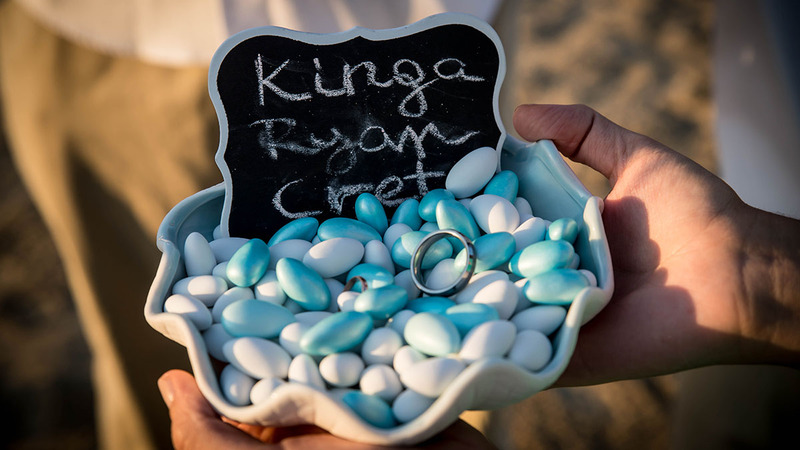 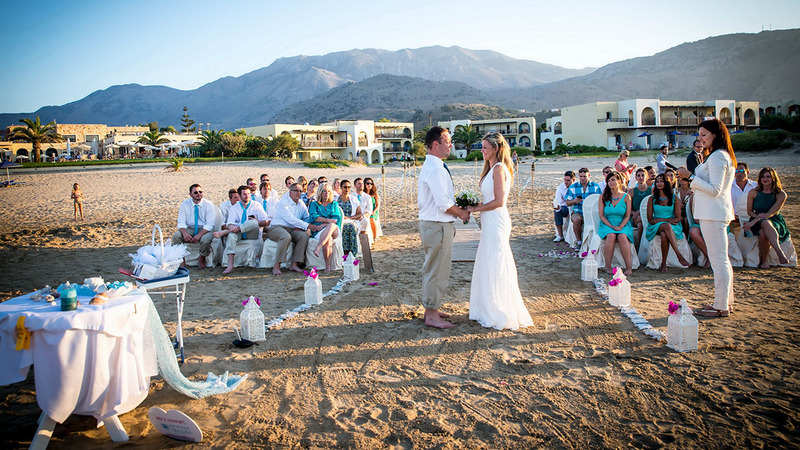 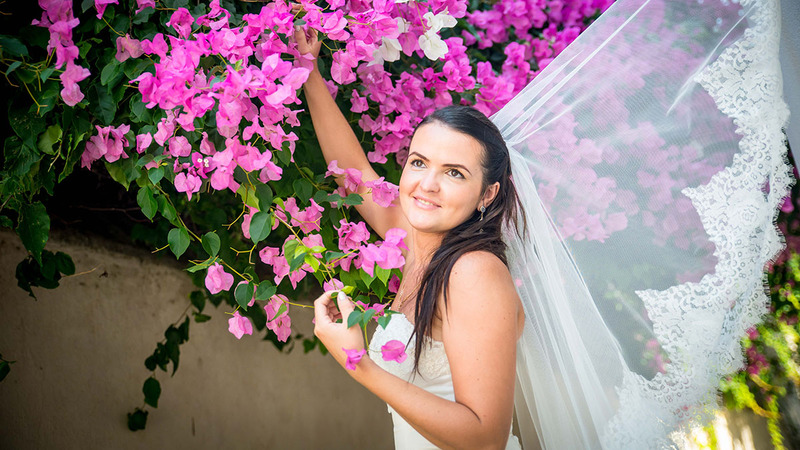 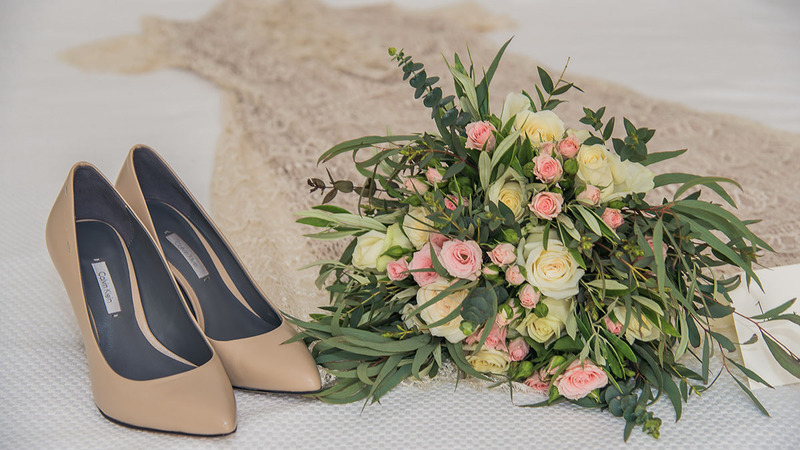 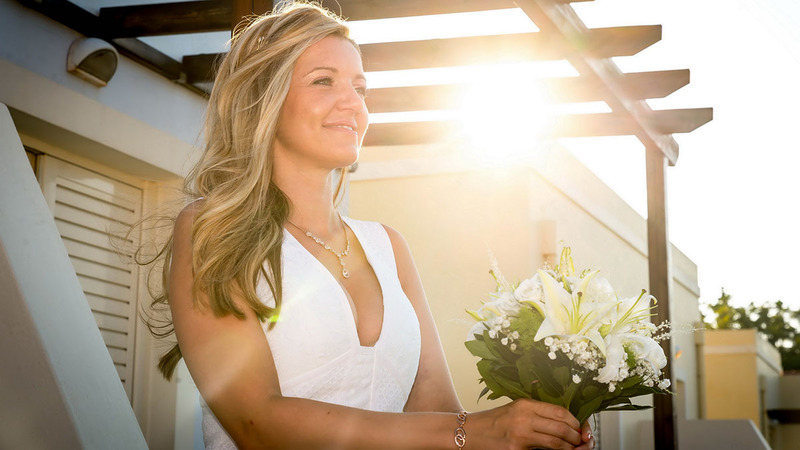 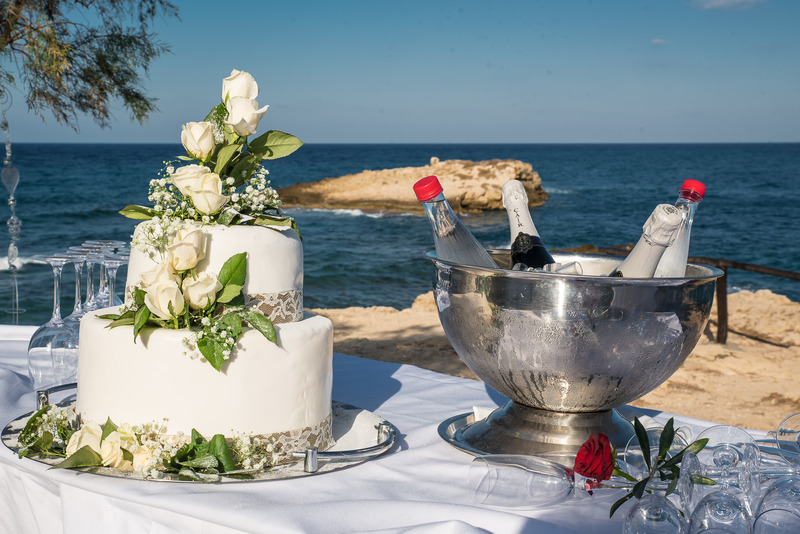 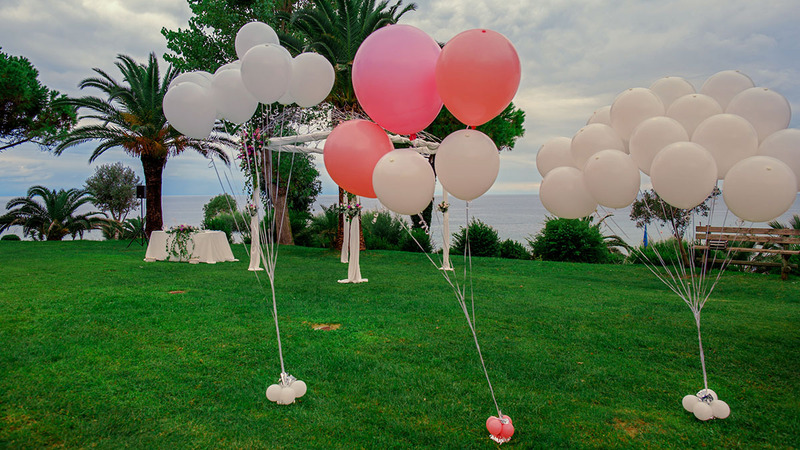 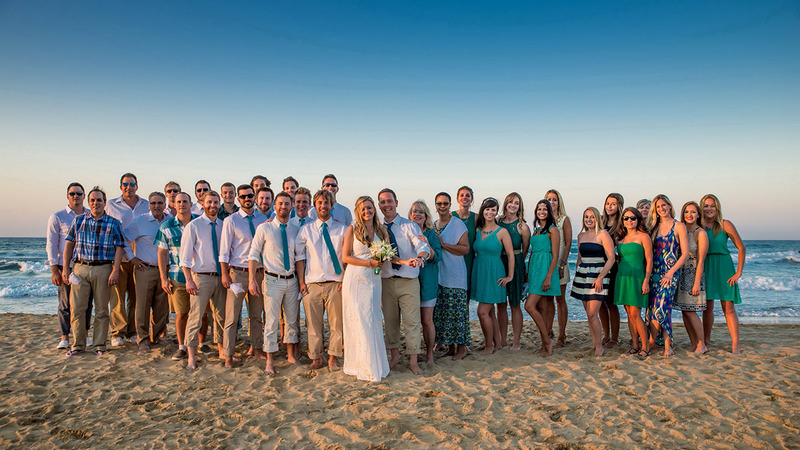 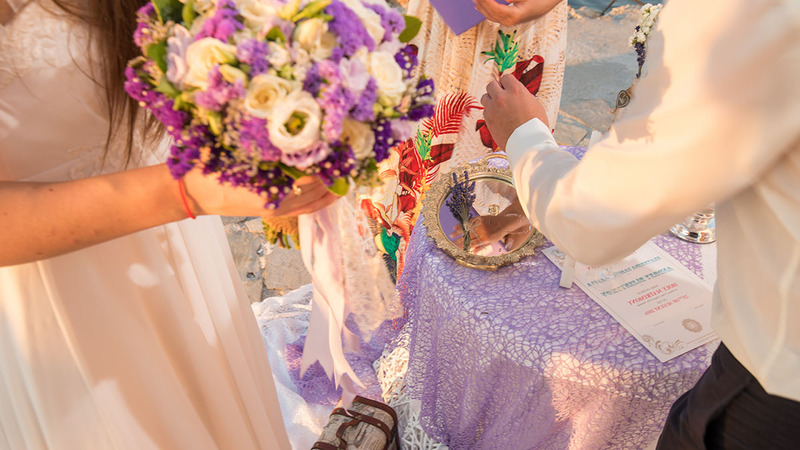 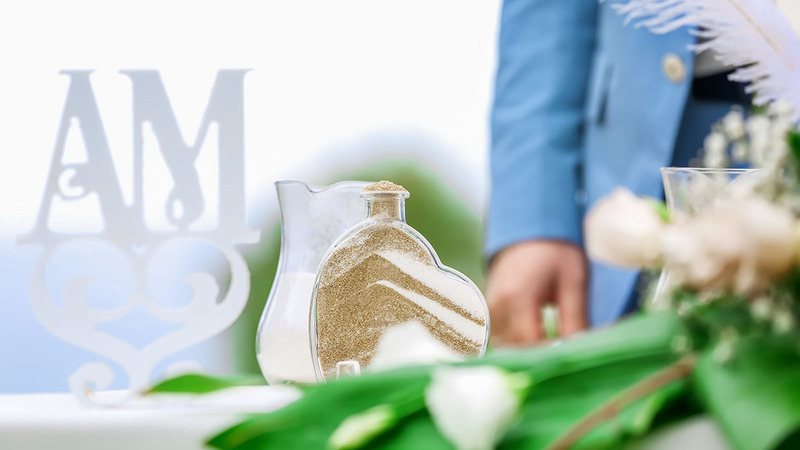 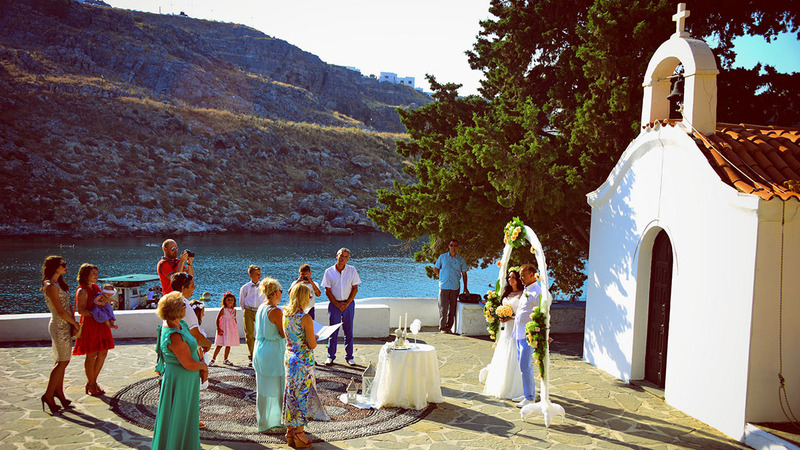 Wedding in Greece can choose something special just for you, and ensure that the location is transformed into your own small corner of paradise. 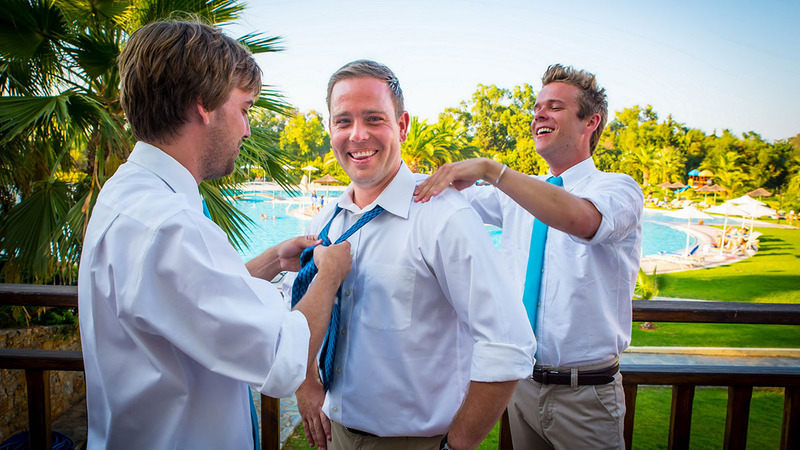 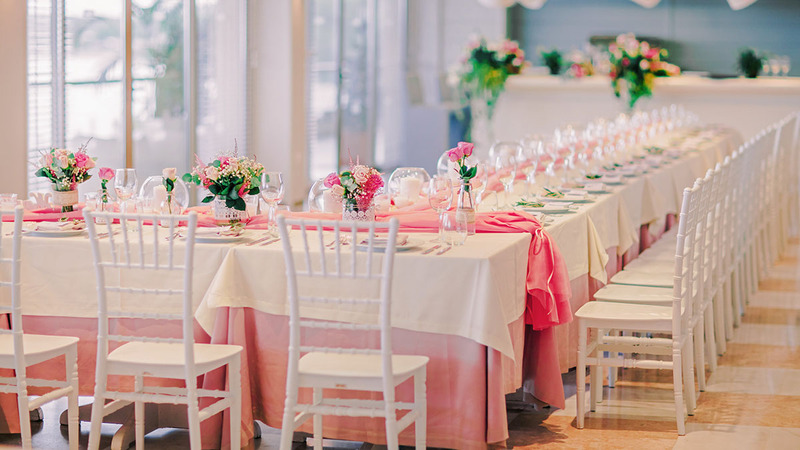 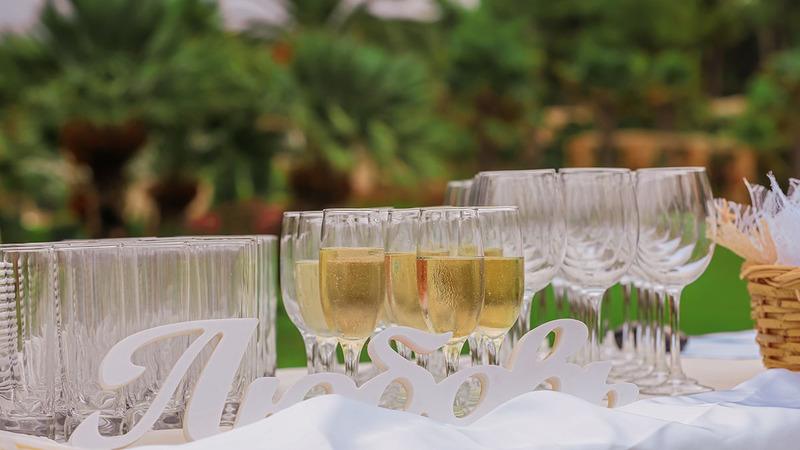 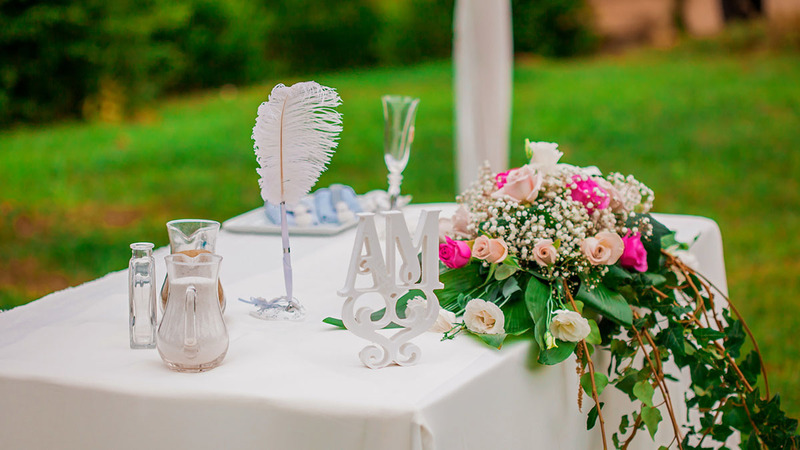 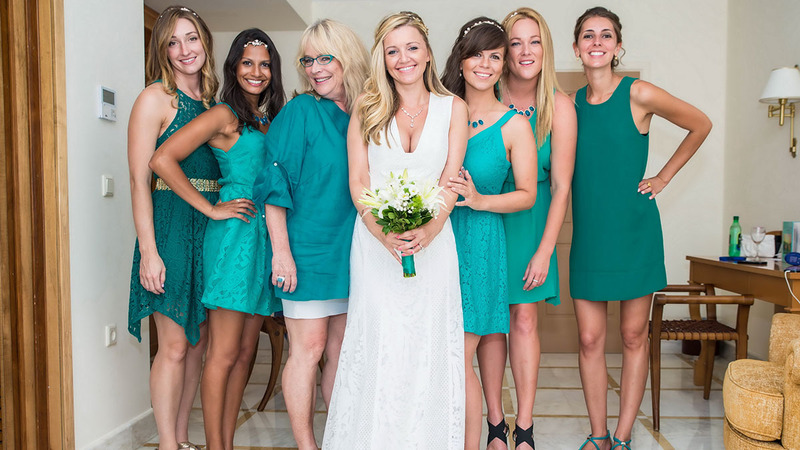 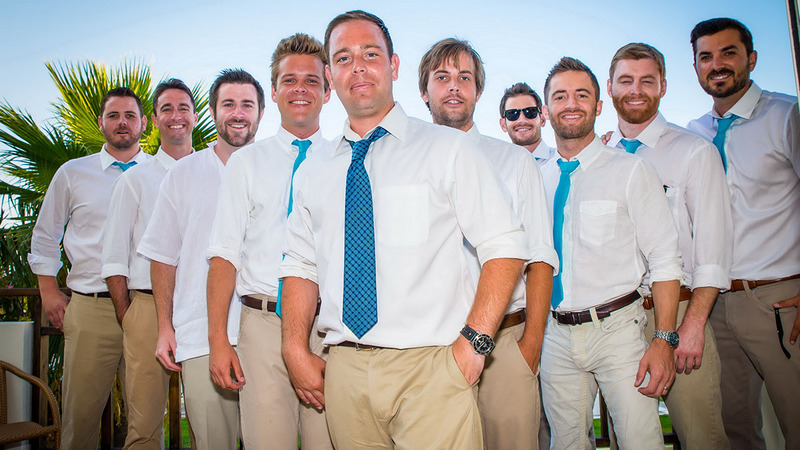 In addition, we can take on full responsibility for preparing and hosting the celebratory banquet, meeting and seating guests, and coordinating all the professionals required for your special day. 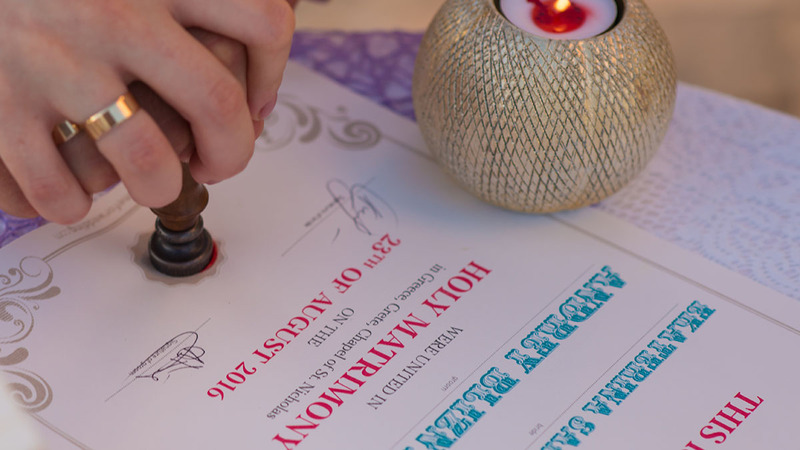 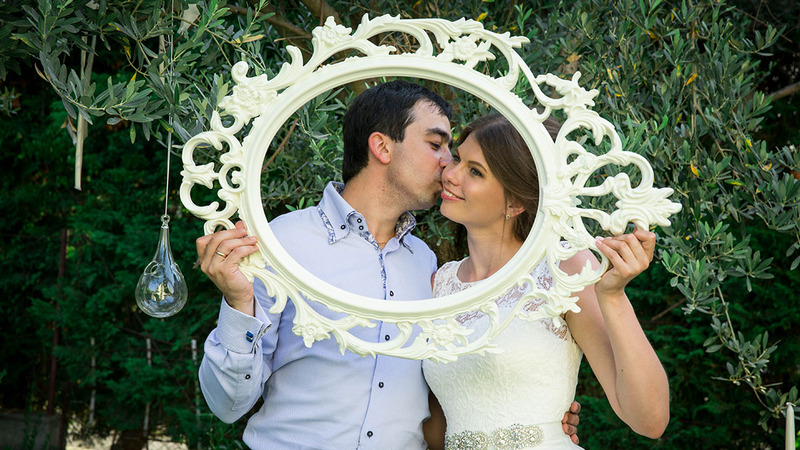 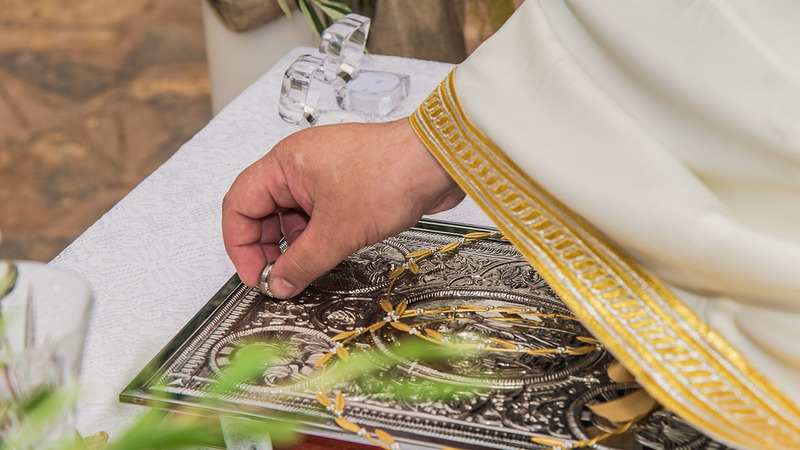 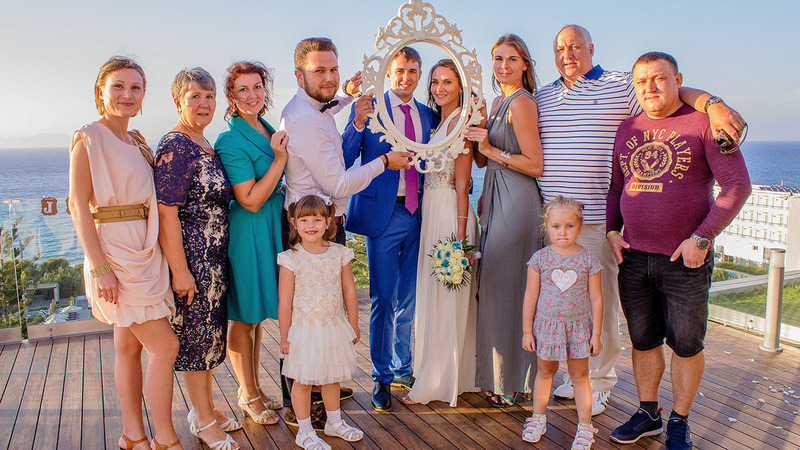 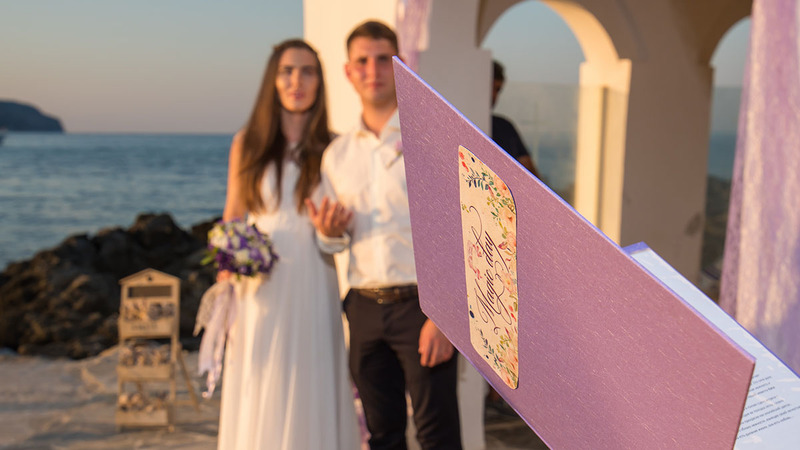 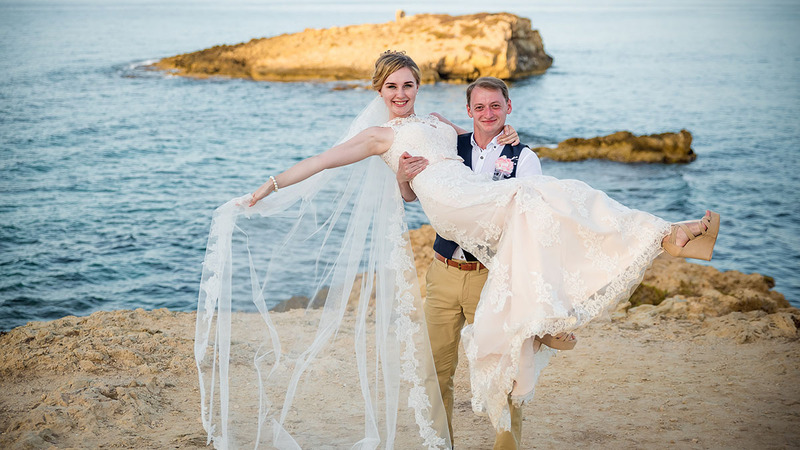 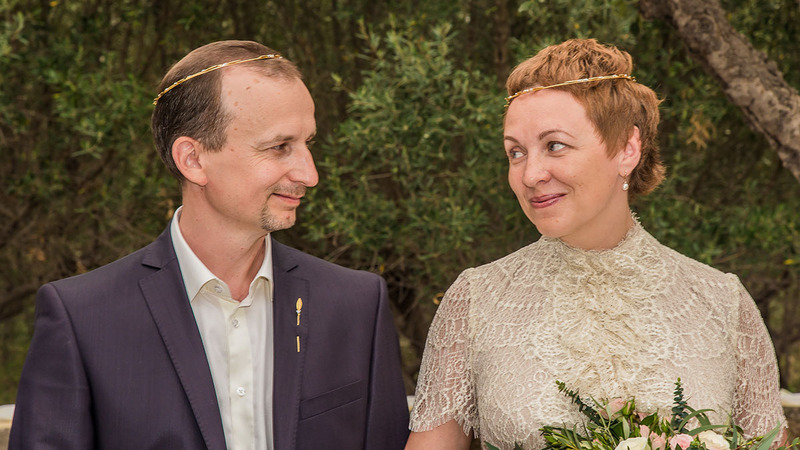 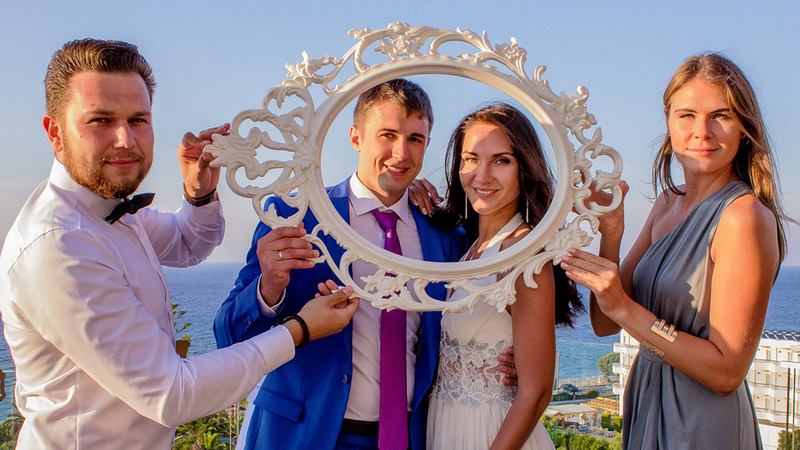 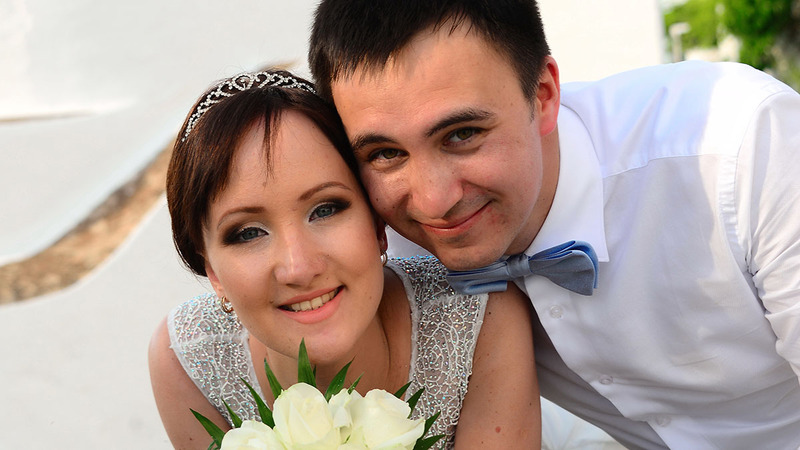 Once the celebrations are over, our newly-weds, take home their symbolic commemorative certificates, and also have beautiful photographs and unforgettable memories to treasure.